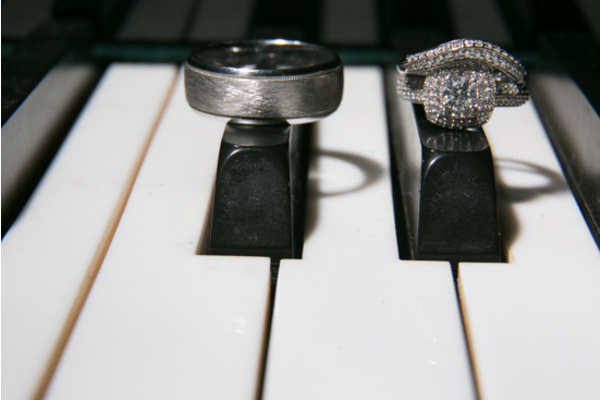 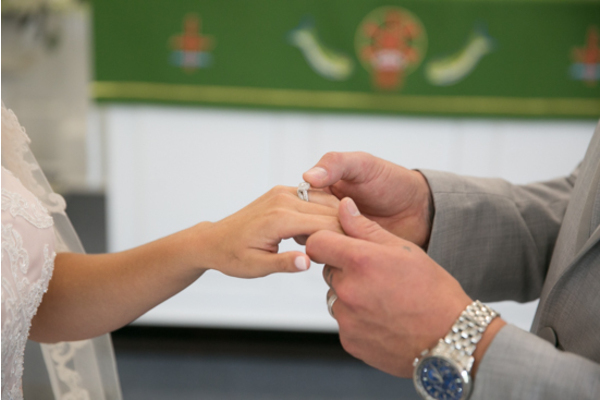 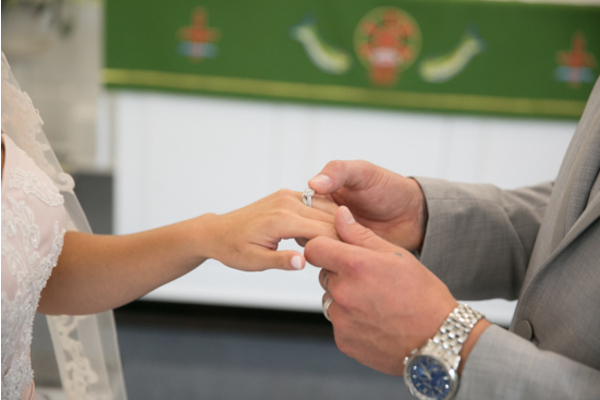 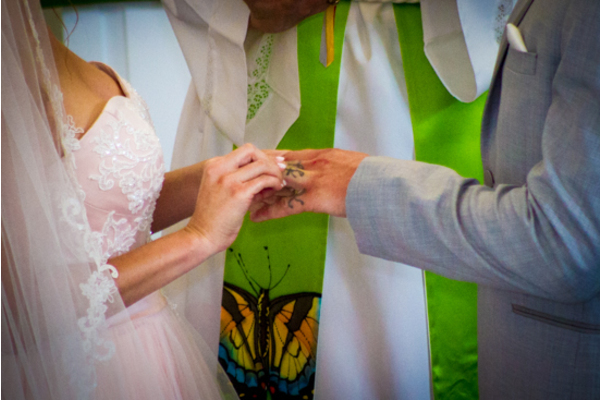 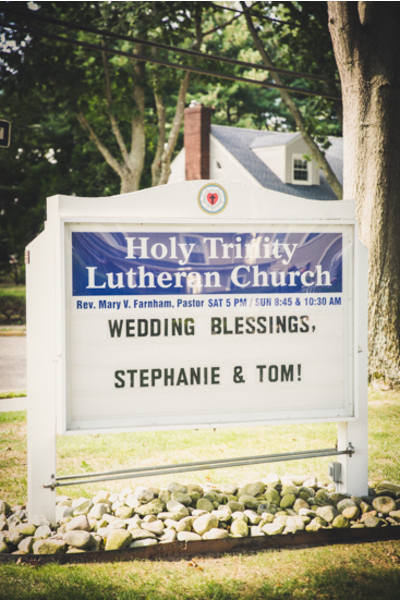 Congratulations to Stephanie and Tom on their recent marriage! 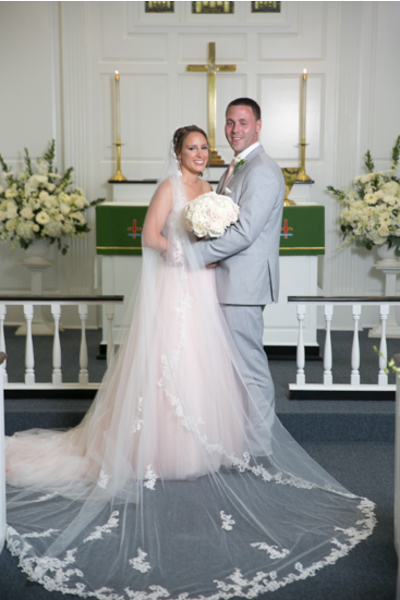 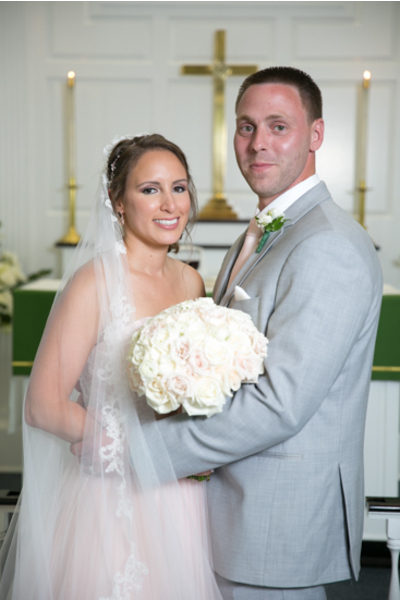 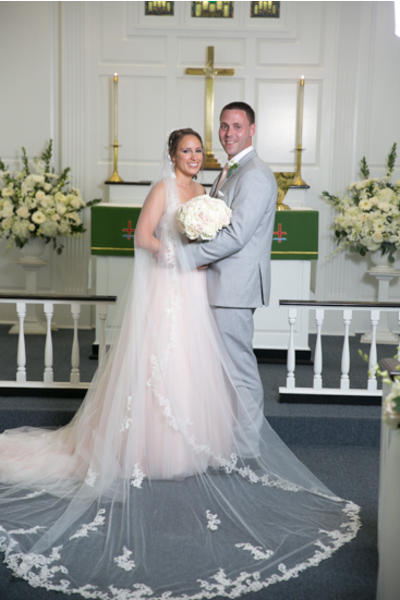 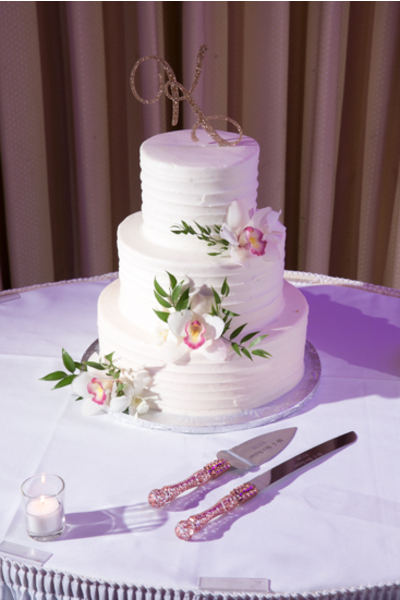 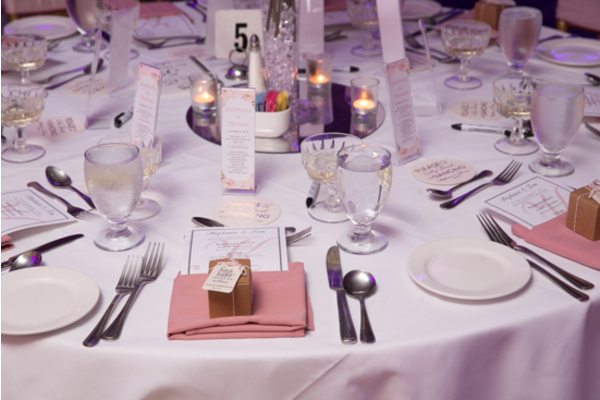 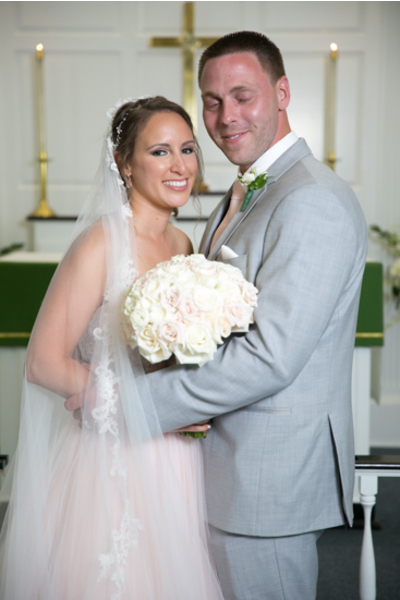 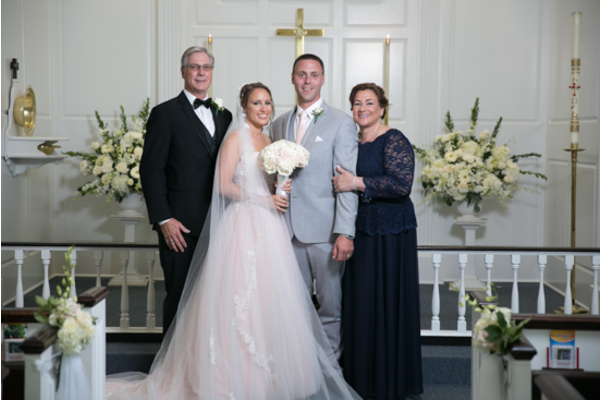 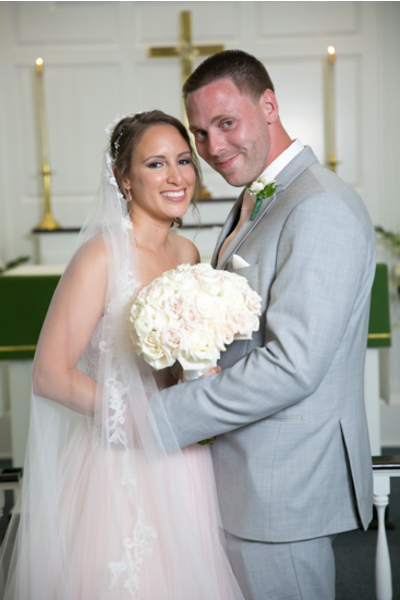 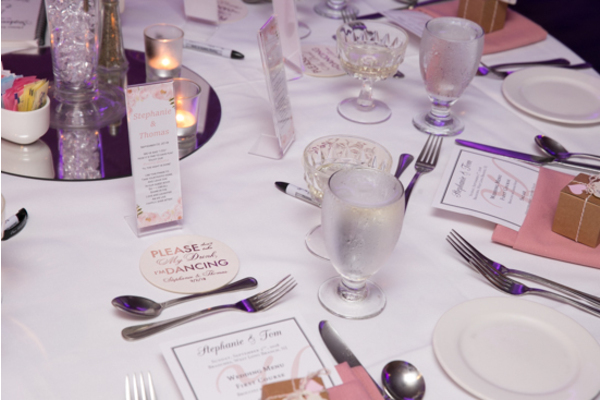 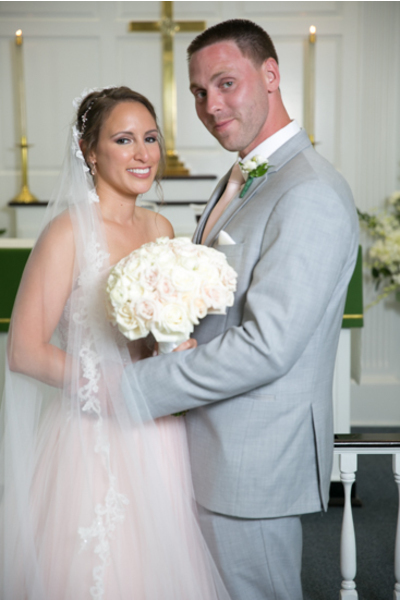 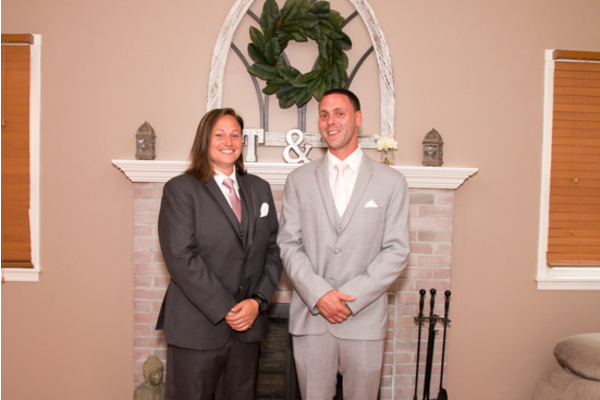 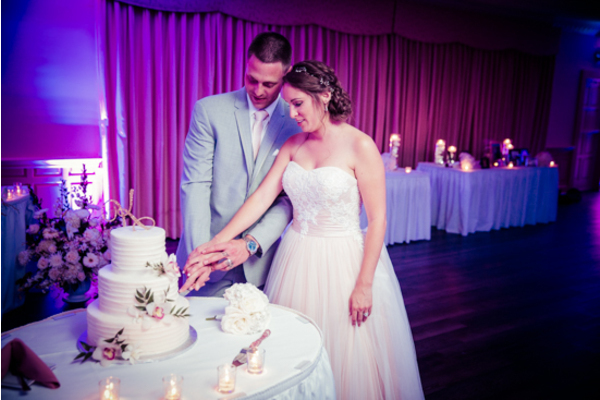 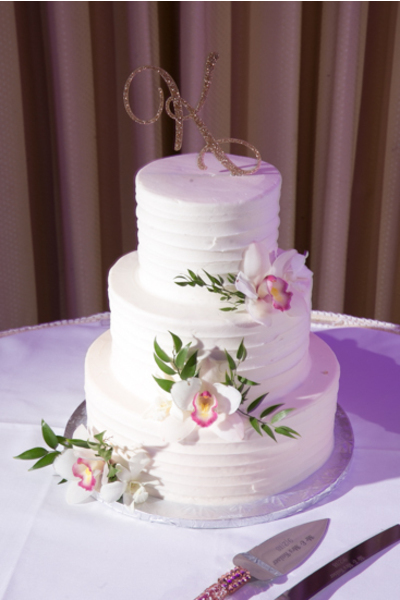 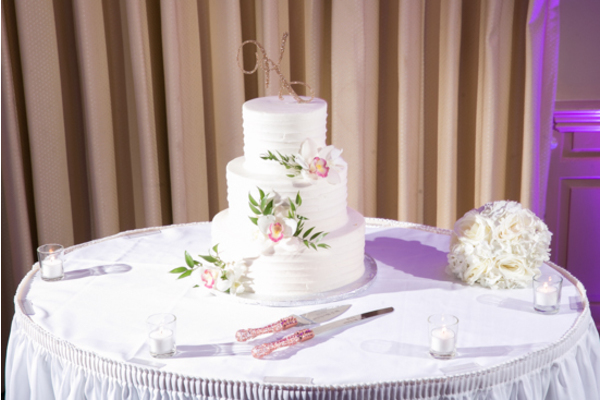 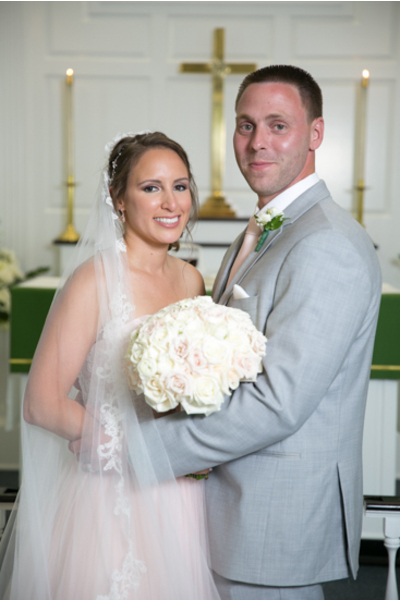 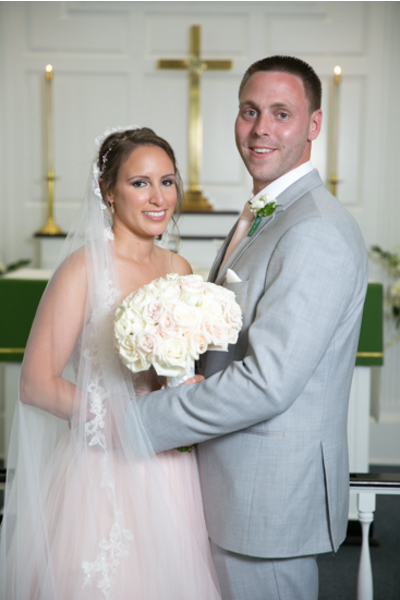 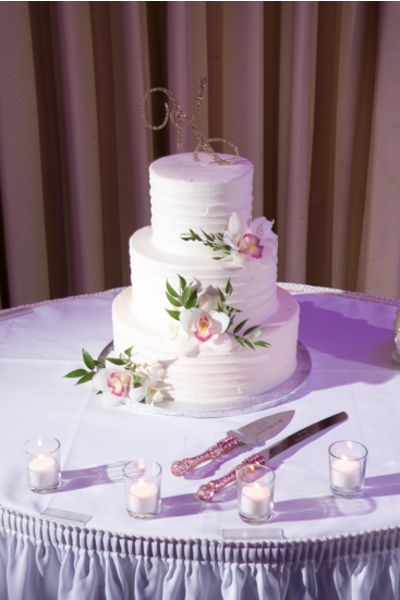 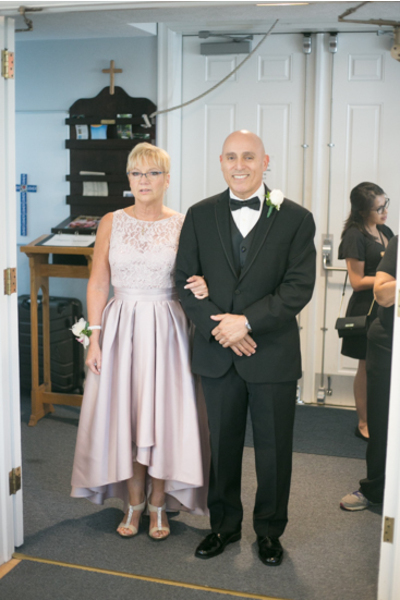 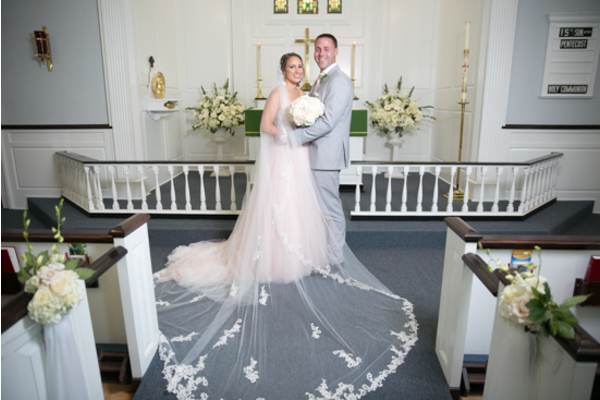 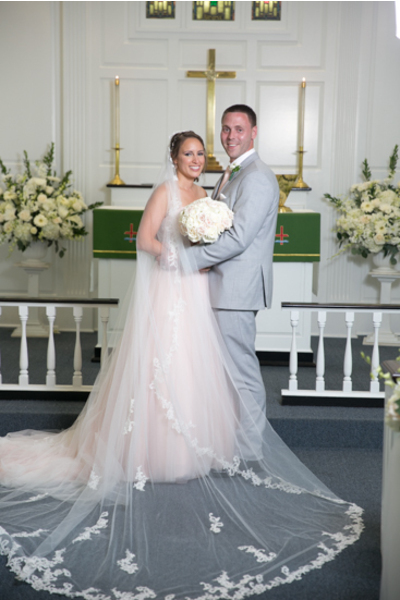 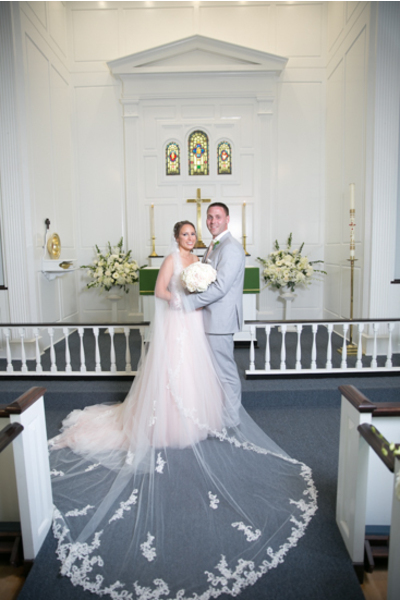 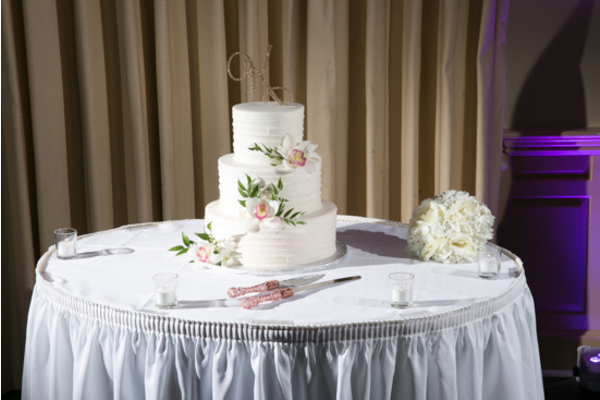 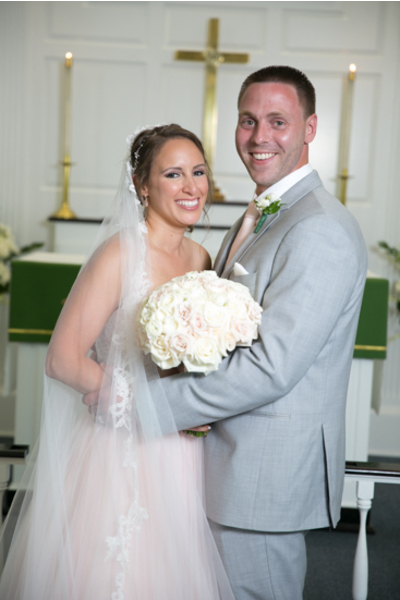 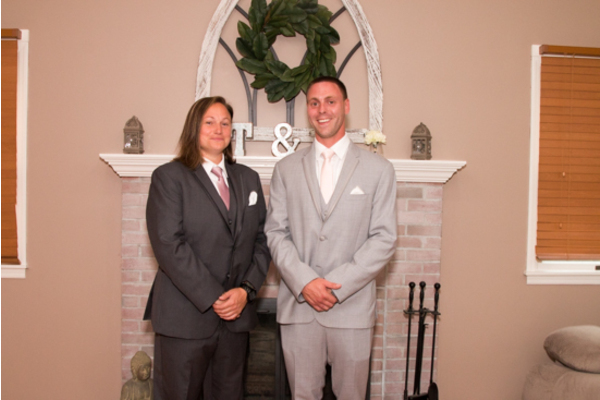 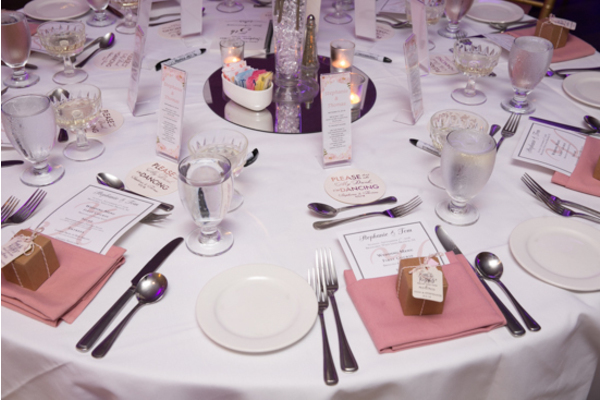 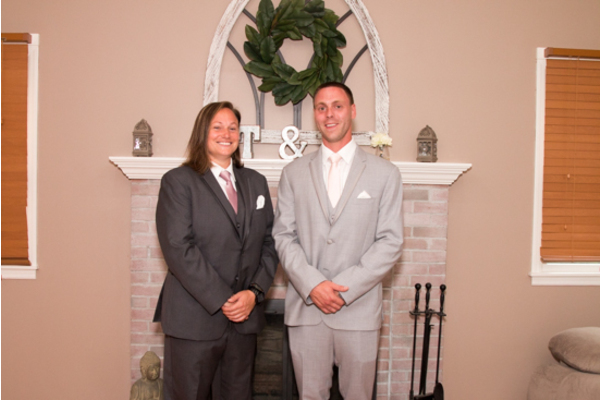 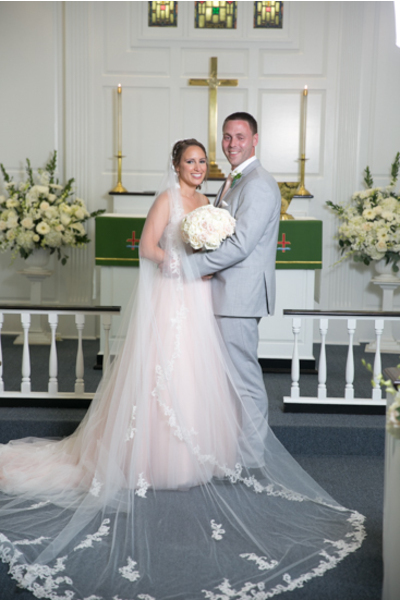 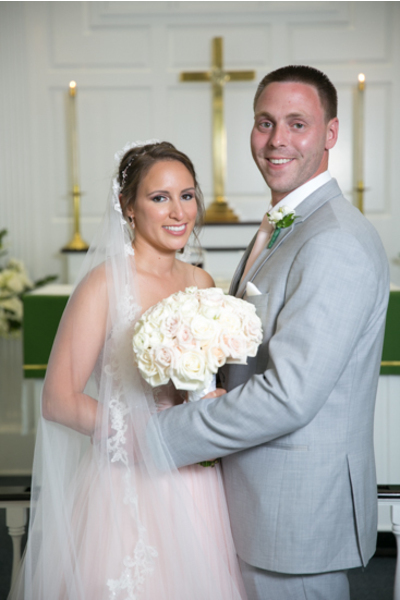 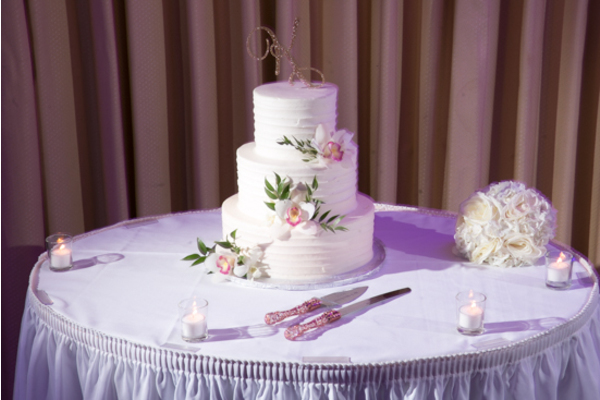 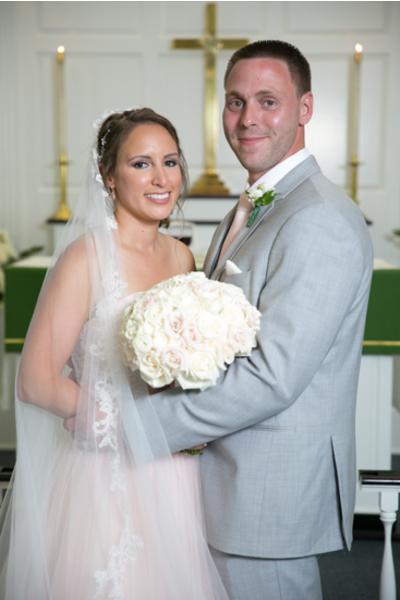 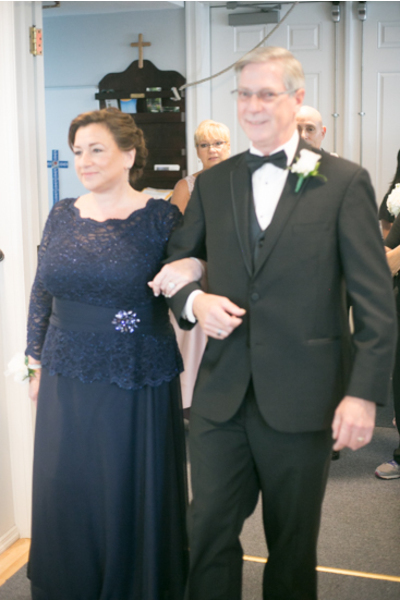 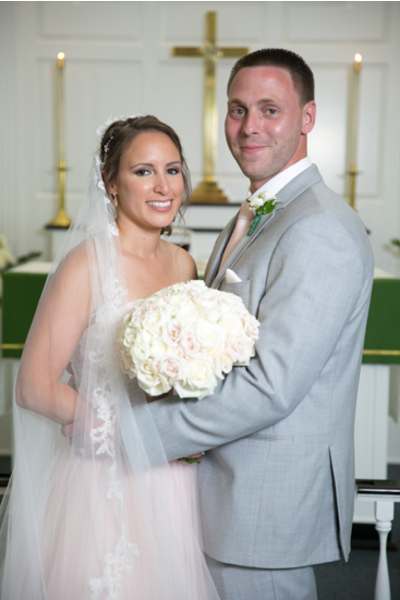 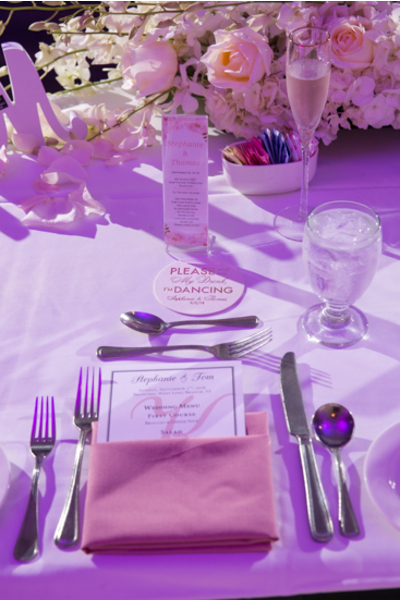 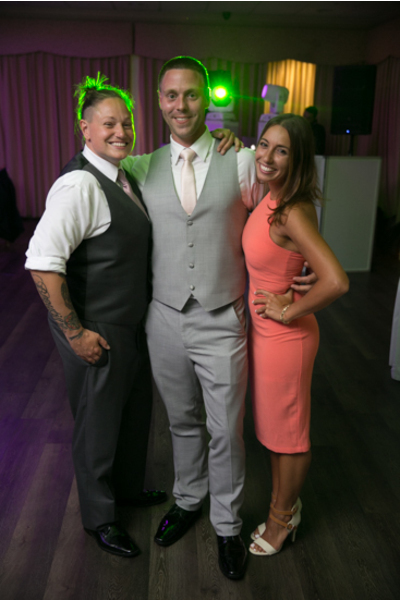 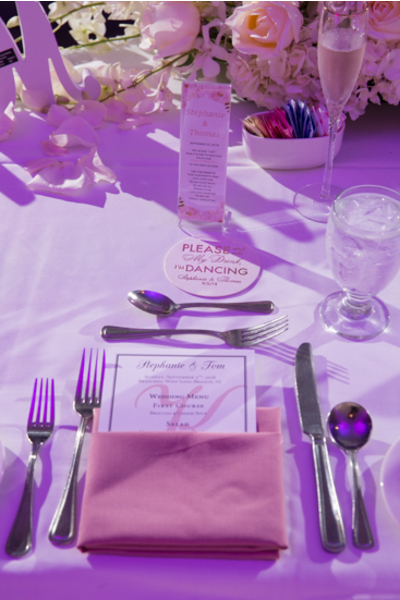 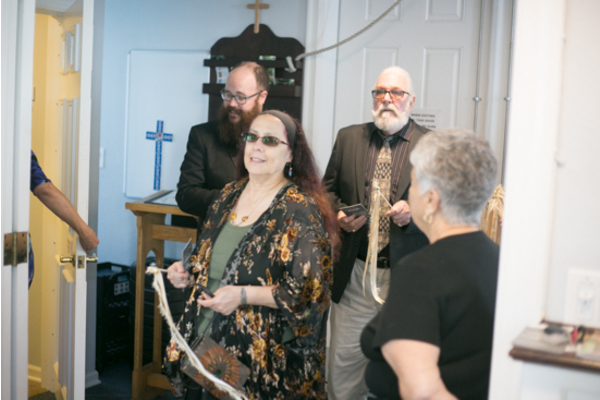 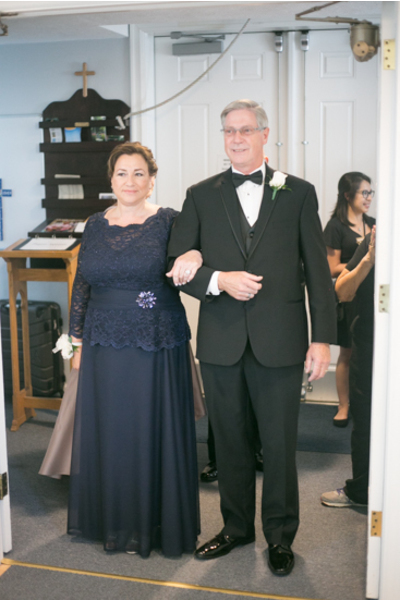 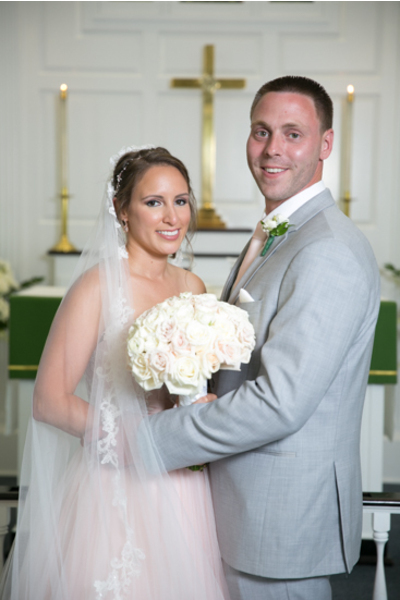 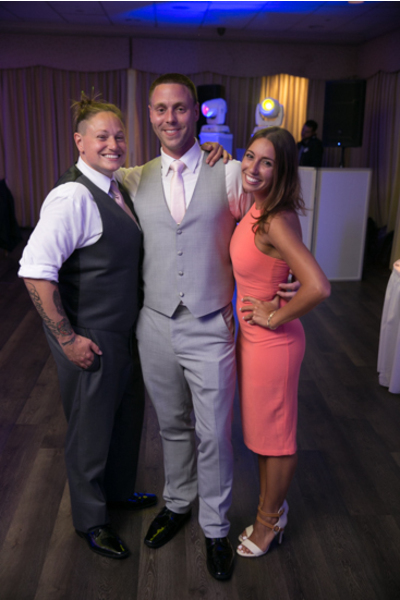 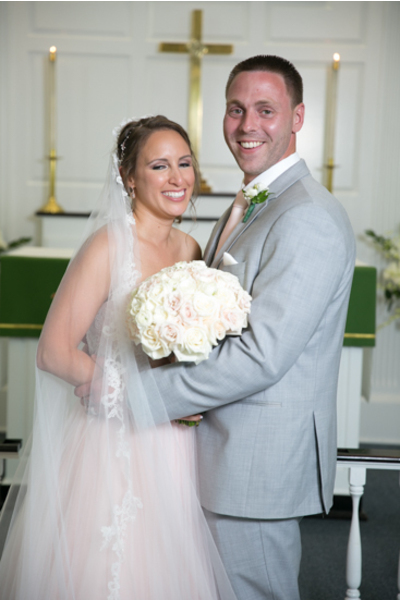 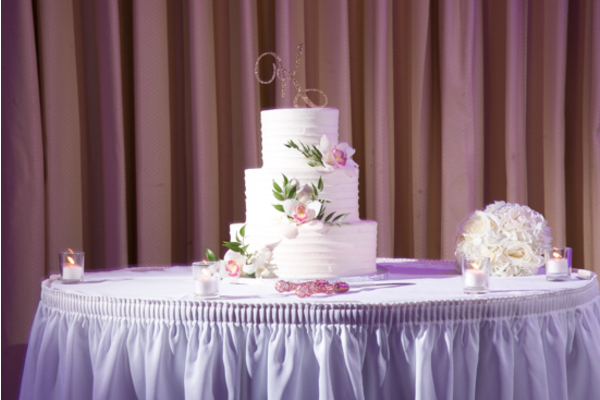 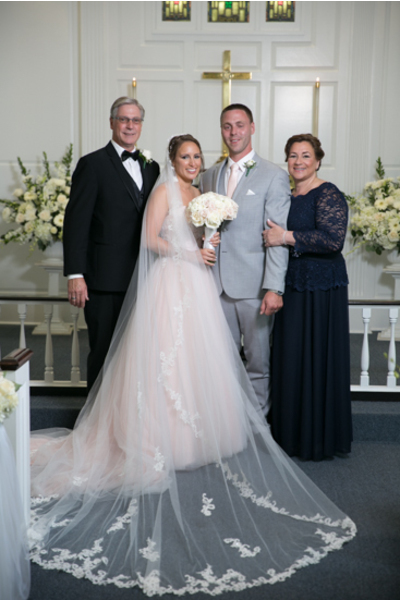 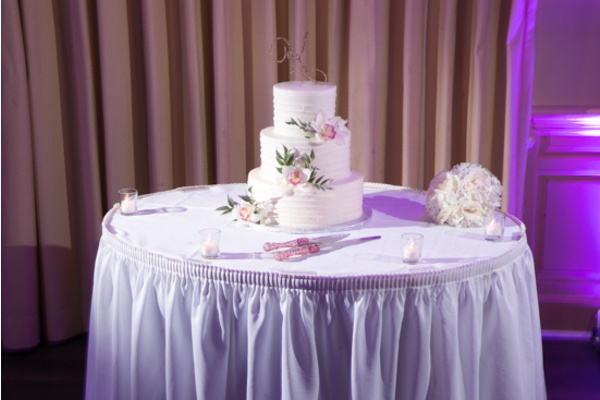 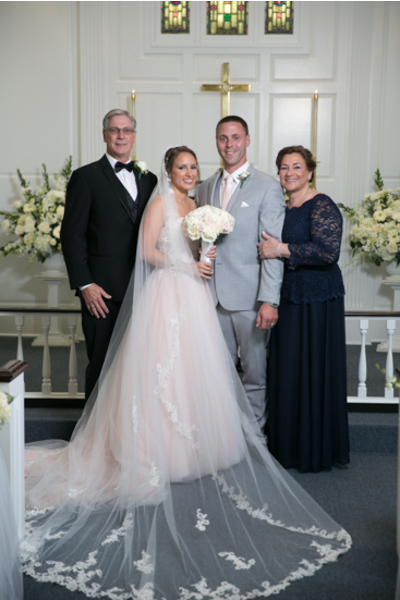 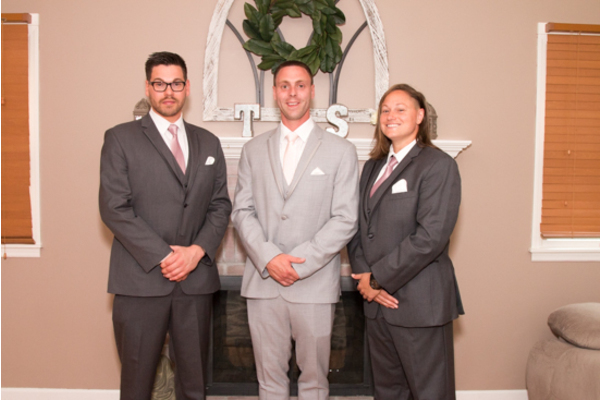 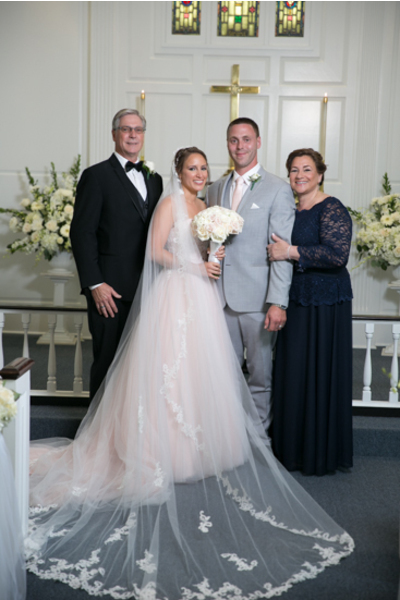 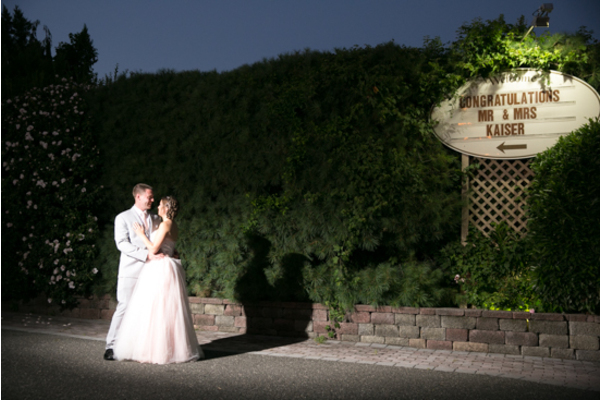 The newlyweds got married at Branches Catering in Long Branch, NJ. 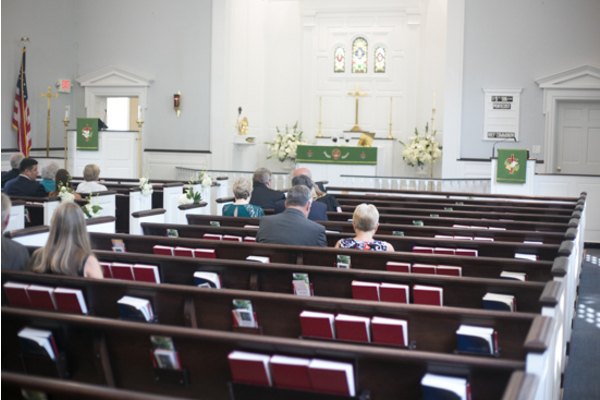 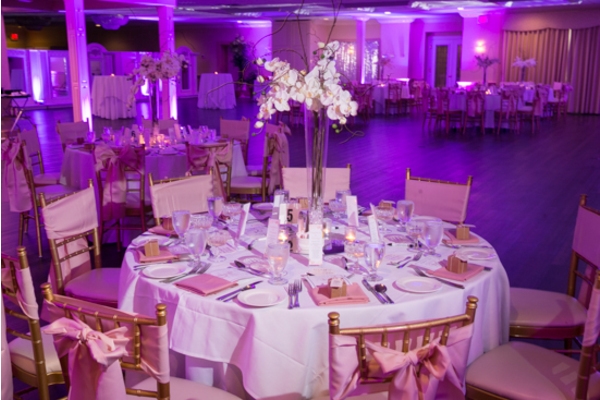 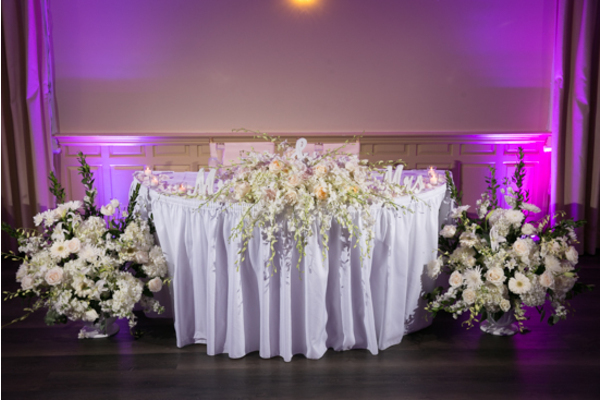 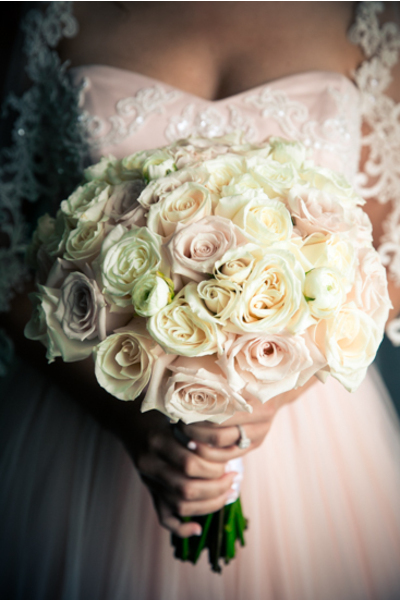 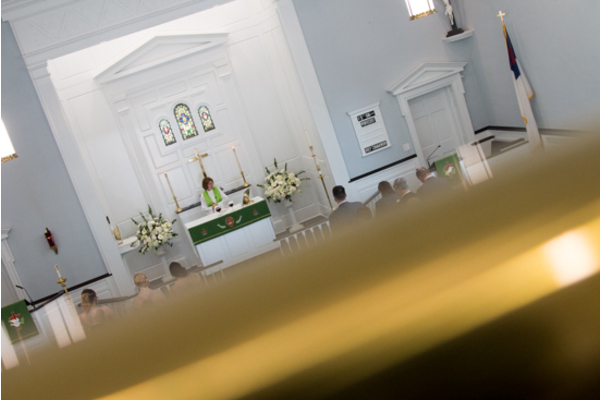 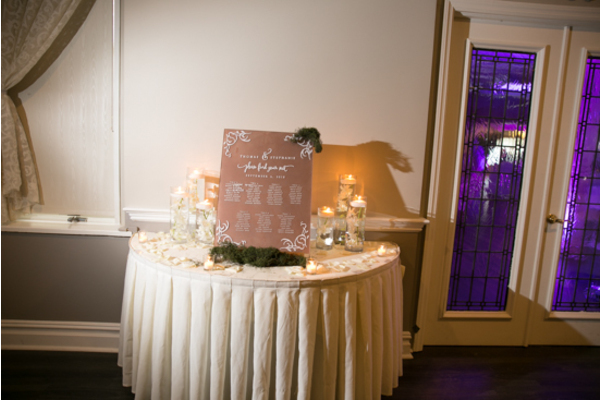 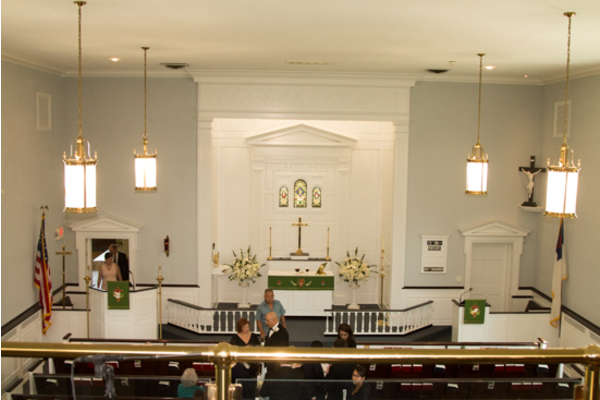 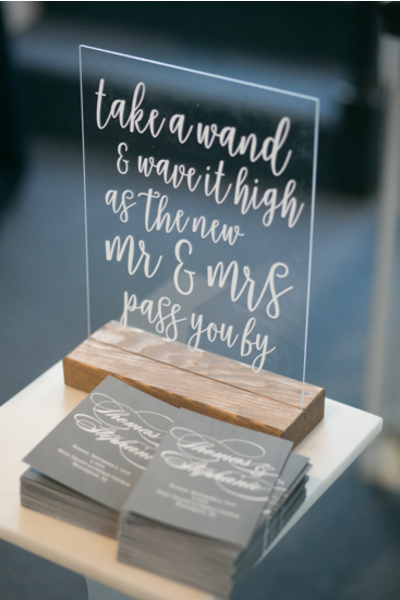 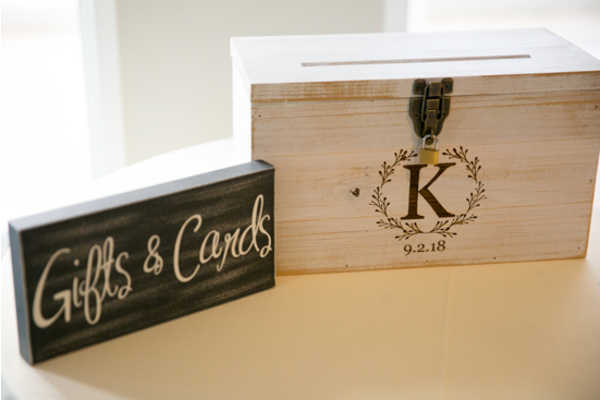 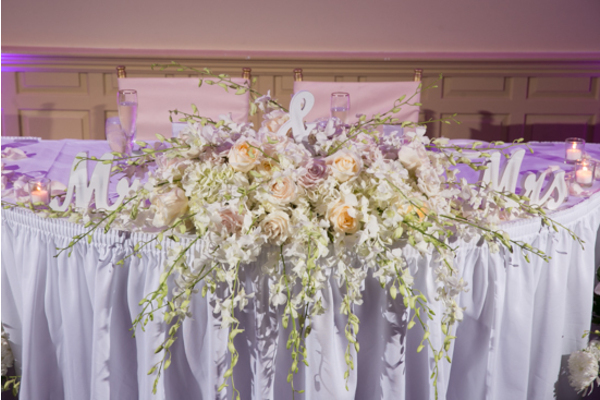 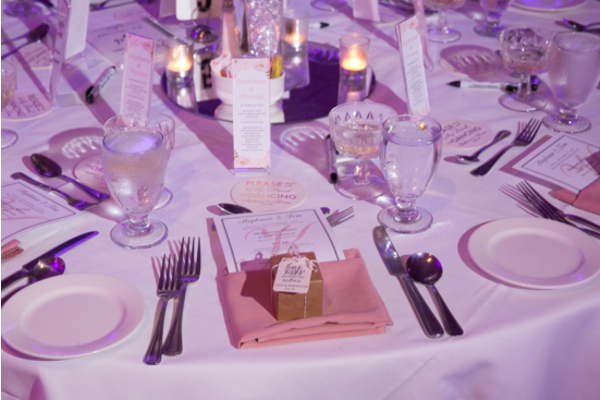 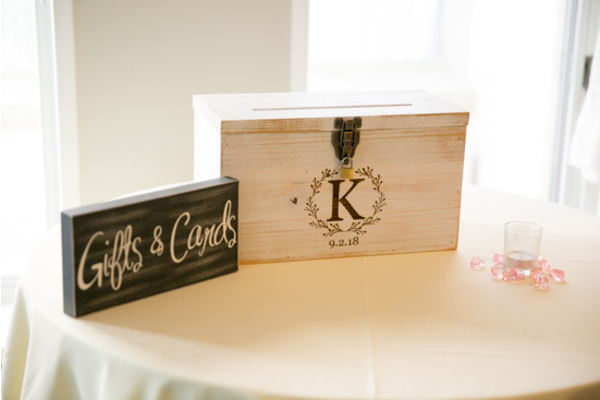 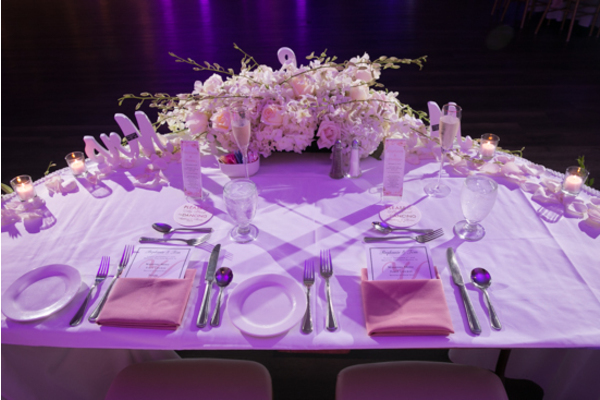 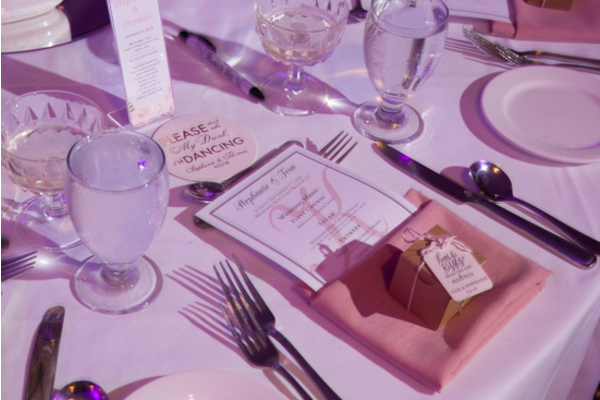 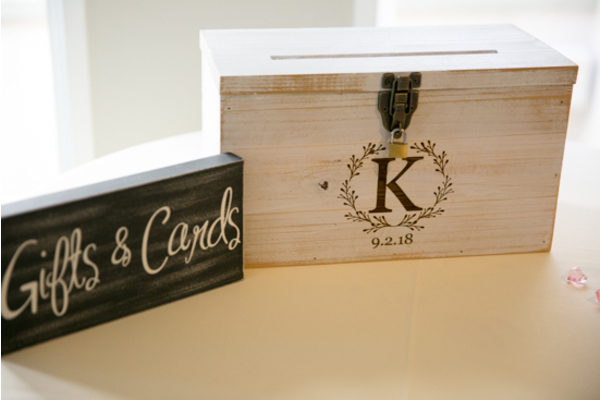 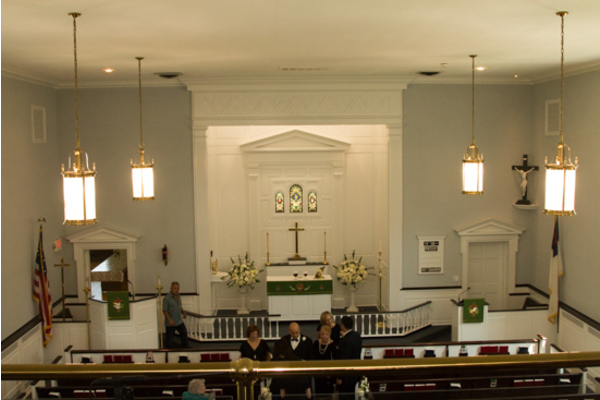 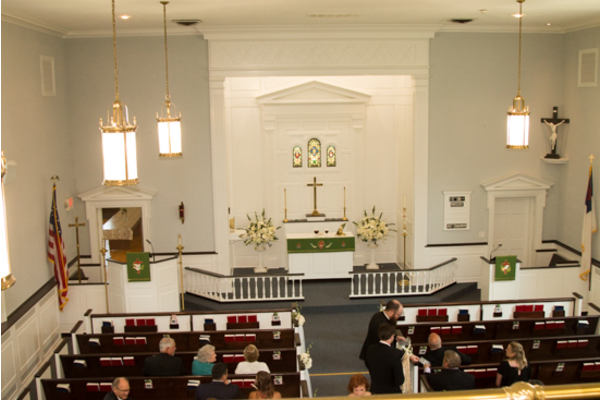 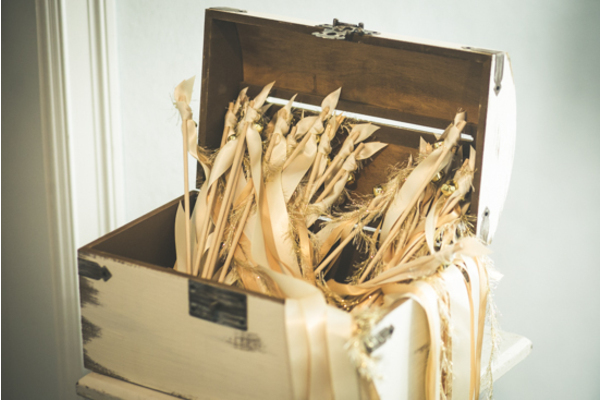 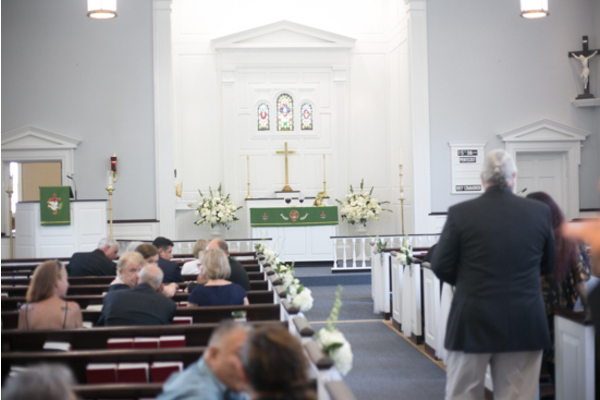 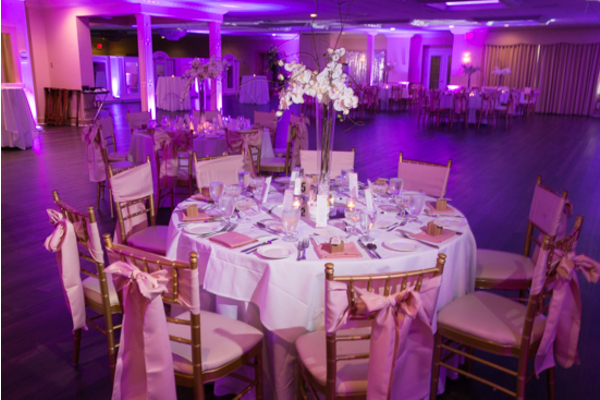 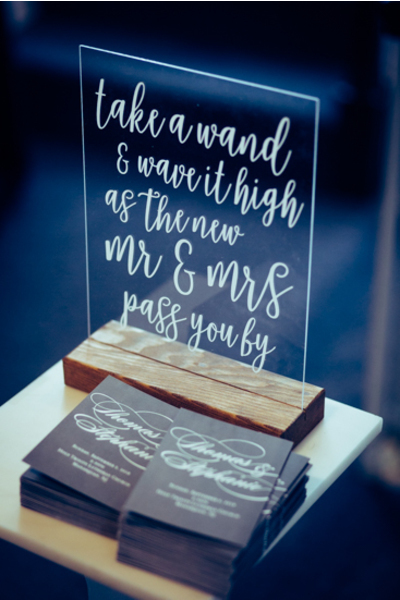 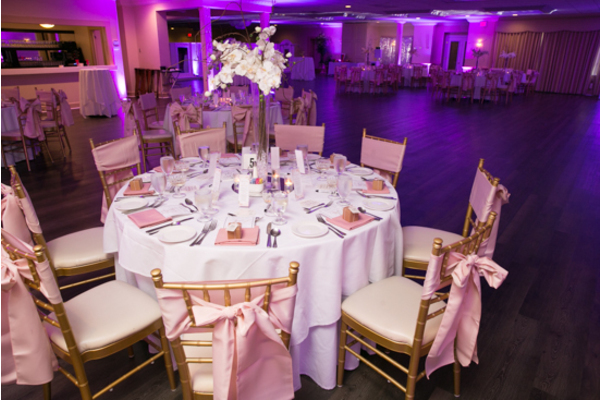 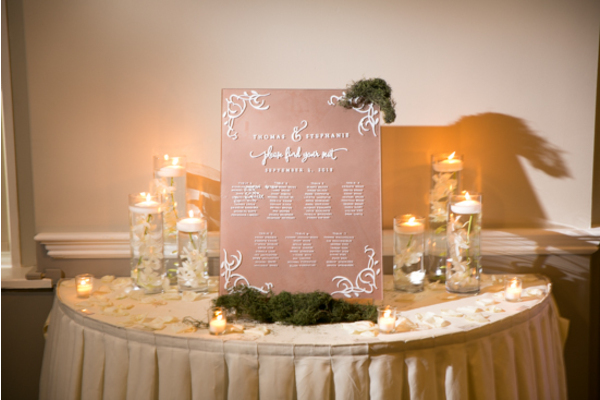 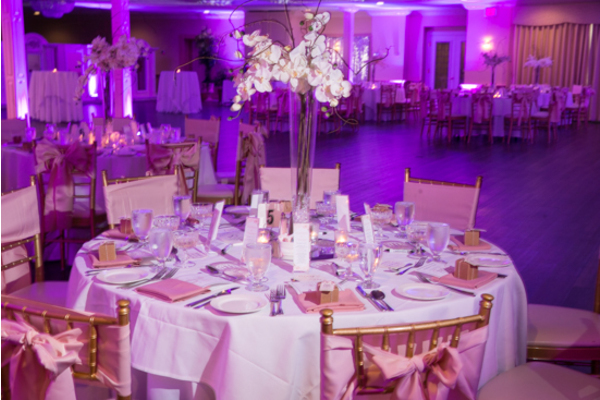 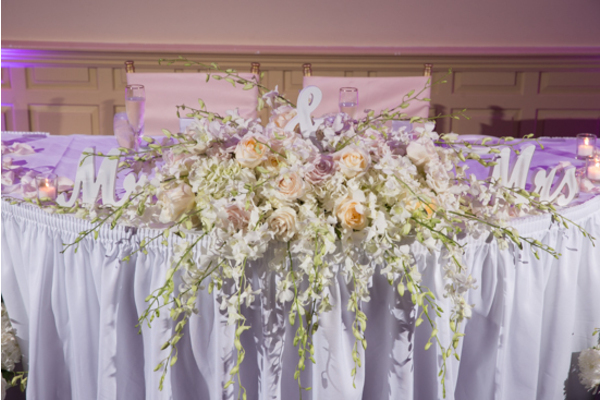 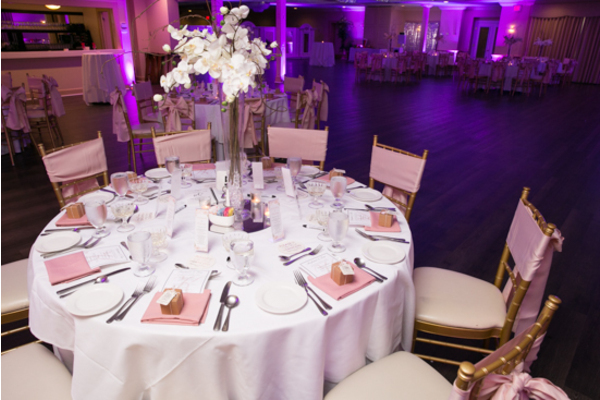 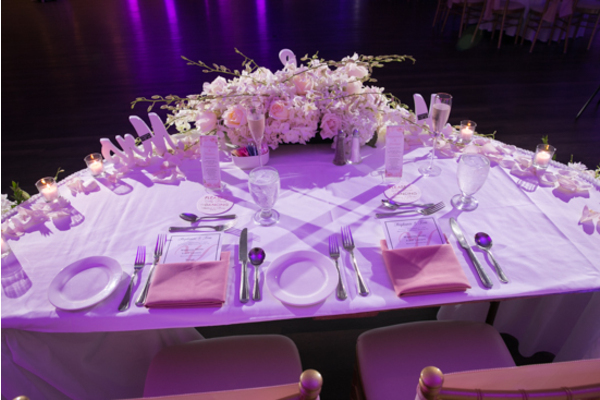 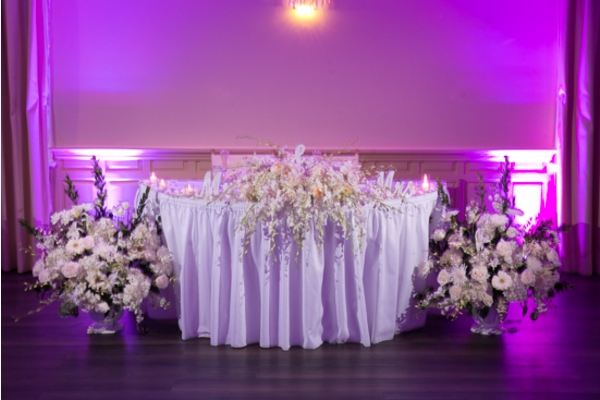 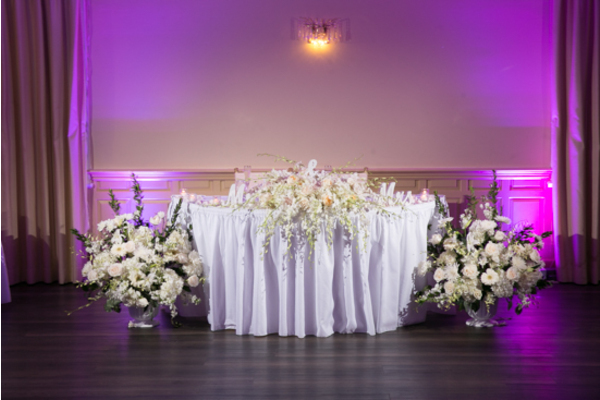 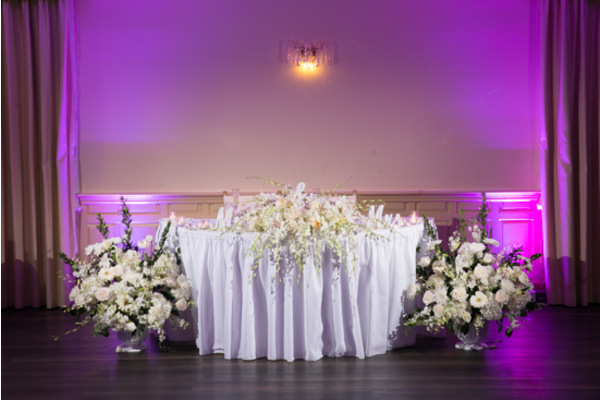 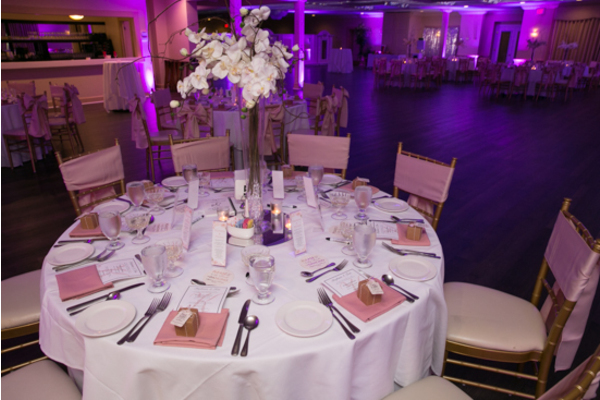 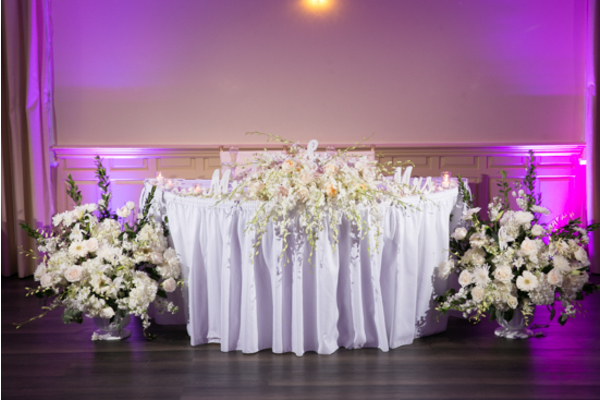 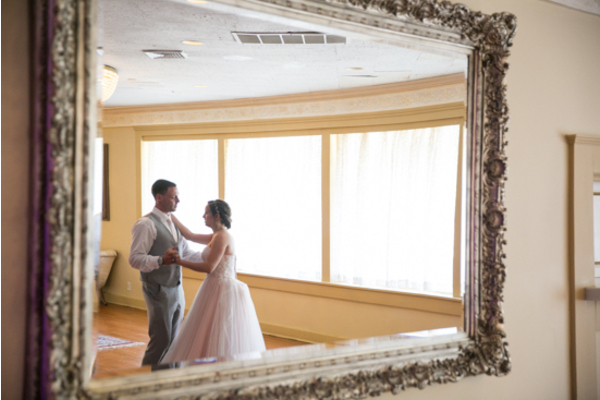 This venue was very elegant, which made it the perfect place to say “I Do”, while also giving their guests a chance to enjoy some rest and relaxation. 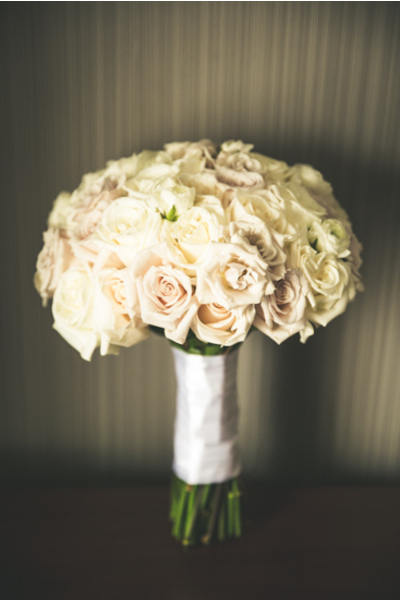 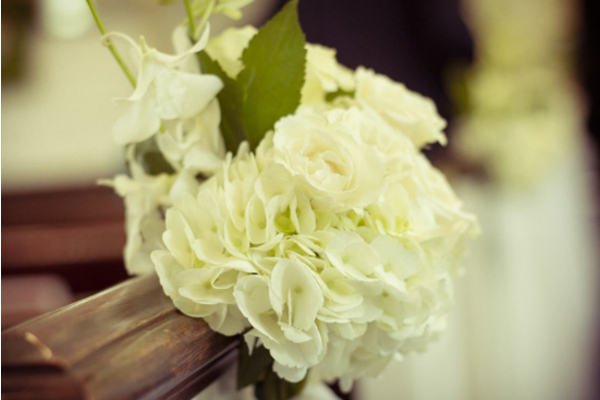 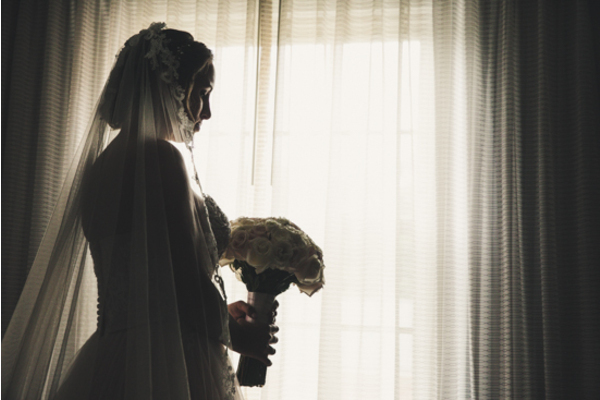 The bride started her lovely morning in a white floral robe. 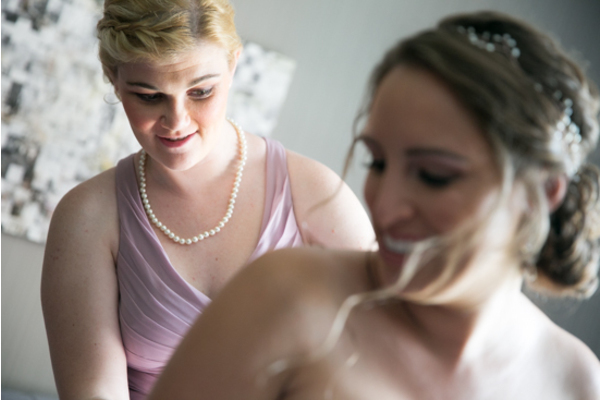 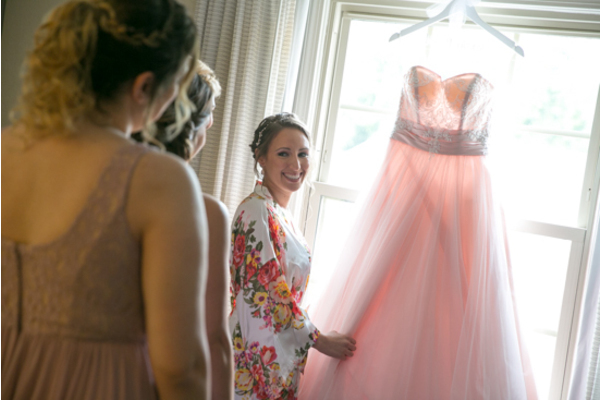 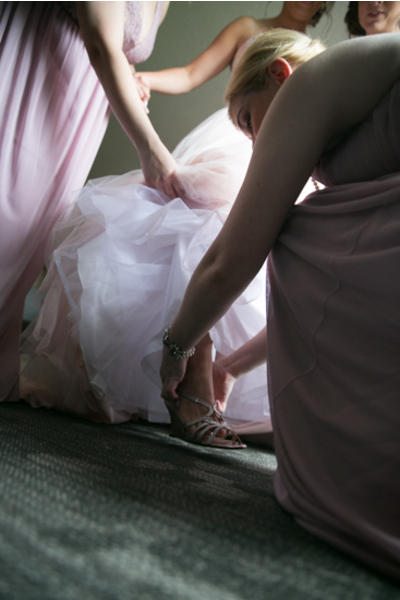 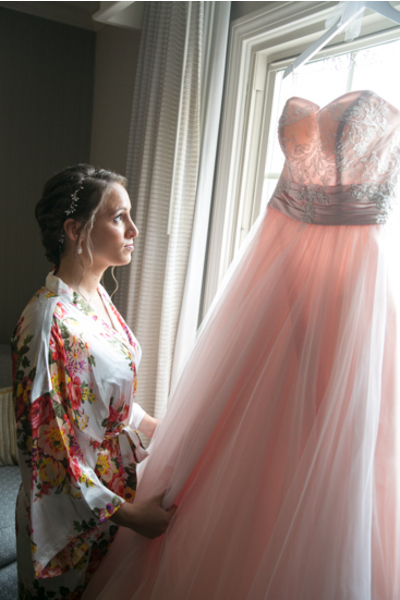 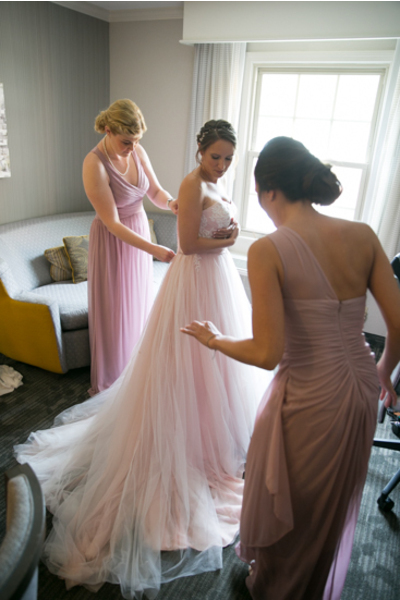 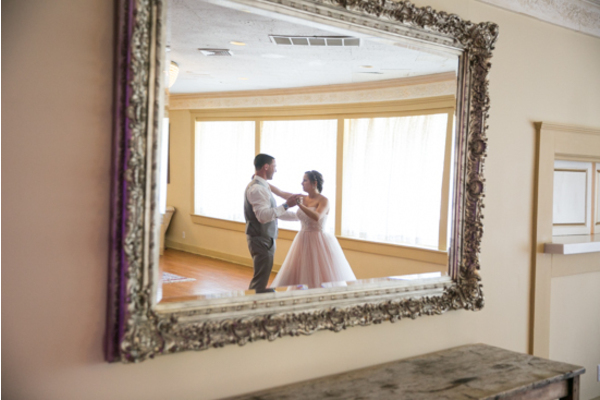 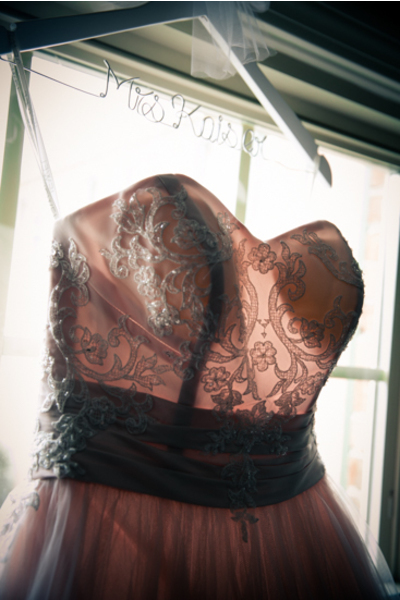 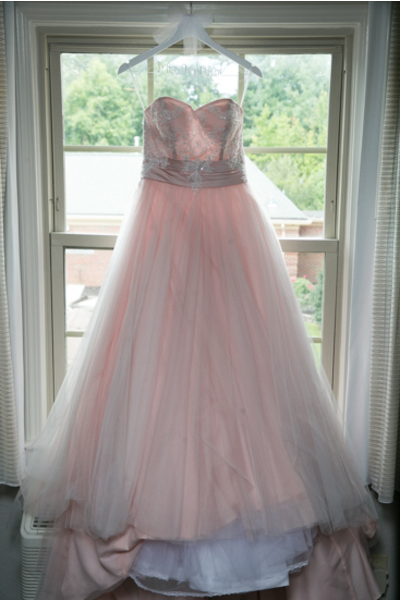 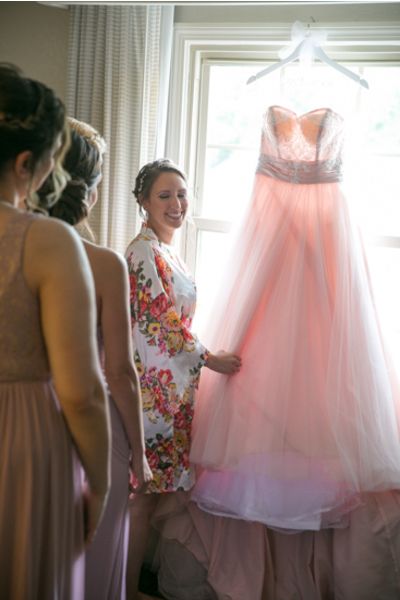 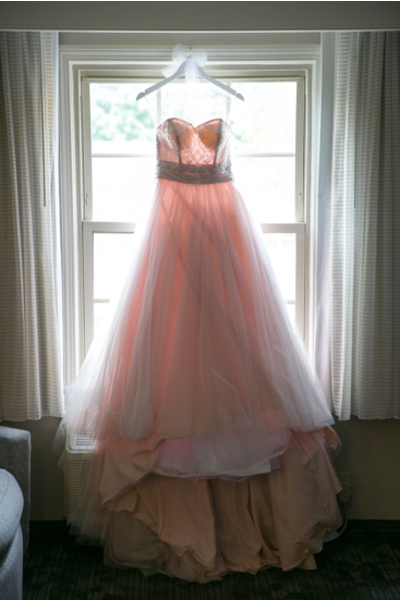 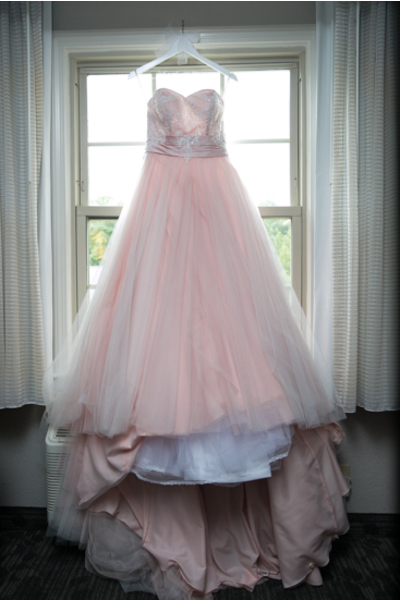 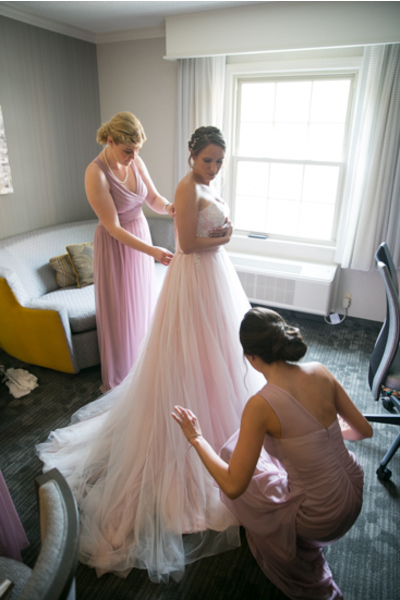 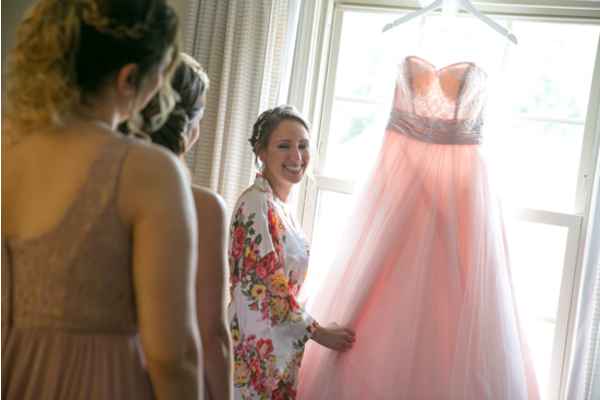 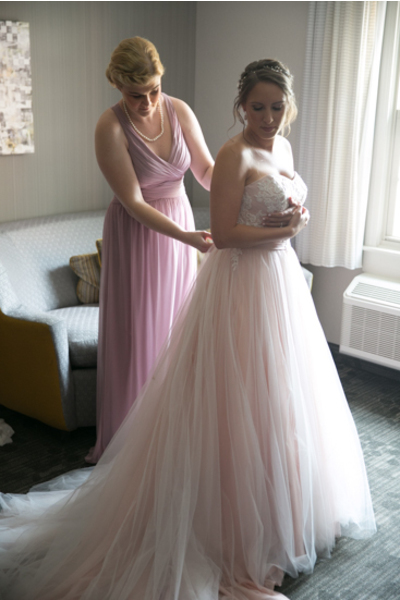 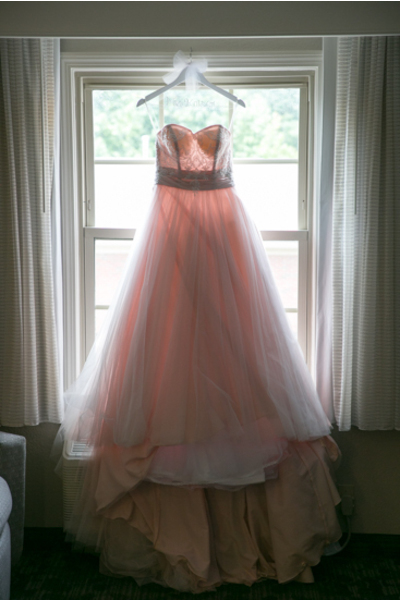 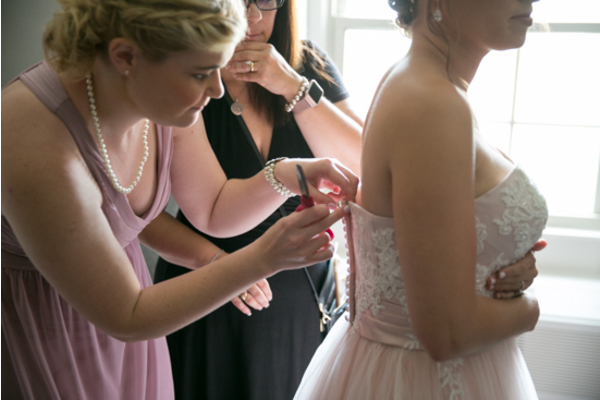 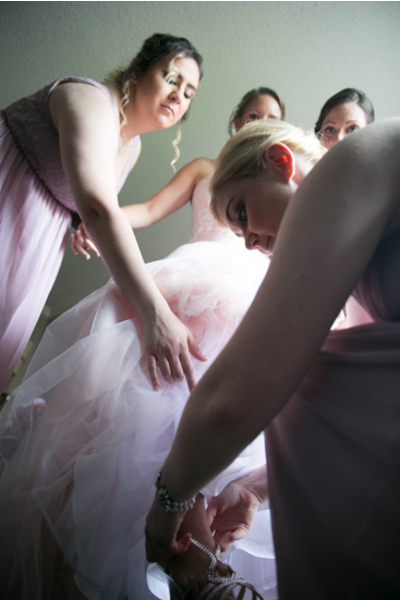 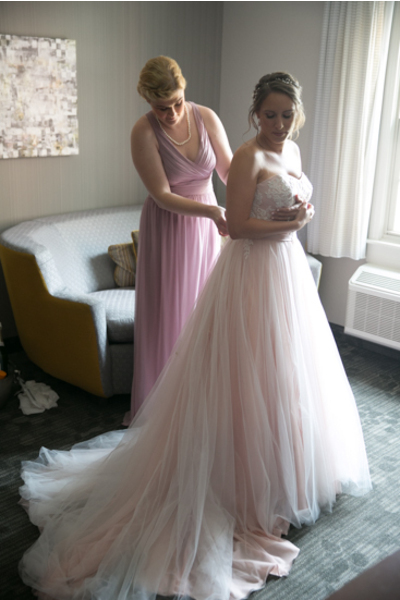 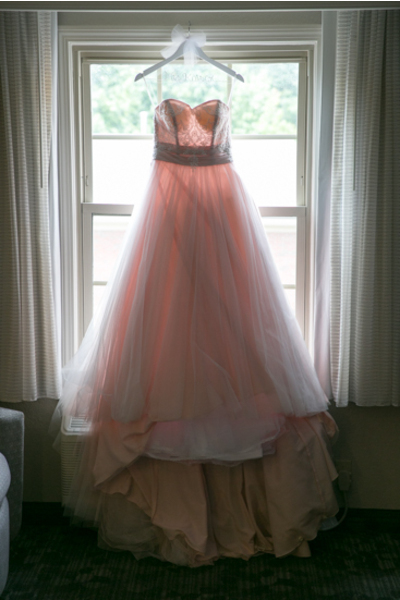 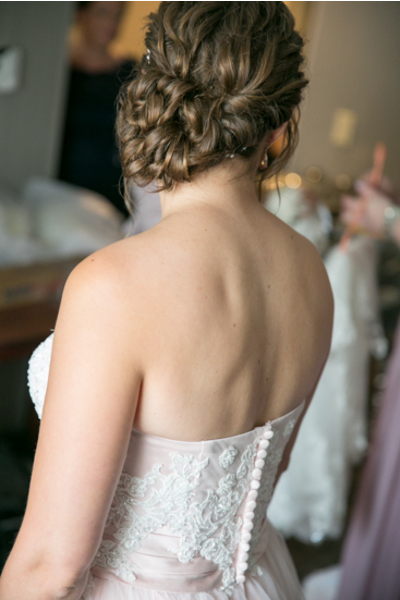 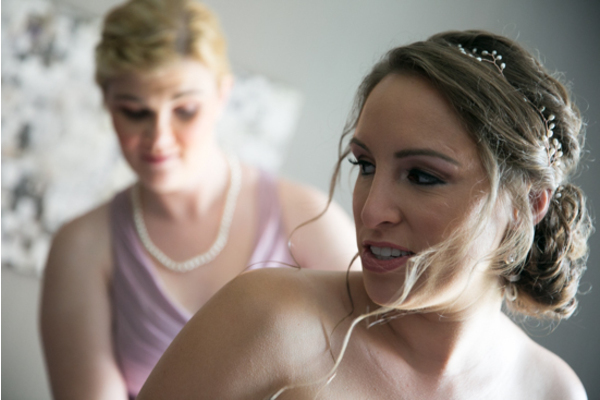 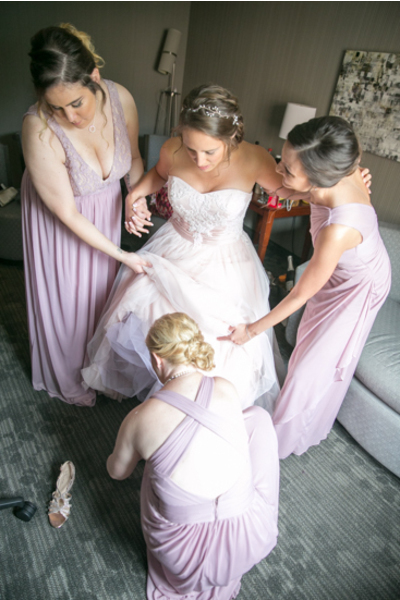 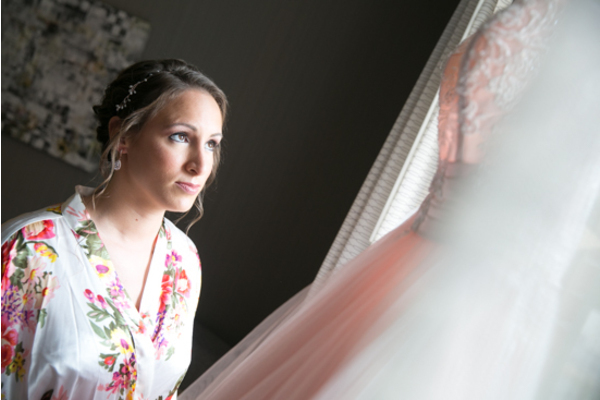 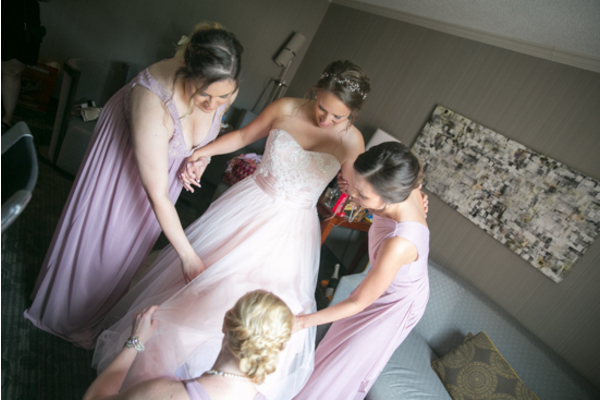 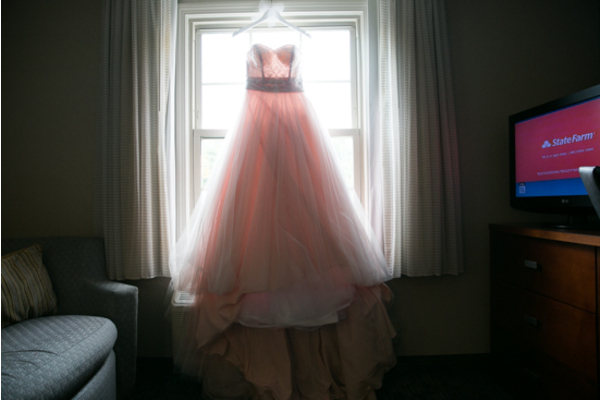 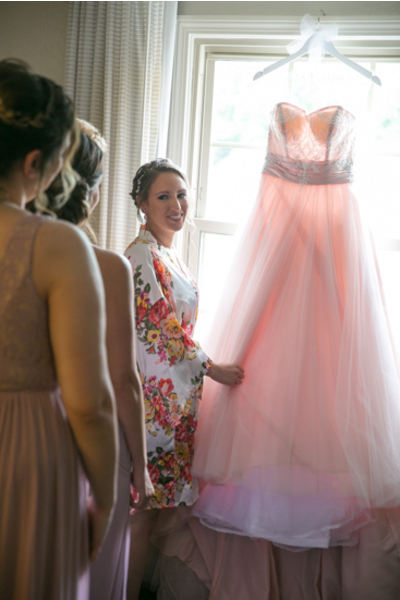 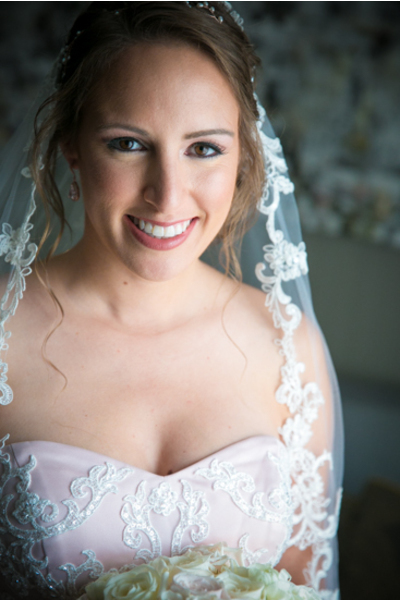 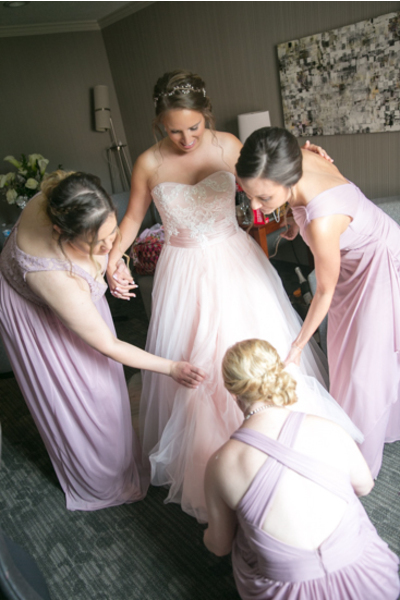 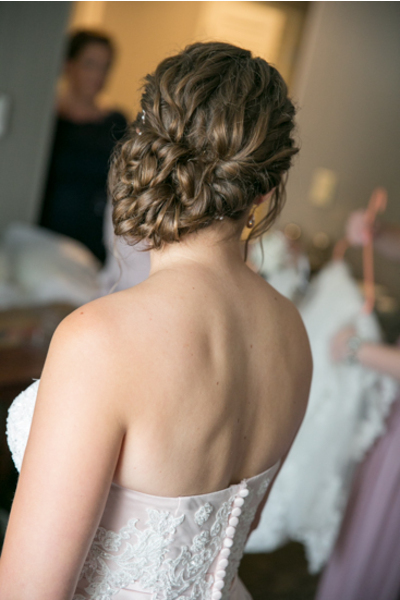 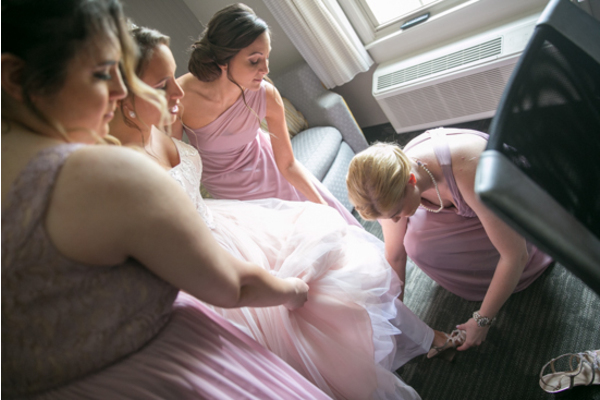 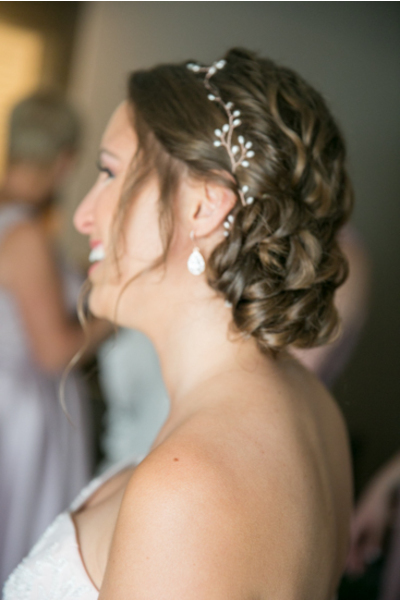 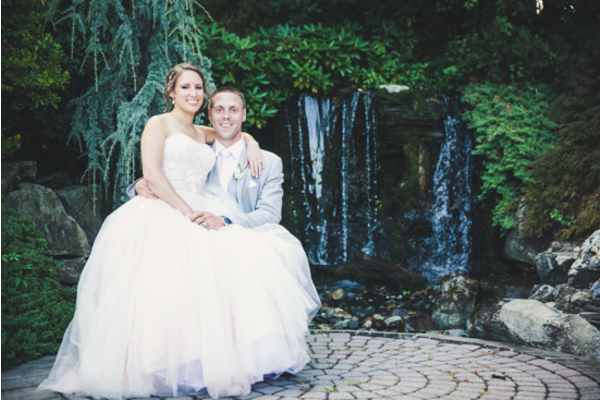 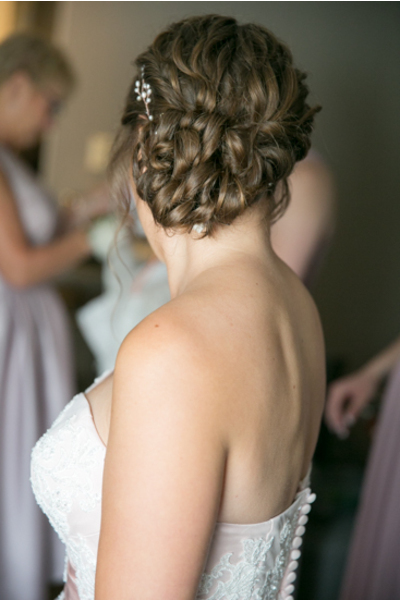 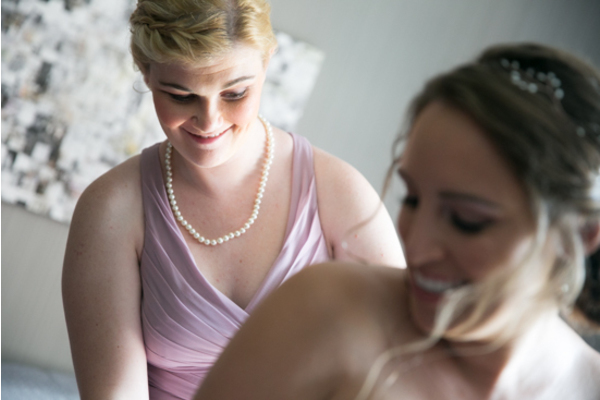 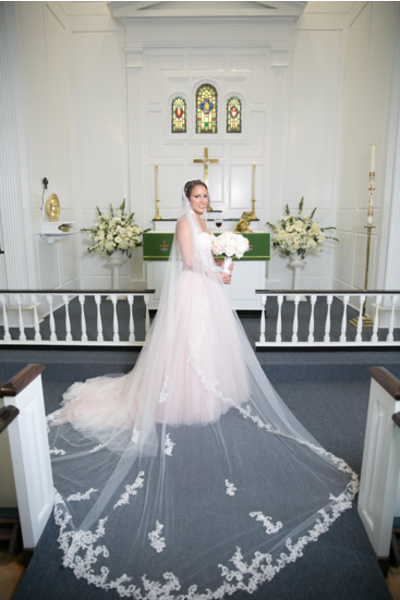 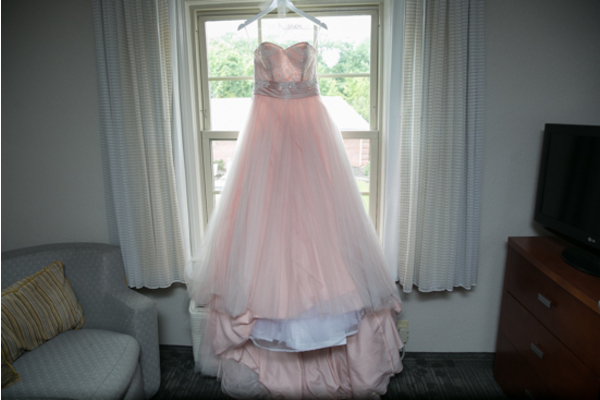 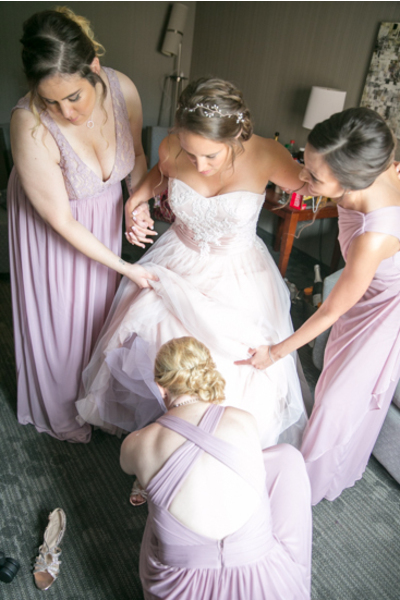 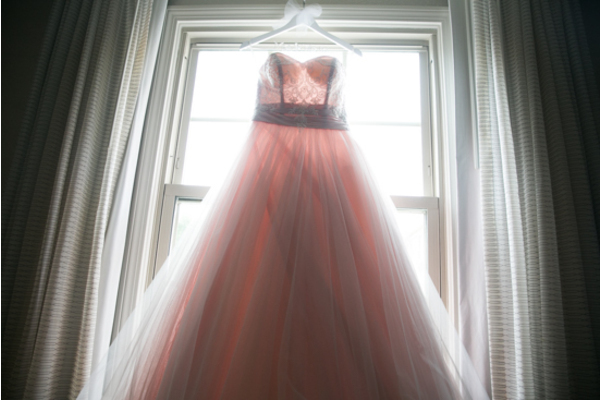 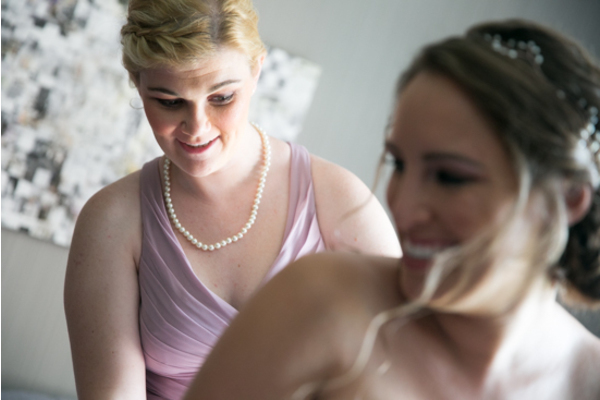 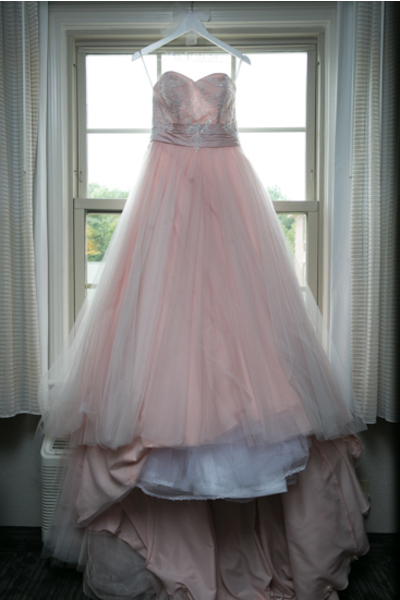 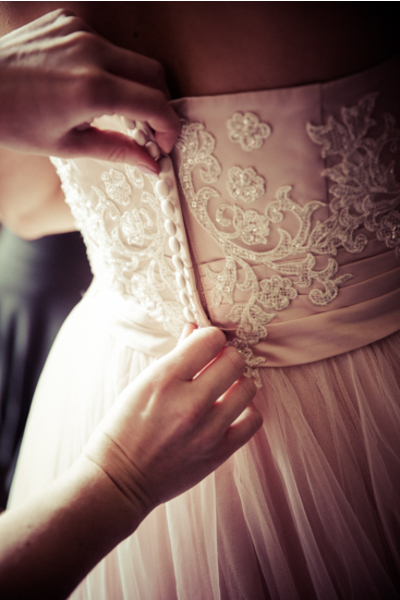 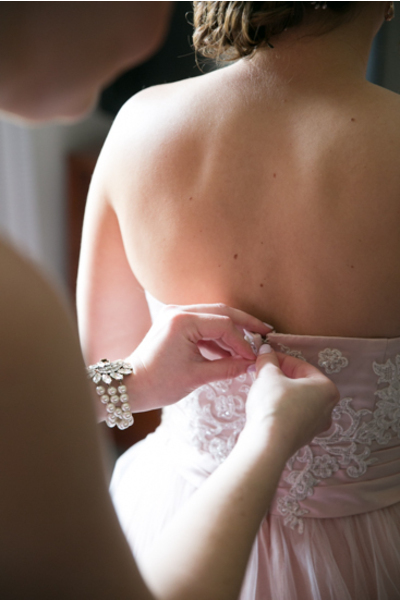 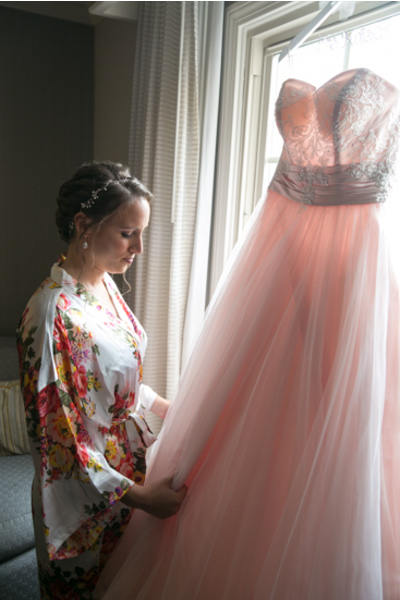 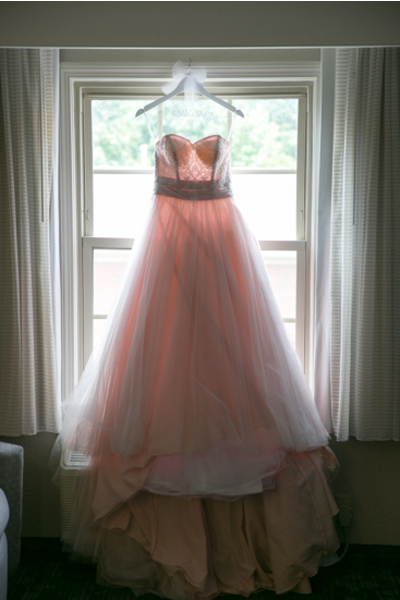 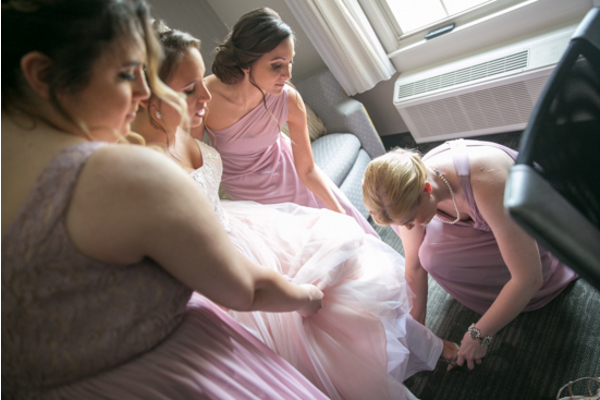 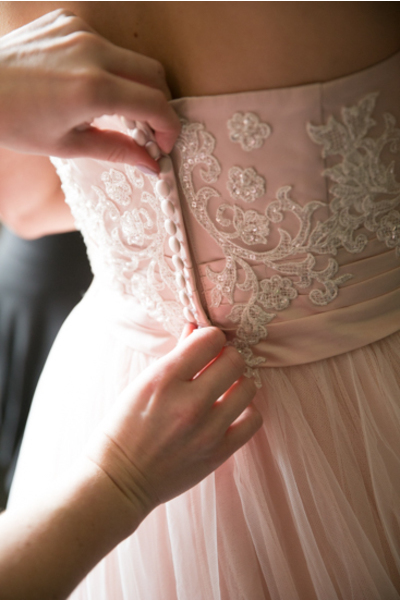 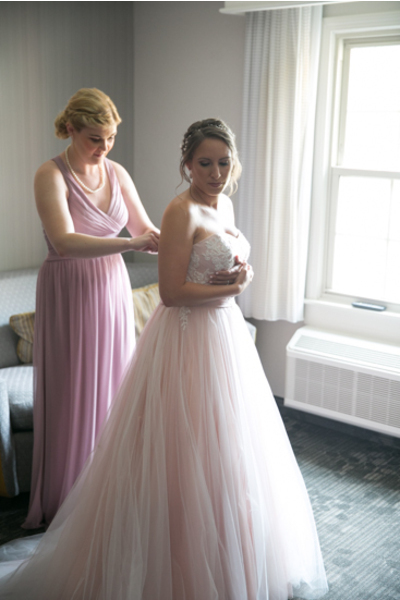 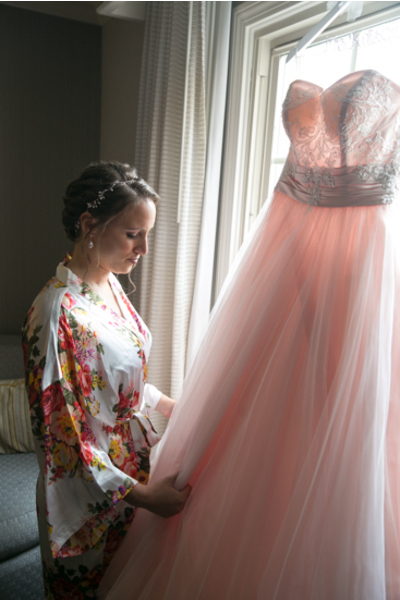 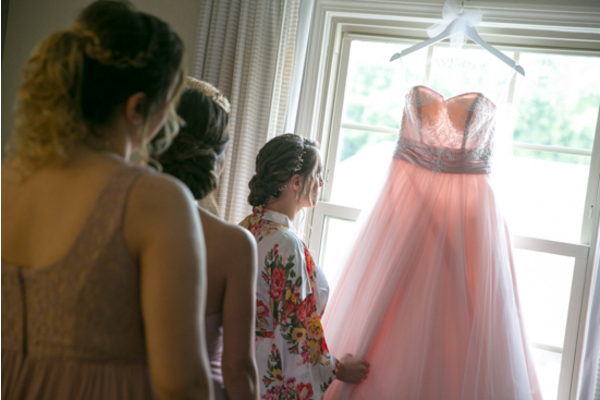 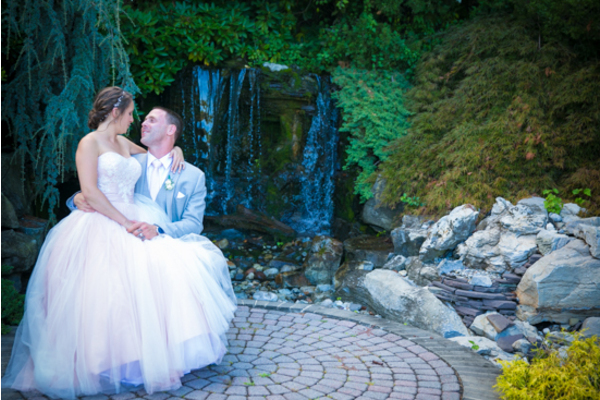 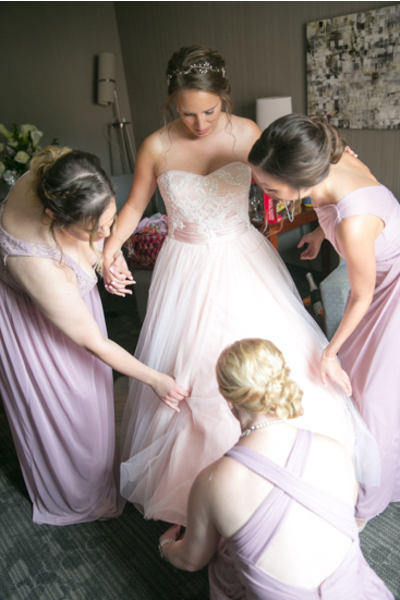 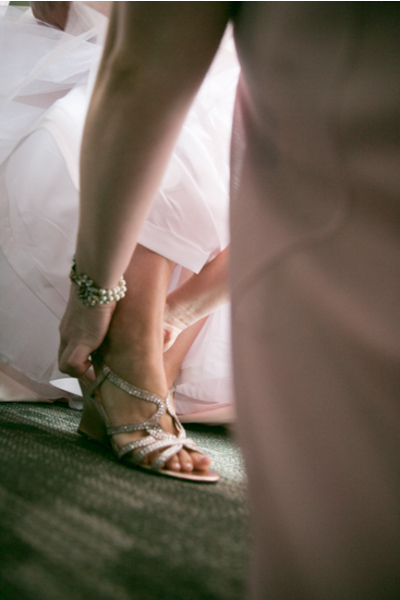 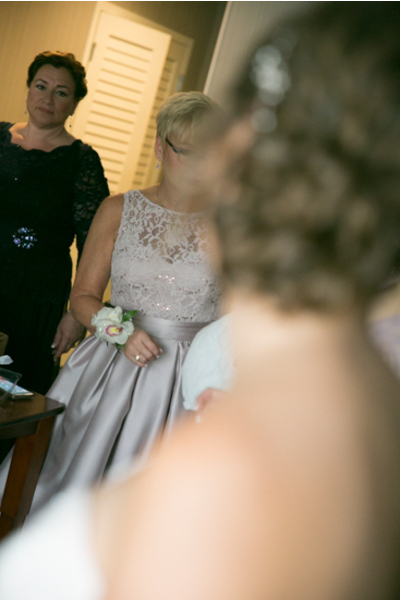 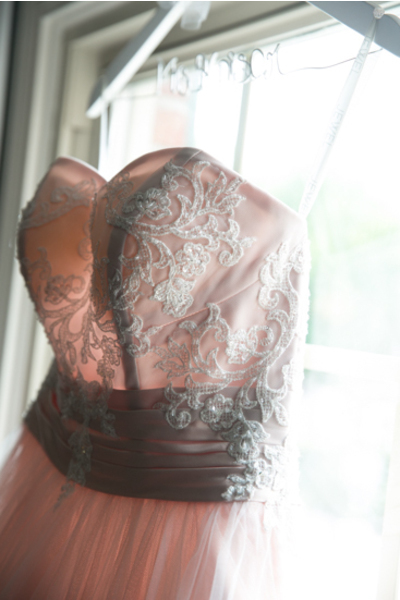 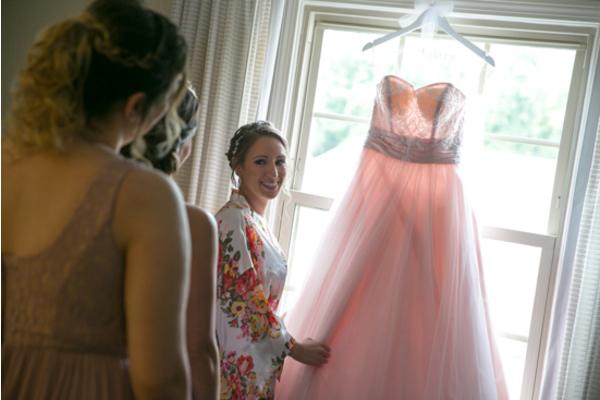 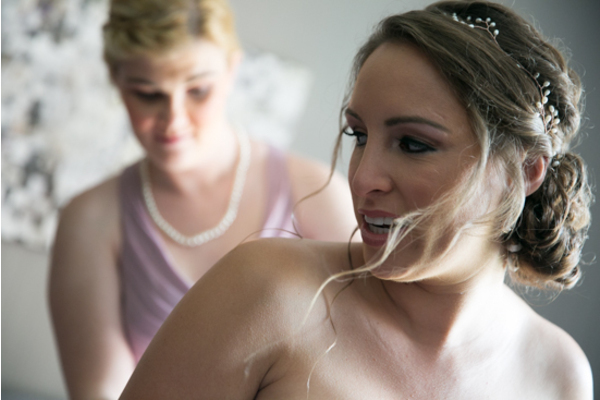 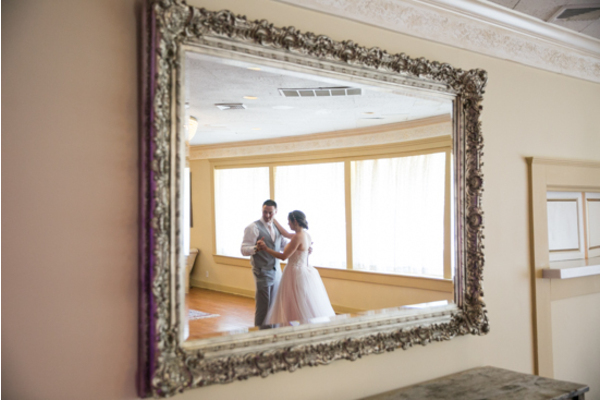 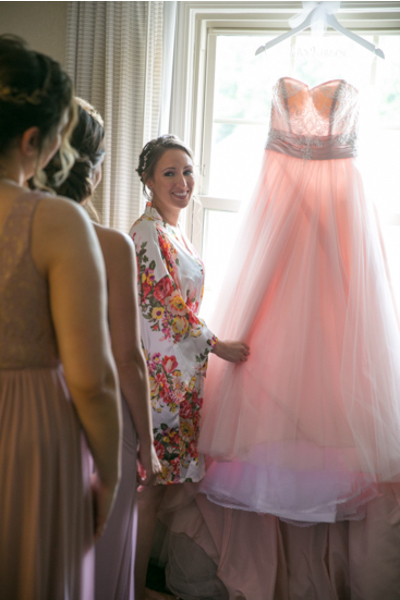 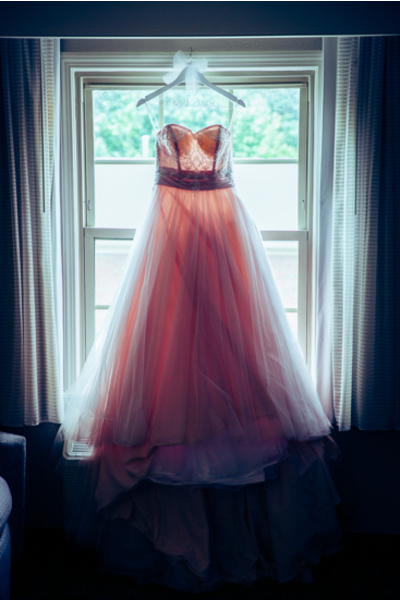 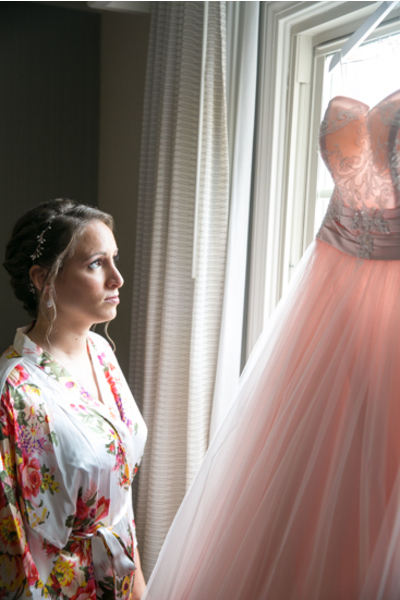 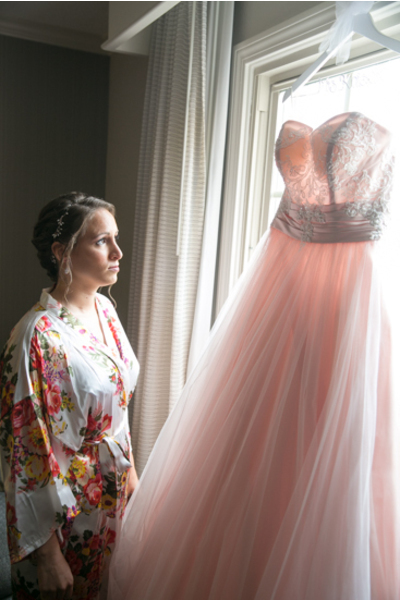 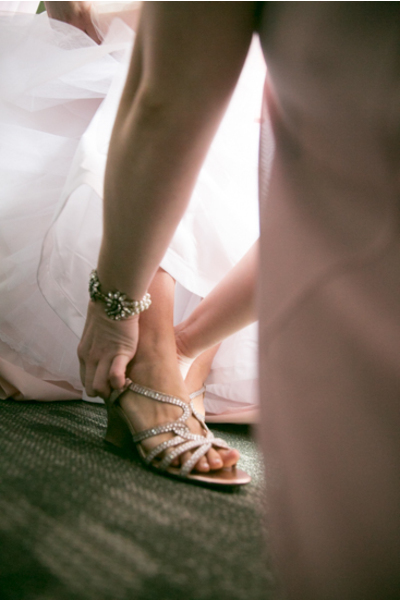 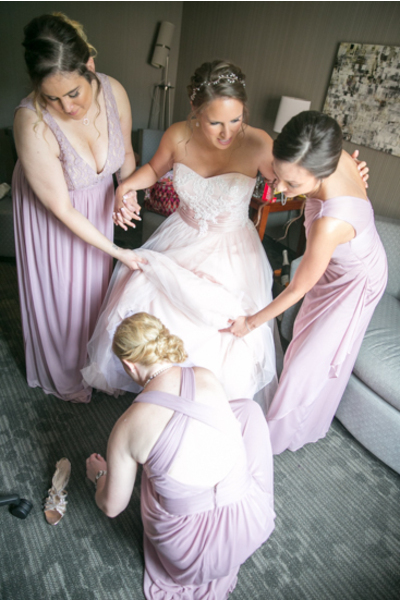 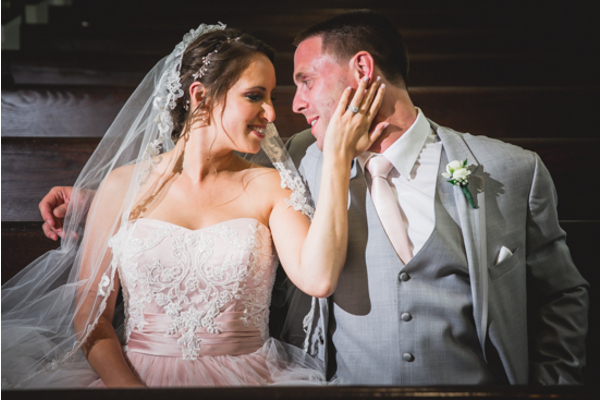 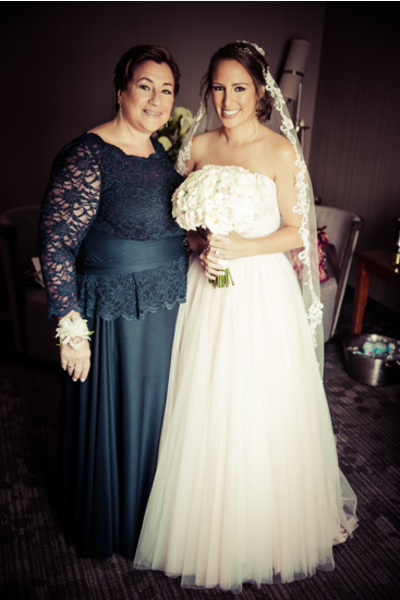 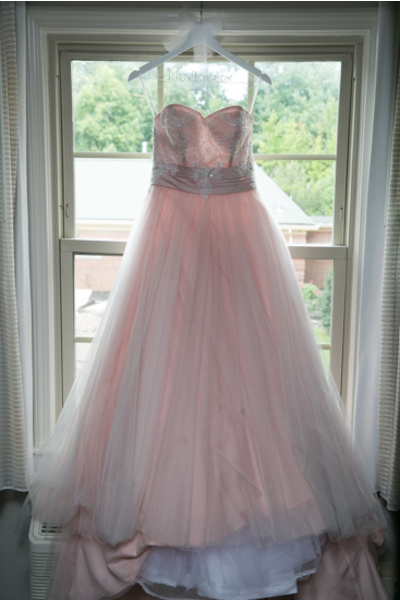 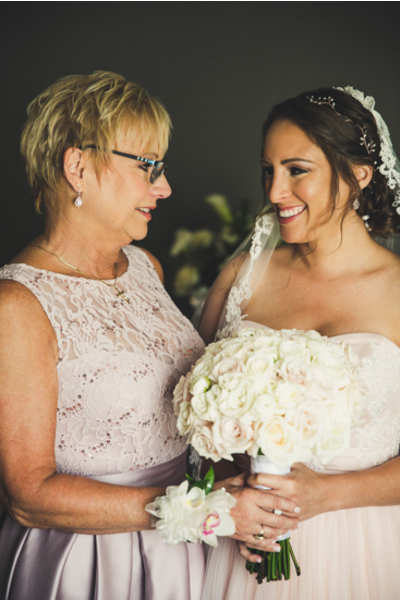 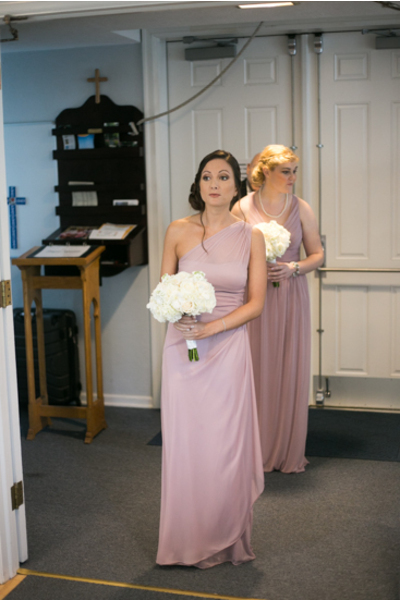 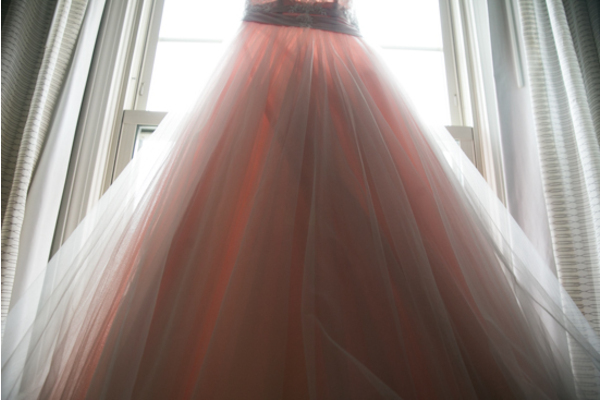 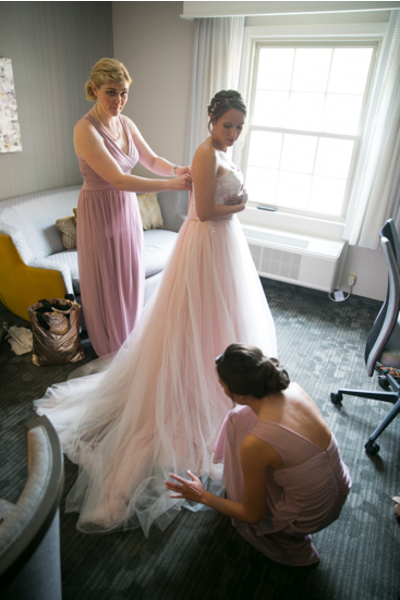 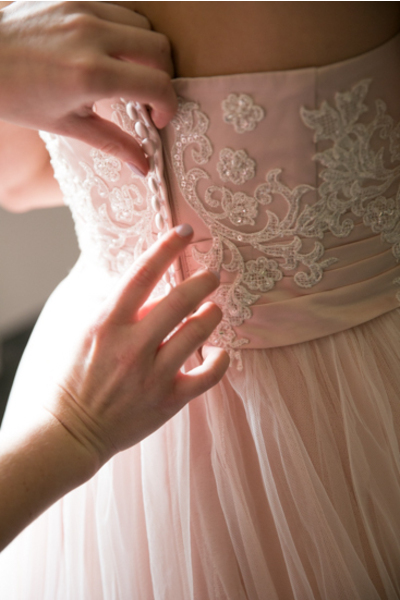 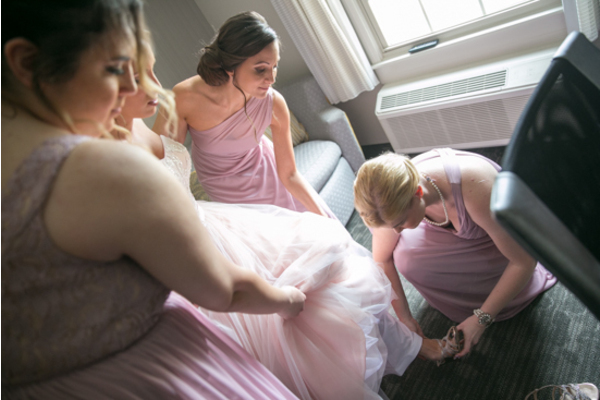 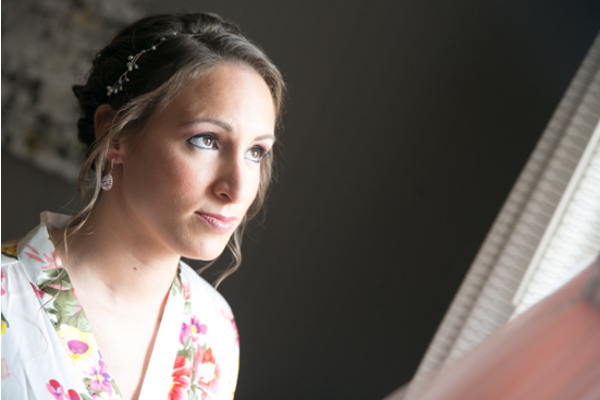 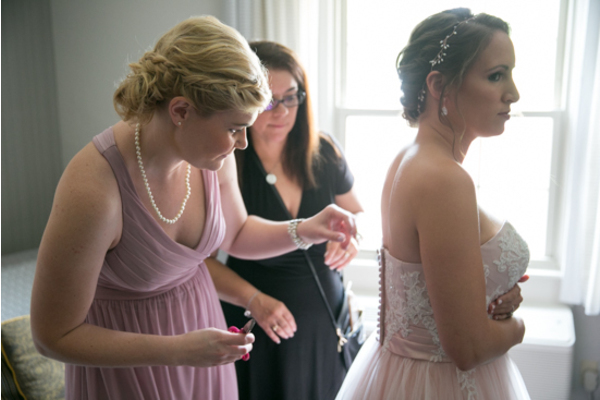 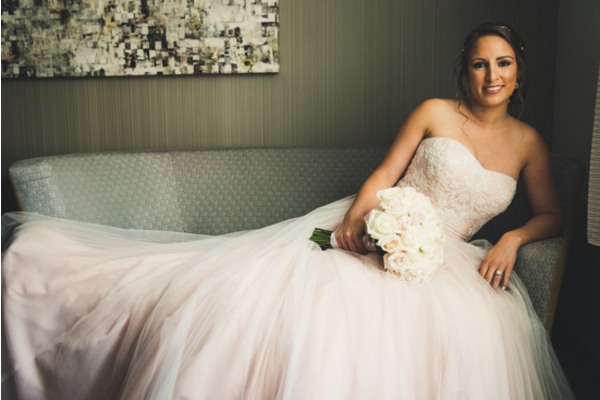 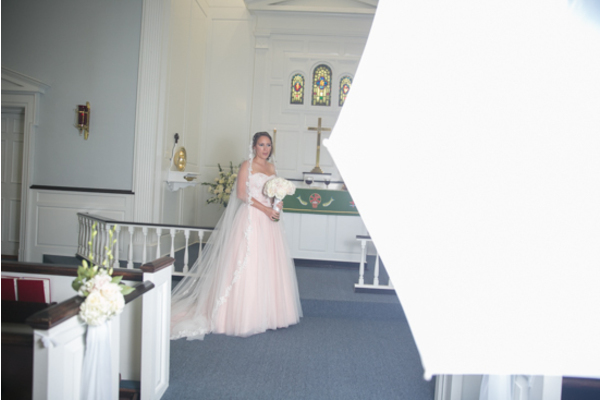 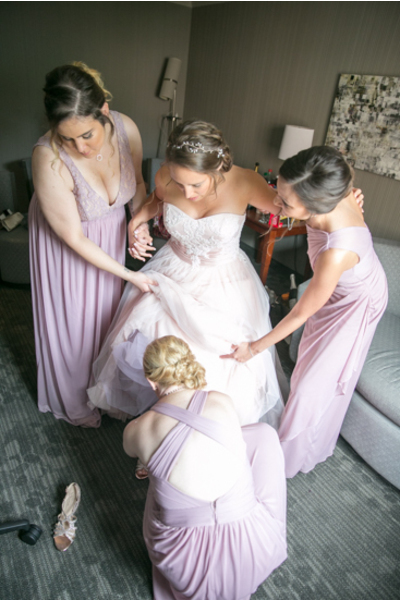 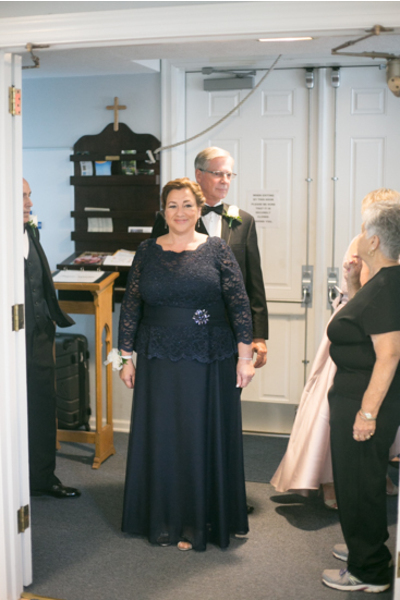 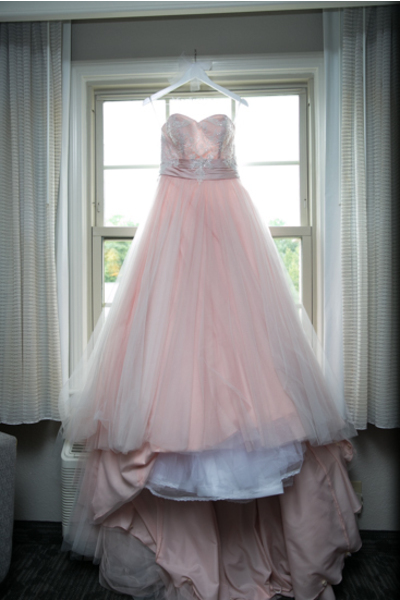 Our NJ Wedding Photographer captured the moment when Stephanie admired her beautiful gown before slipping into it. 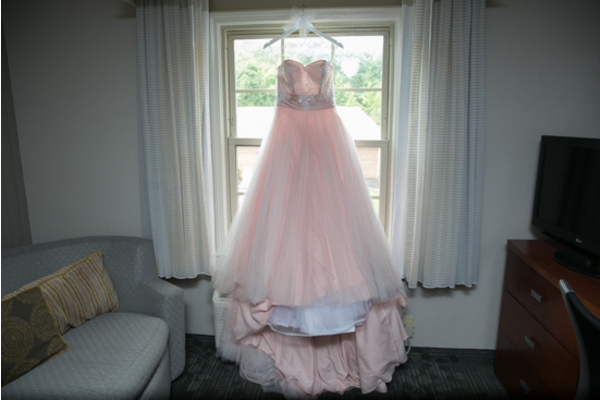 She felt like the princess she always dreamed about as a little girl and looking absolutely stunning! 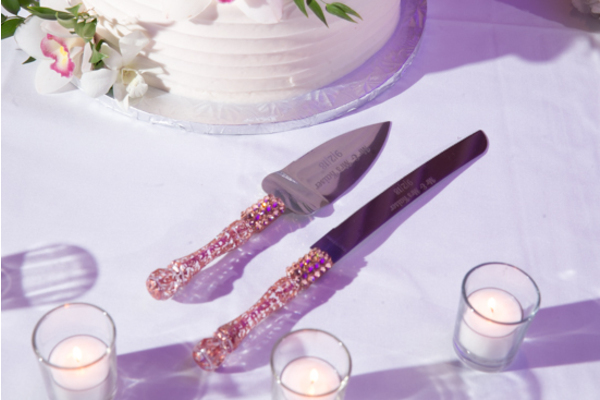 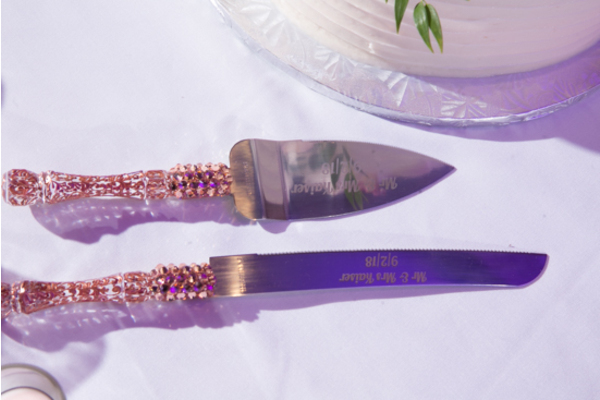 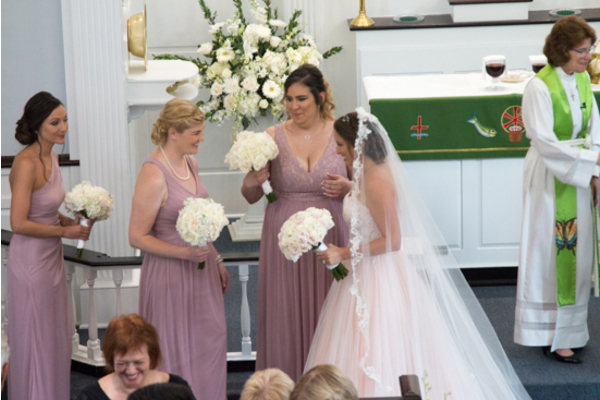 Her bridesmaids popped open the champagne and cheered to a beautiful day. 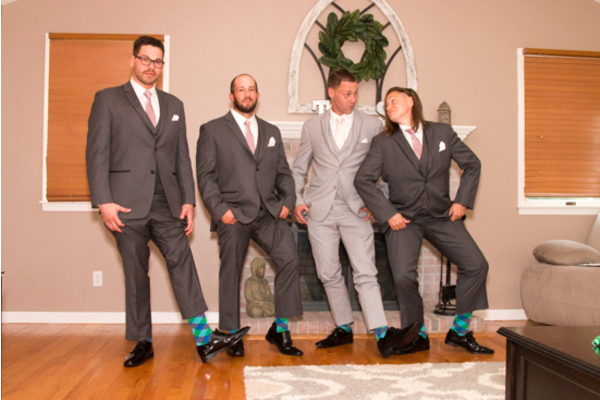 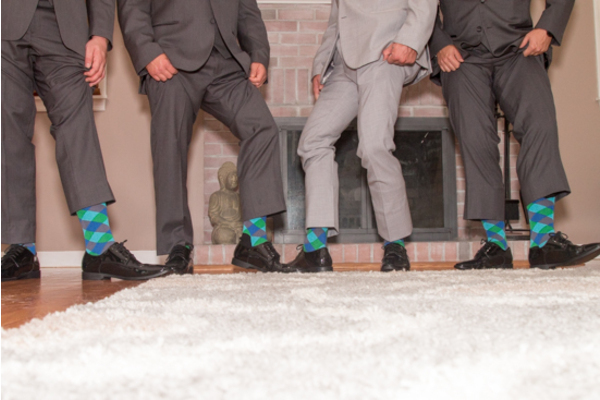 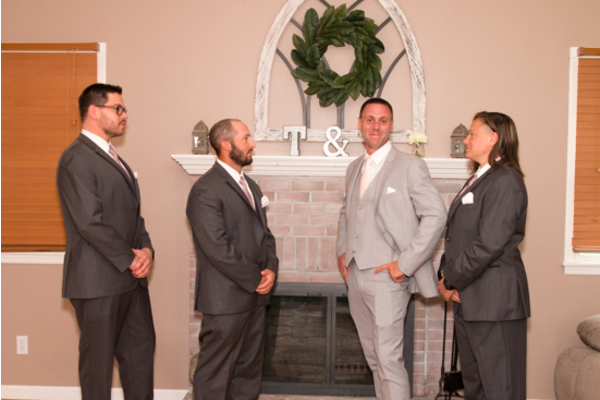 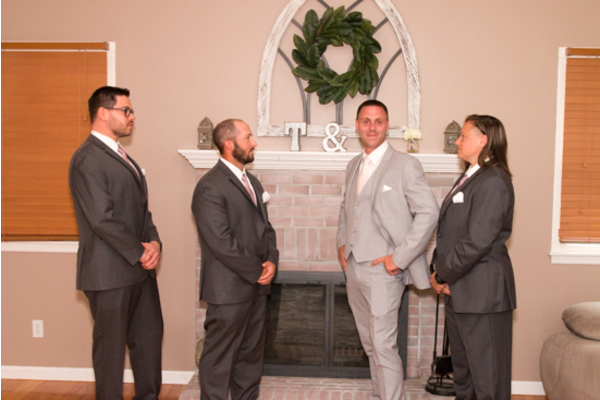 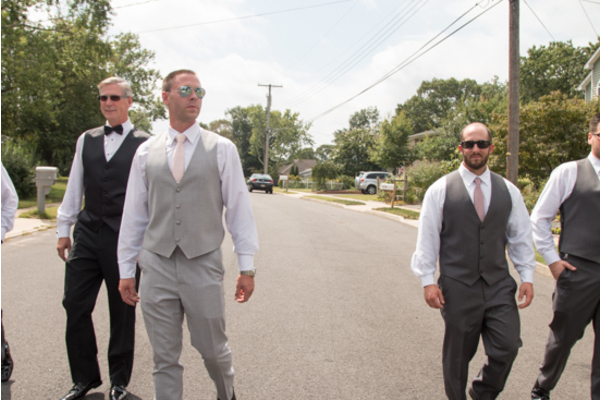 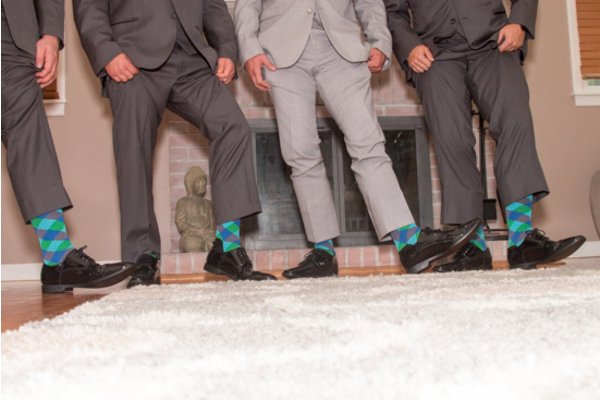 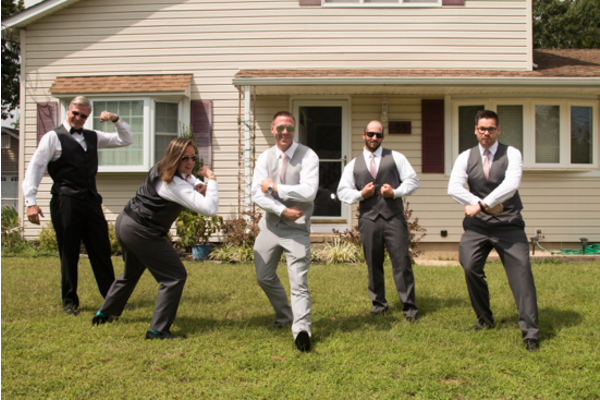 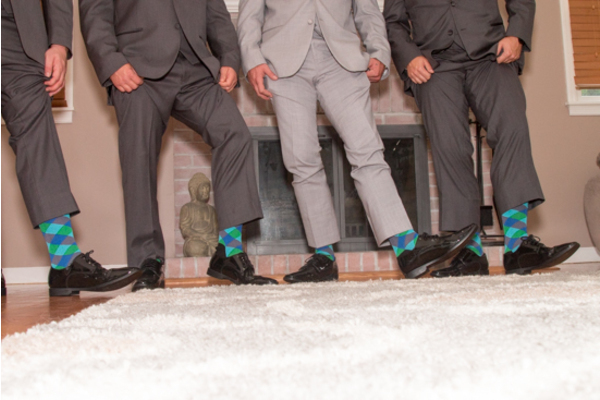 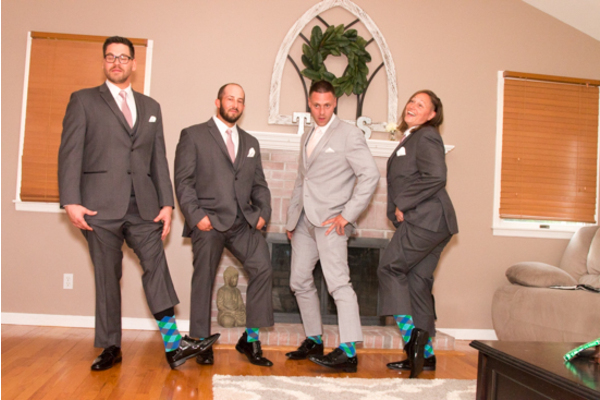 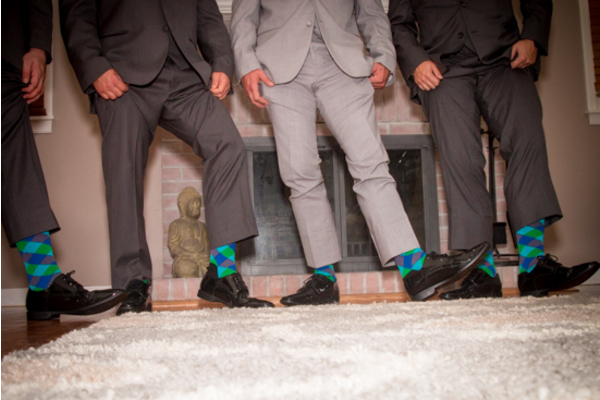 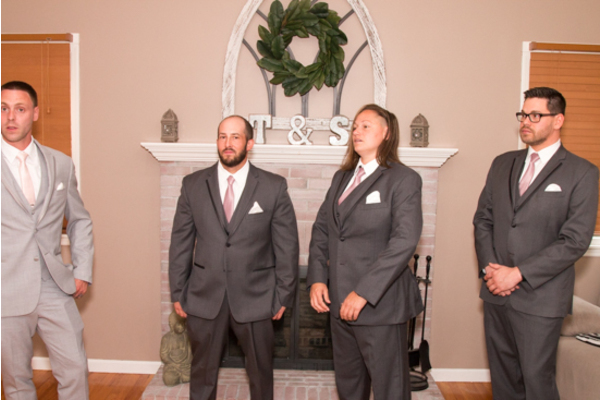 Nearby, Tom and his friends got ready and posed outside in their wedding attire and matching socks. 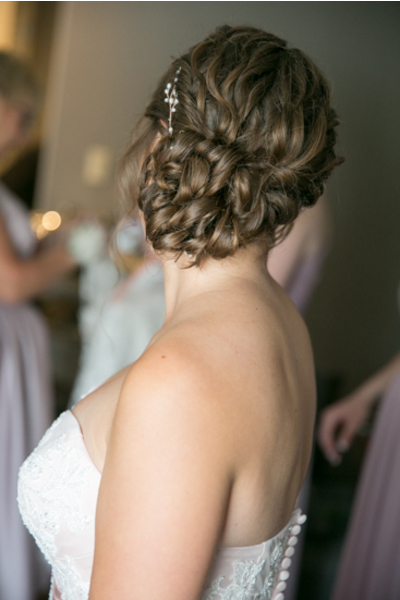 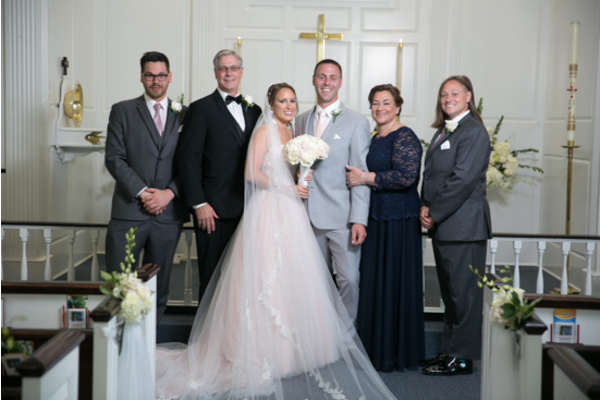 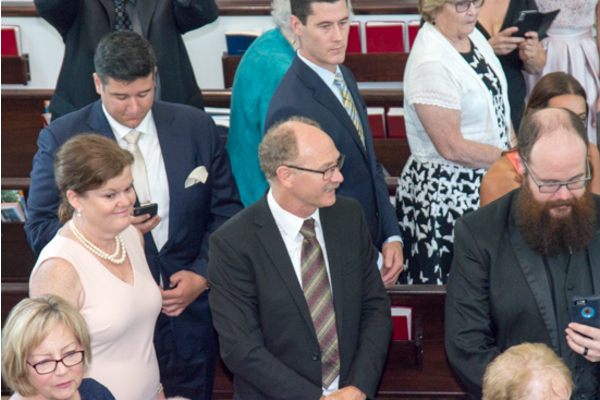 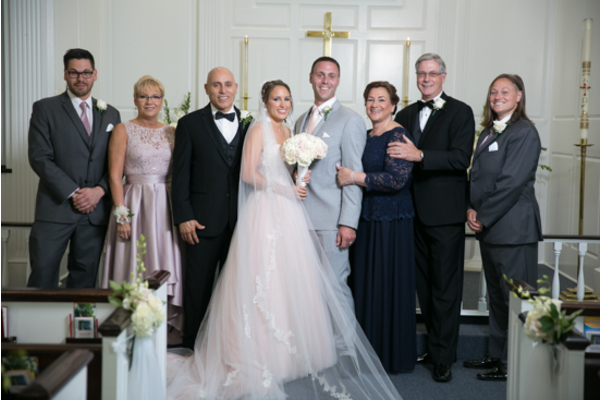 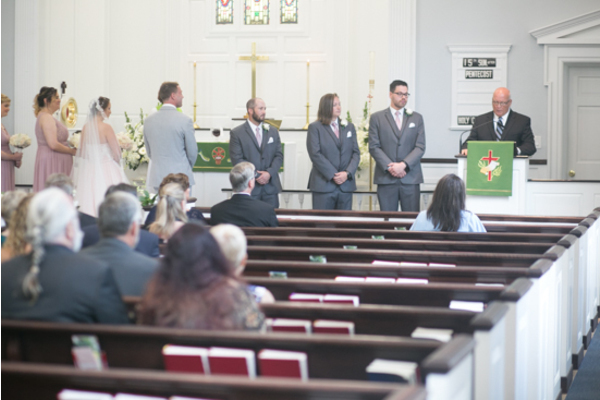 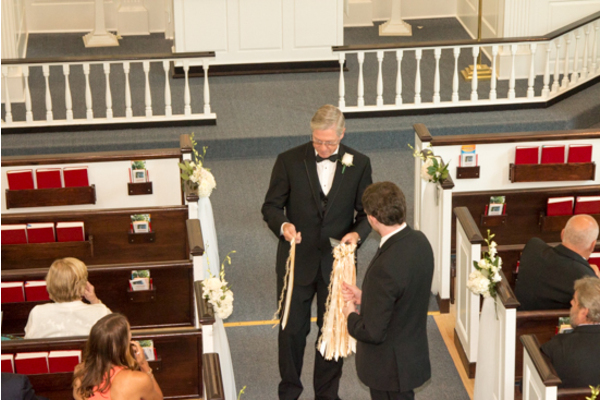 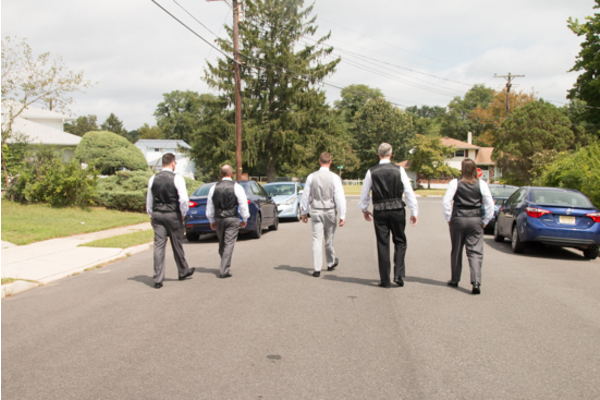 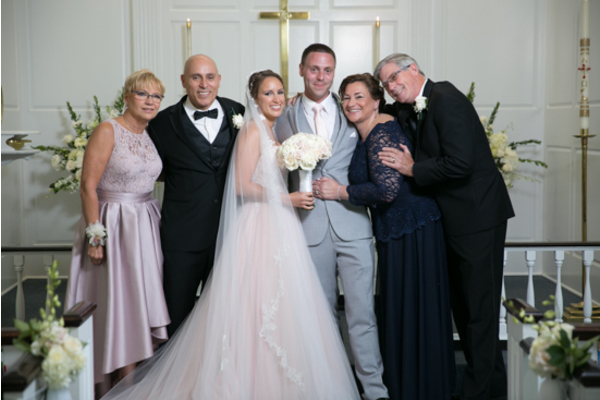 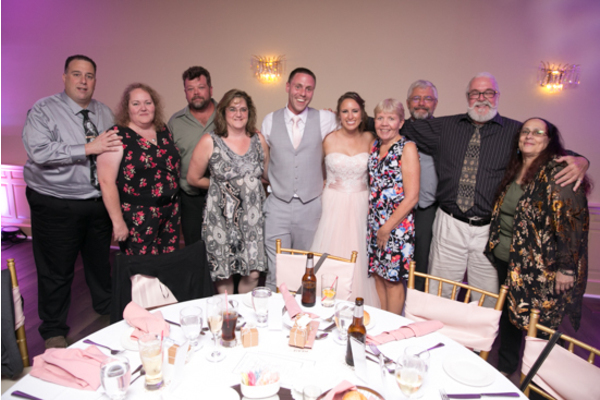 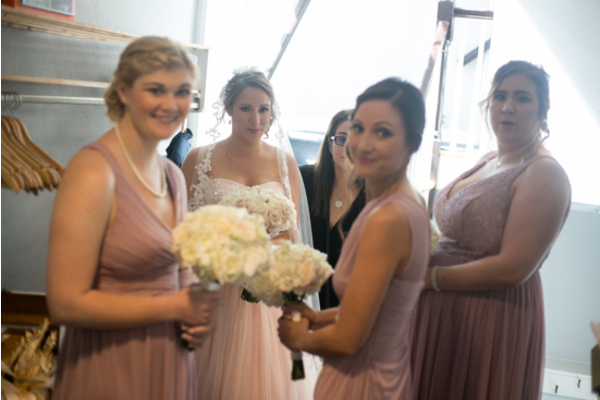 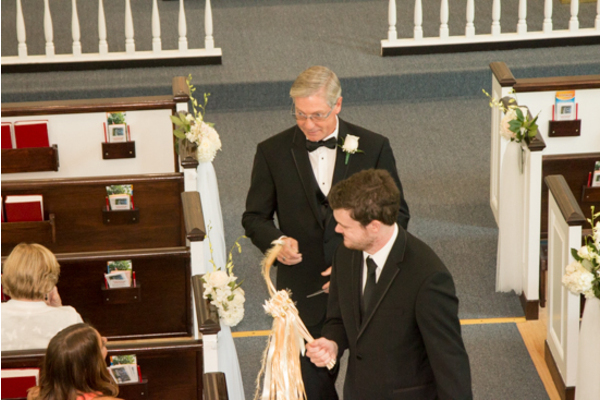 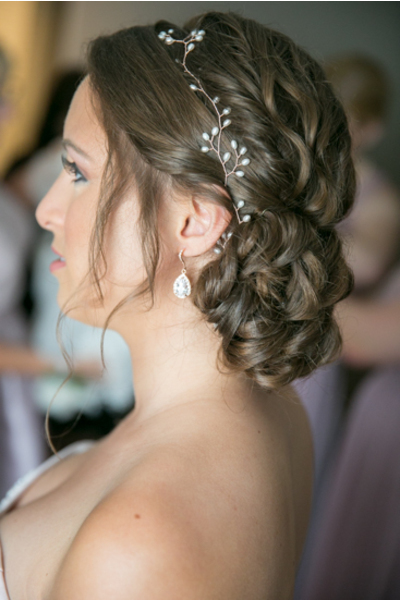 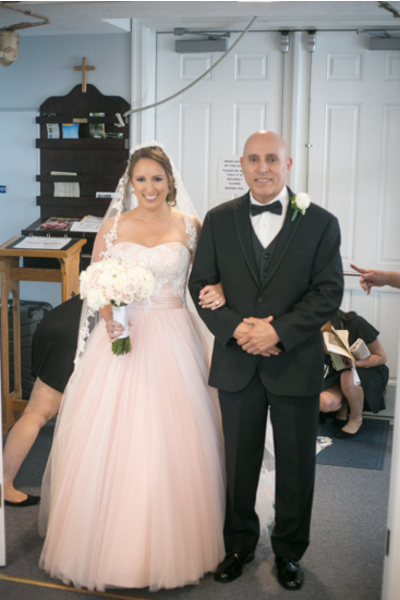 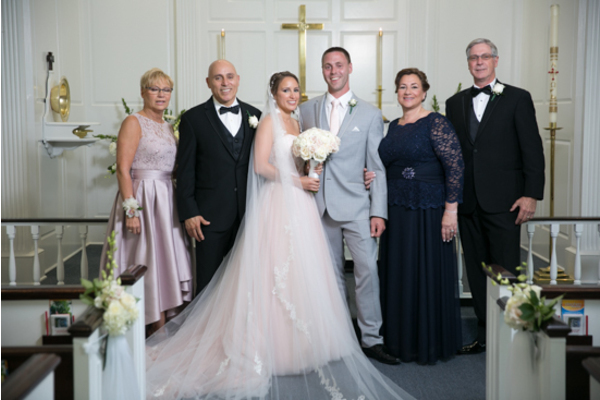 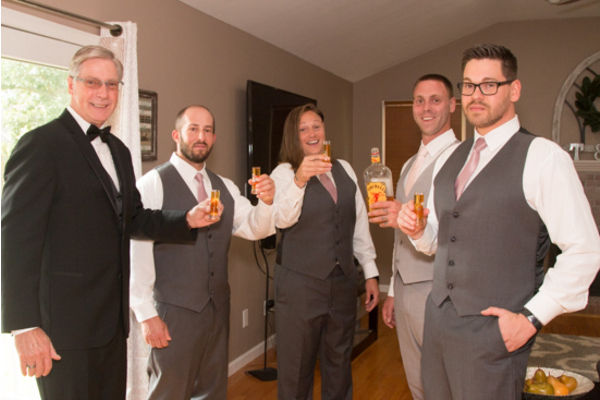 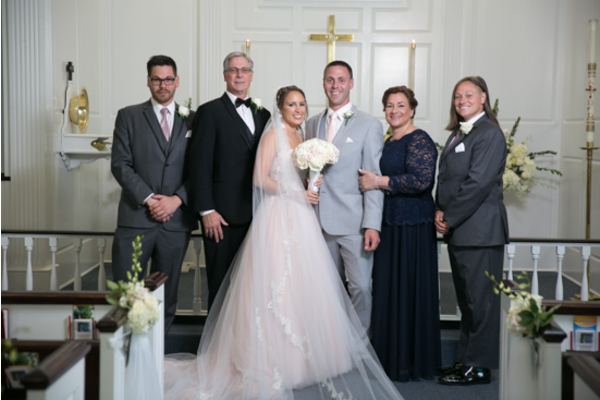 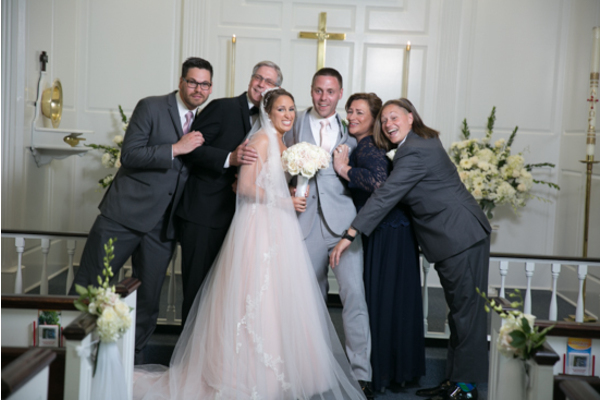 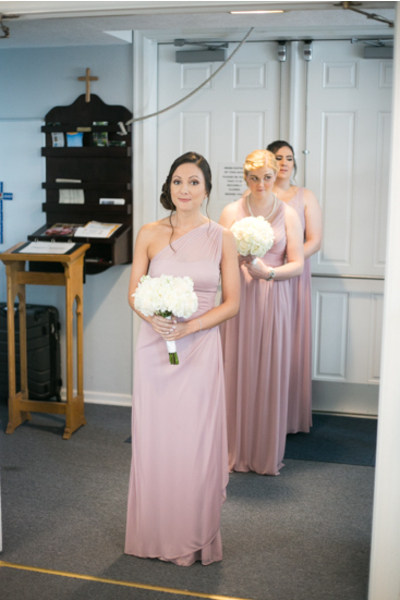 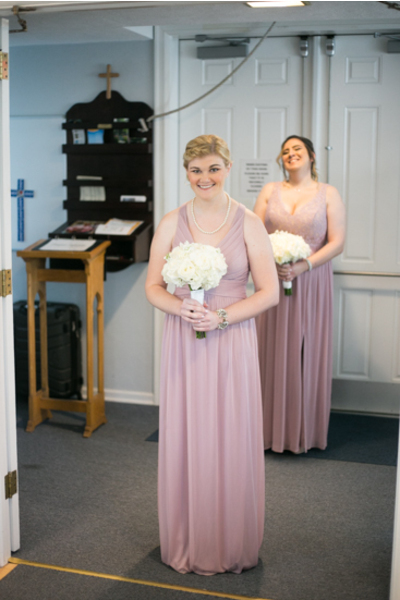 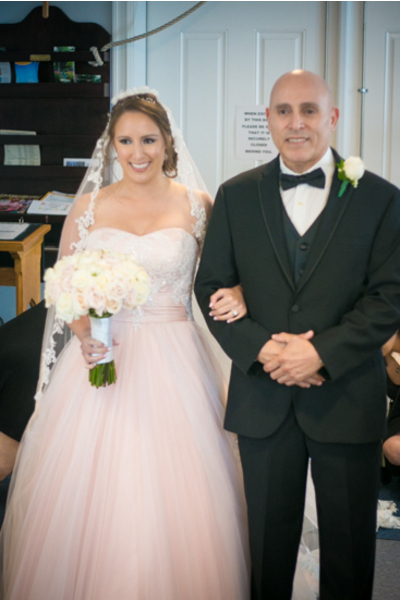 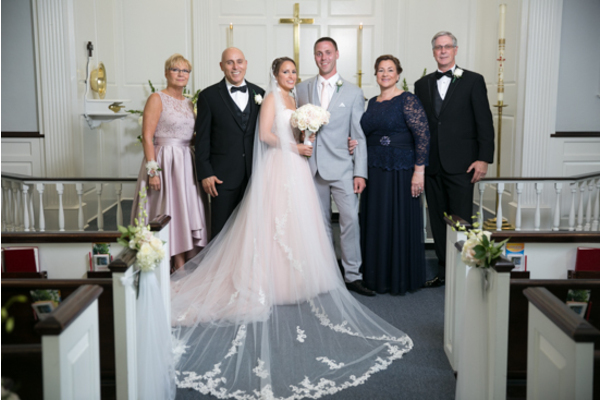 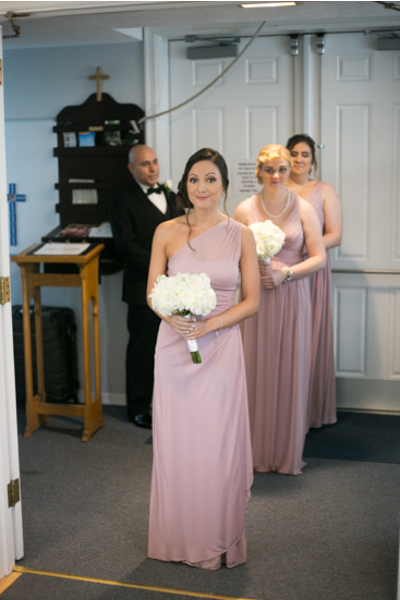 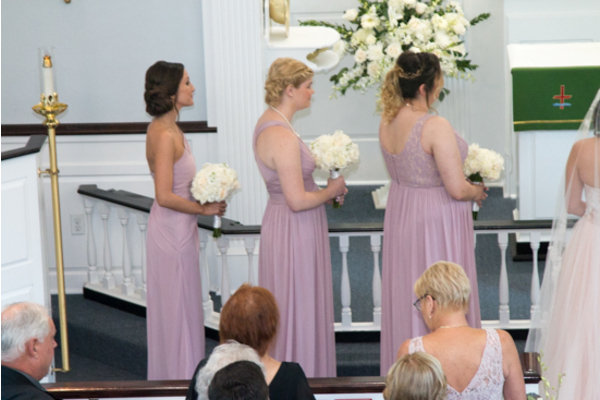 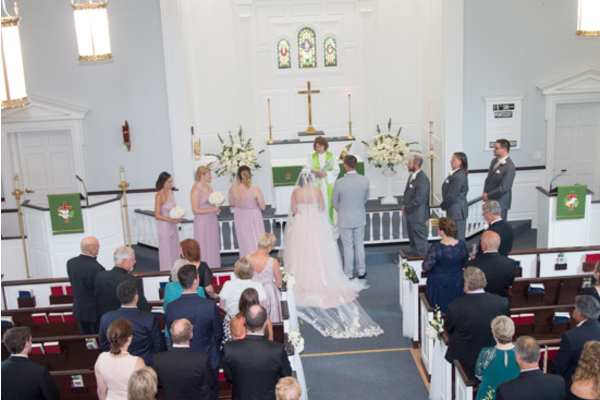 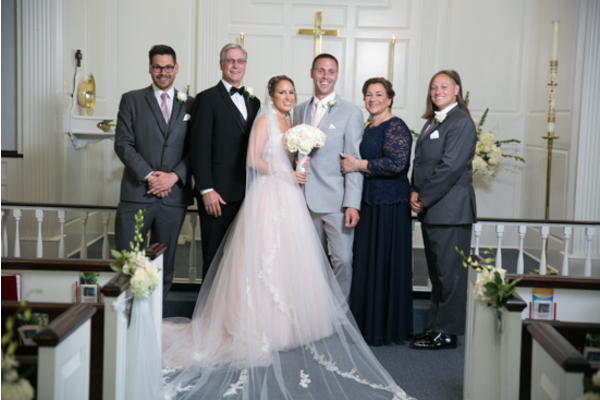 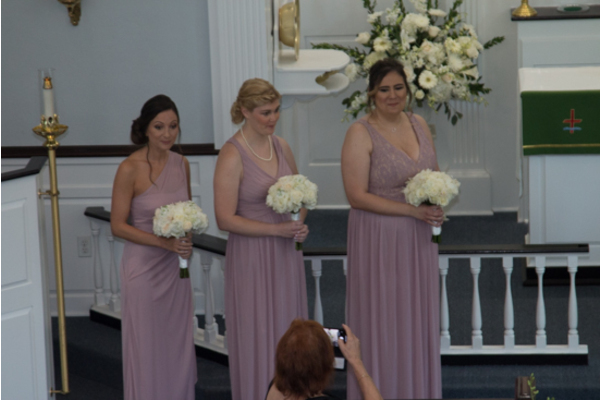 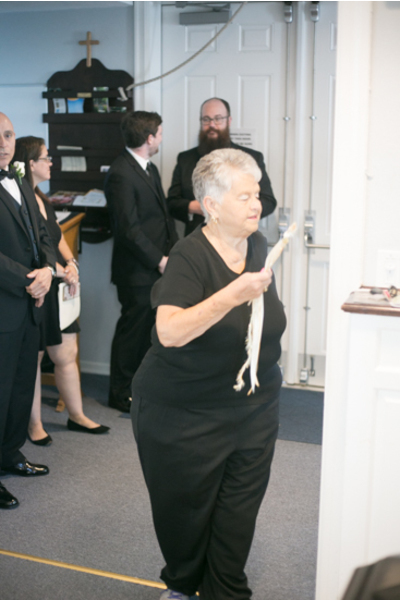 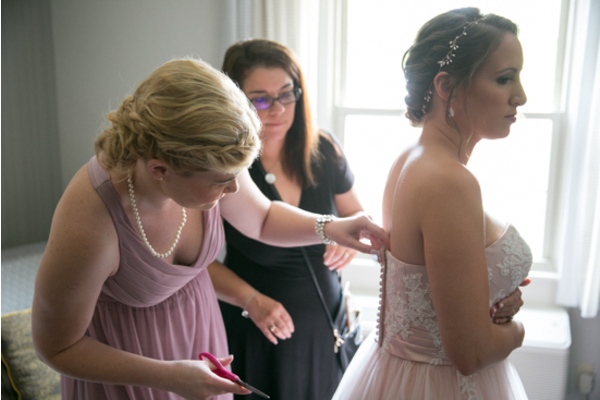 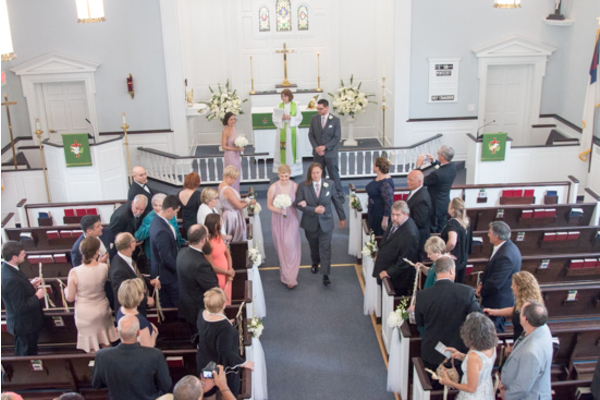 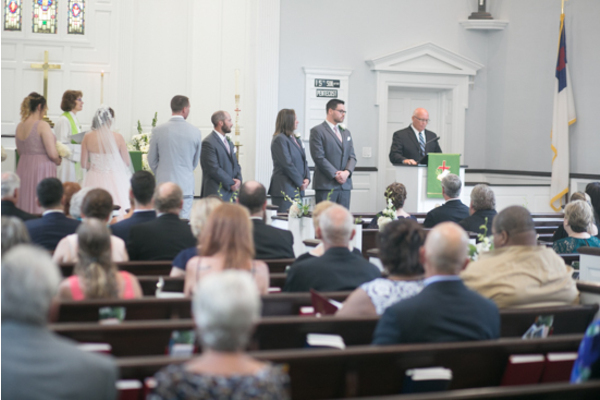 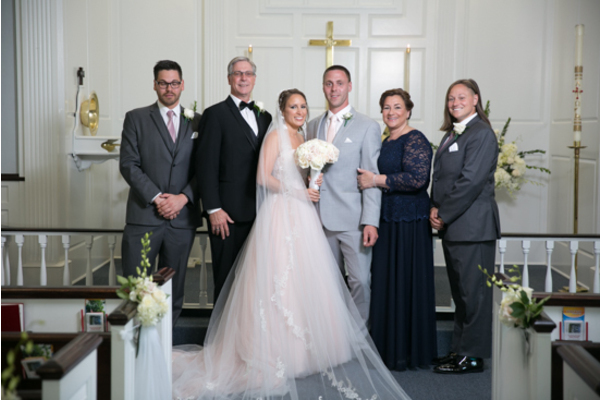 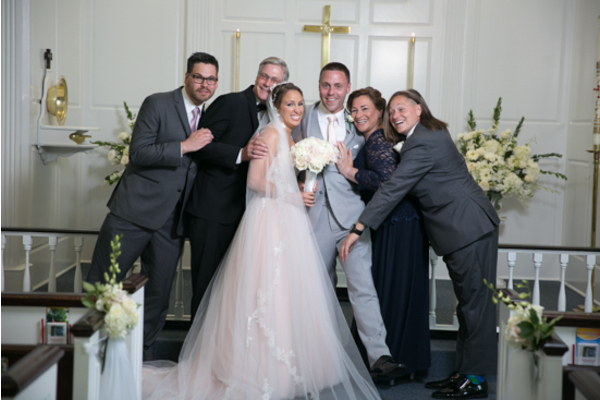 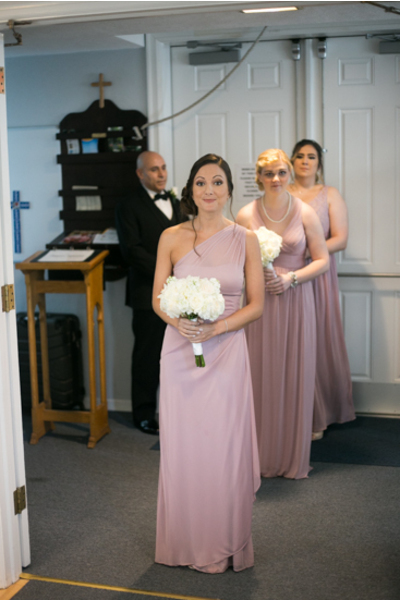 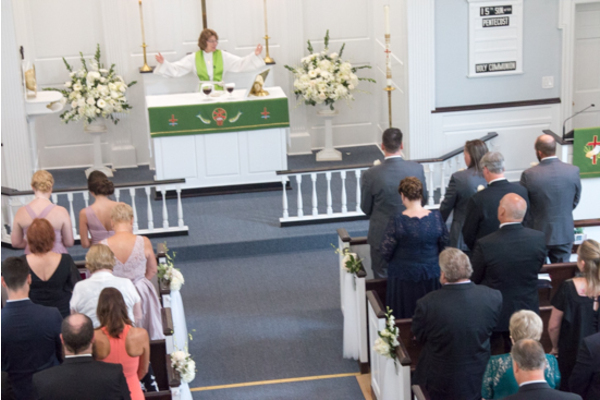 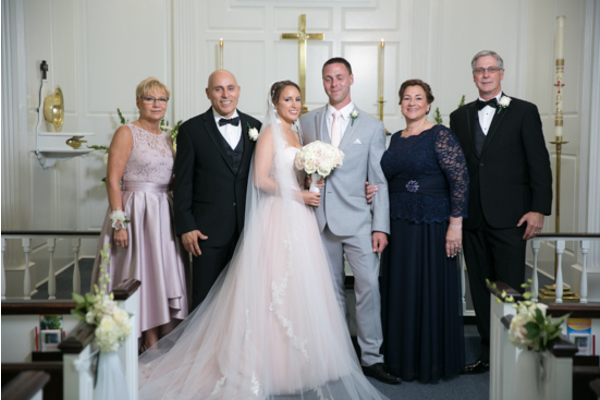 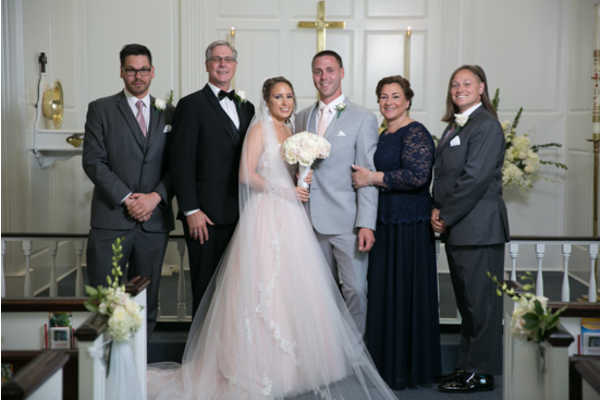 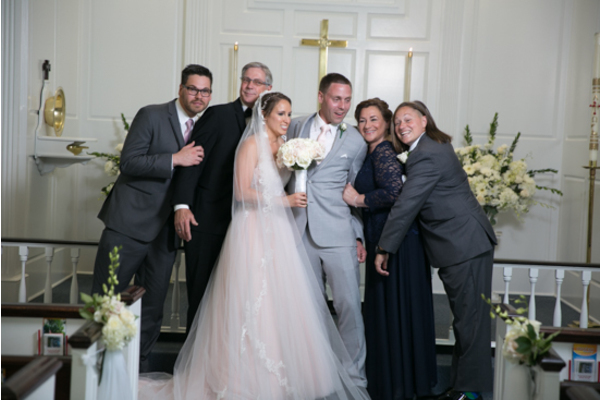 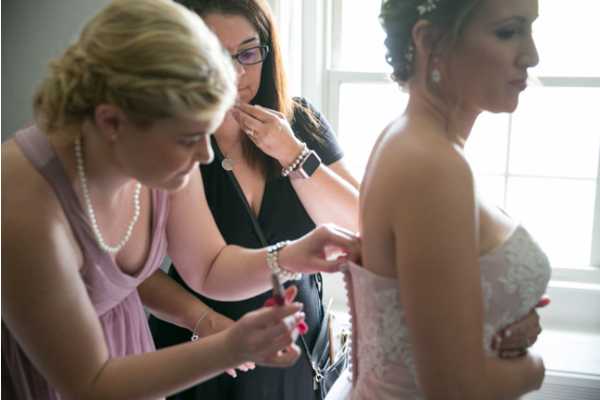 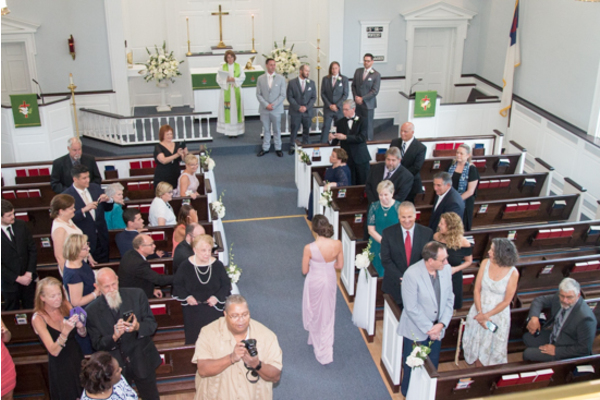 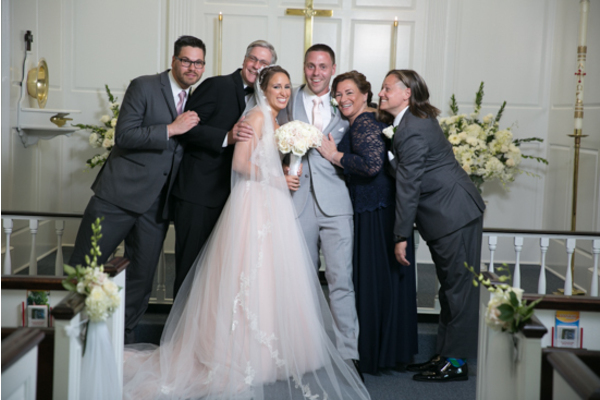 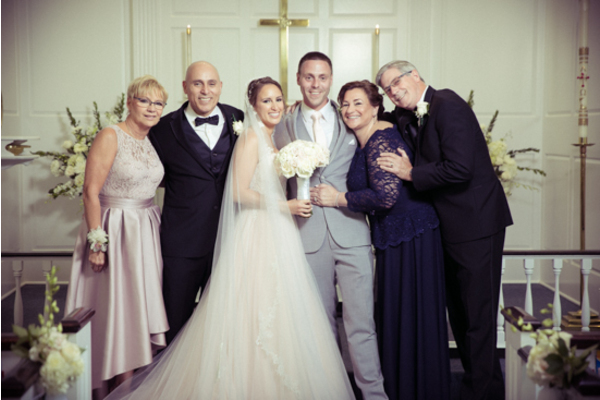 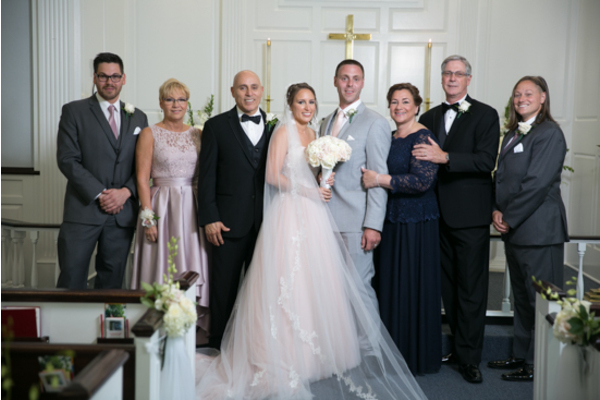 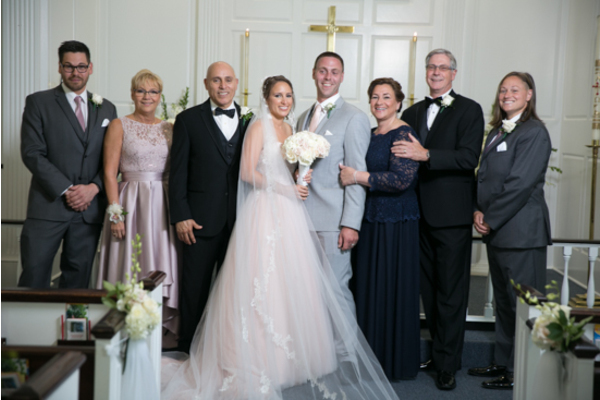 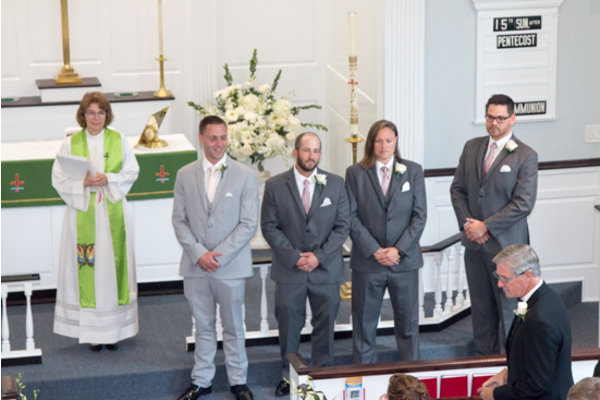 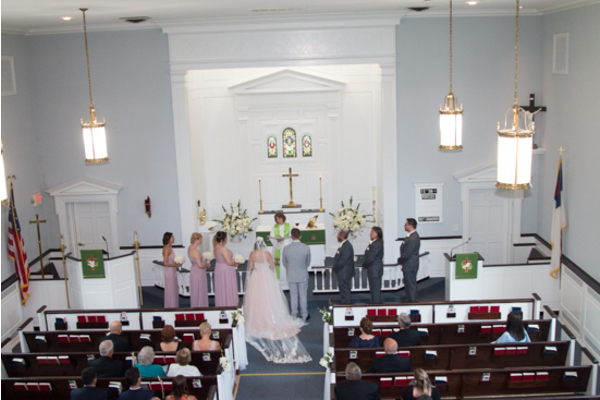 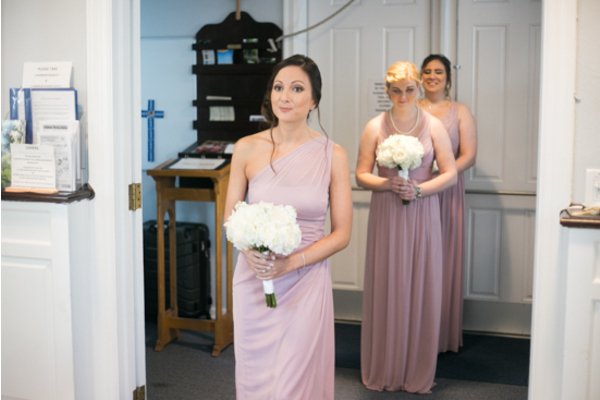 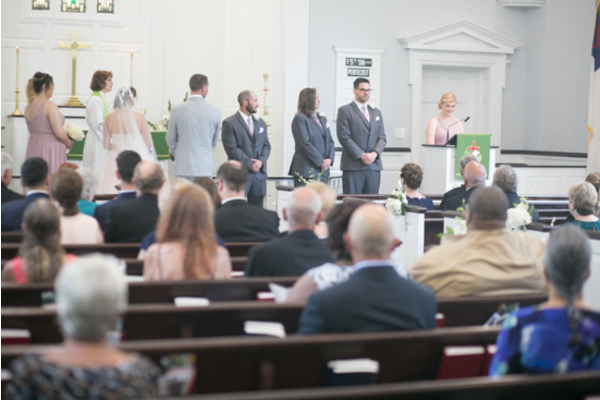 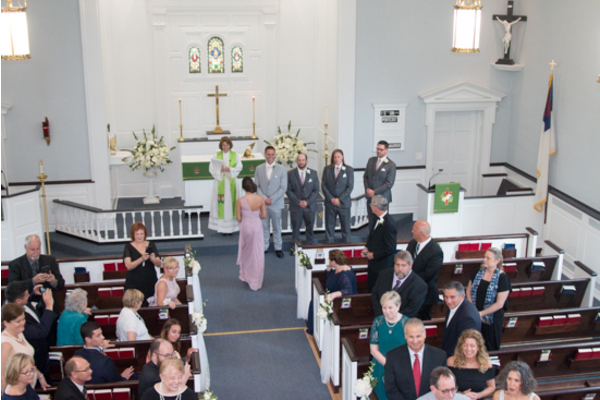 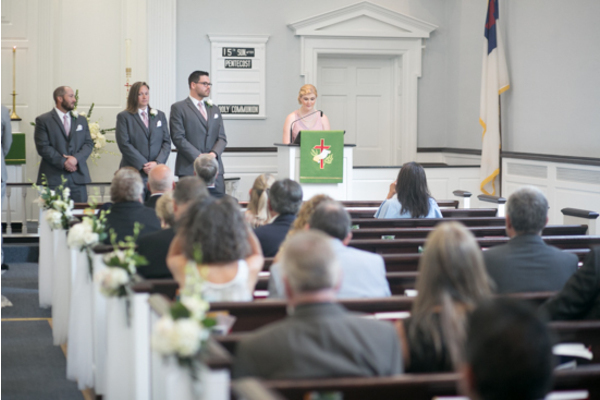 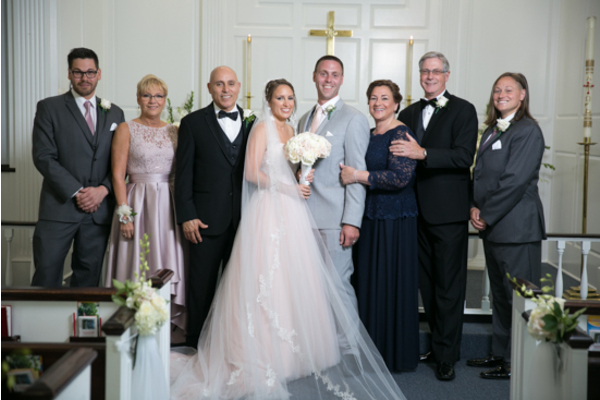 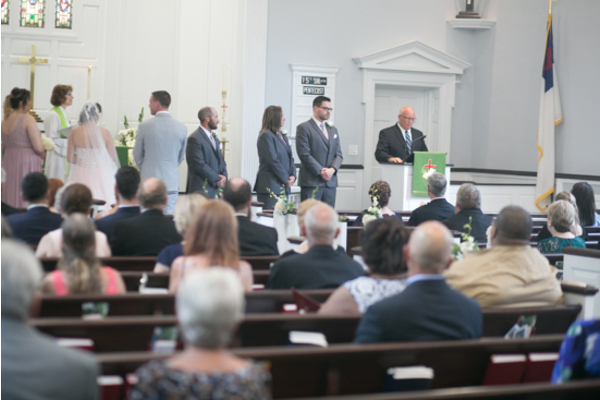 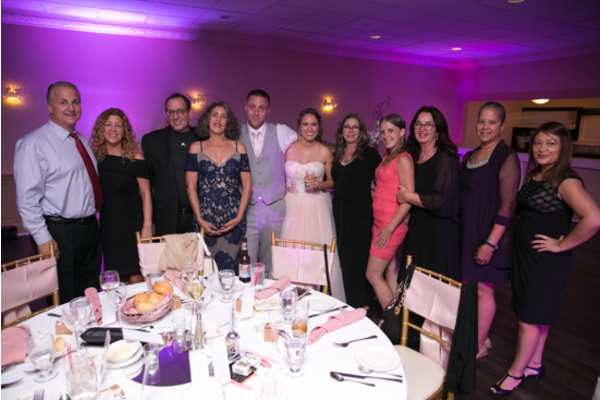 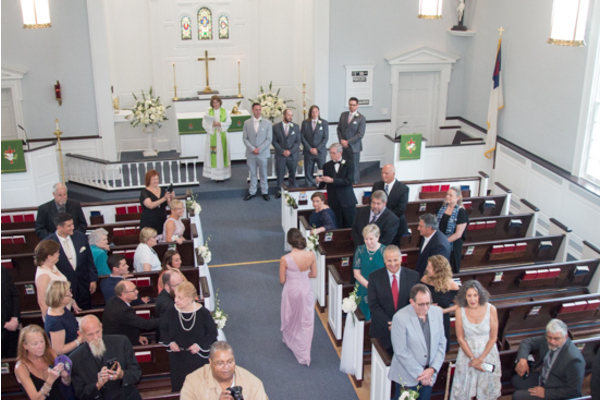 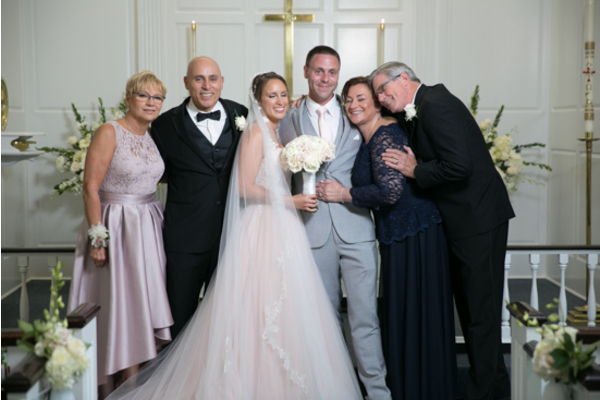 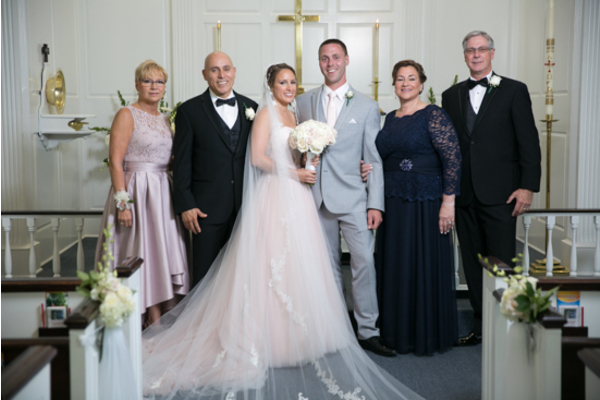 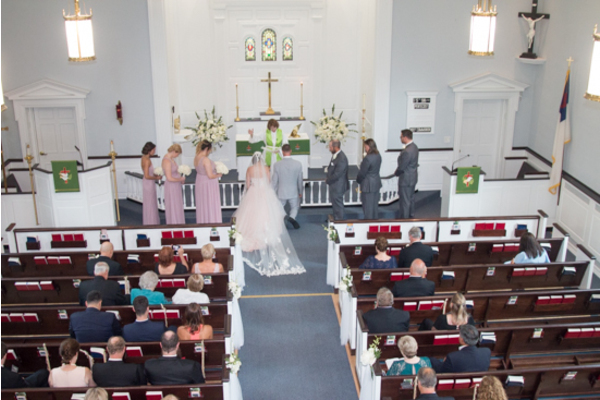 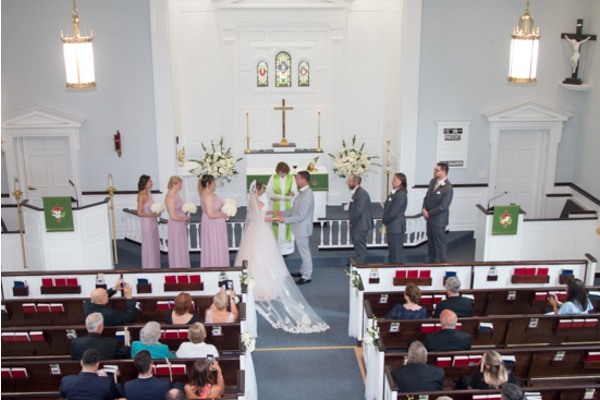 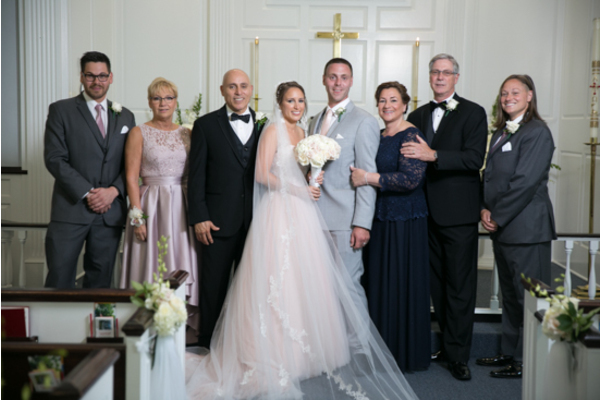 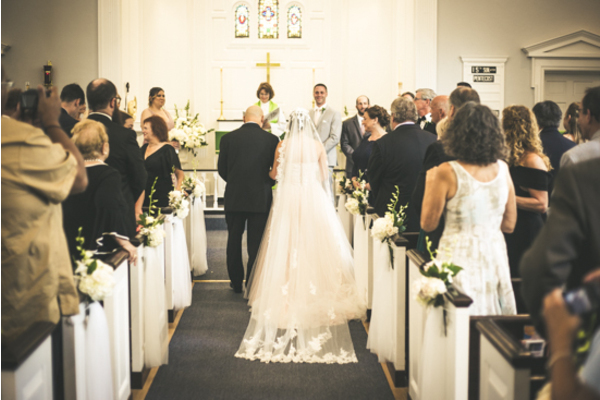 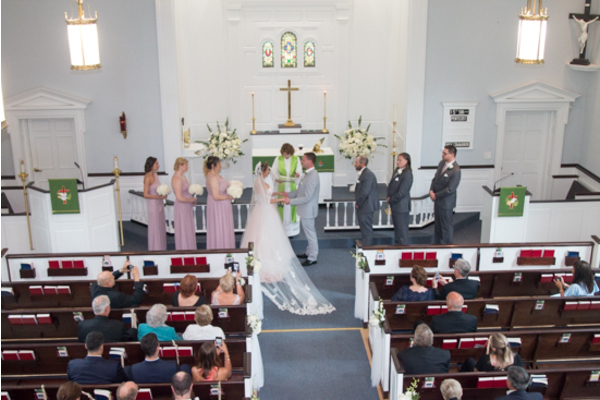 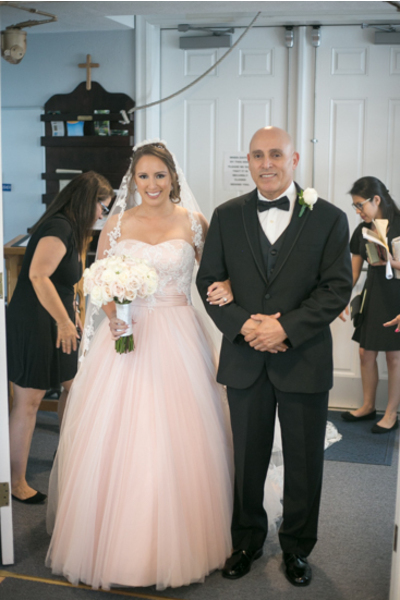 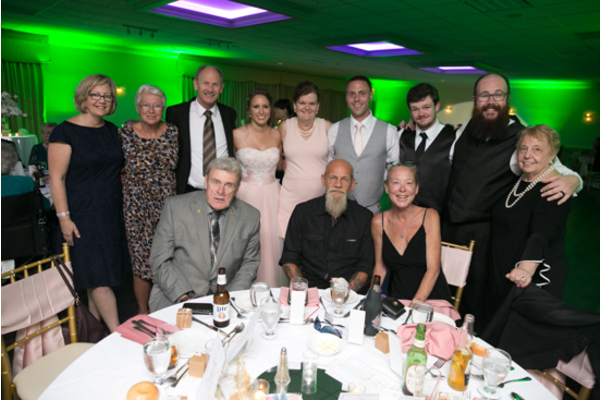 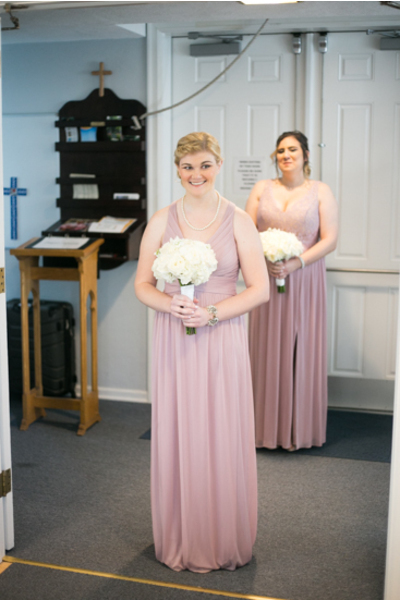 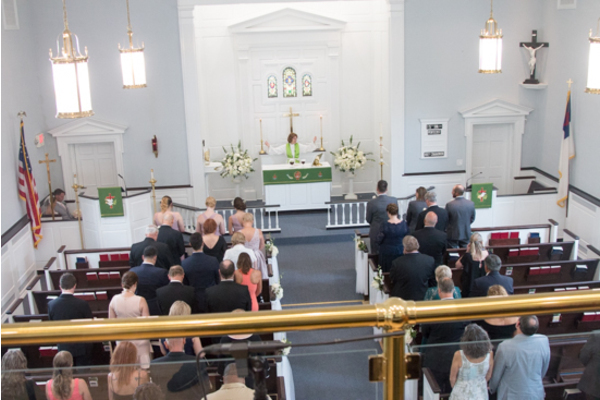 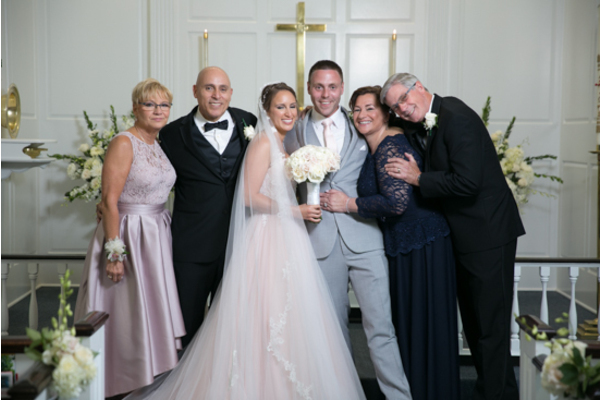 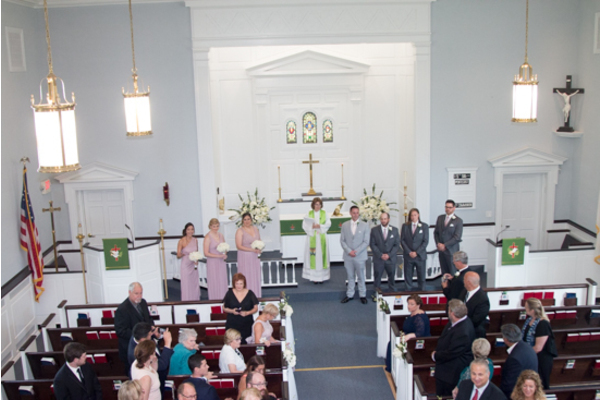 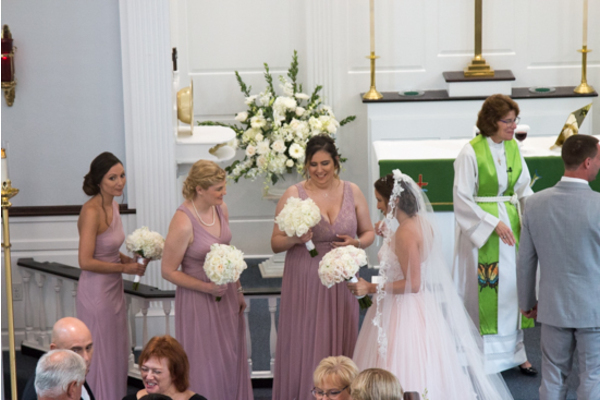 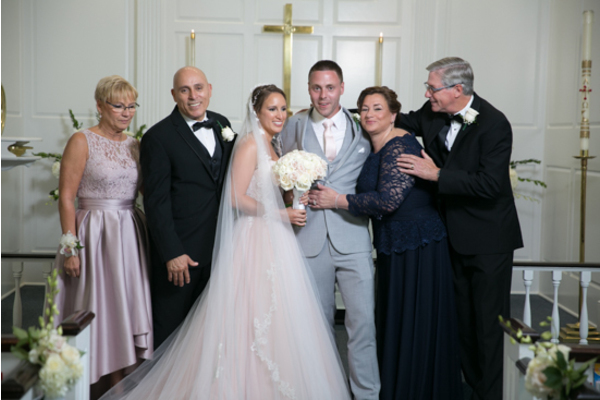 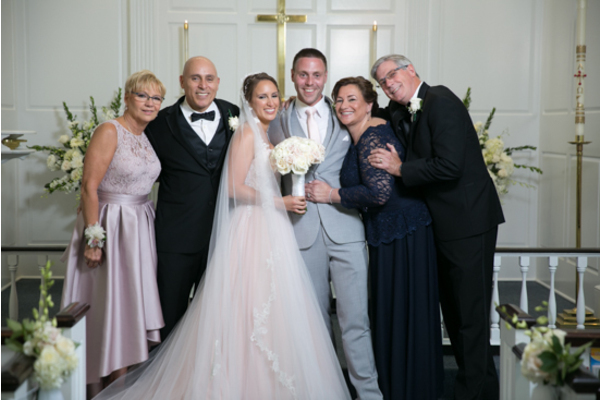 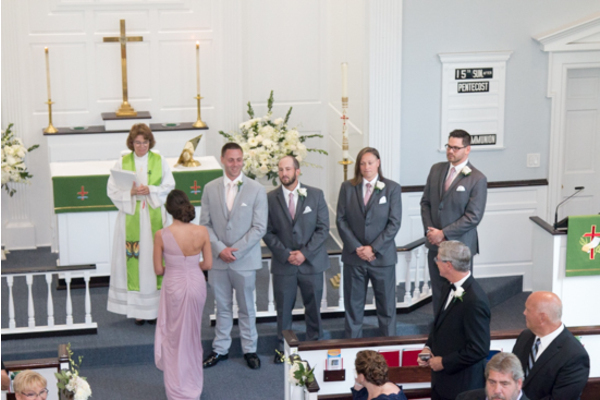 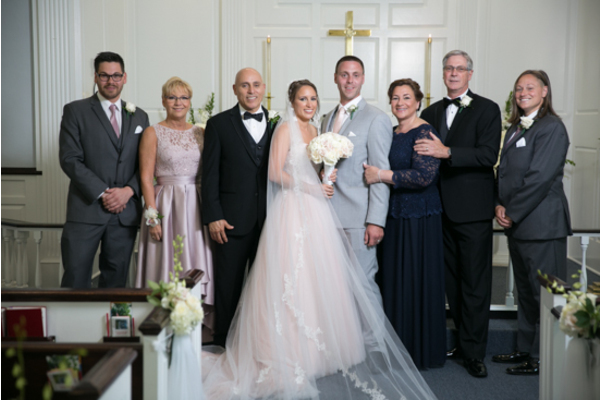 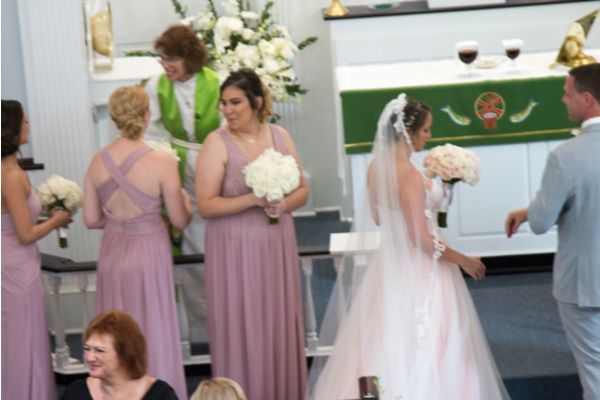 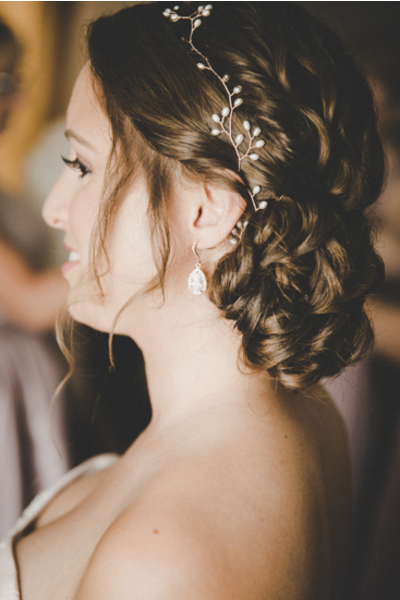 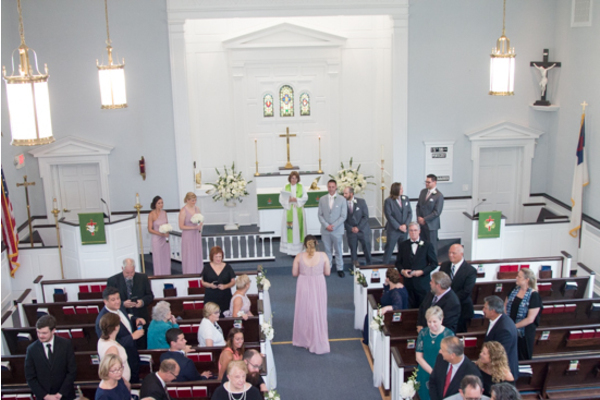 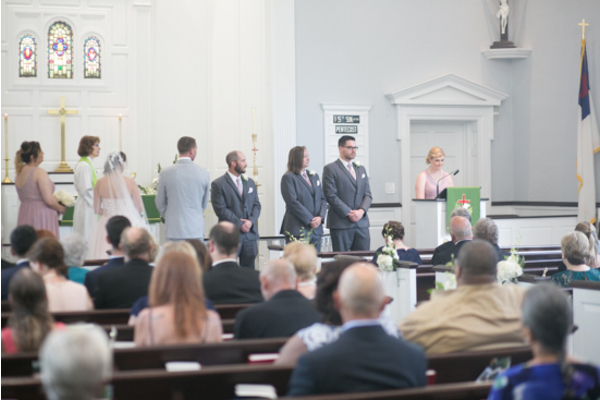 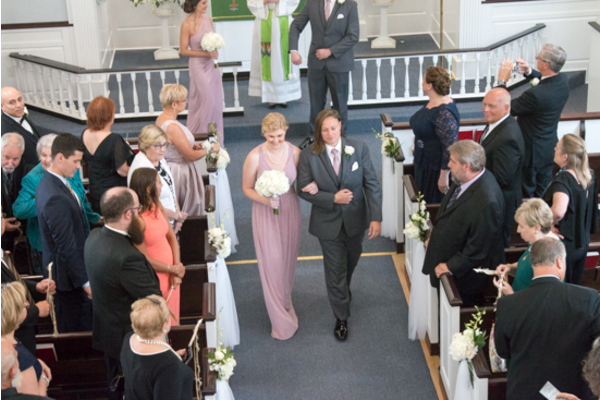 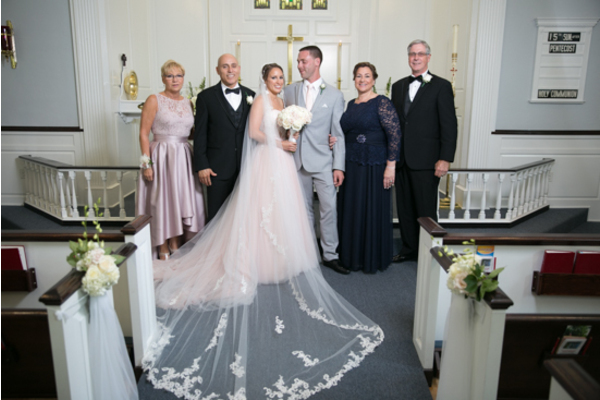 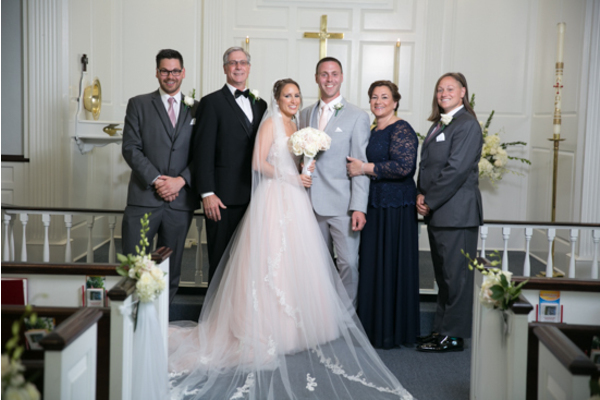 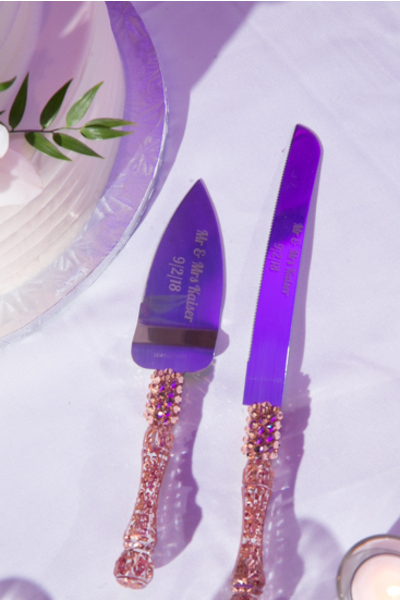 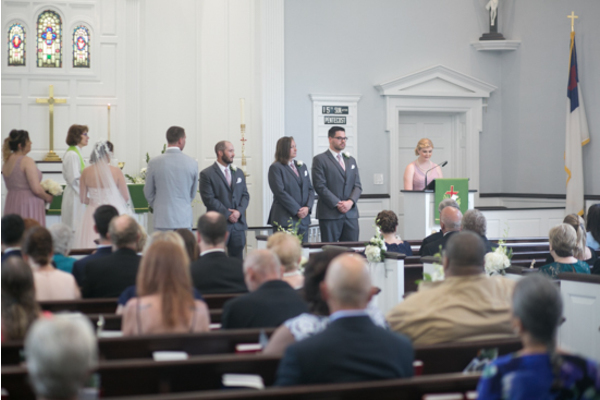 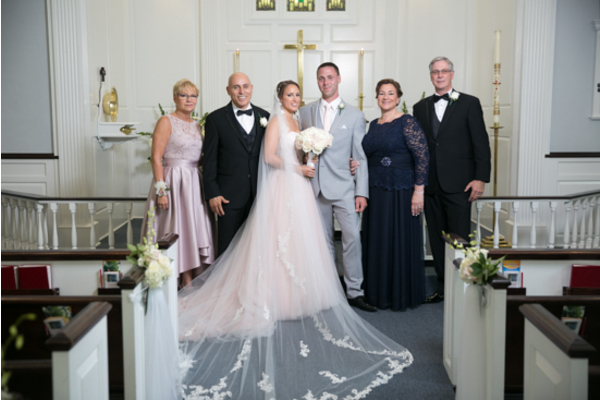 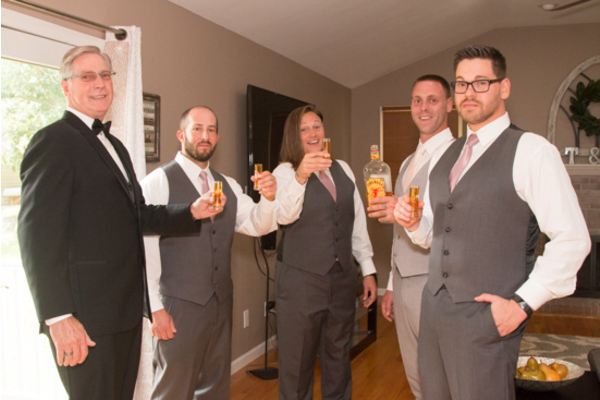 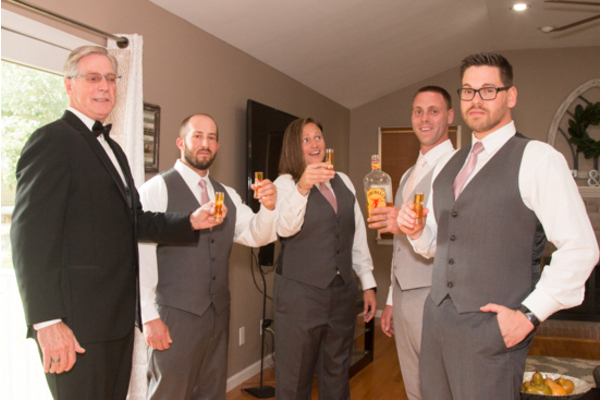 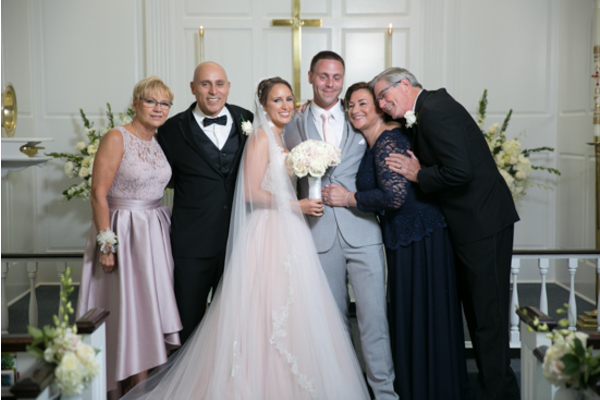 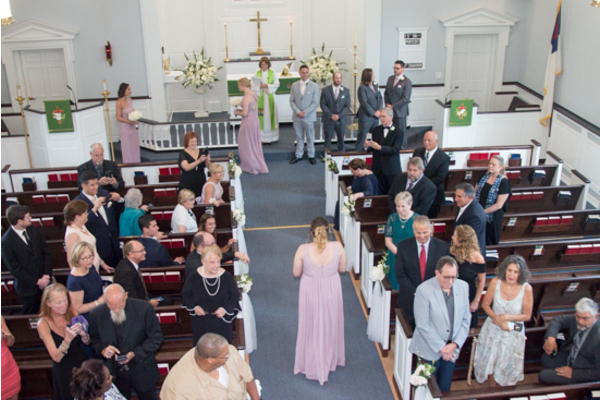 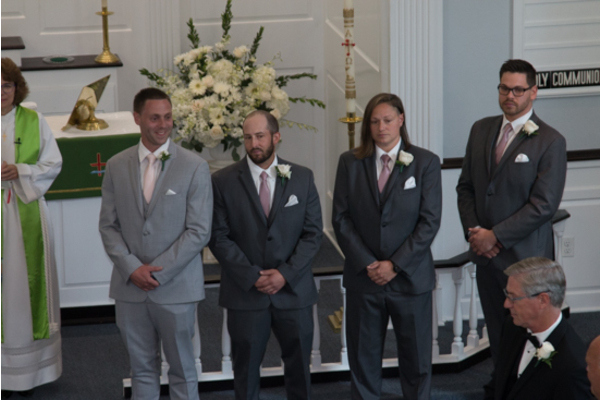 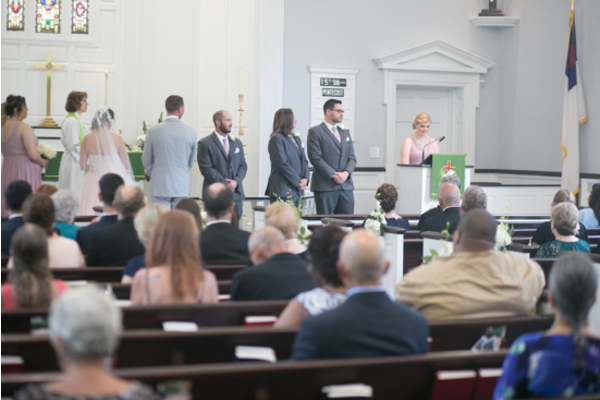 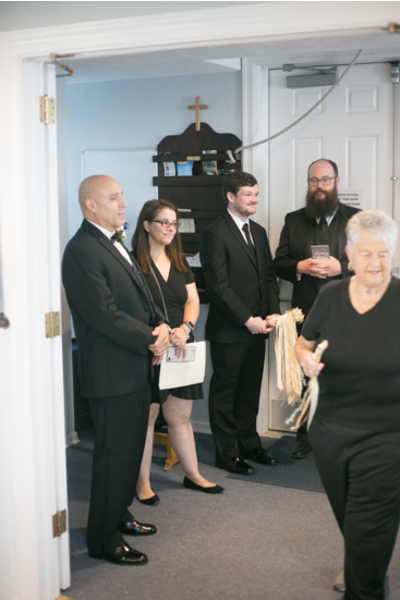 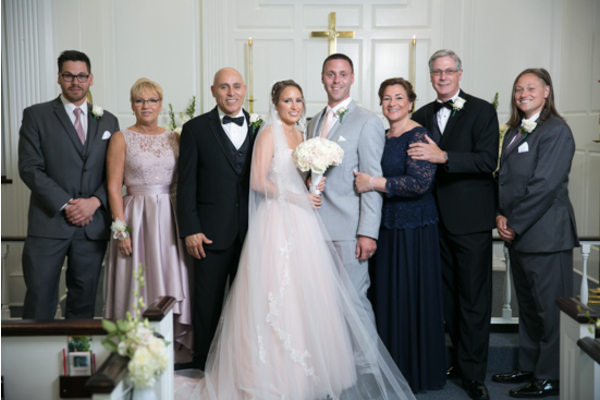 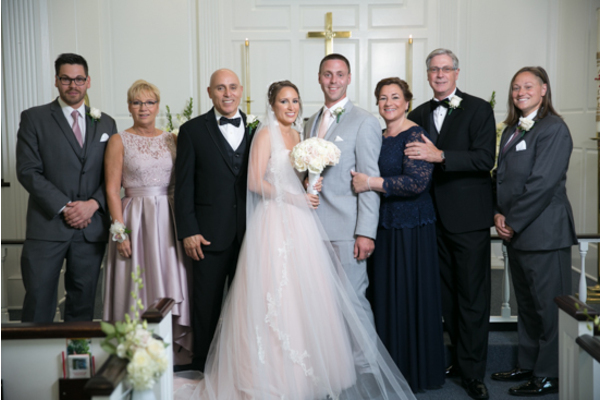 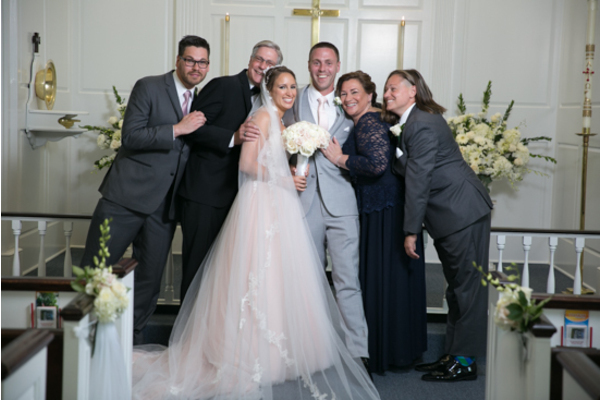 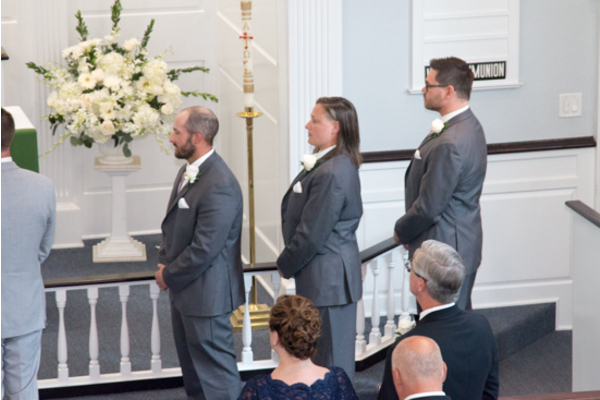 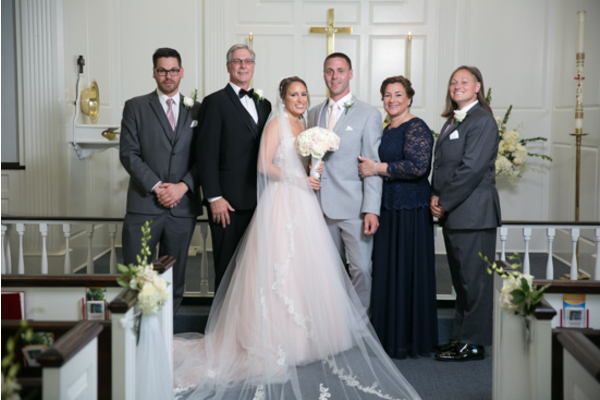 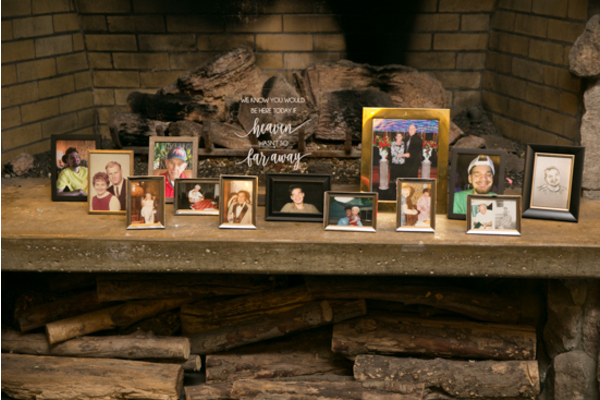 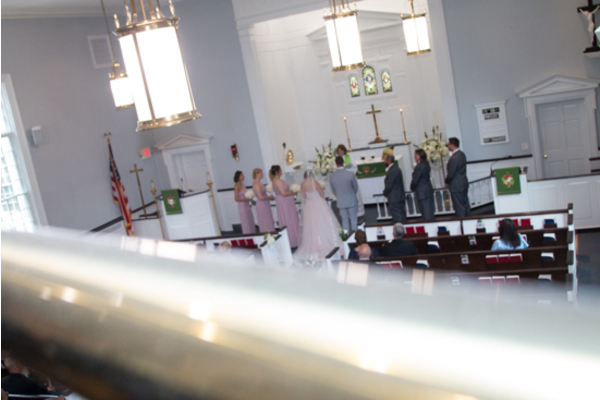 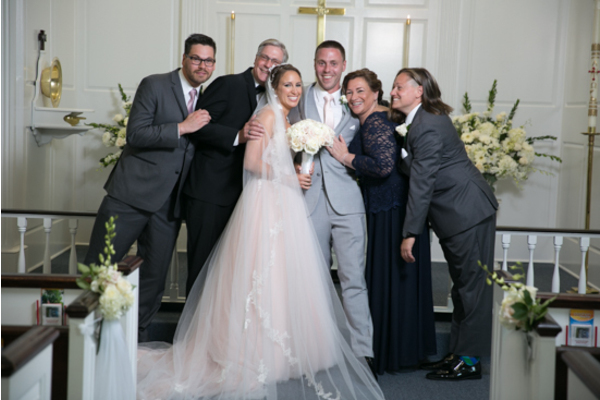 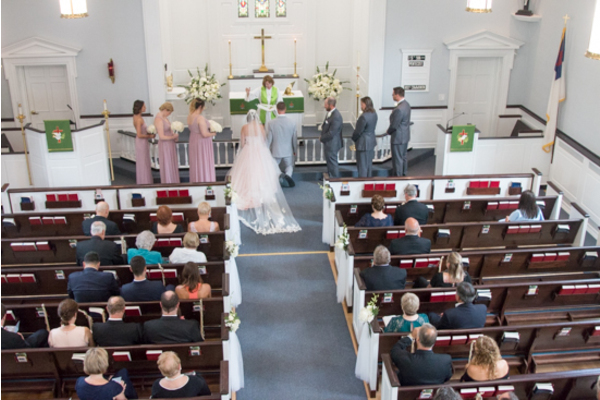 Stephanie and Tom’s bridal party were all so happy to be a part of their special day! 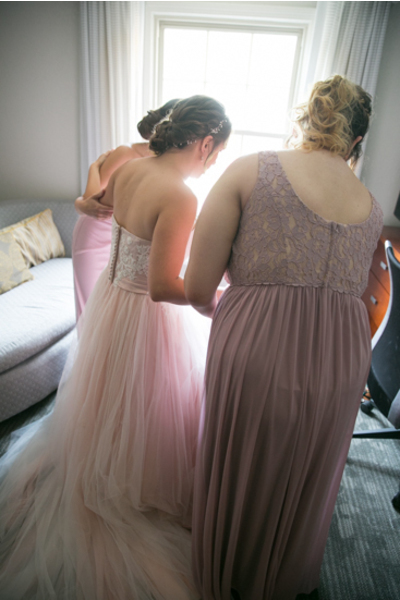 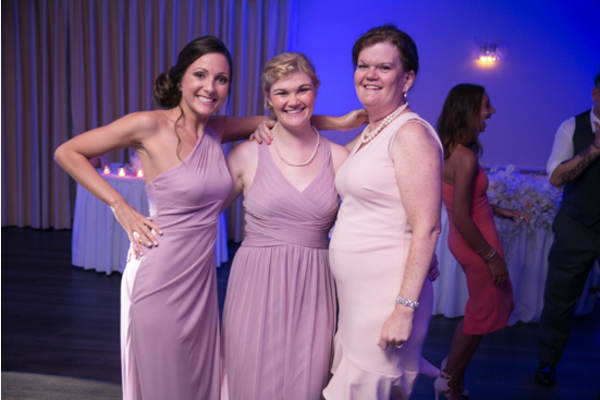 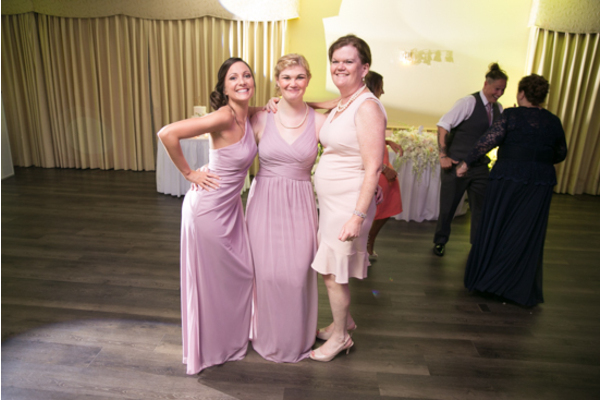 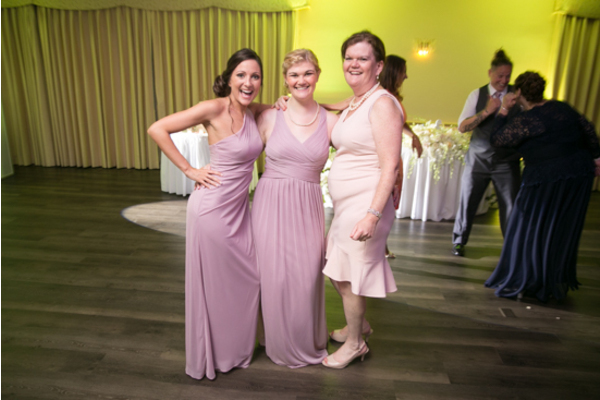 The vibrant colored dresses were the perfect tone for an end of summer wedding! 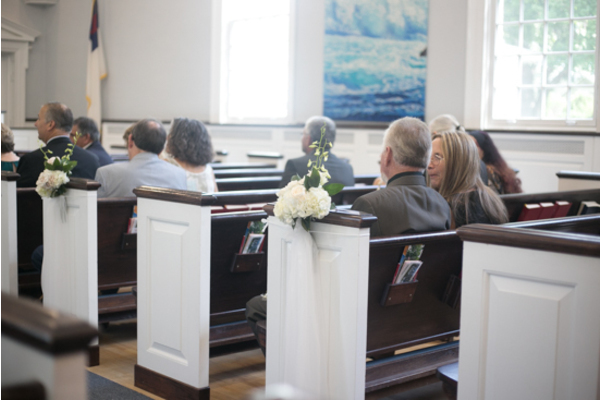 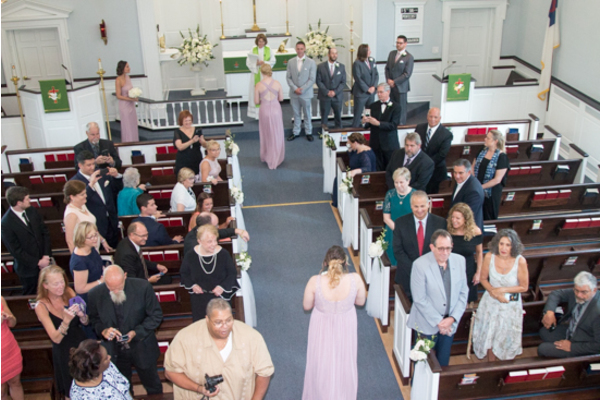 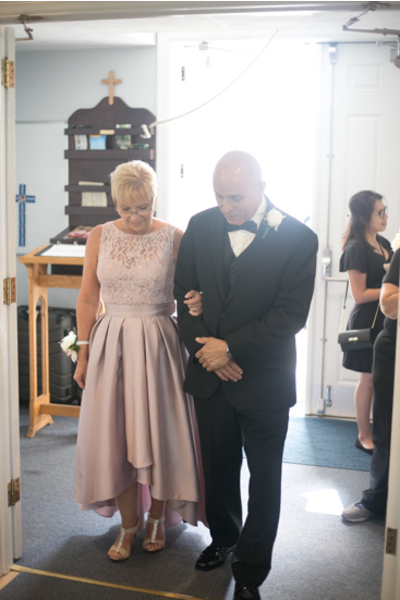 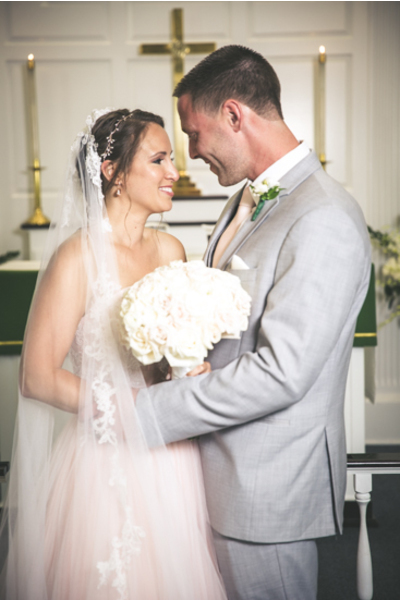 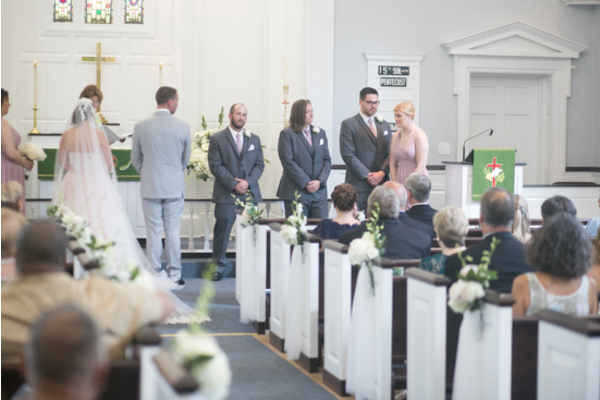 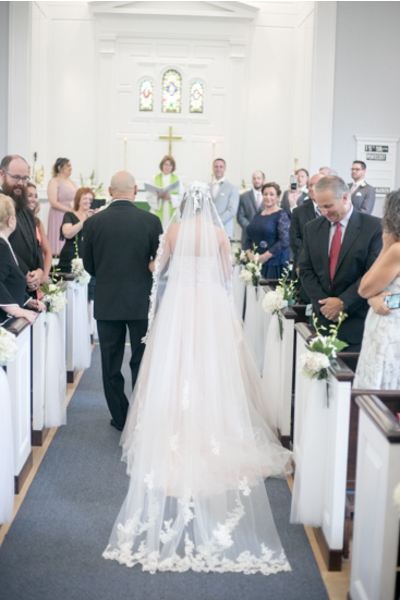 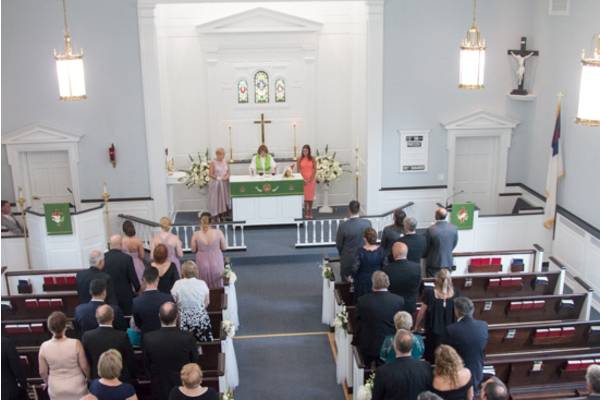 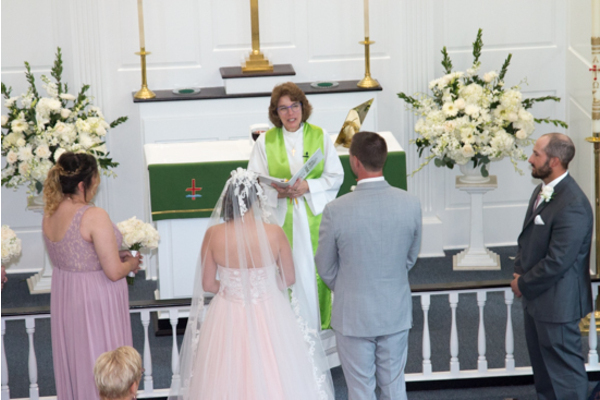 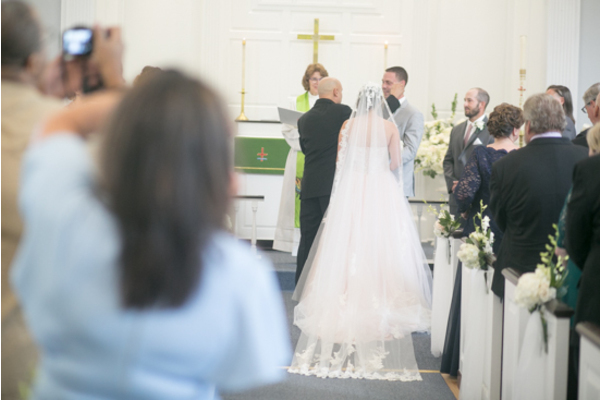 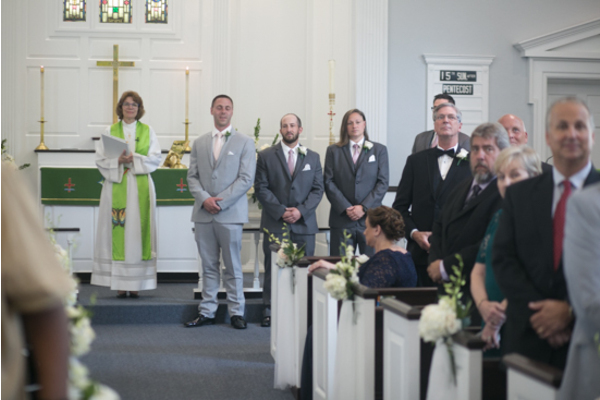 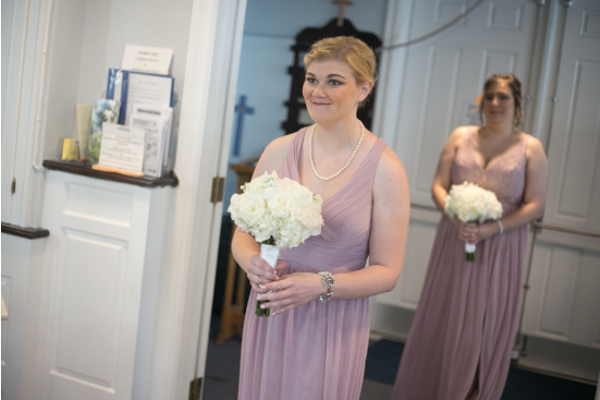 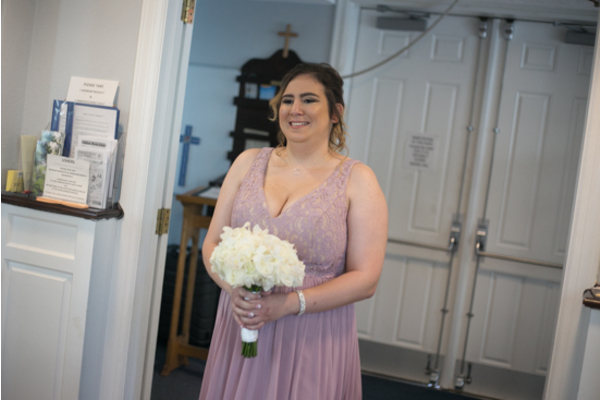 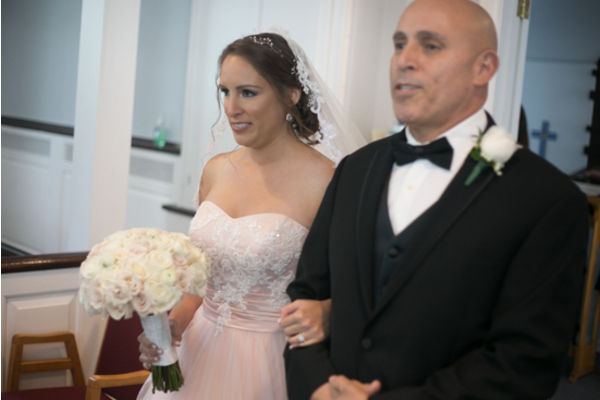 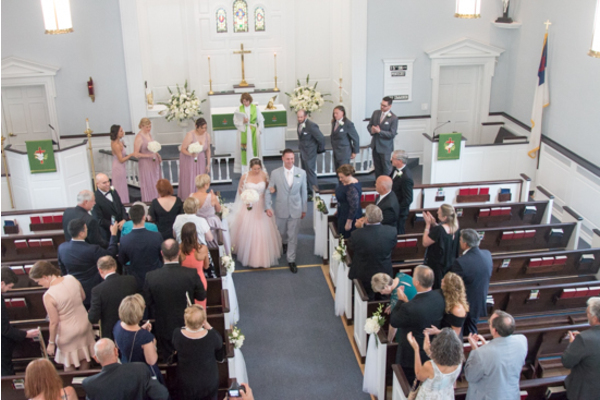 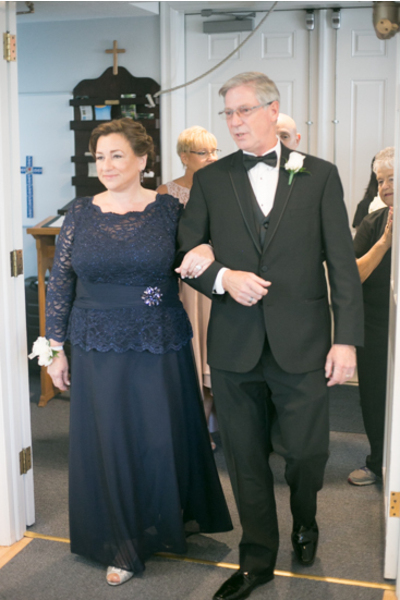 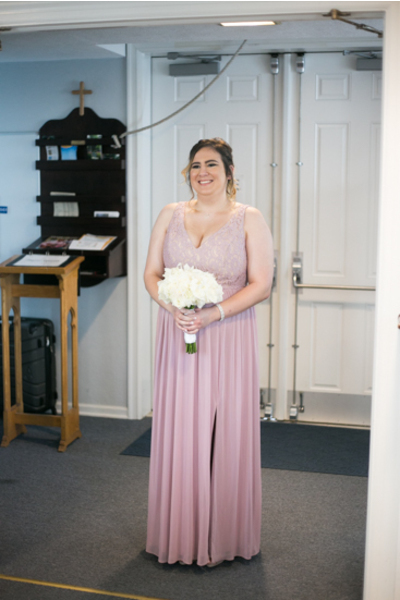 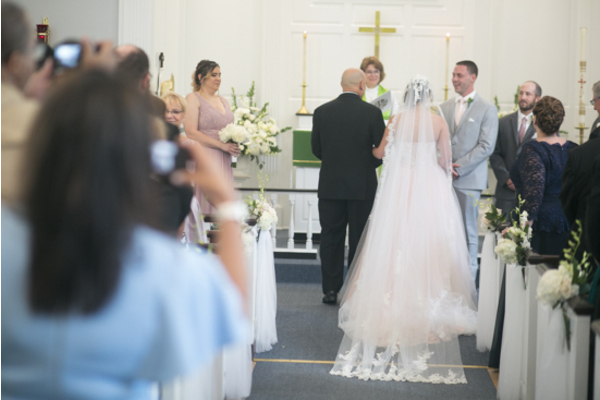 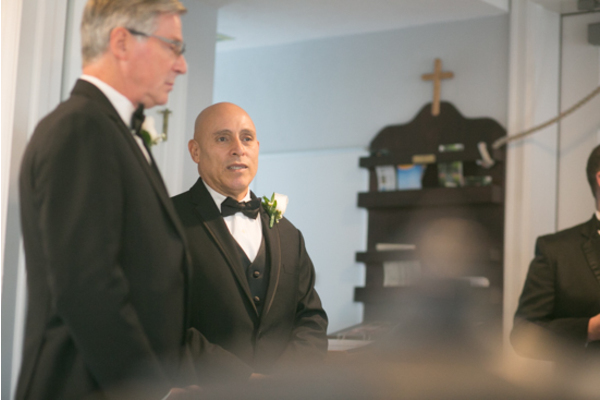 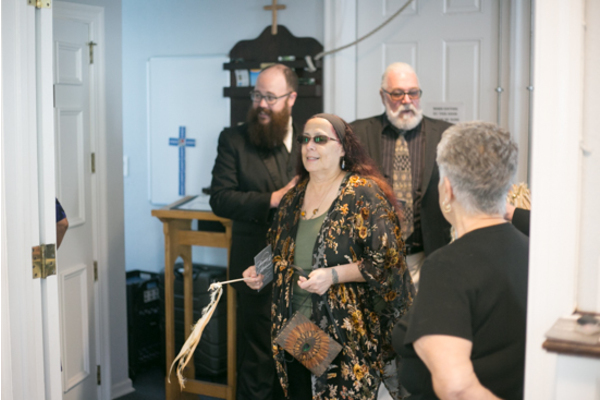 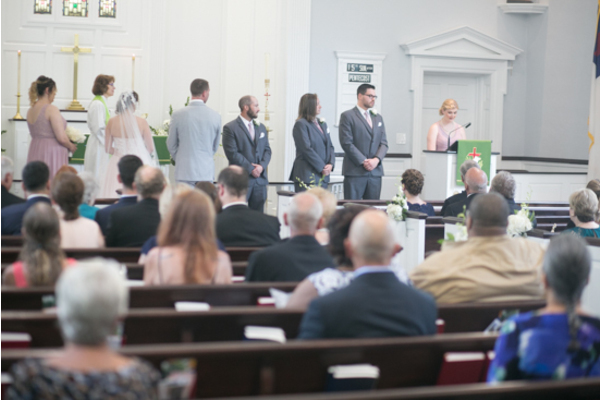 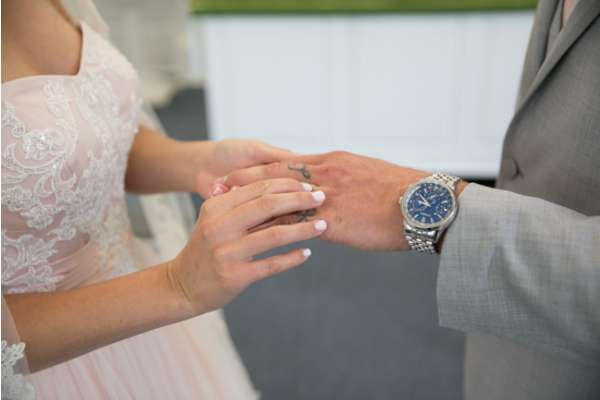 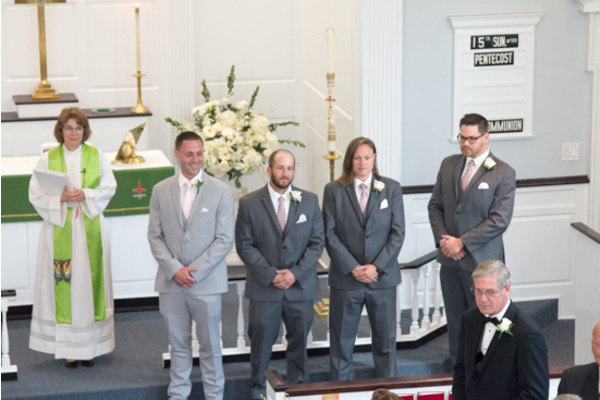 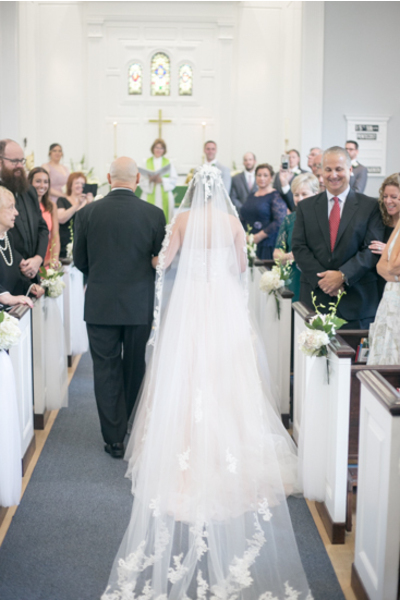 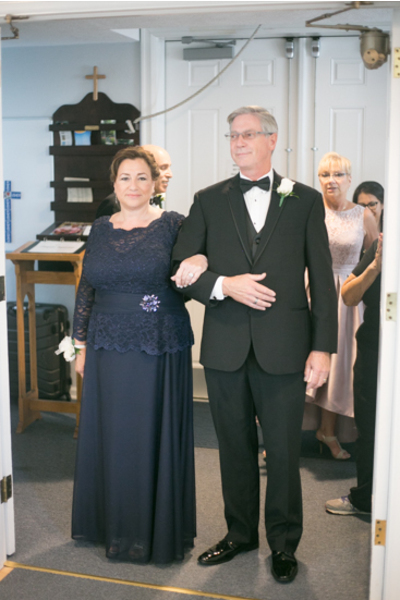 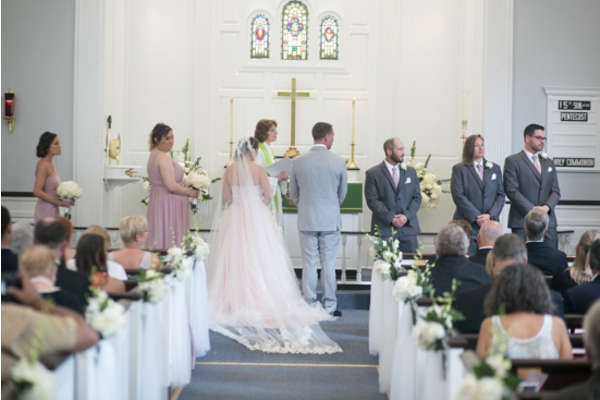 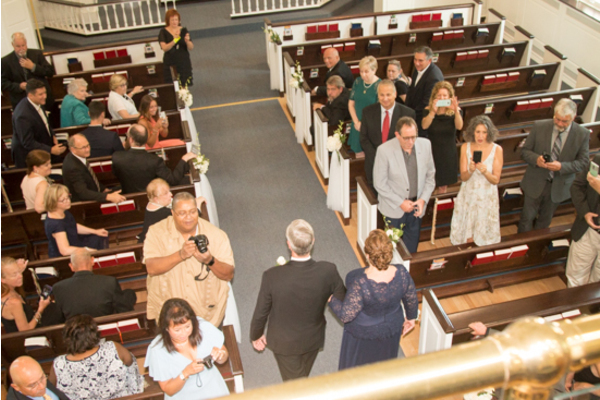 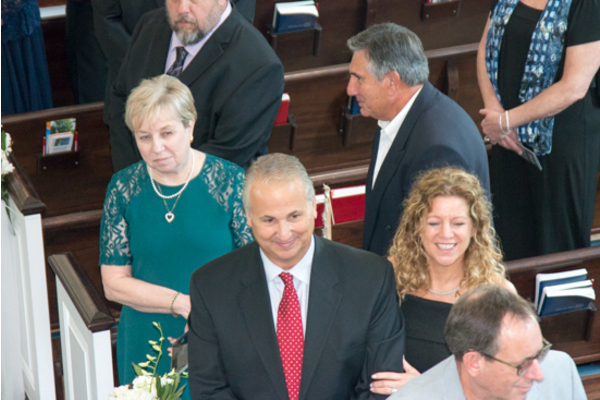 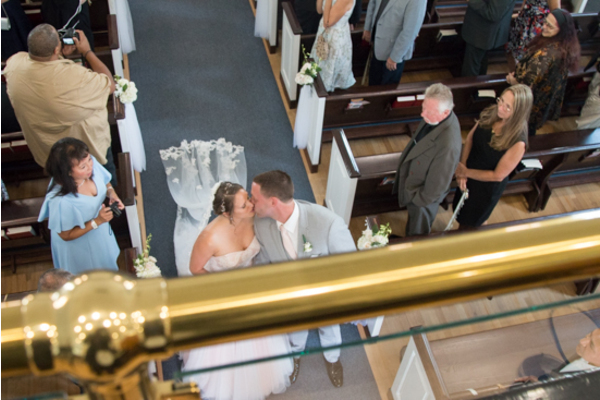 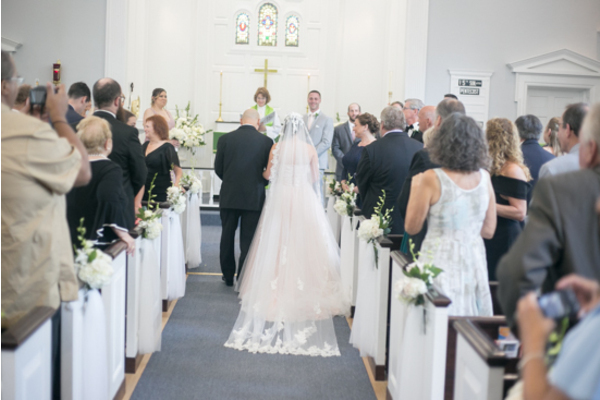 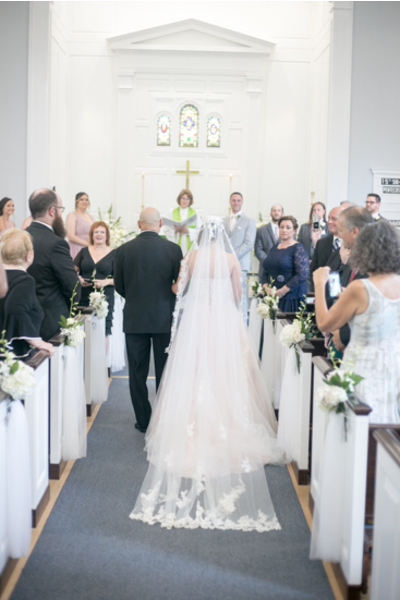 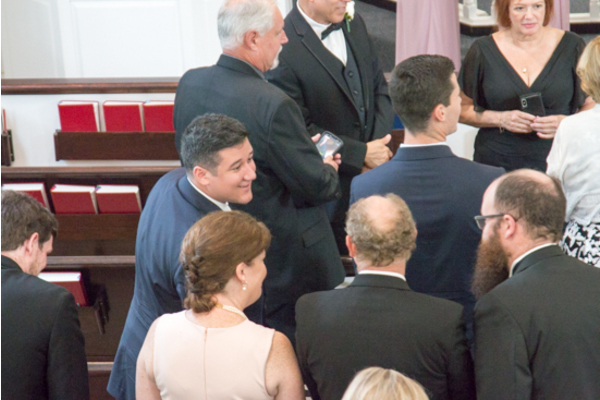 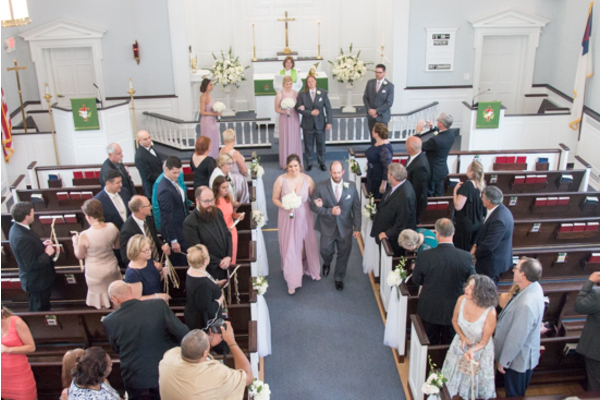 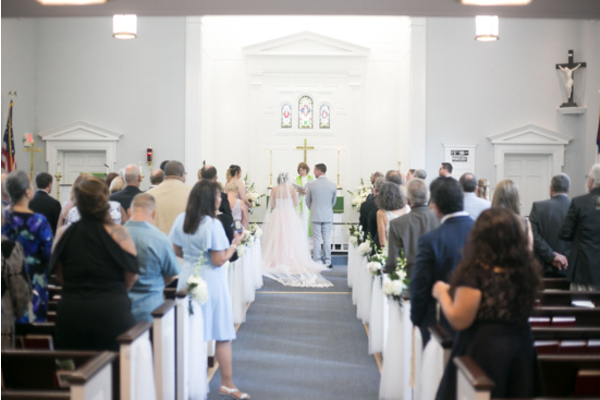 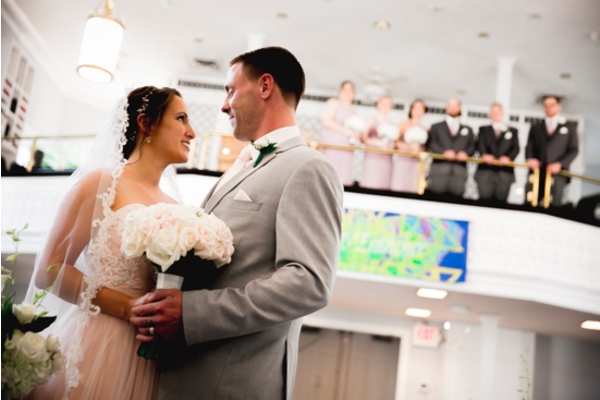 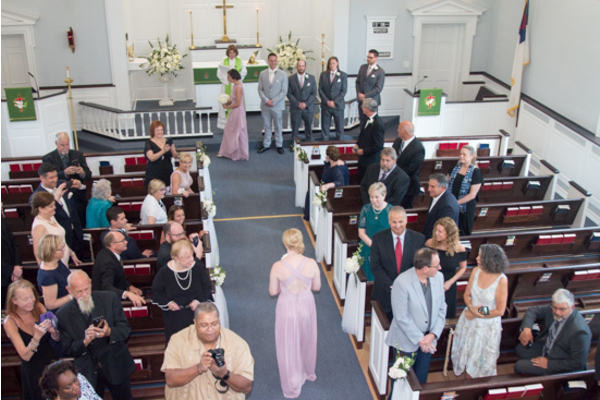 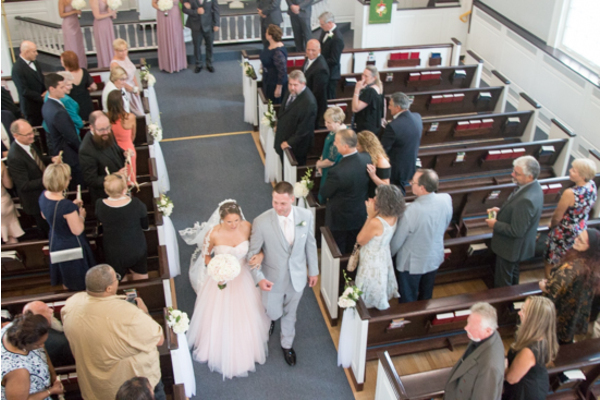 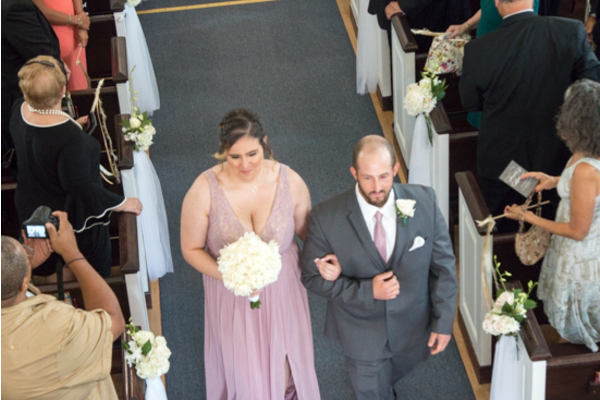 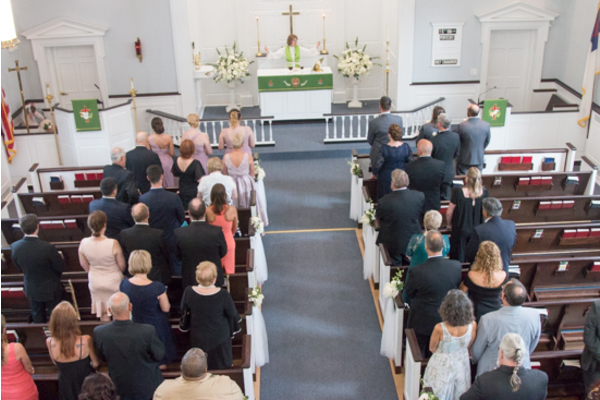 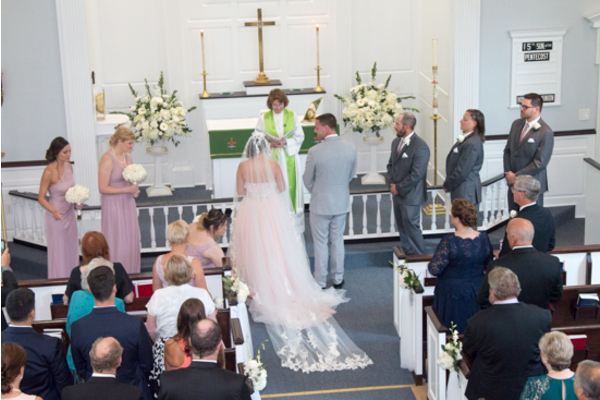 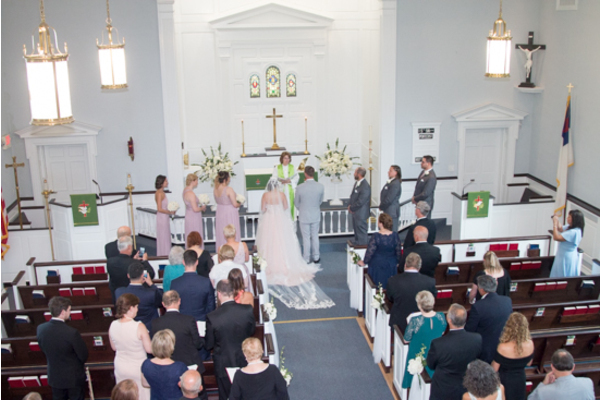 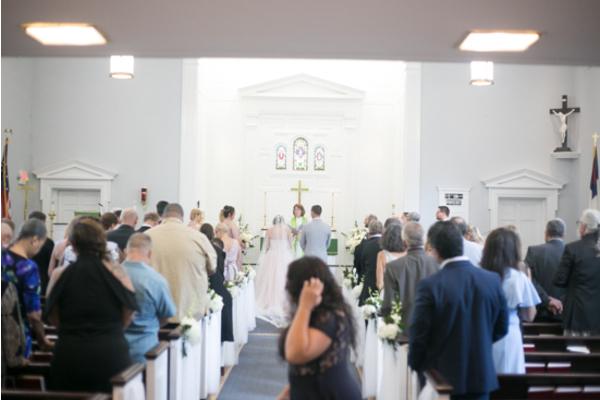 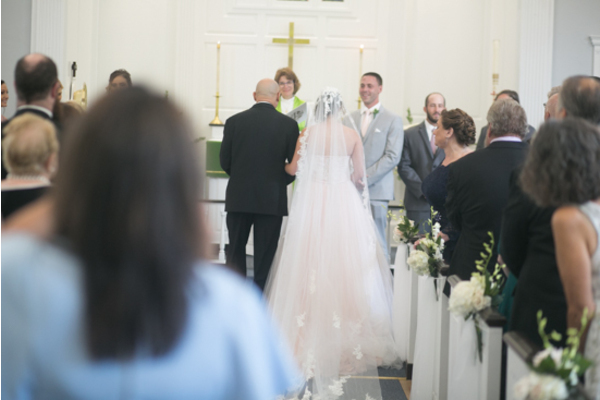 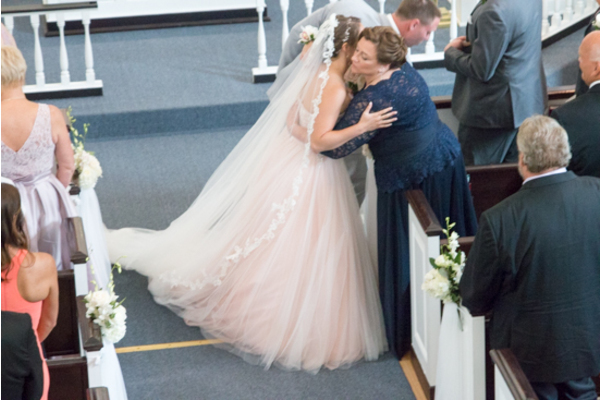 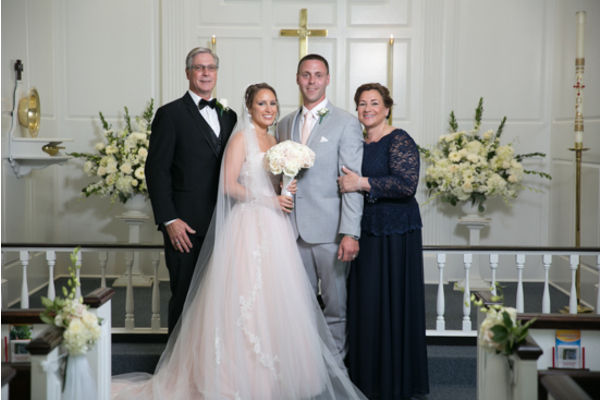 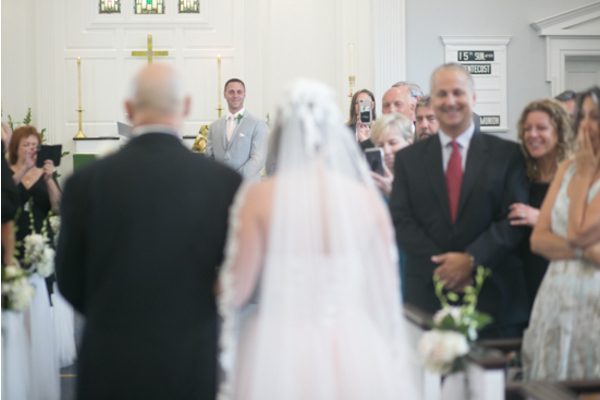 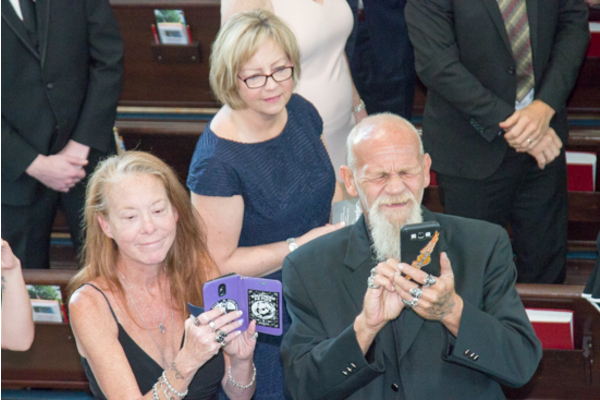 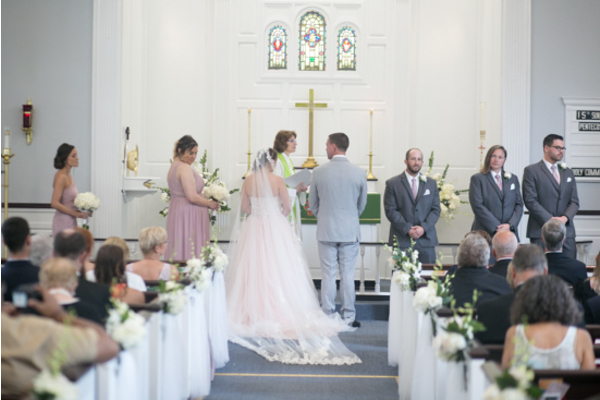 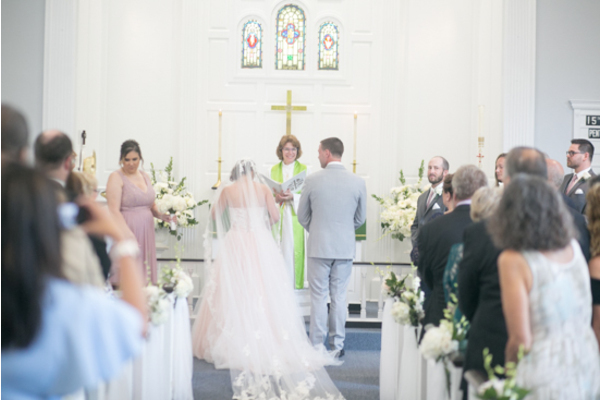 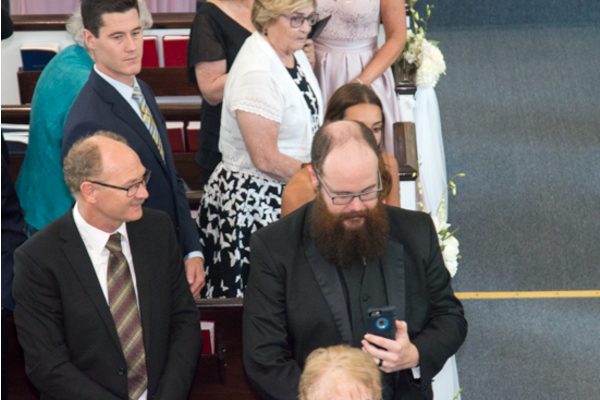 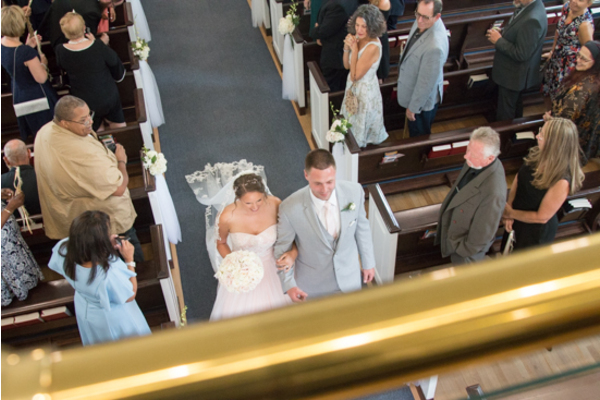 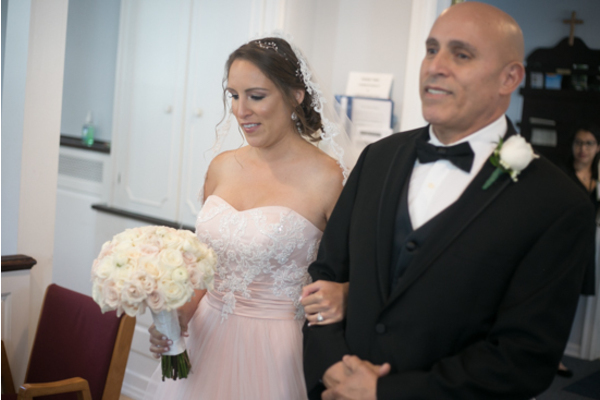 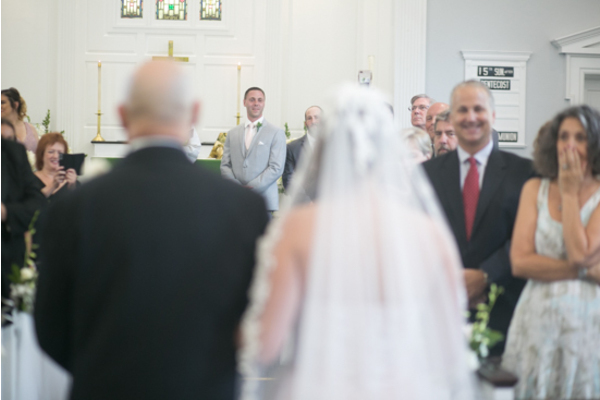 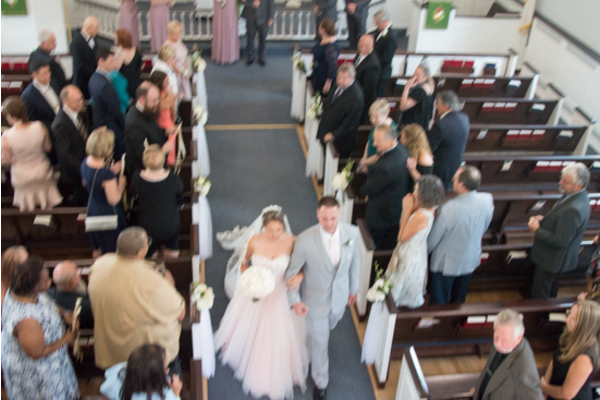 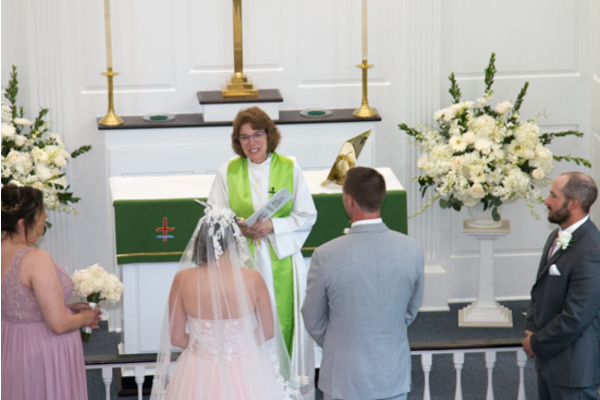 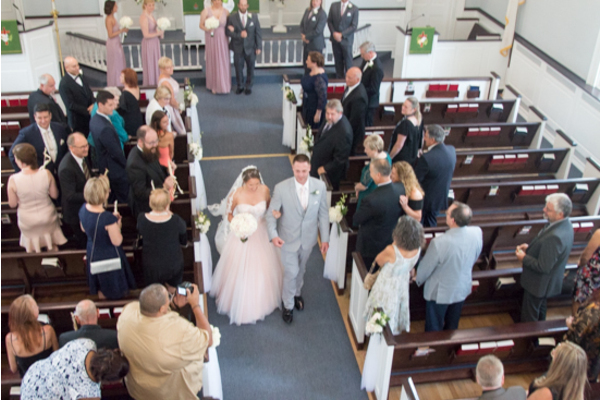 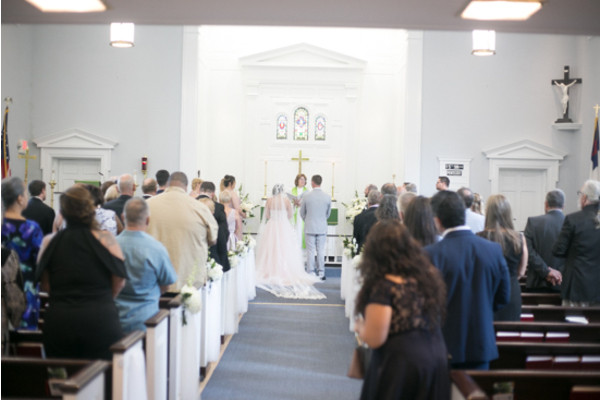 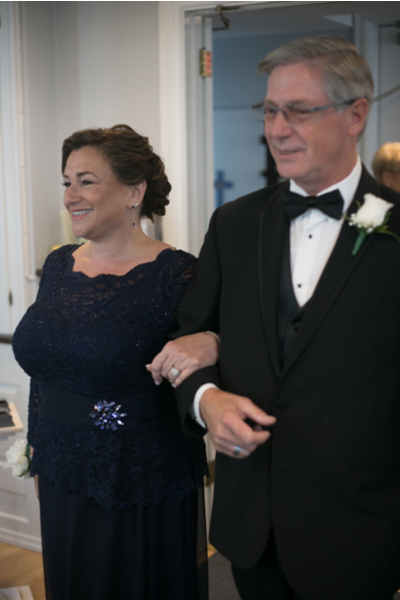 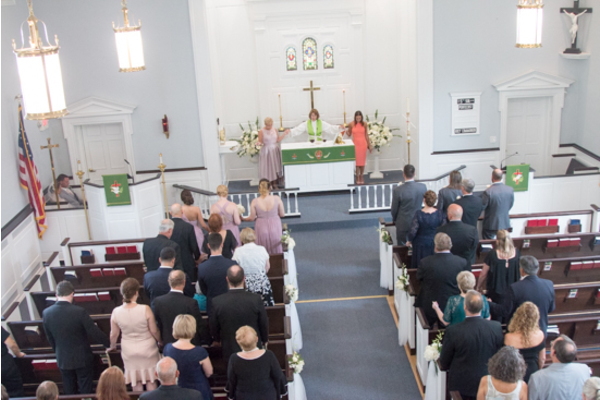 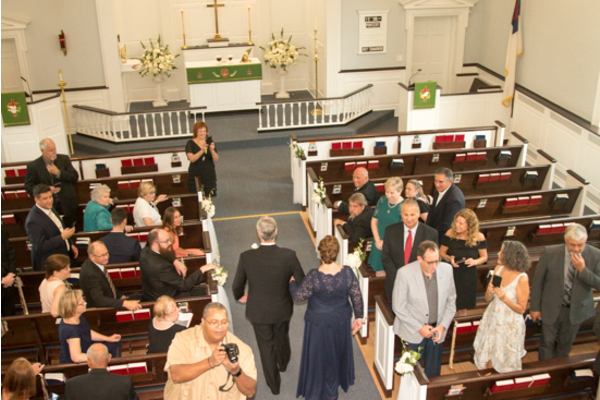 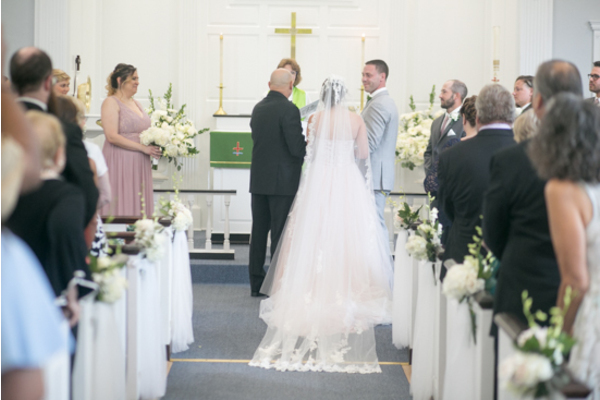 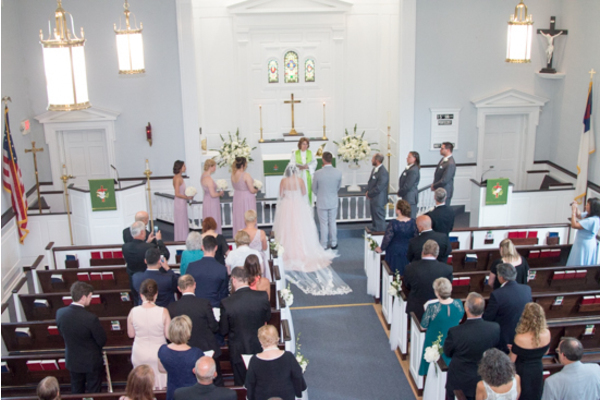 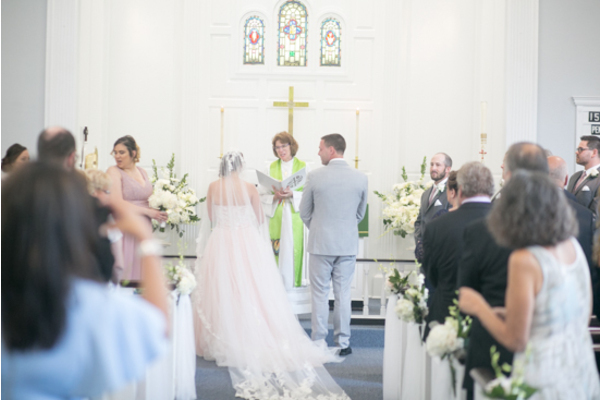 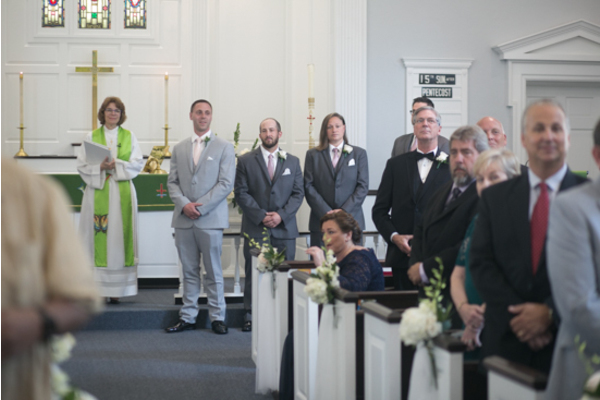 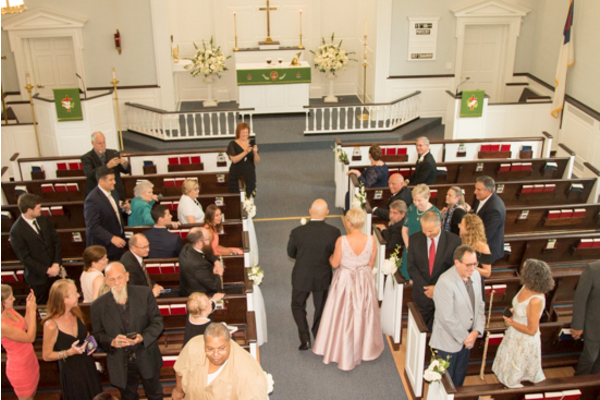 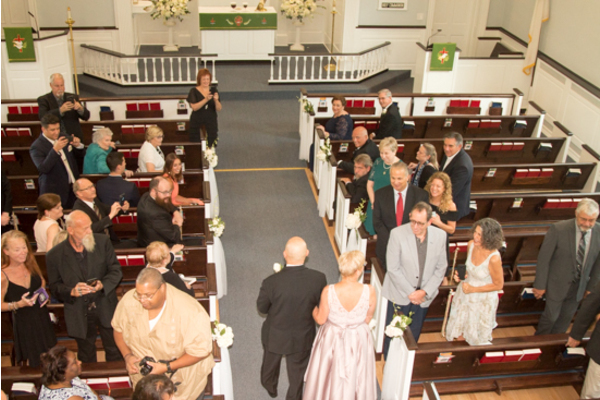 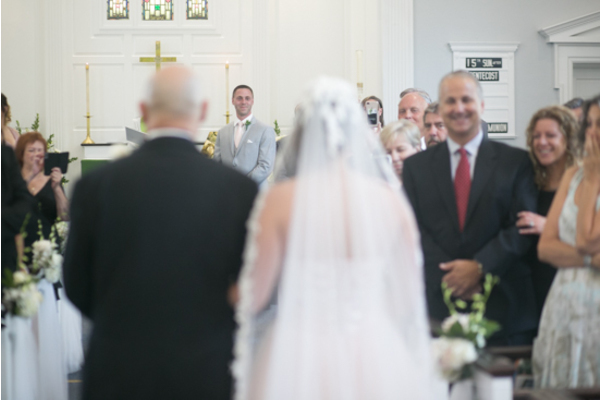 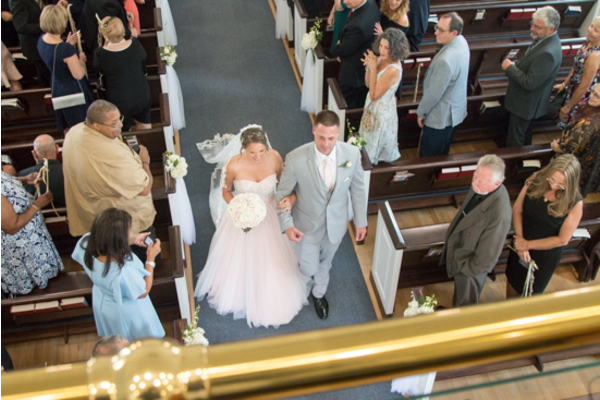 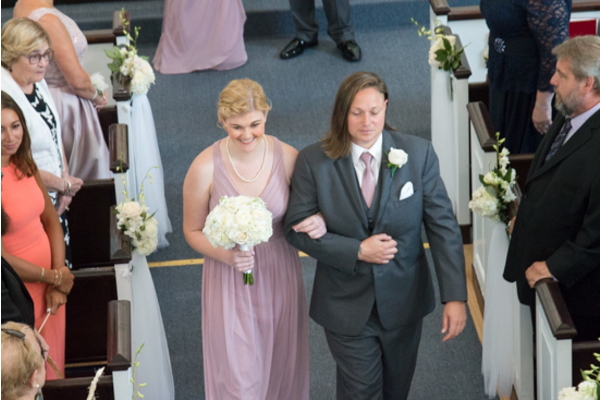 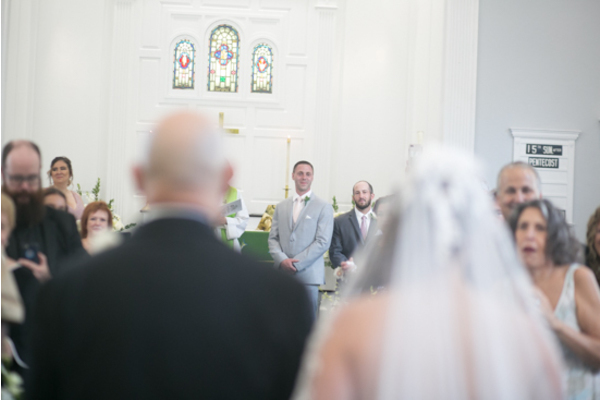 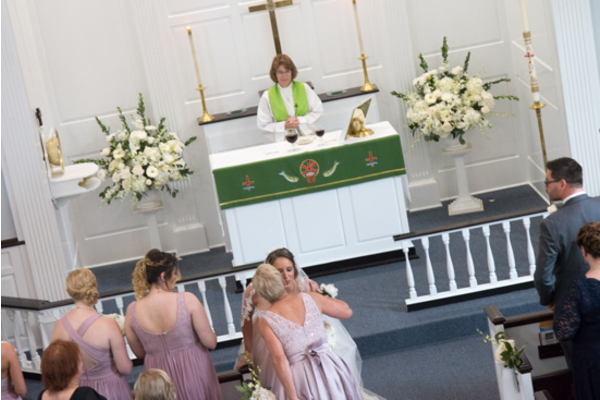 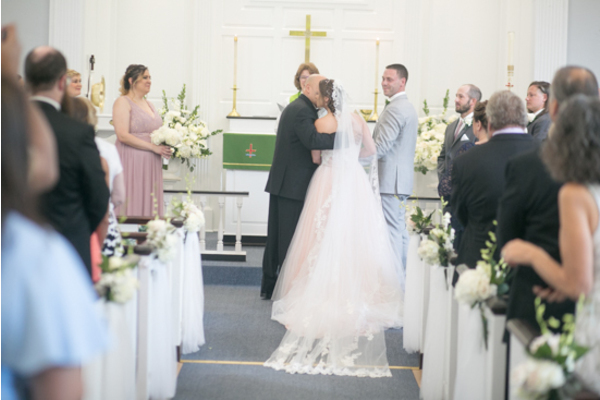 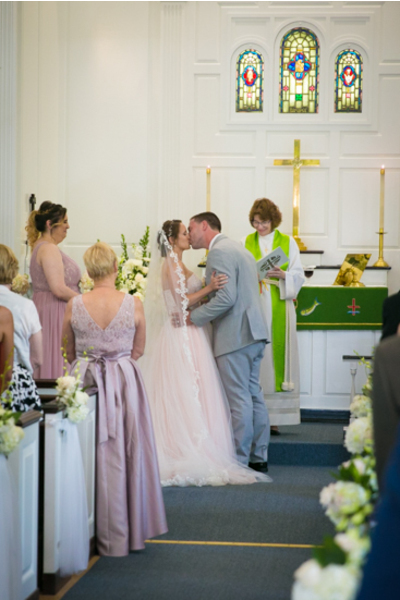 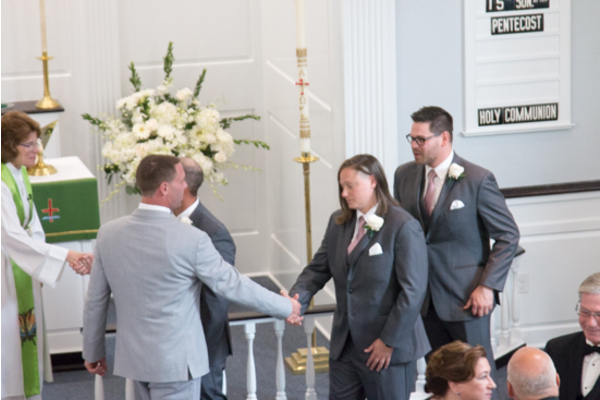 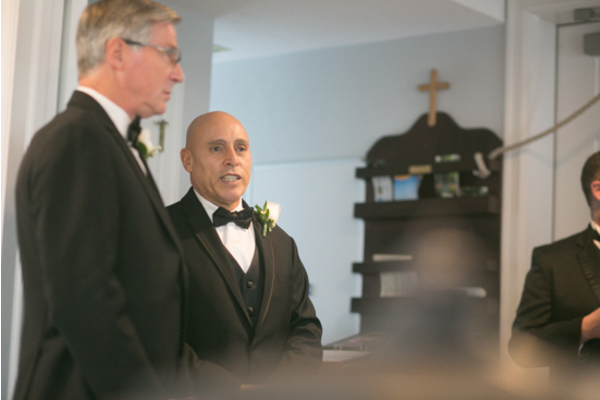 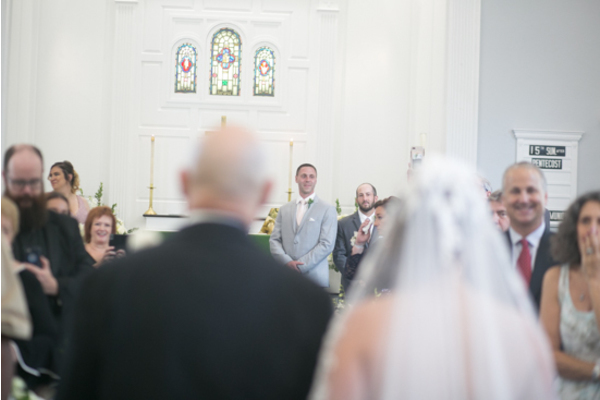 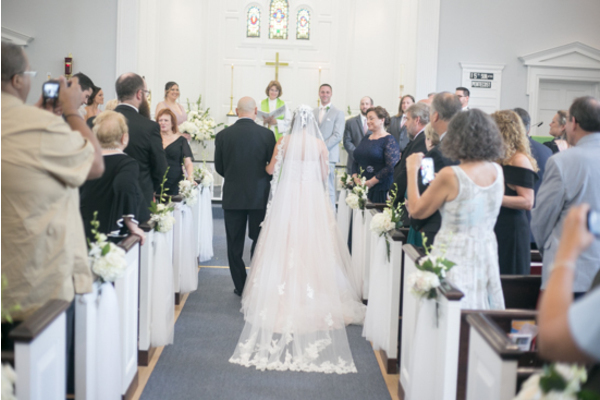 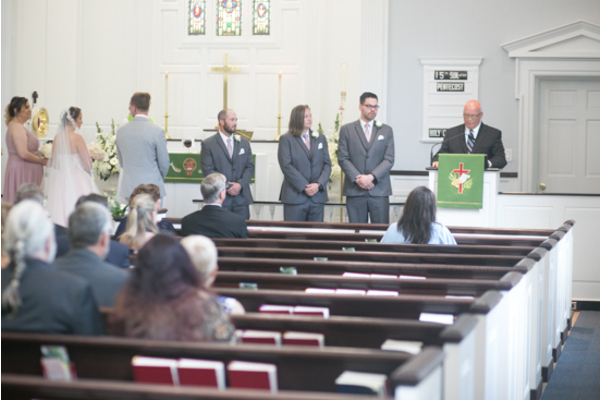 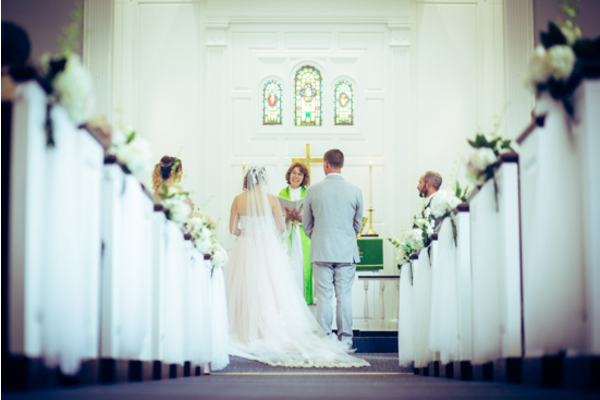 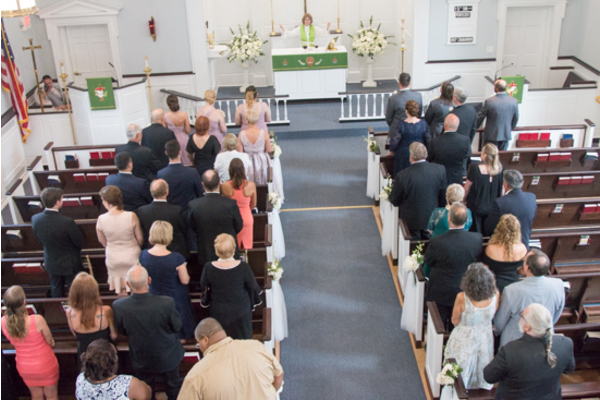 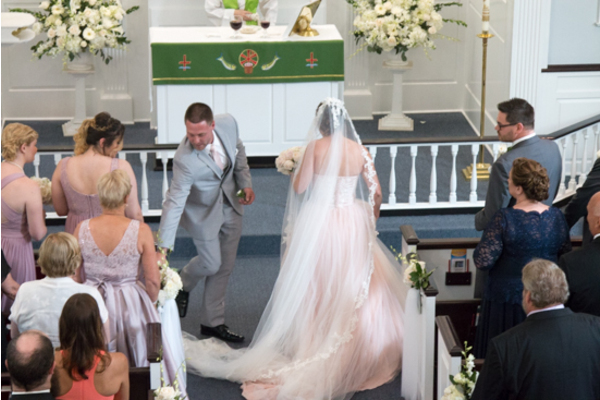 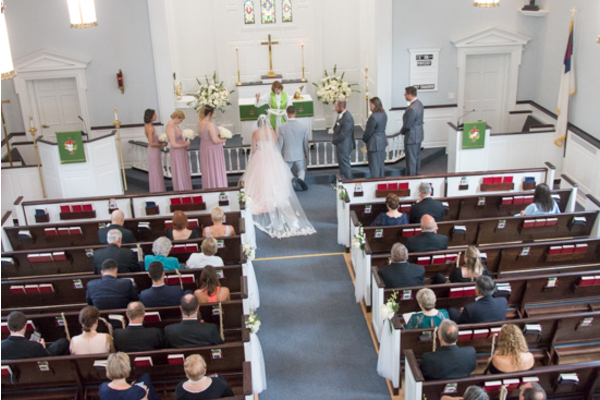 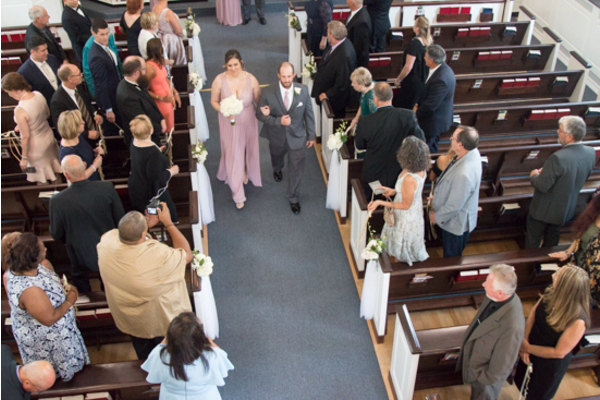 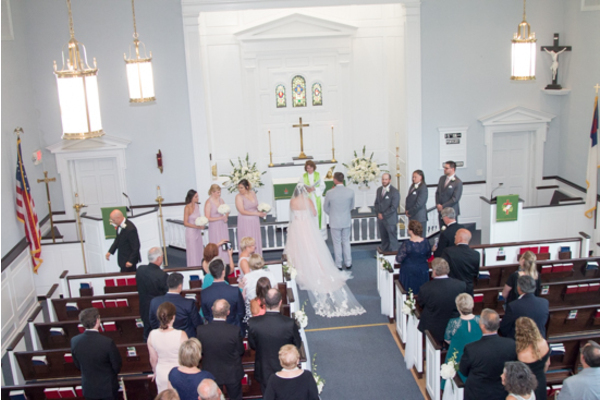 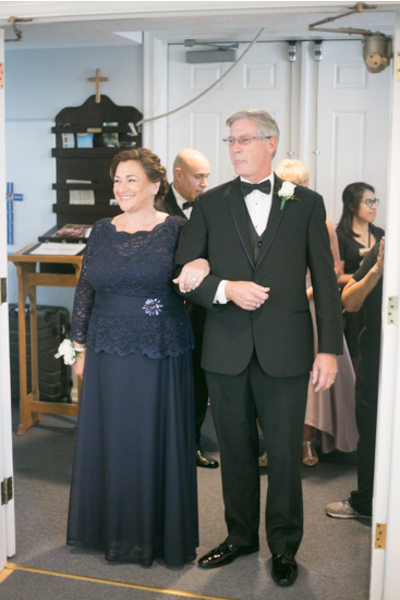 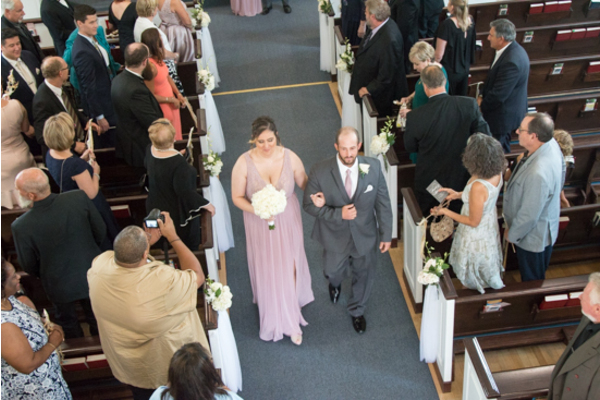 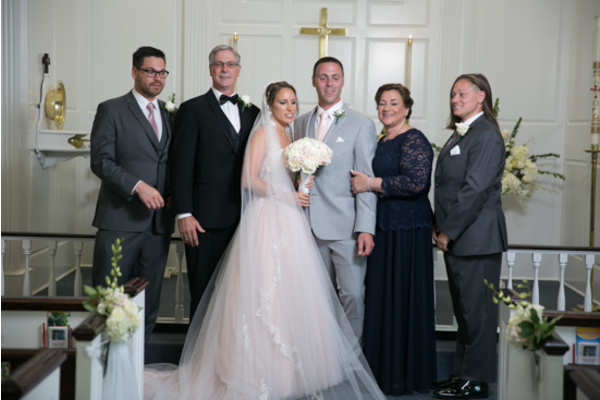 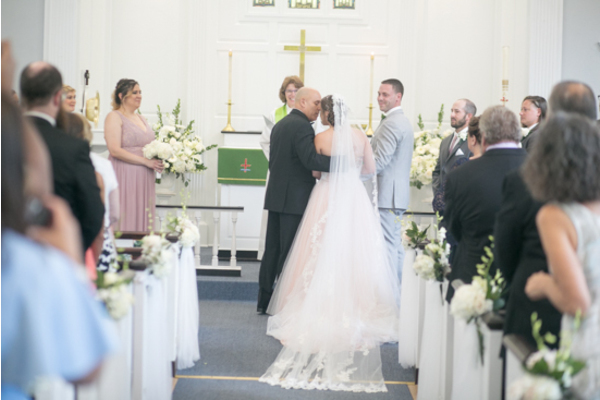 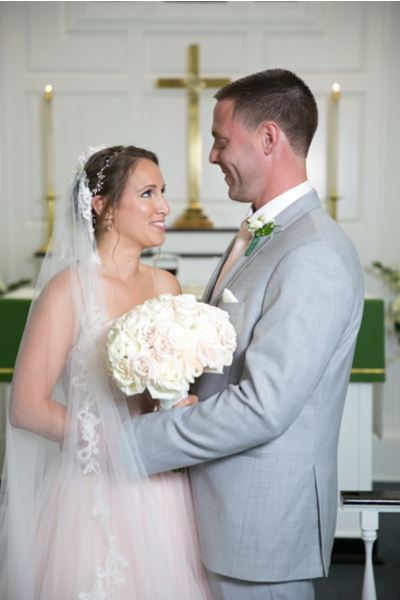 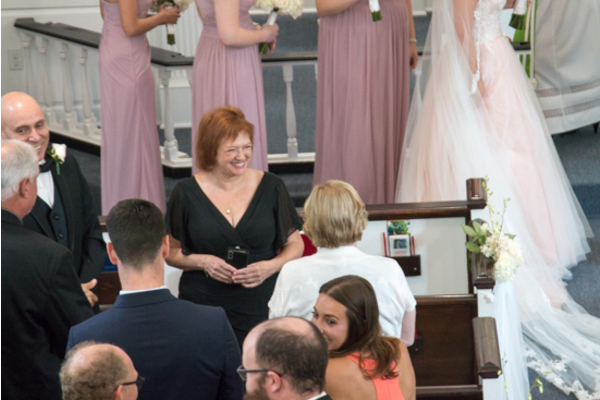 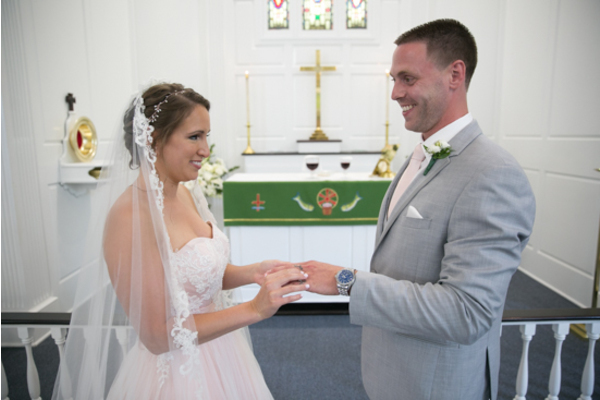 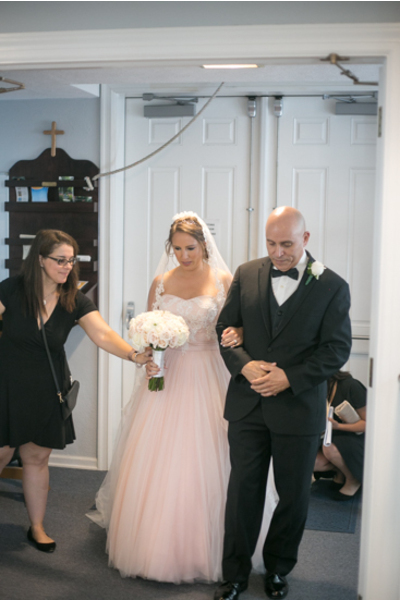 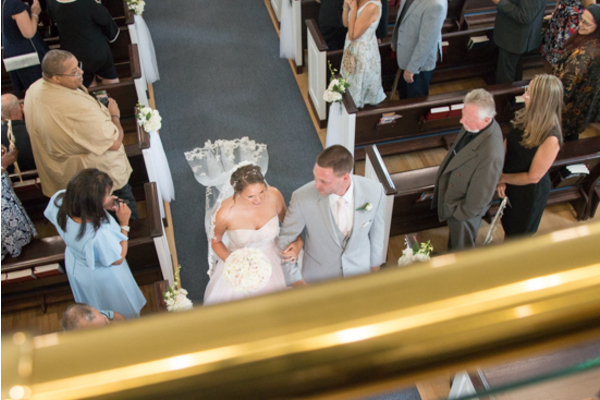 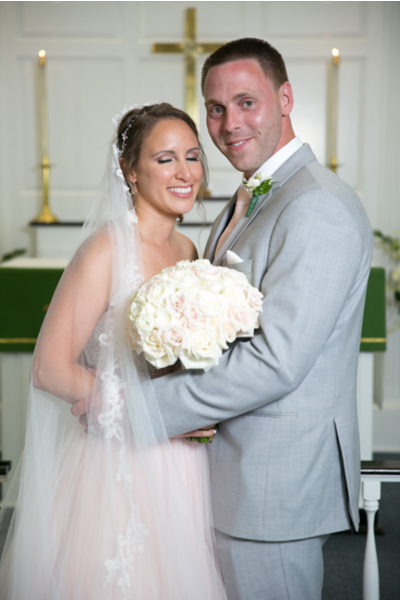 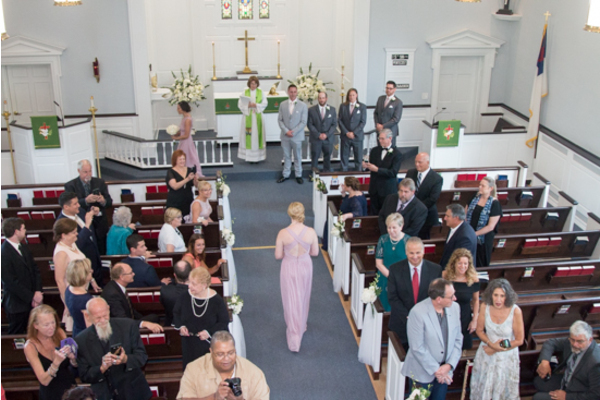 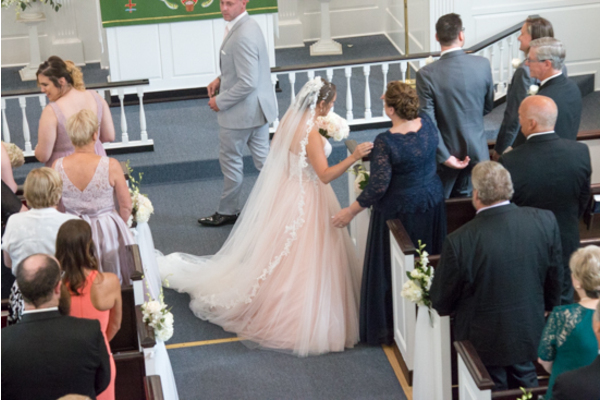 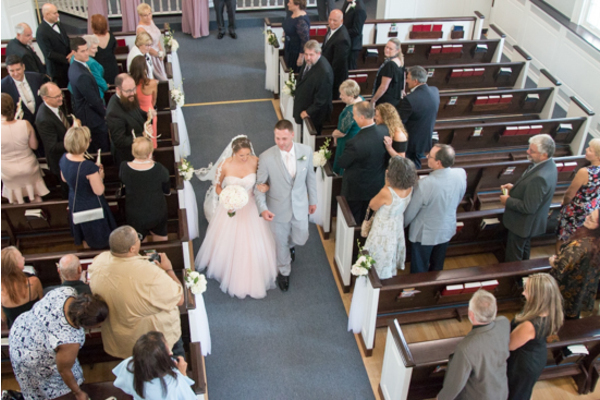 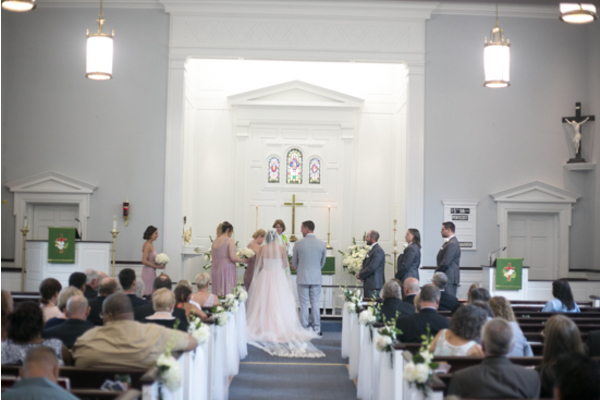 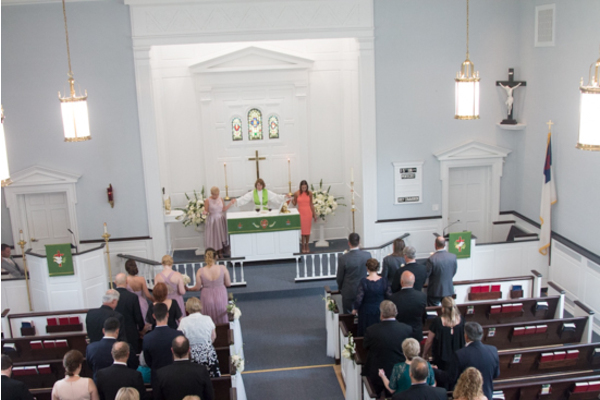 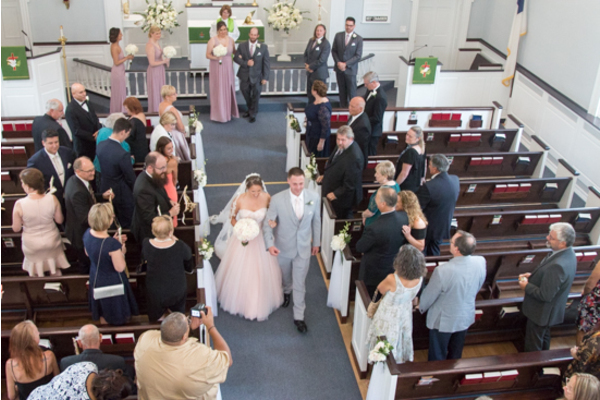 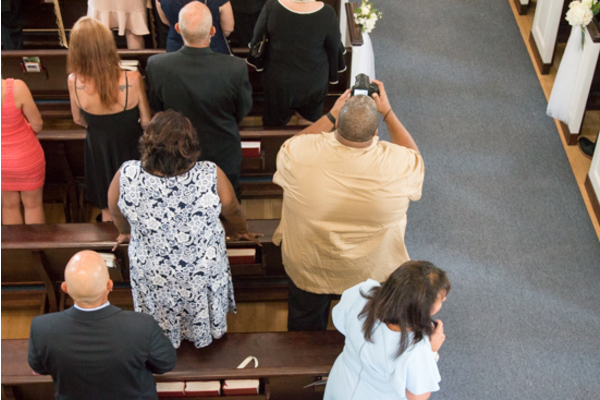 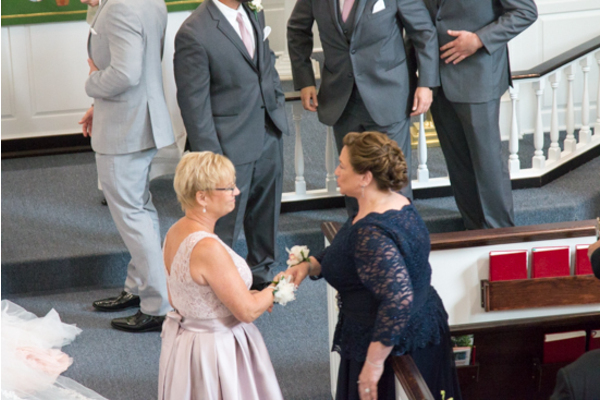 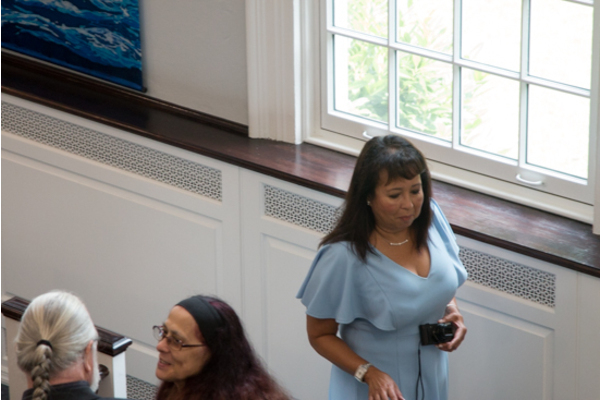 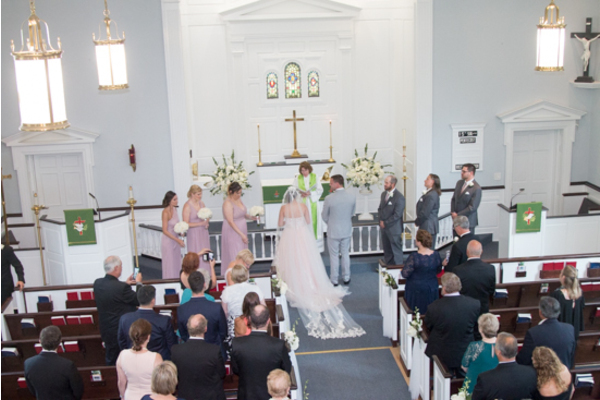 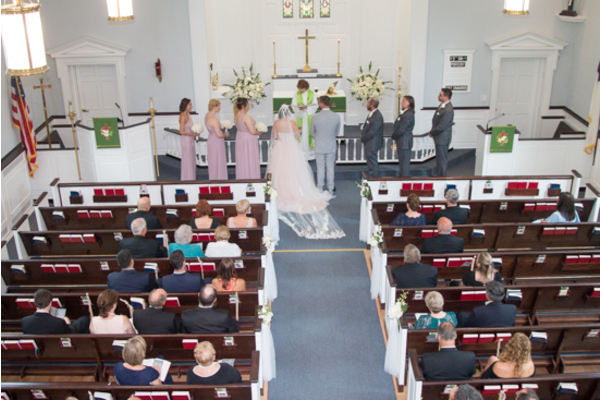 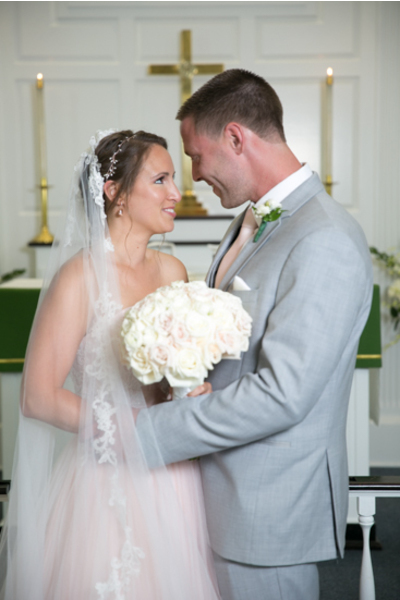 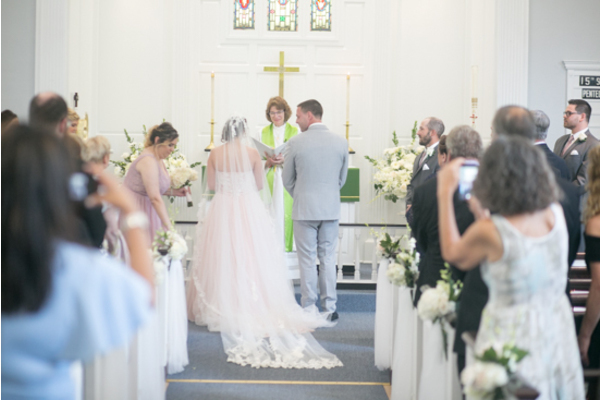 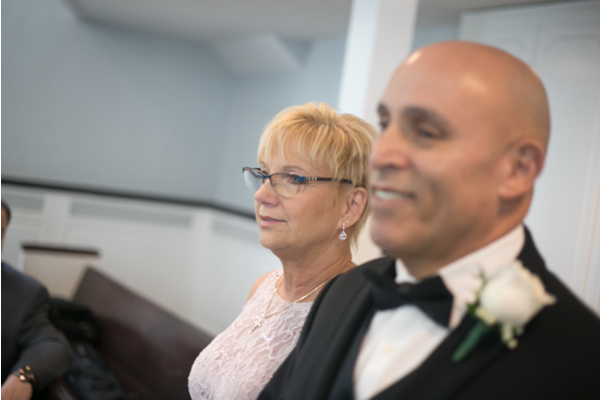 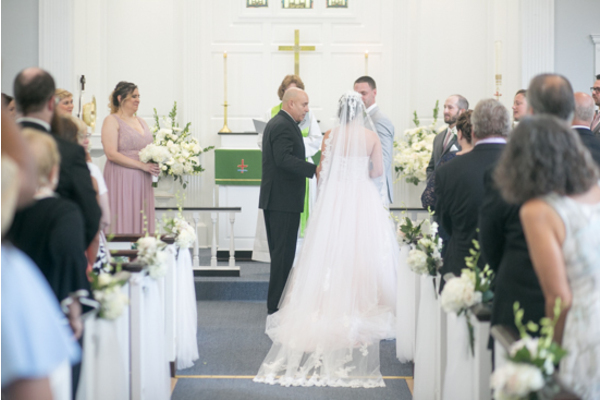 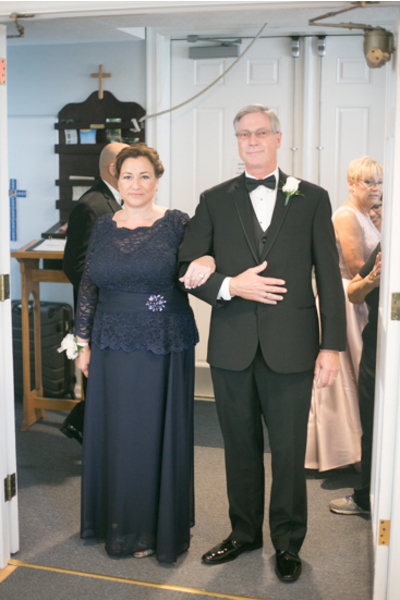 At the ceremony, our NJ Wedding Photographer captured every tear of joy shed and every smile shared. 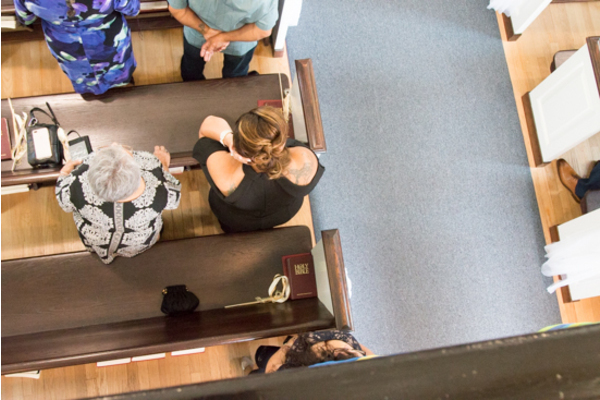 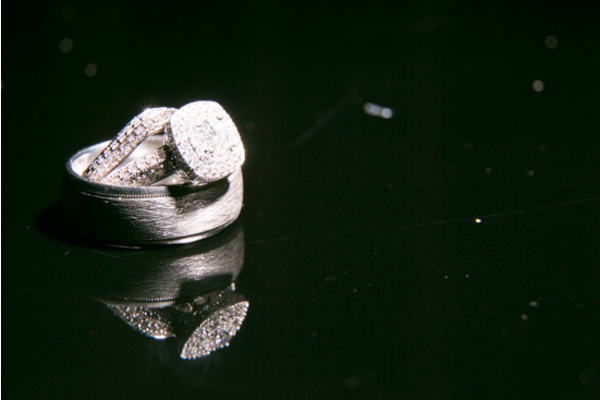 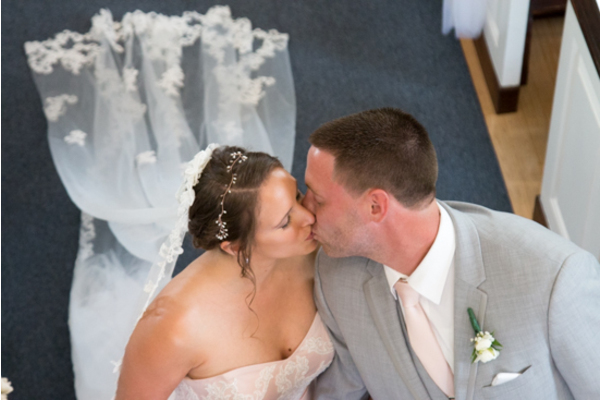 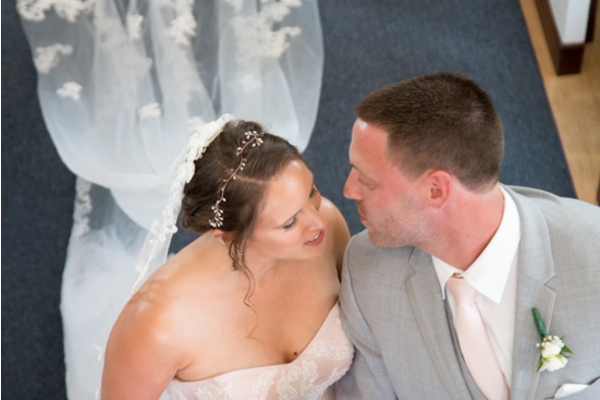 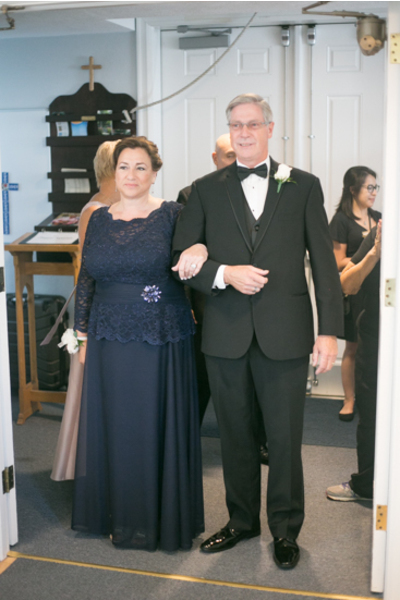 The couple said their vows and sealed their love with a kiss. 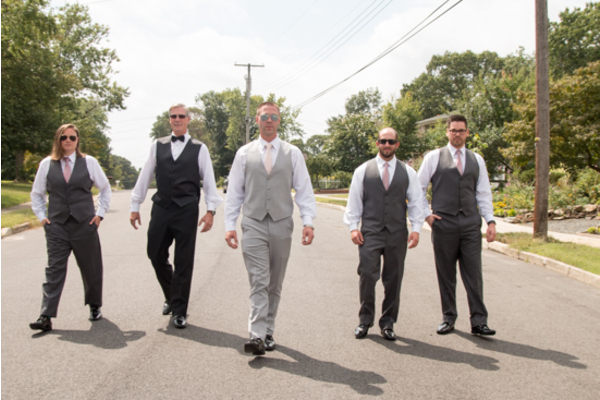 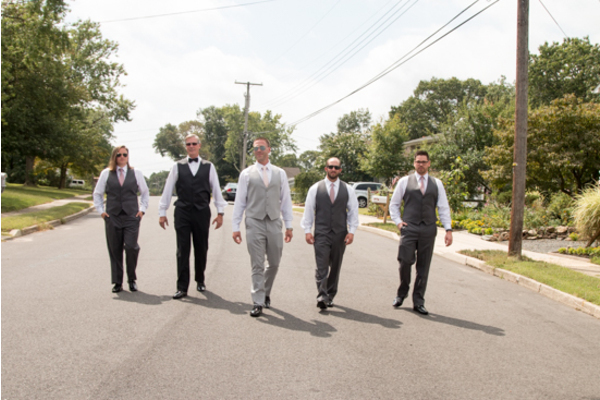 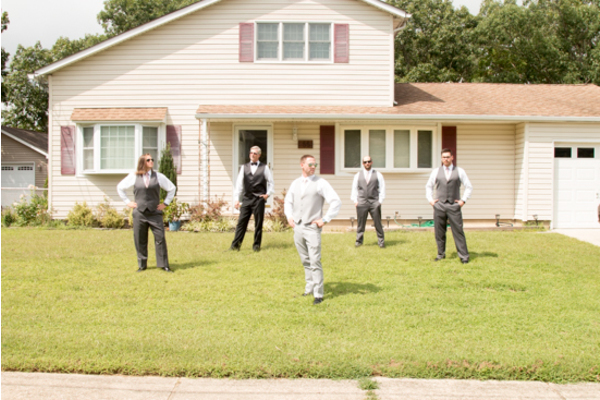 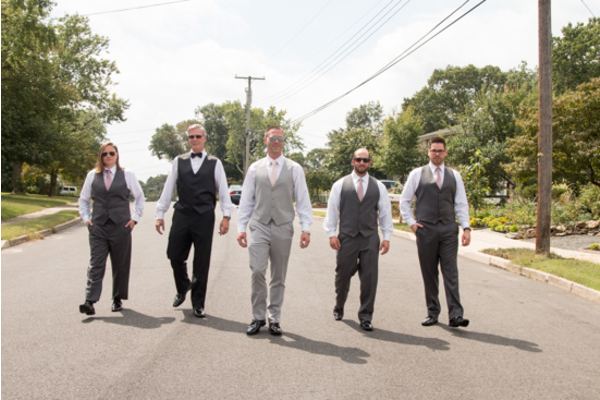 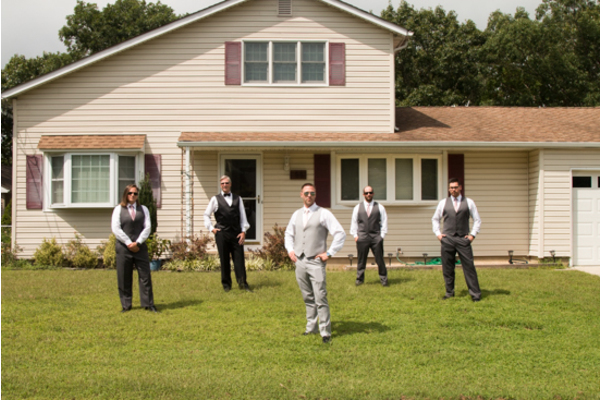 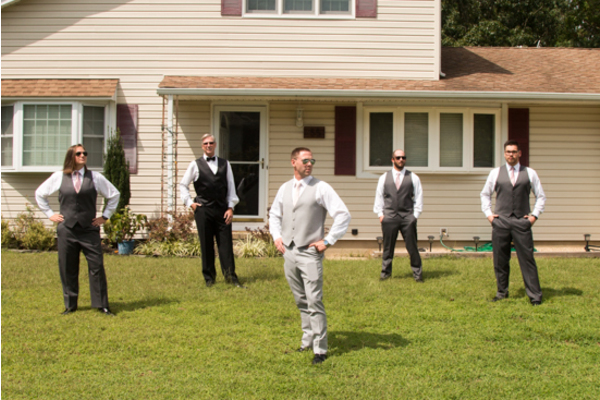 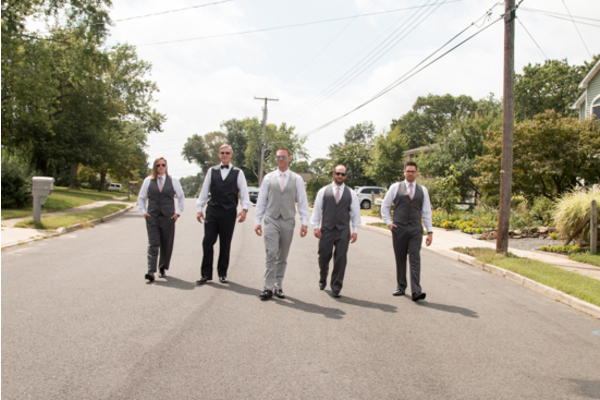 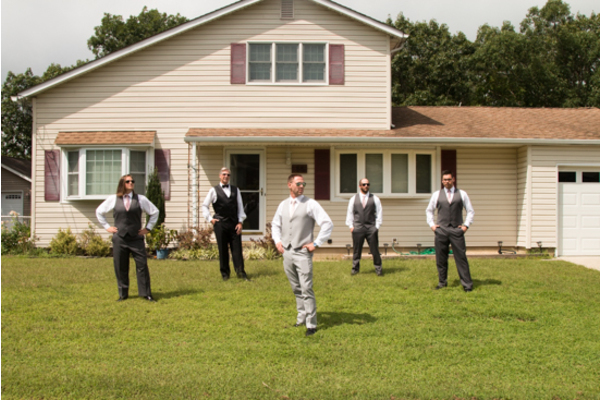 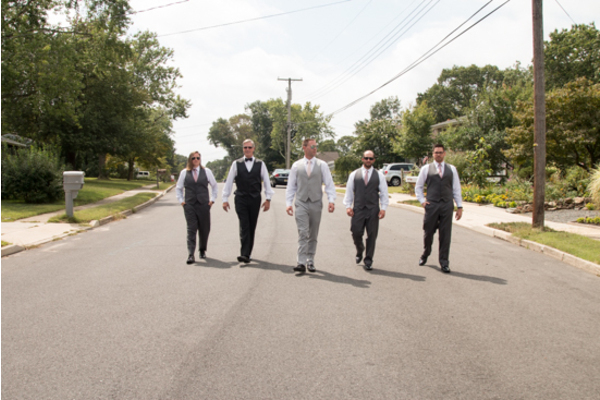 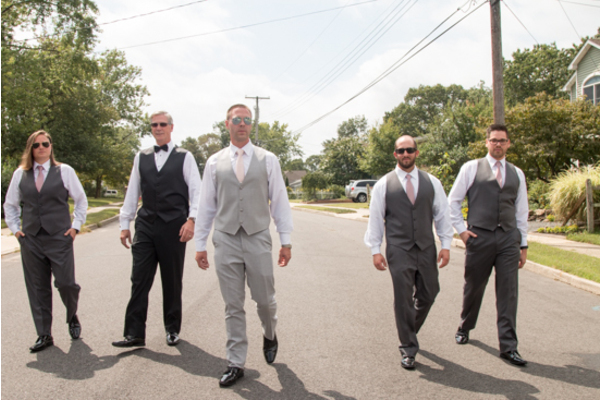 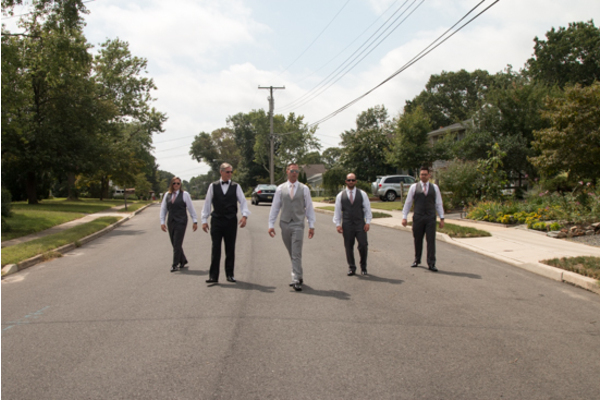 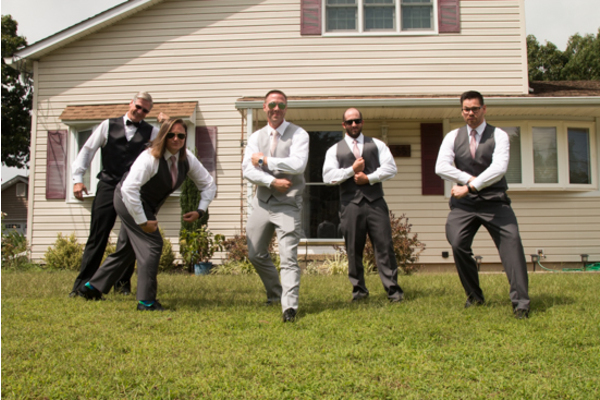 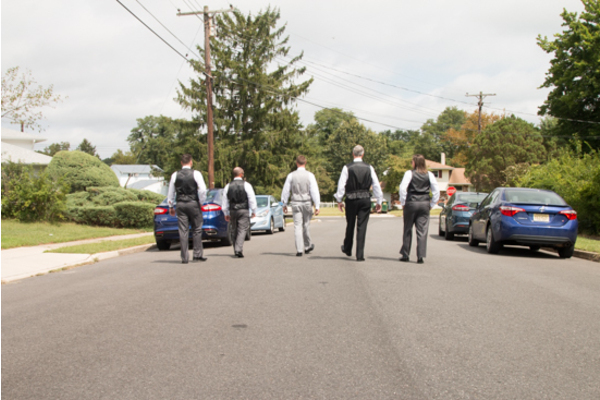 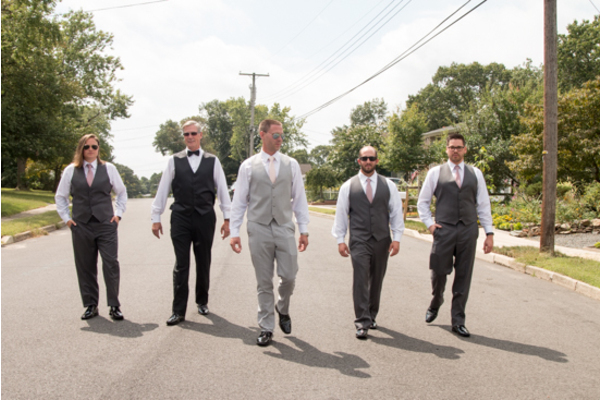 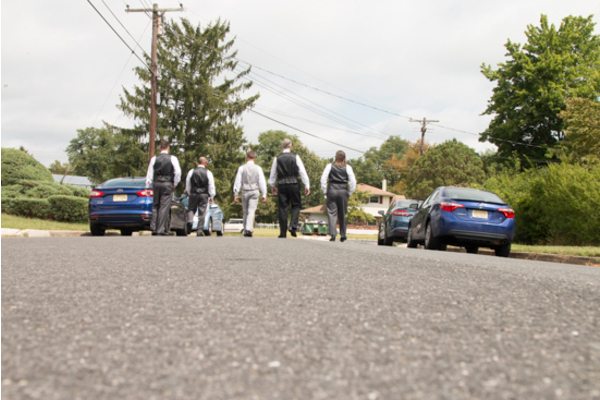 Following the “I Do’s,” the bridal party made their way outside for some group shots. 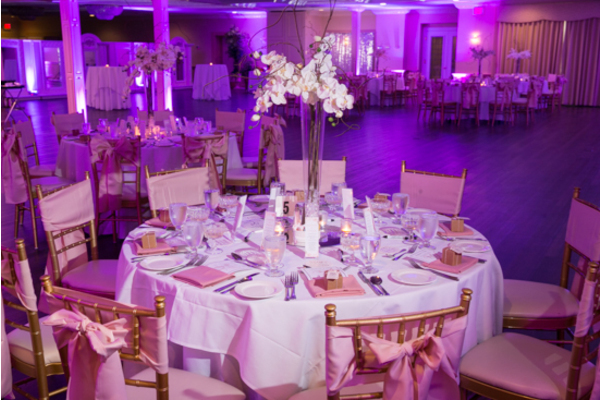 The reception room was spectacular! 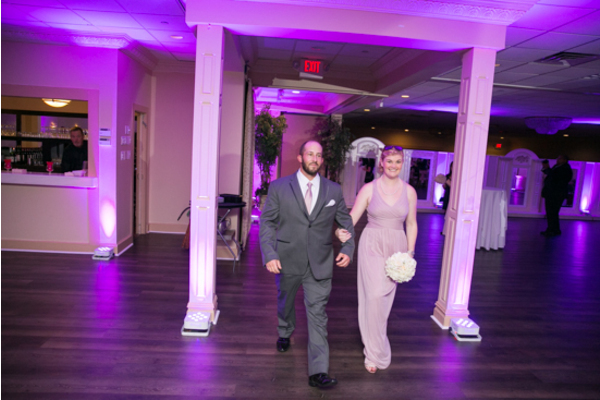 The purple up lighting really tied in the theme of the day. 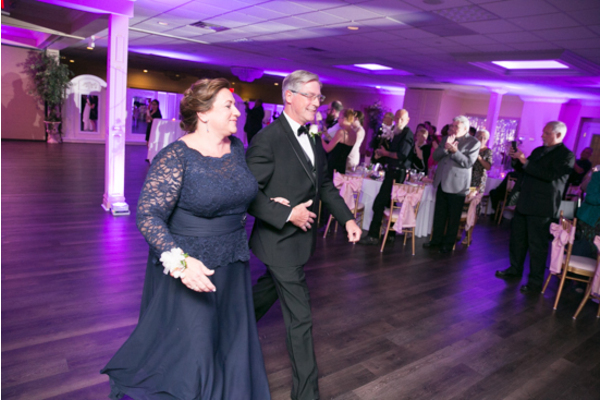 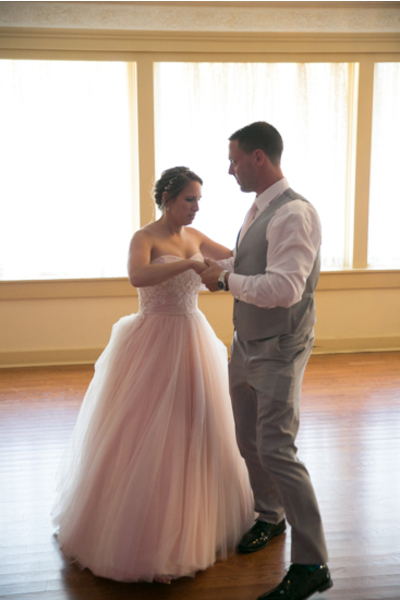 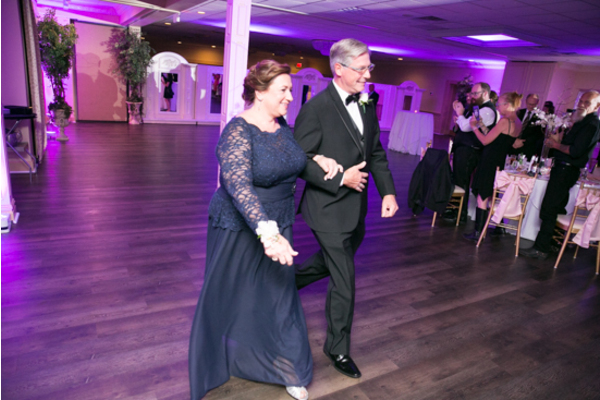 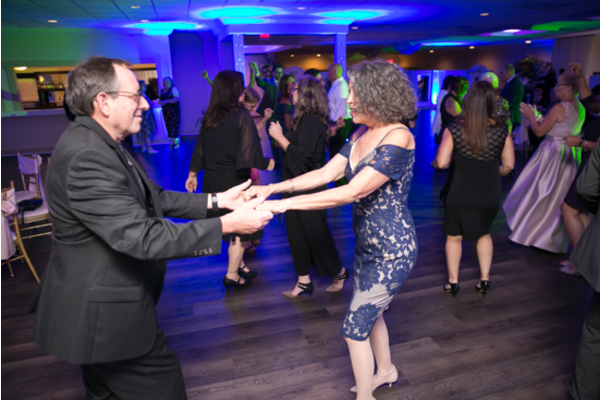 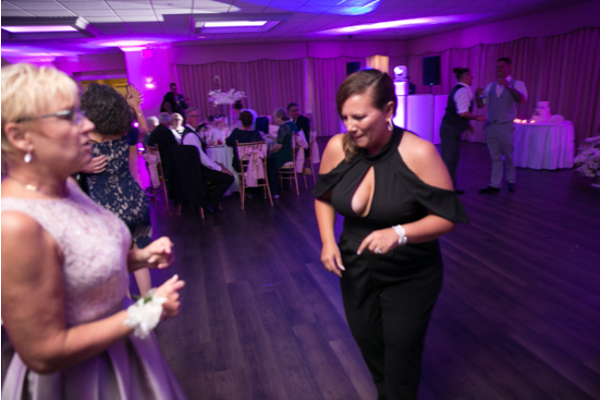 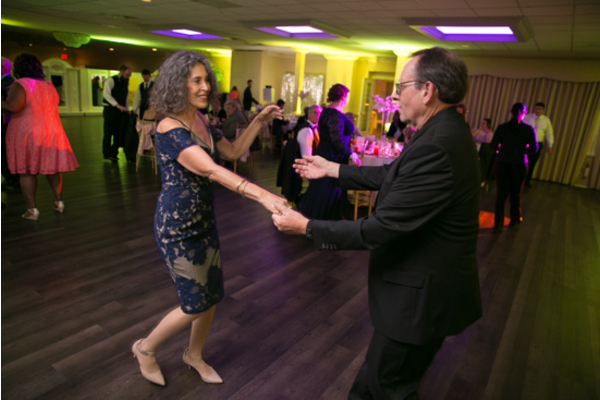 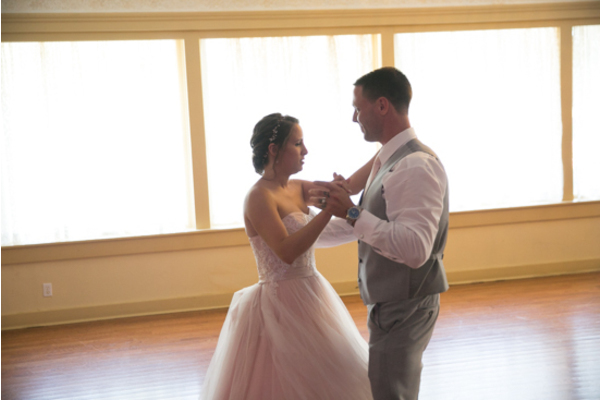 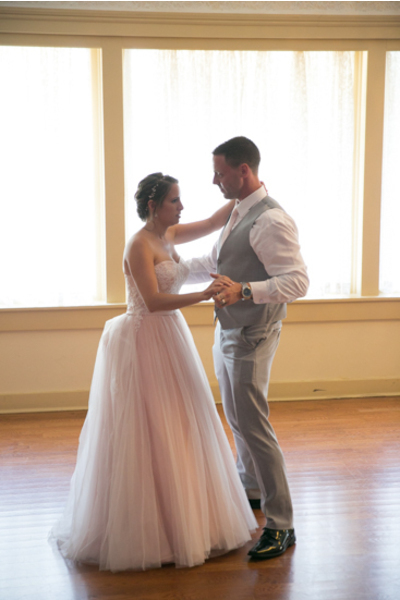 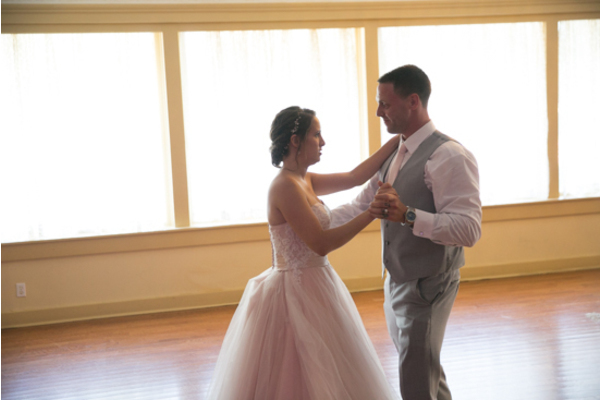 The couple kicked off the party by sharing their first dance together as a newly wed couple! 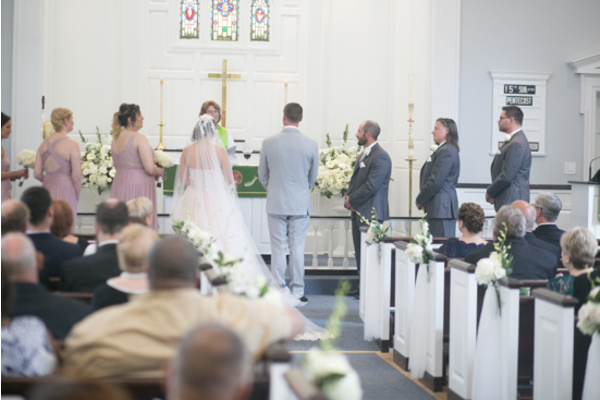 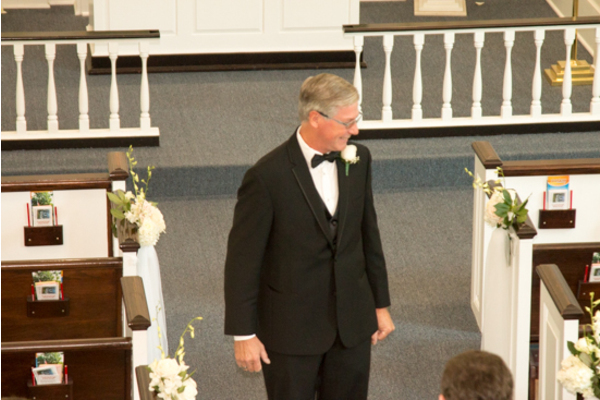 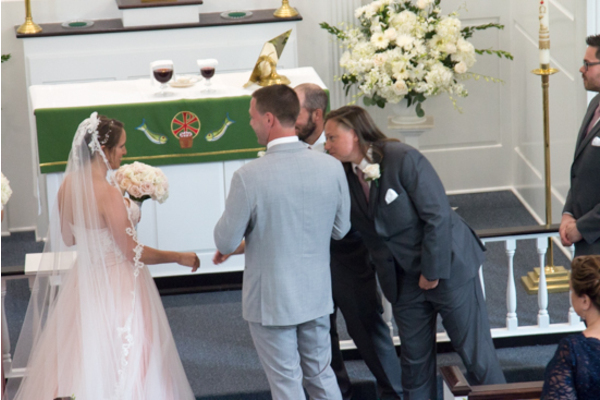 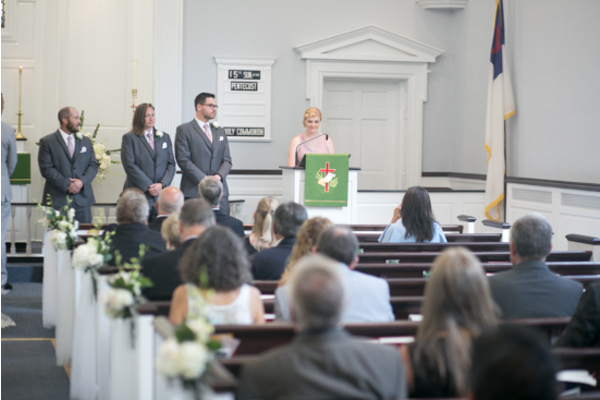 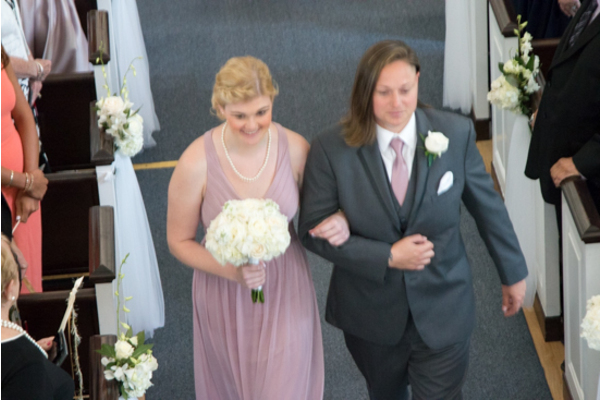 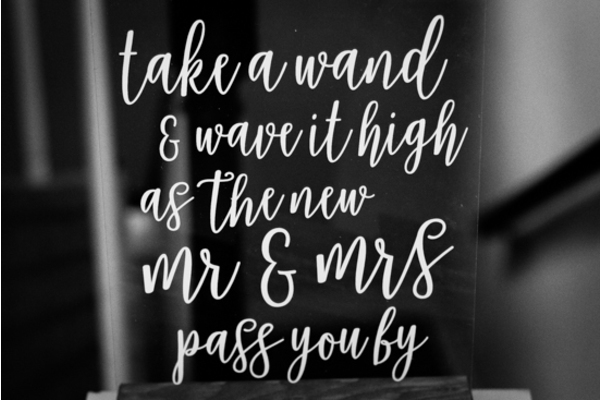 Speeches were made, there was laughter and tears and love was in the air! 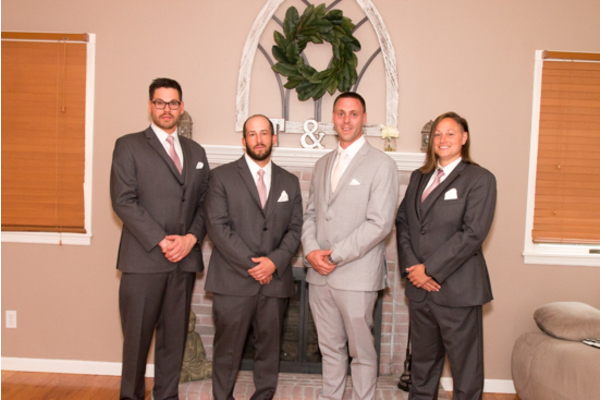 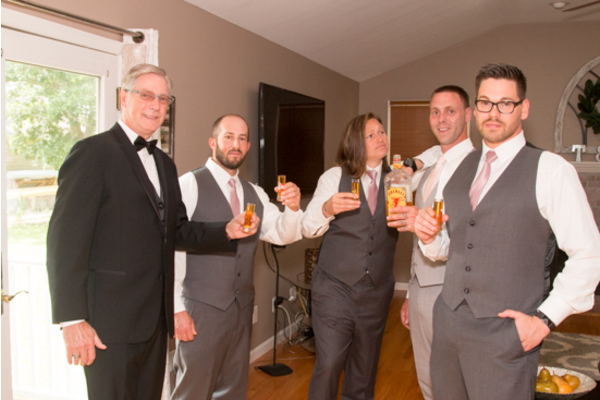 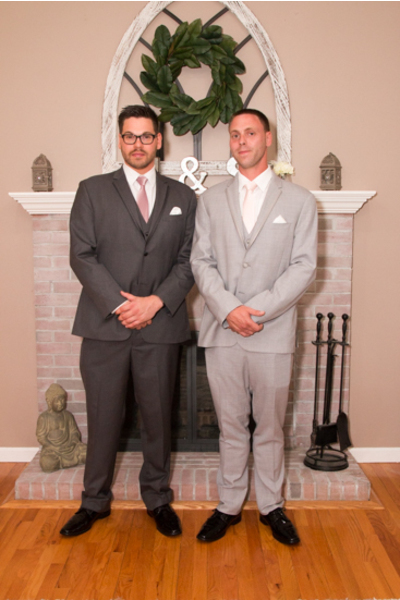 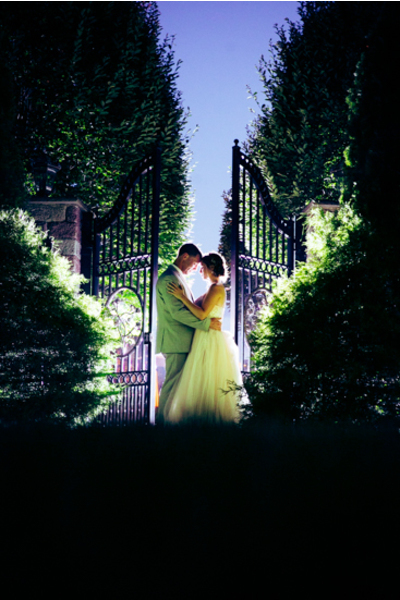 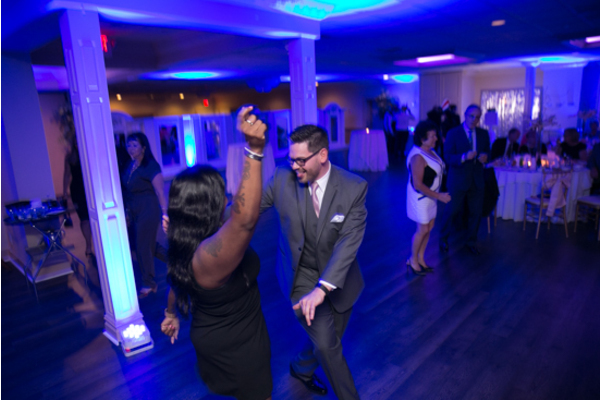 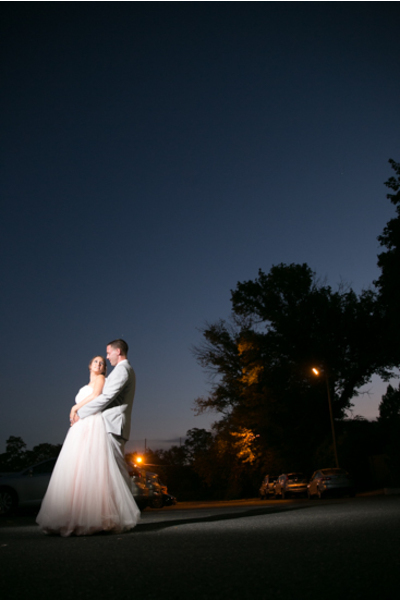 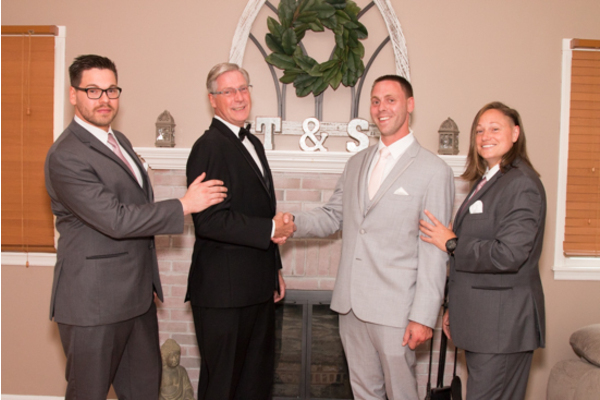 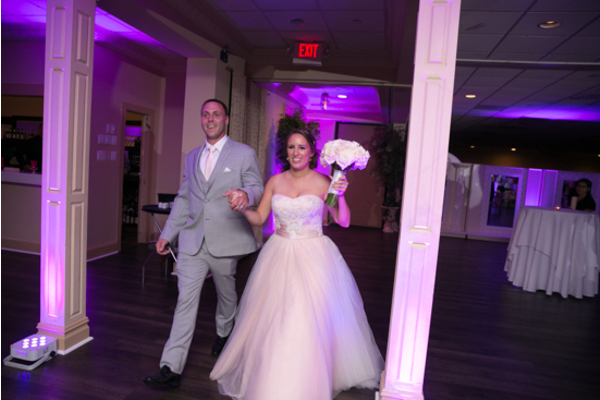 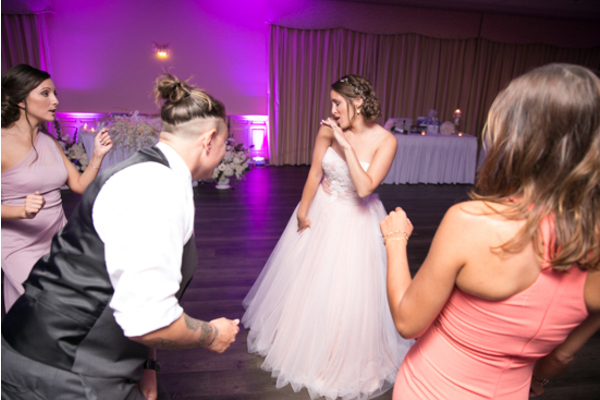 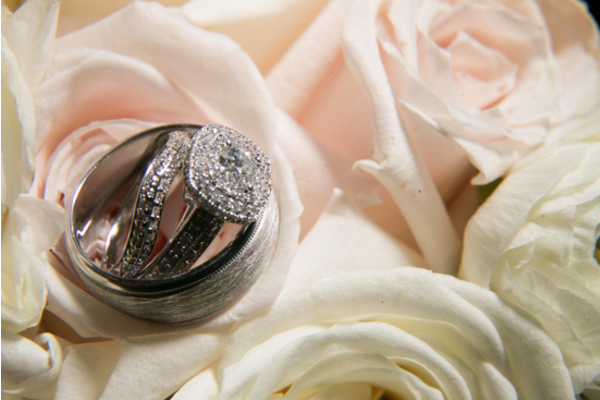 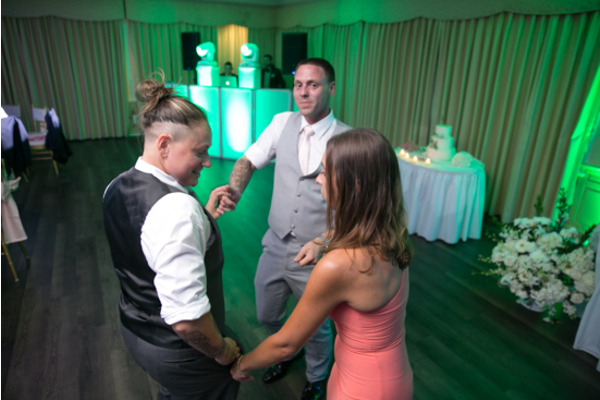 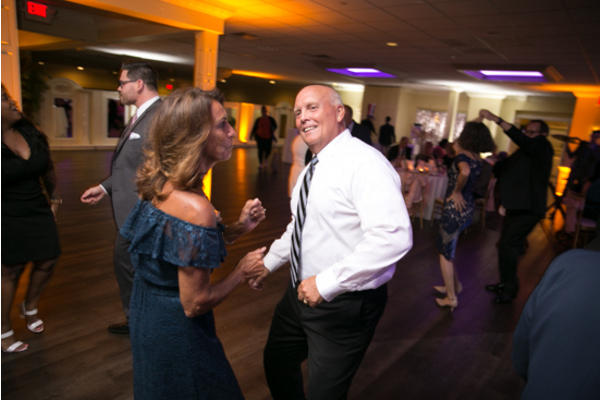 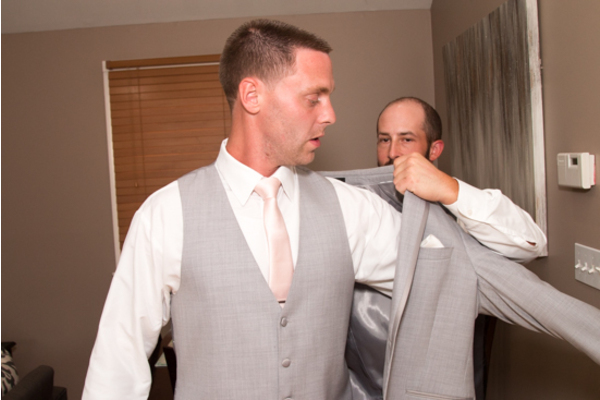 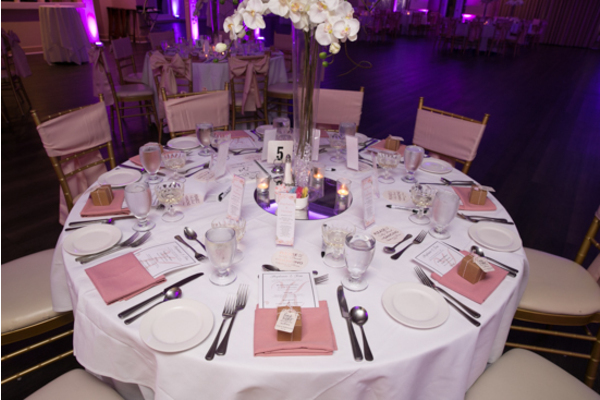 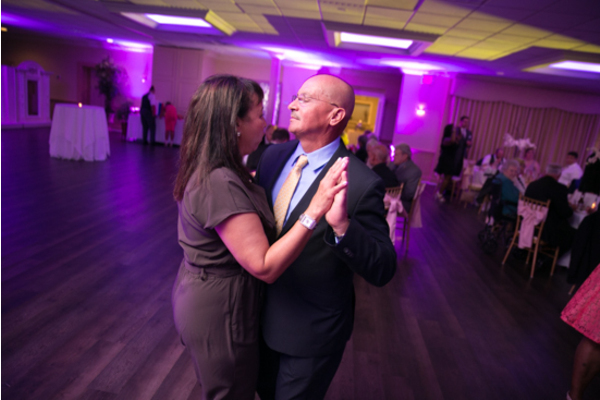 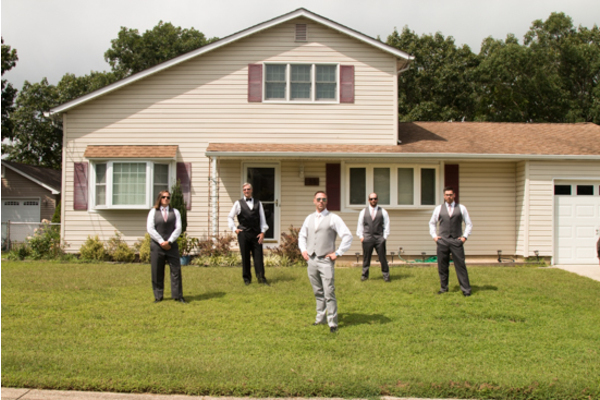 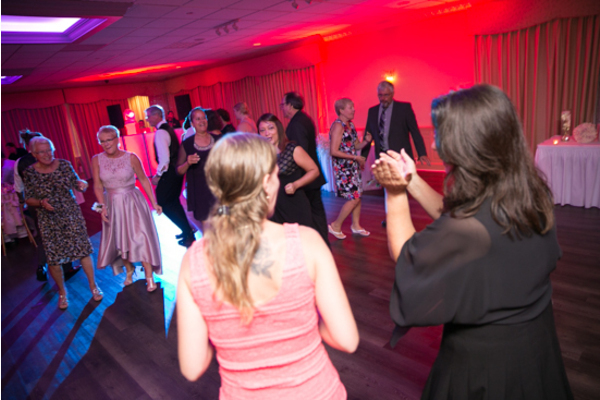 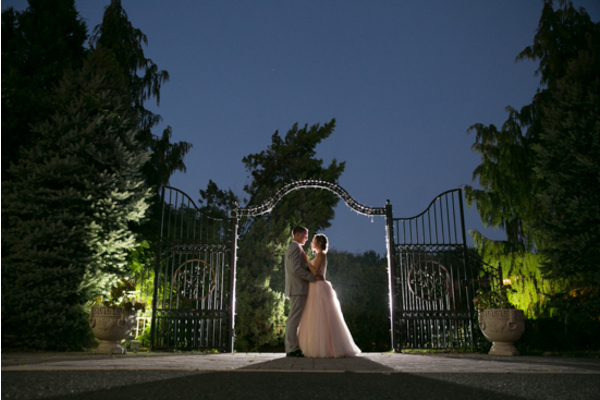 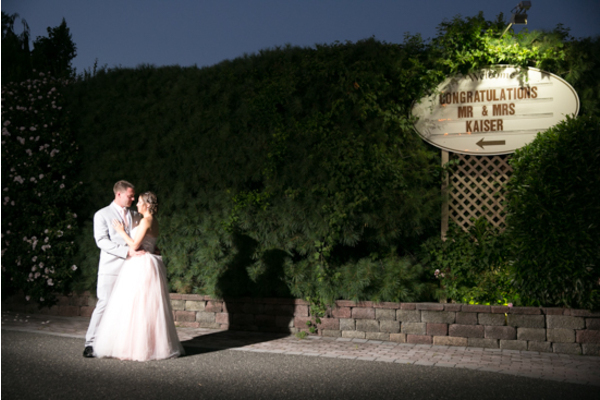 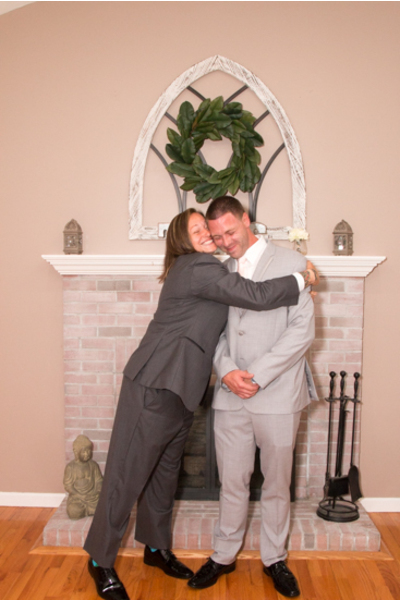 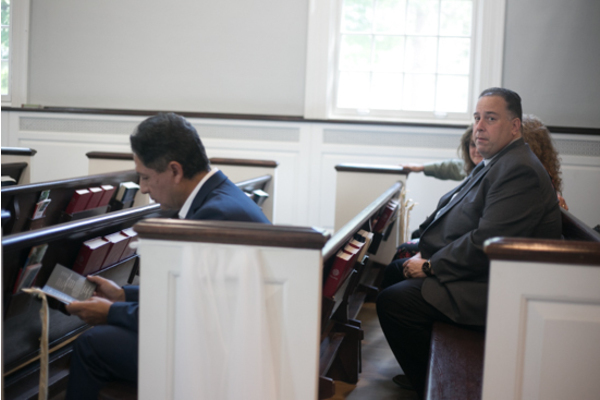 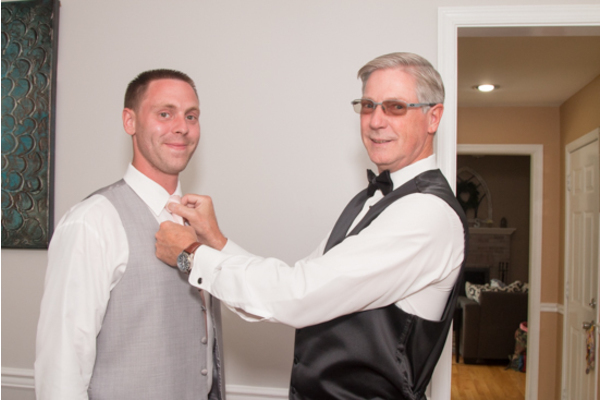 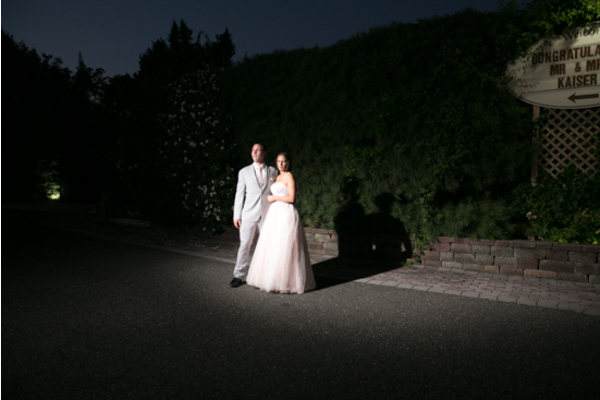 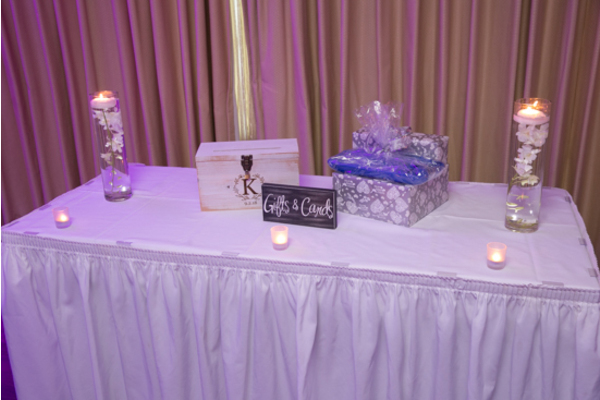 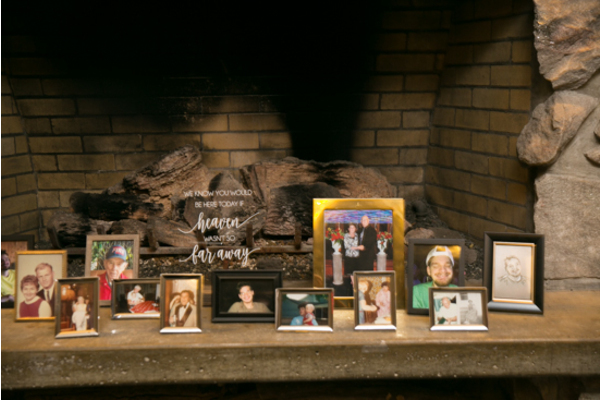 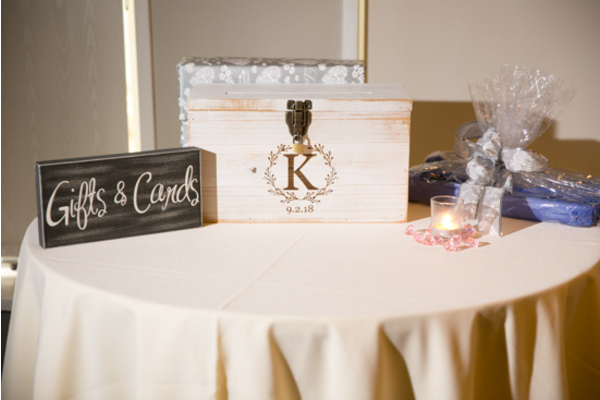 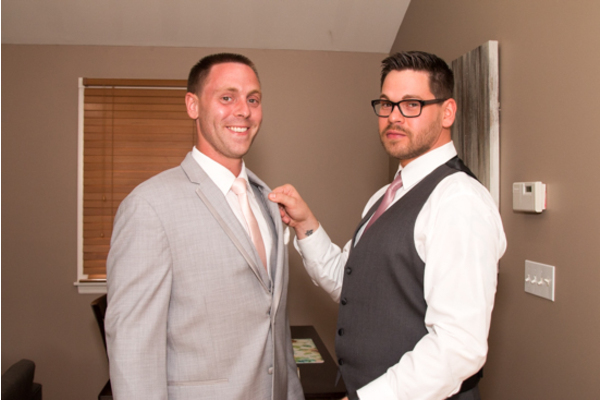 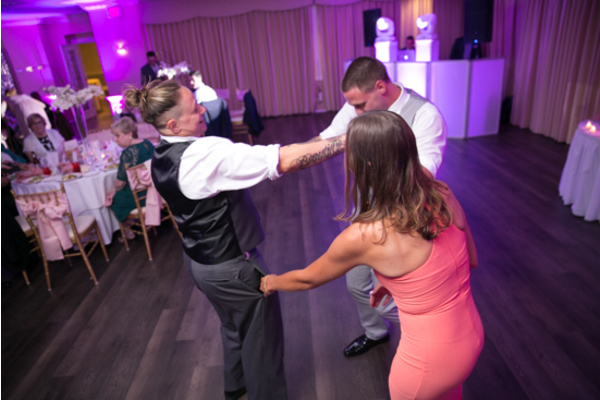 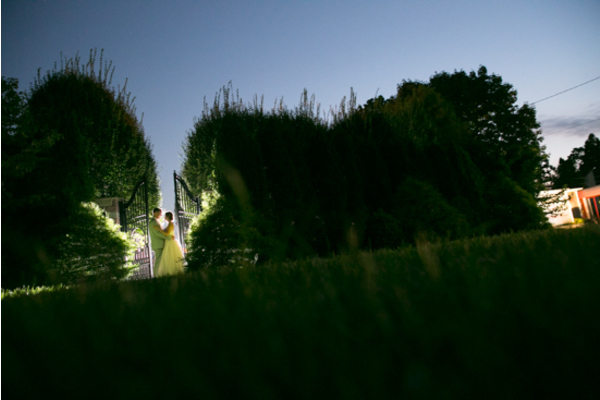 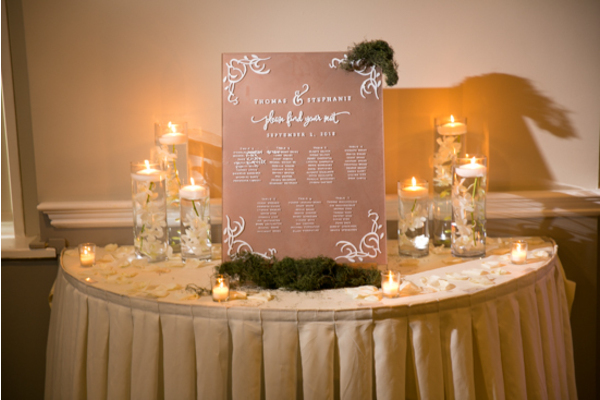 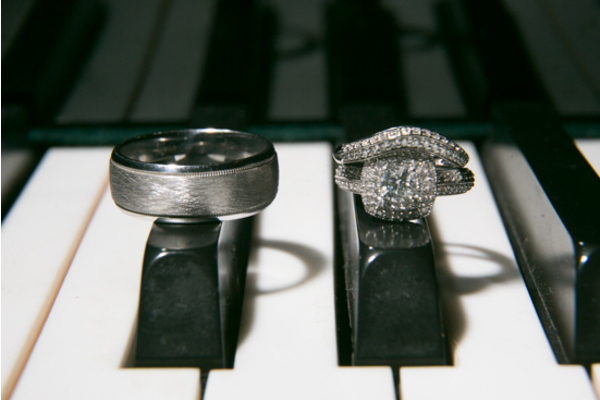 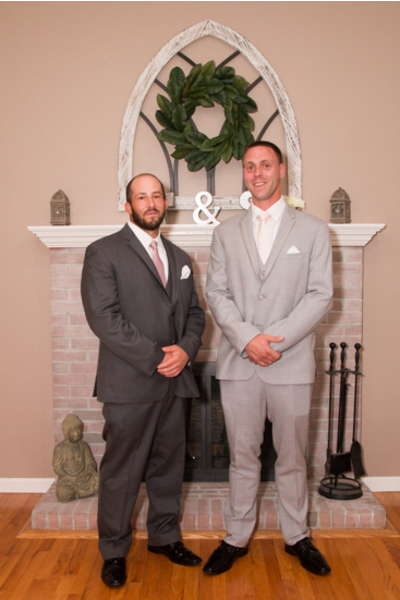 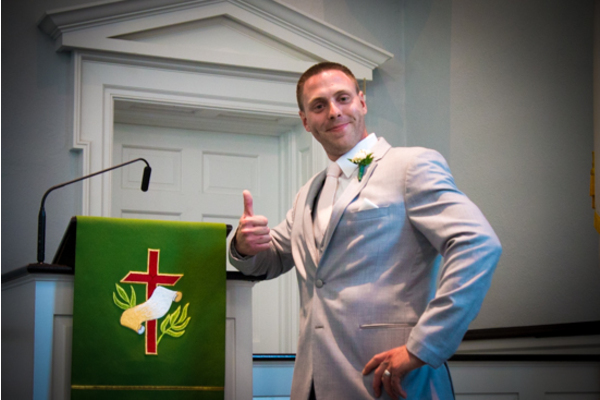 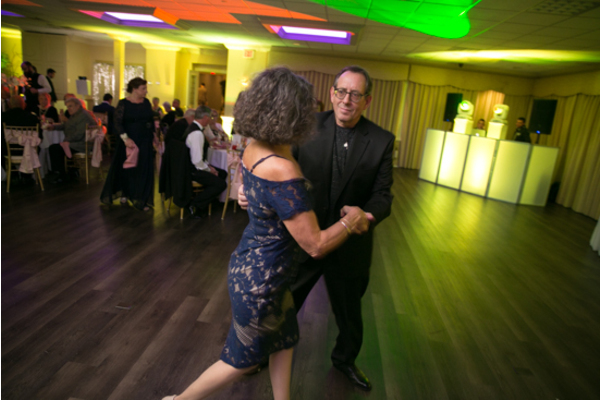 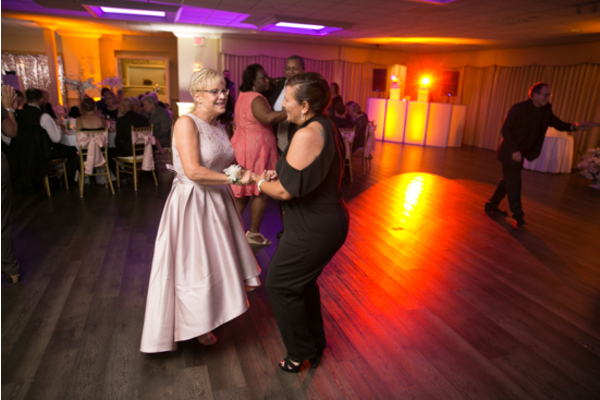 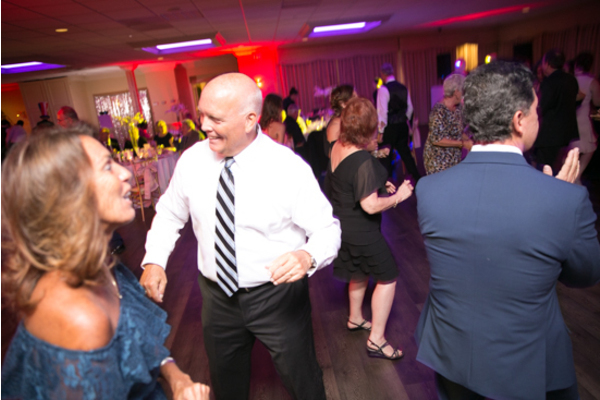 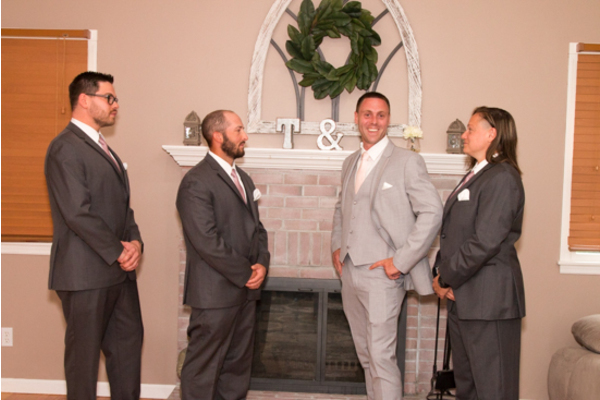 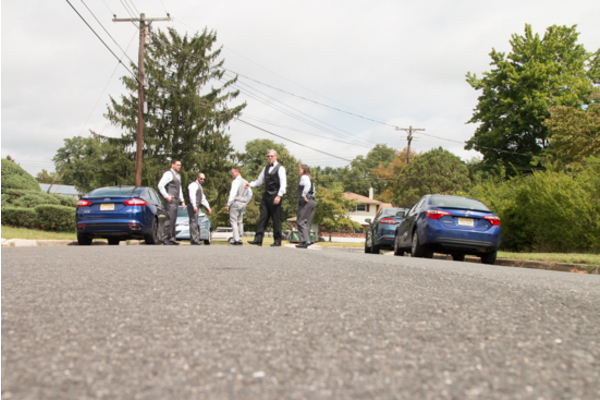 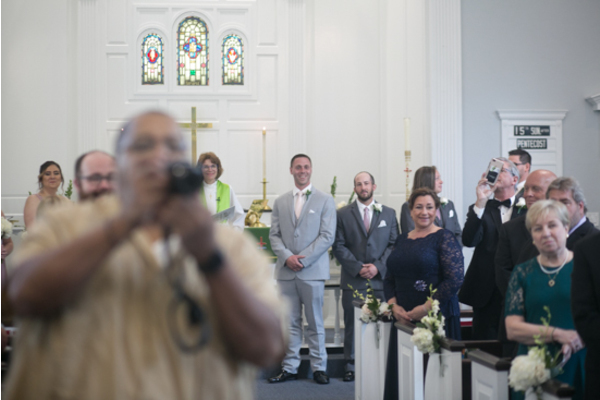 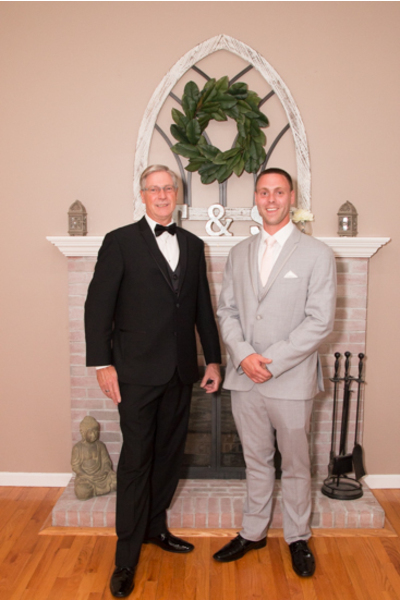 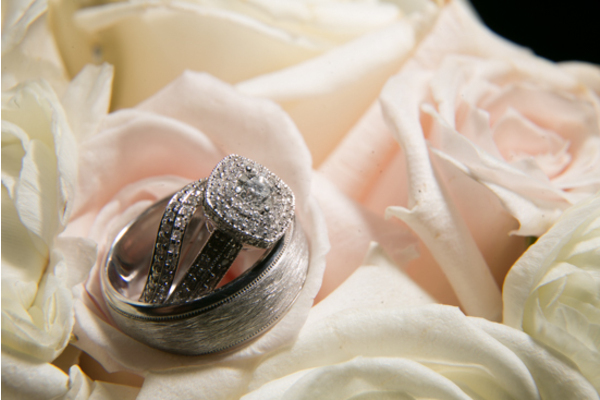 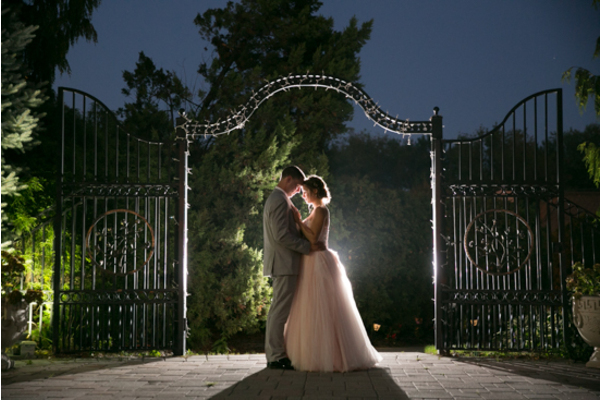 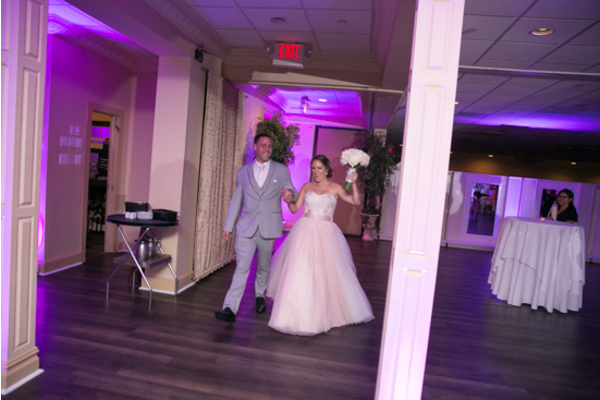 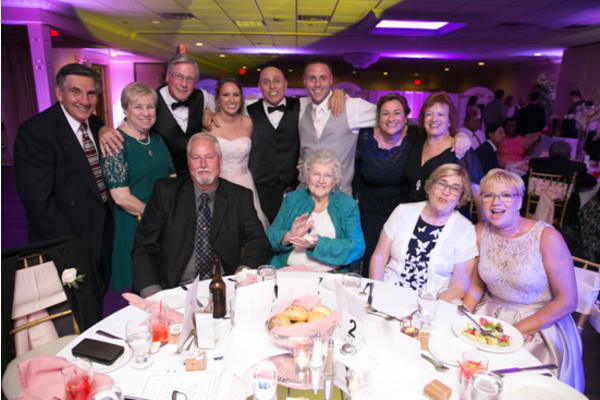 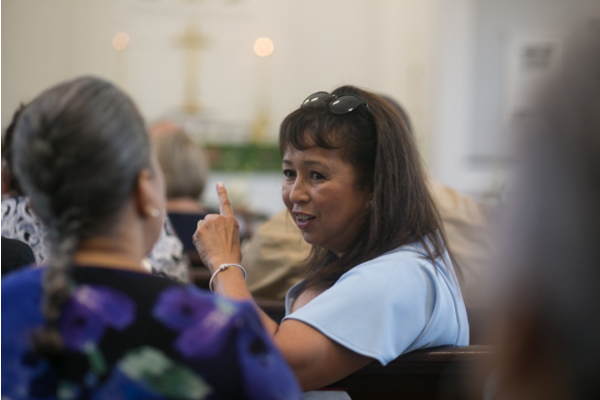 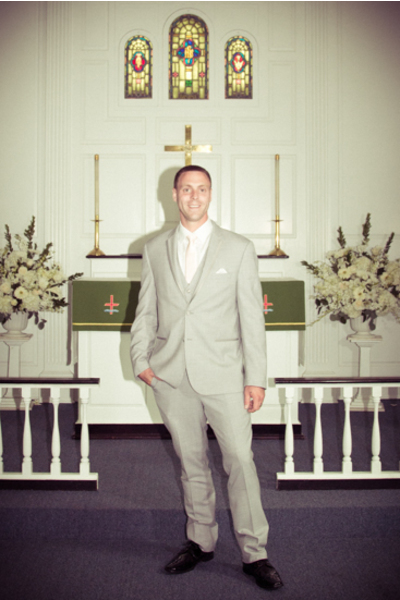 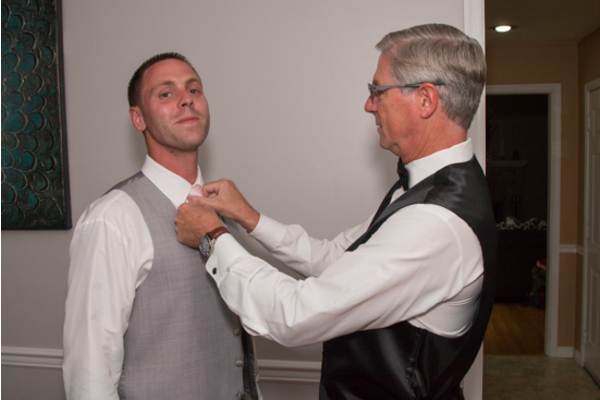 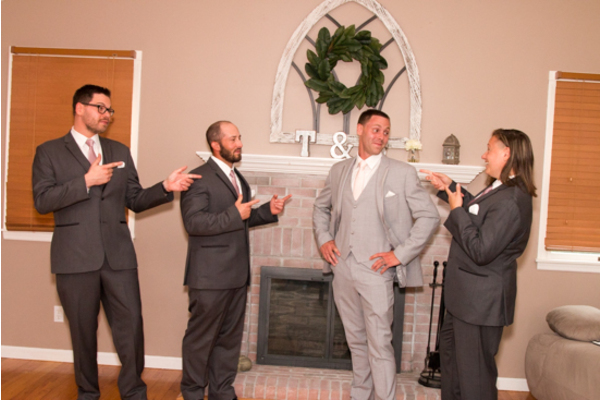 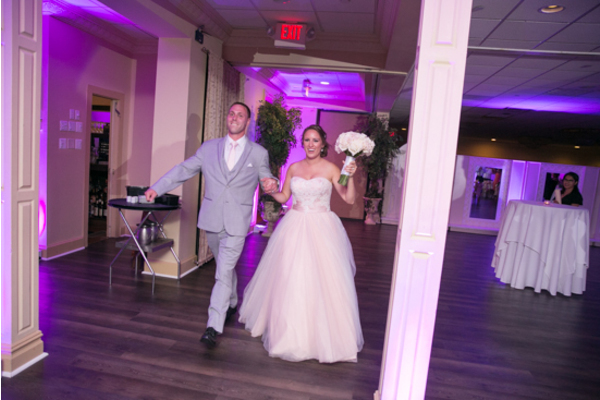 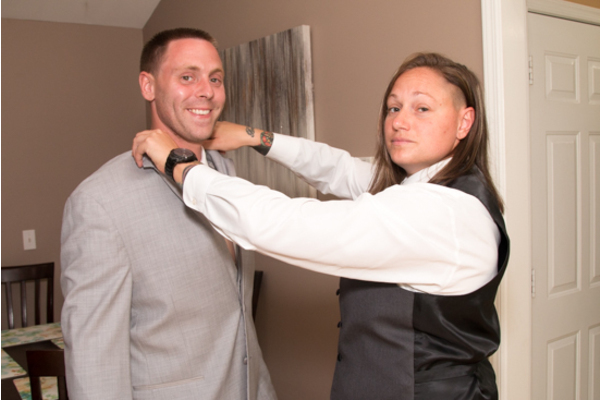 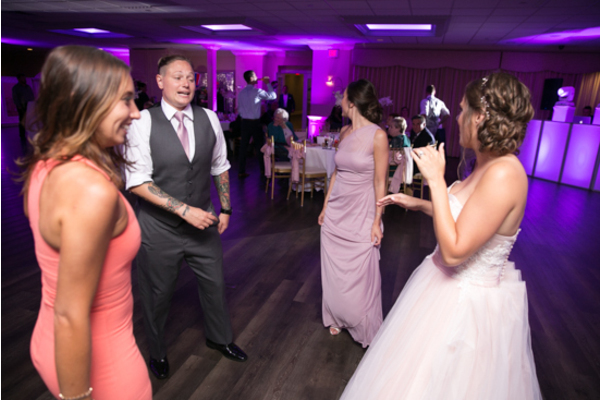 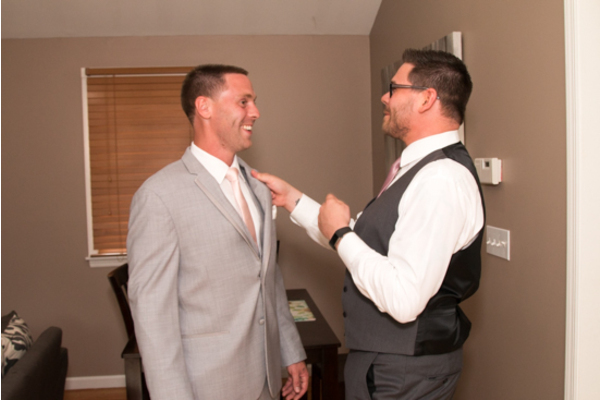 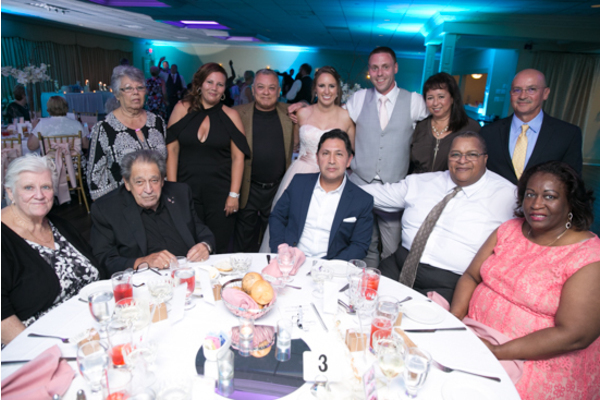 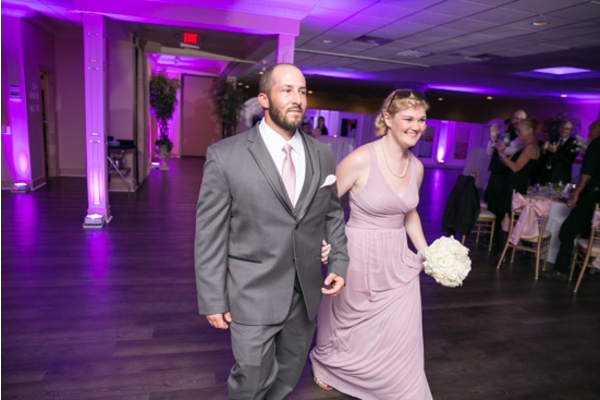 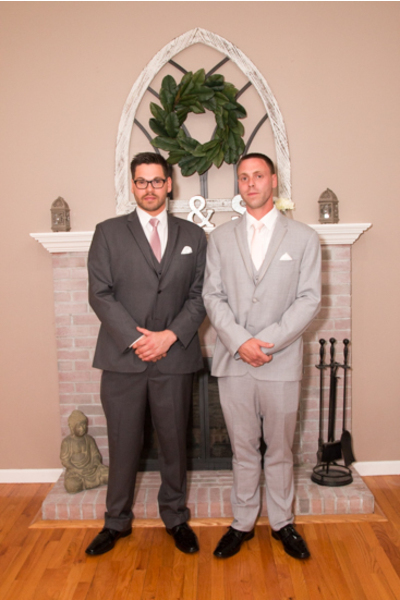 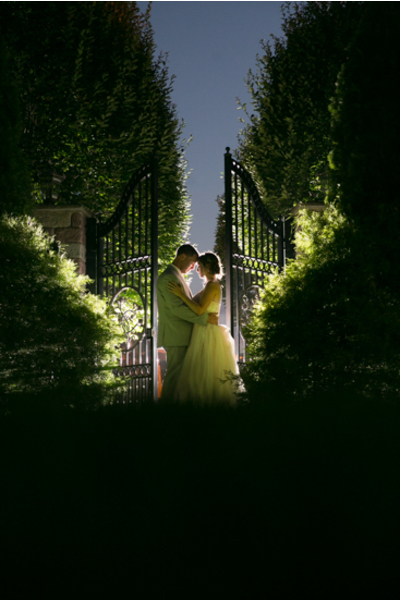 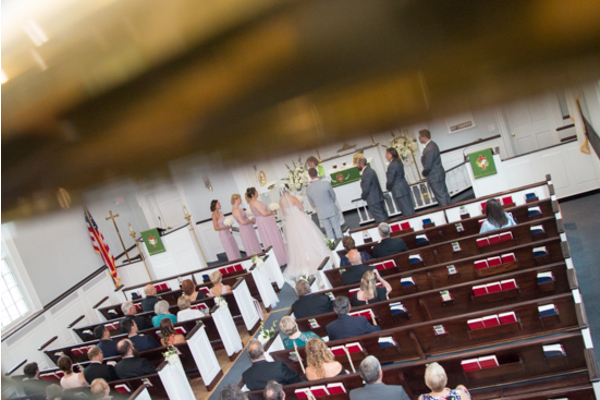 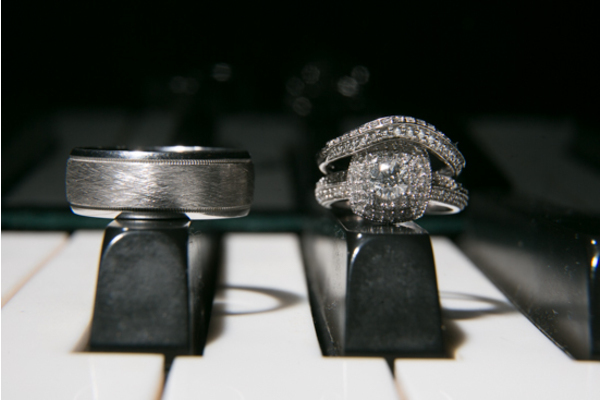 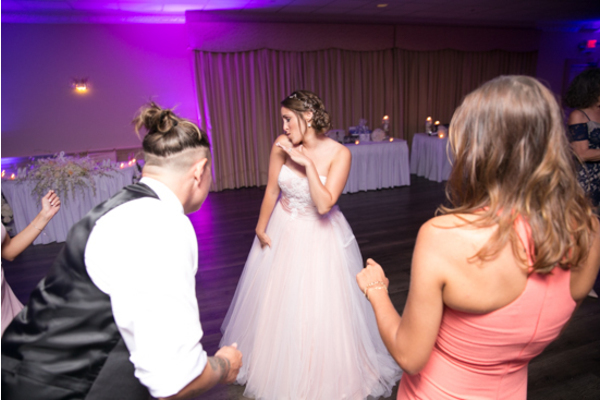 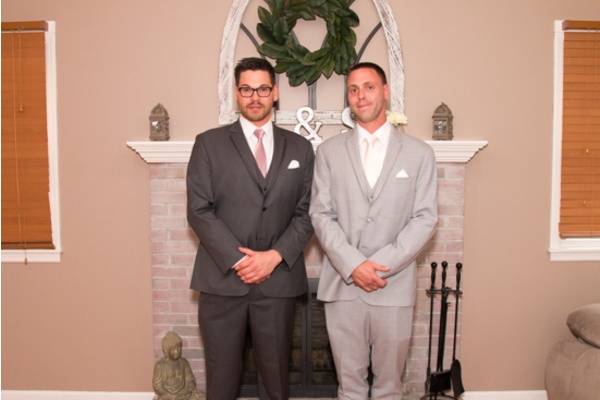 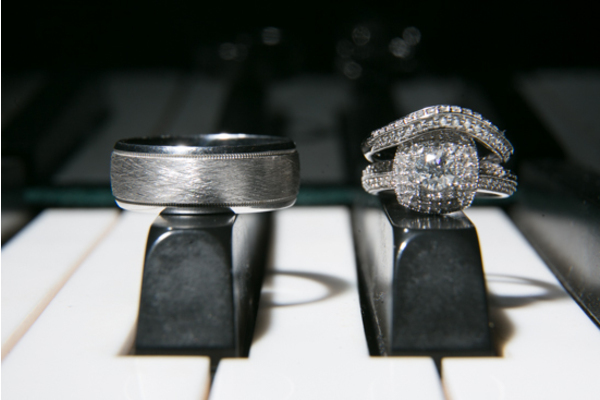 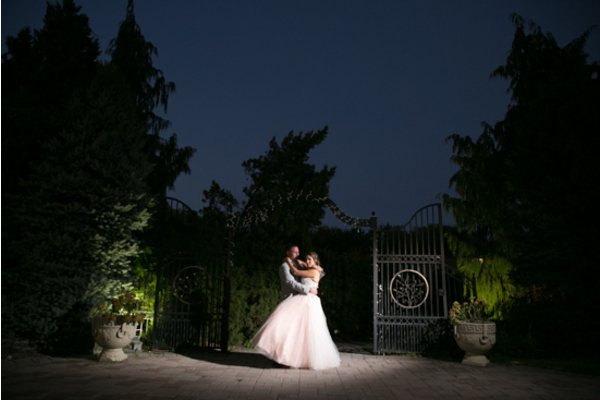 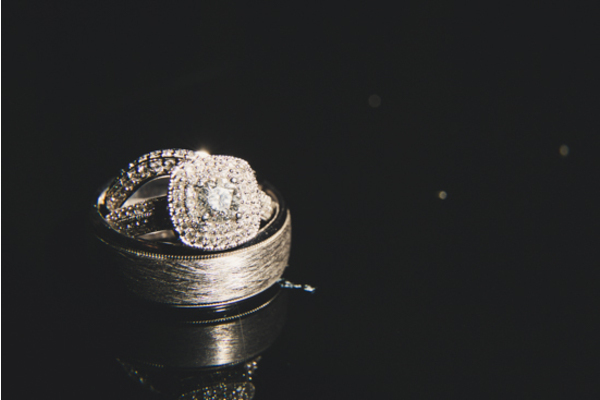 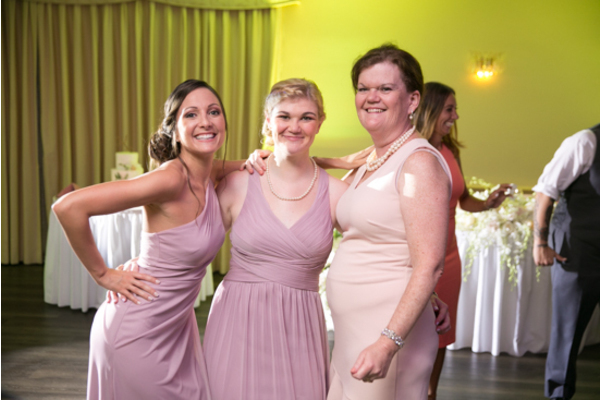 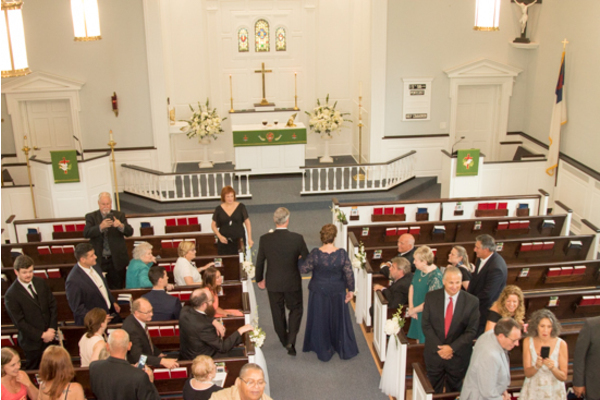 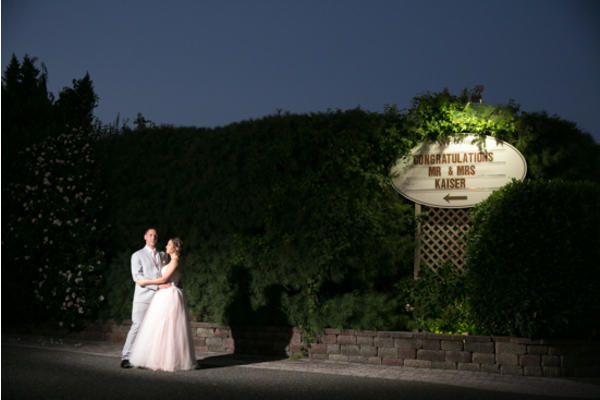 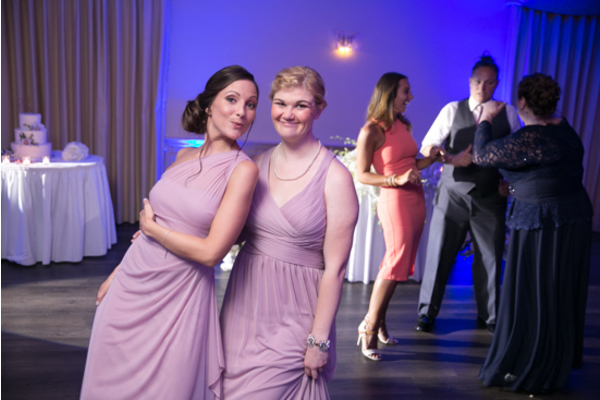 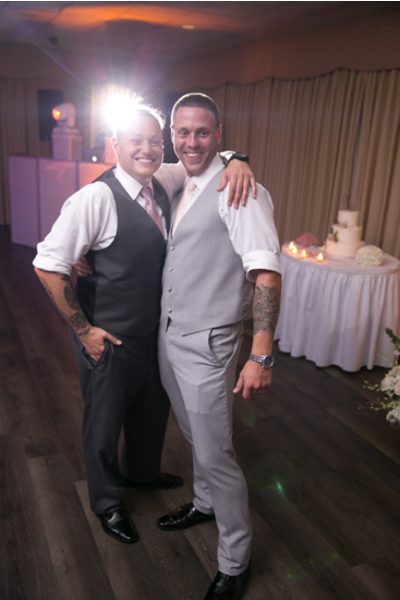 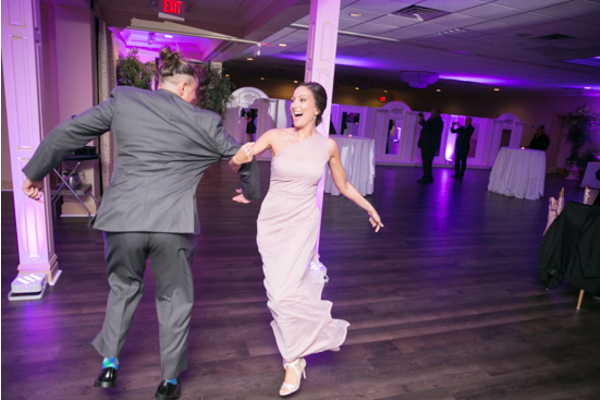 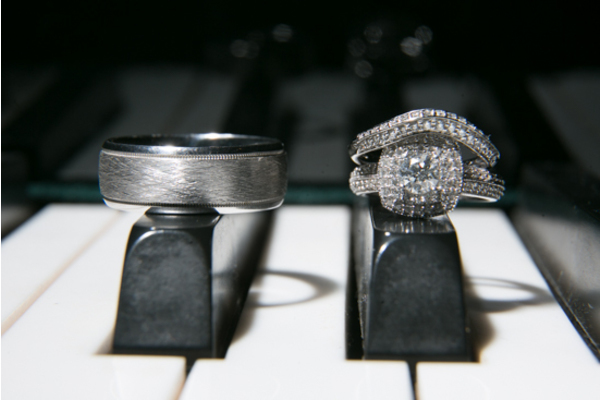 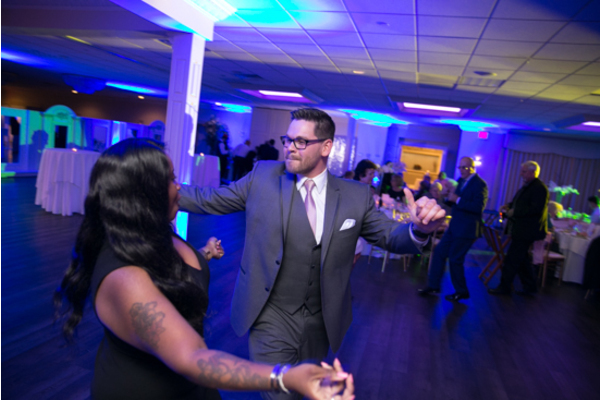 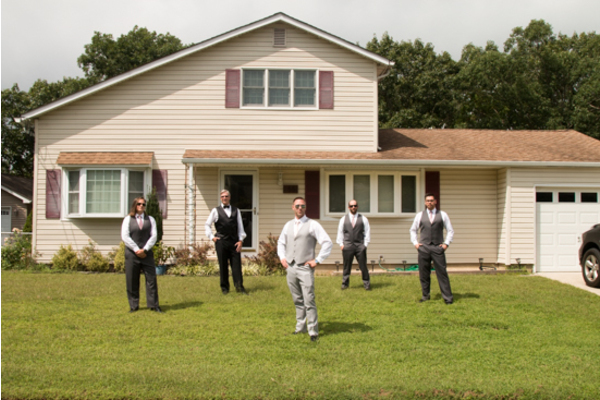 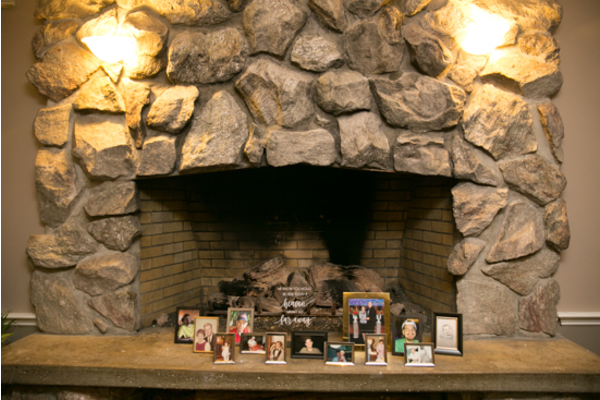 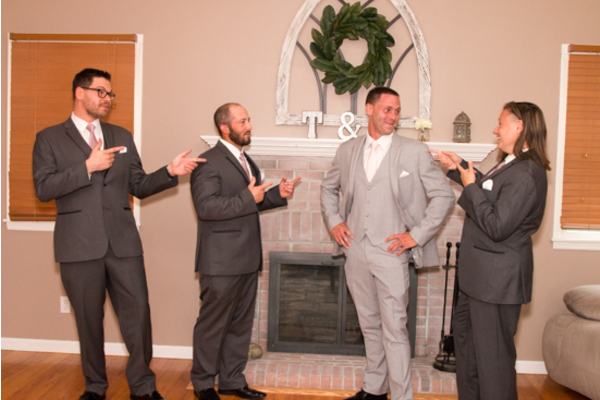 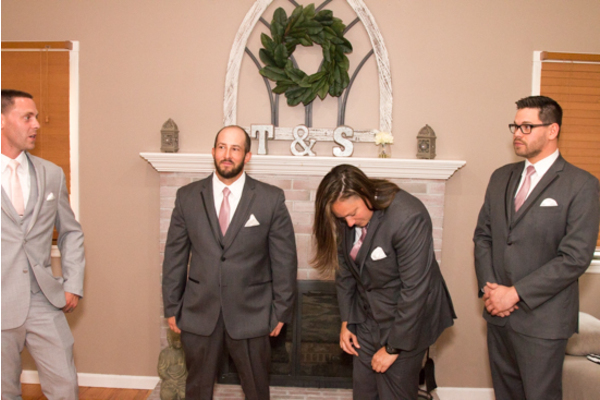 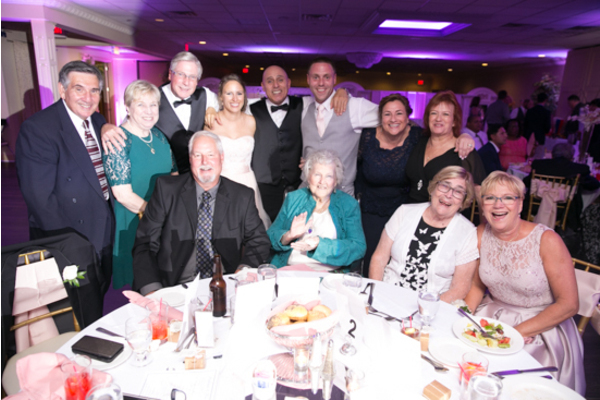 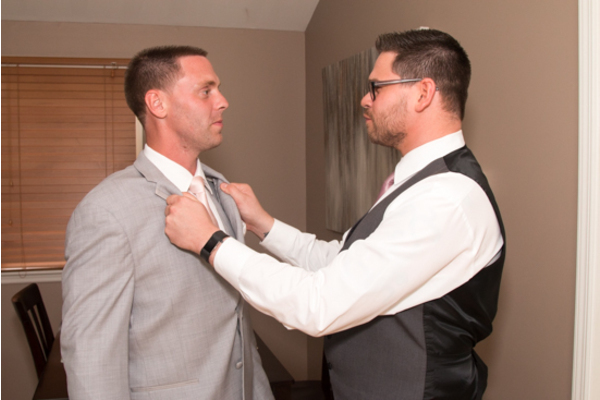 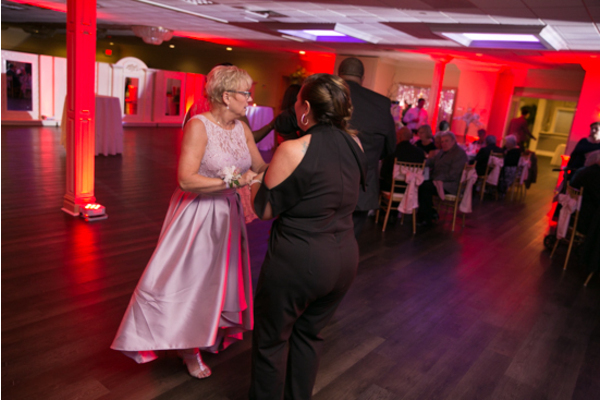 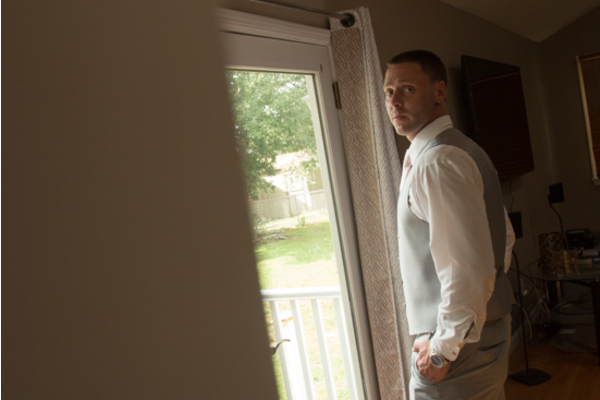 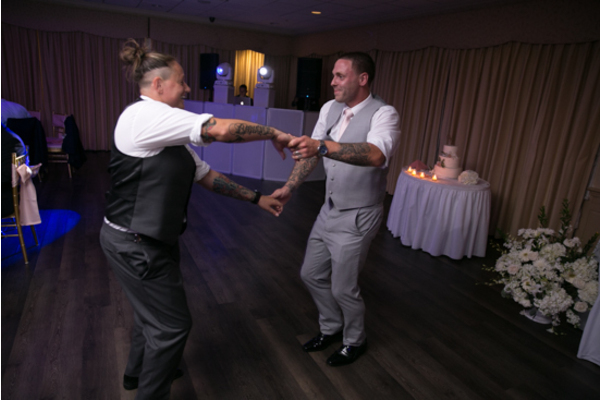 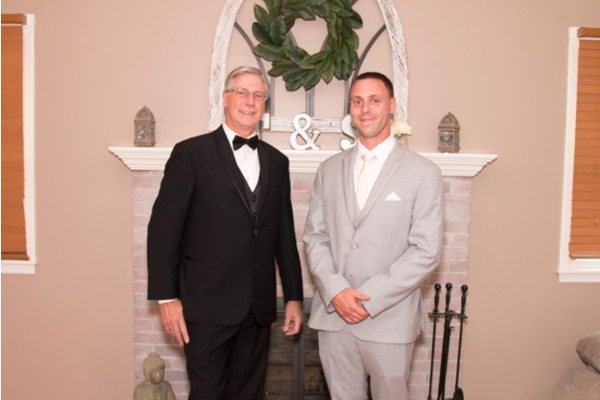 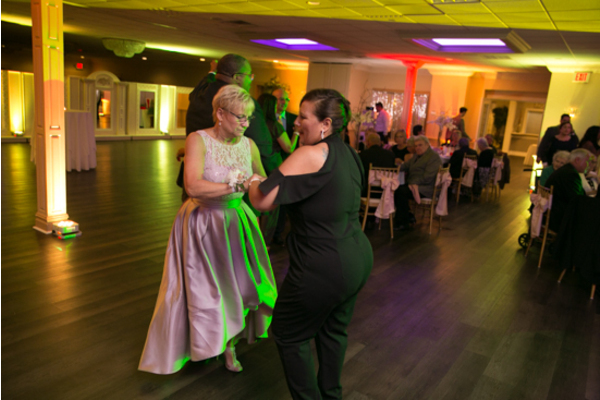 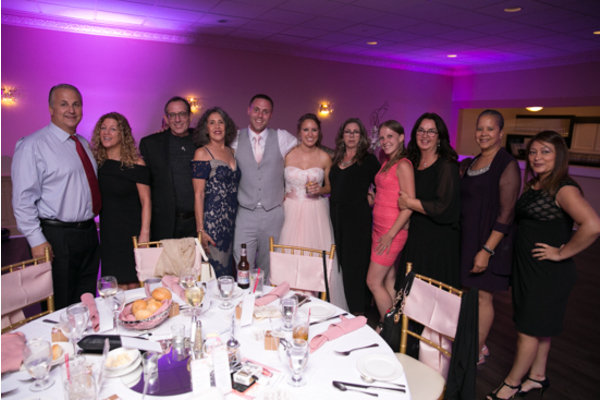 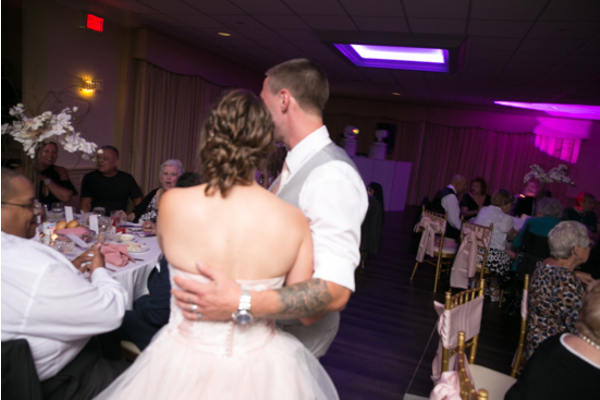 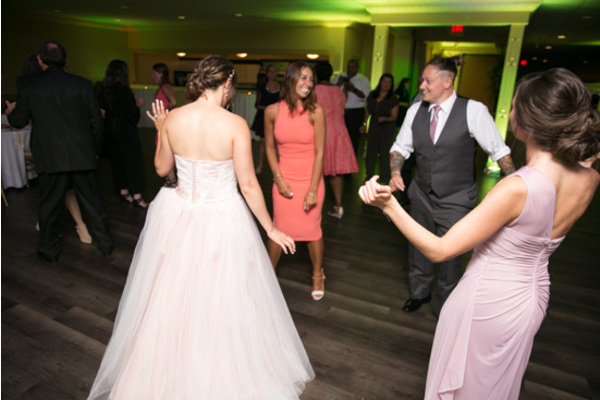 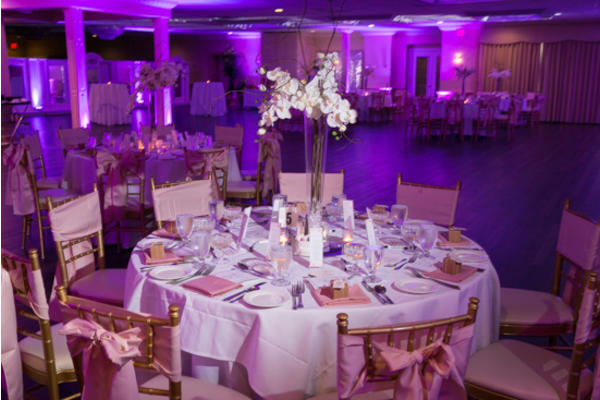 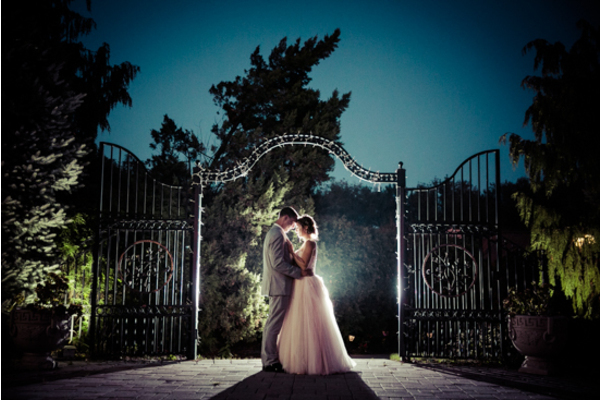 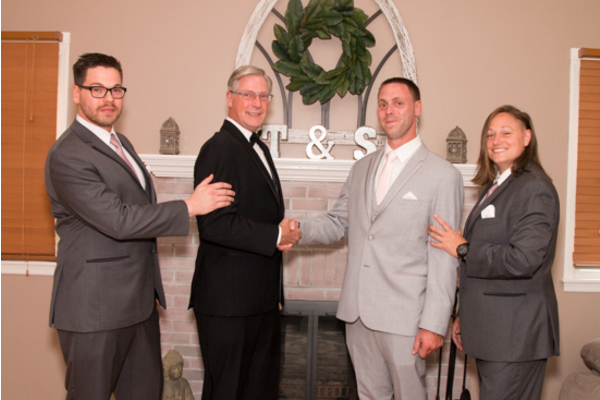 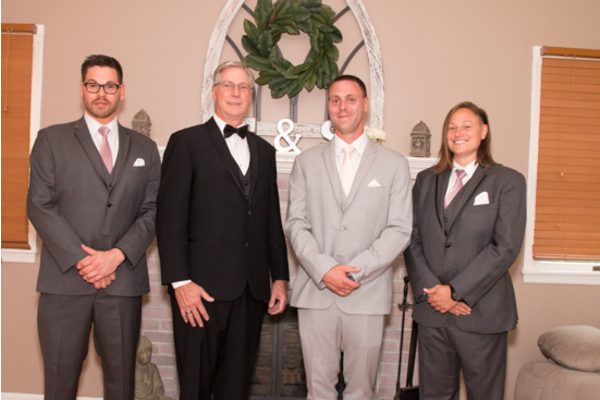 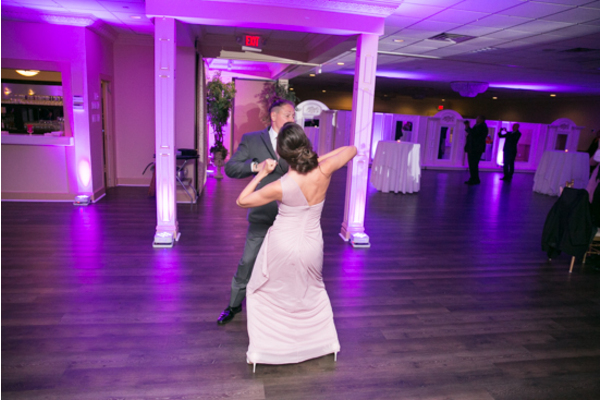 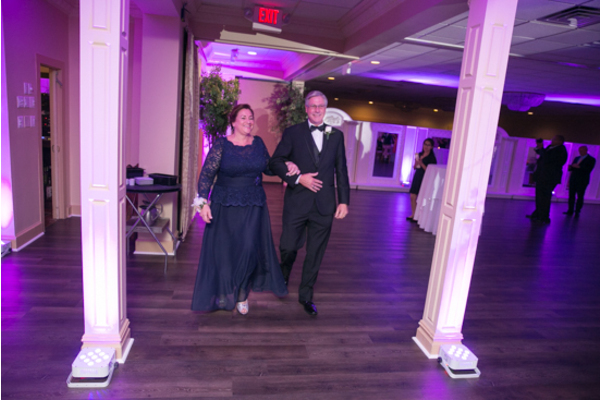 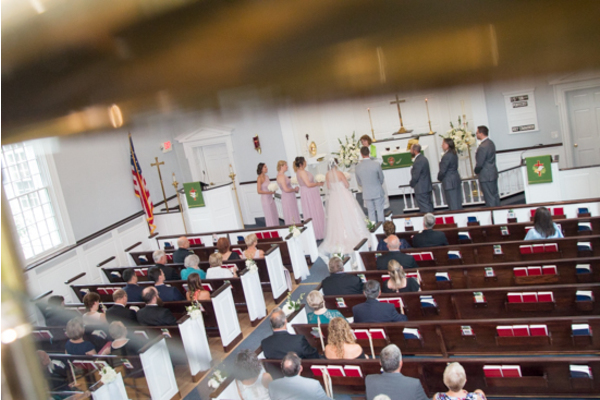 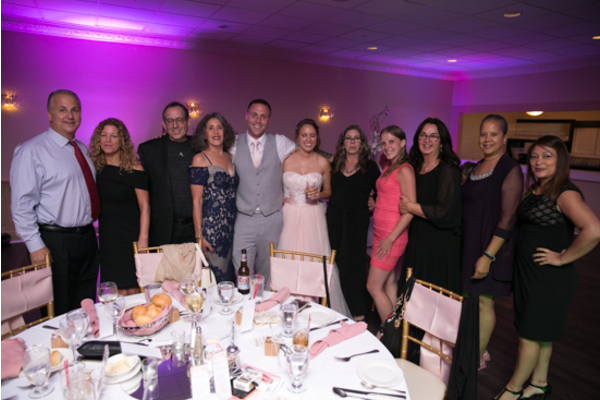 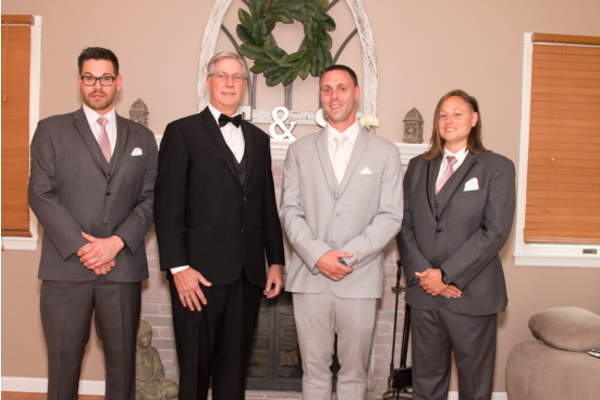 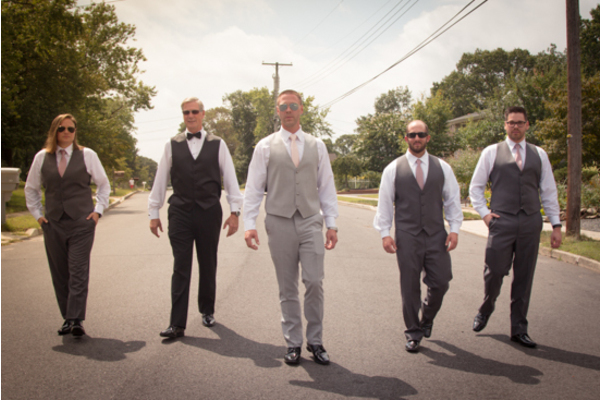 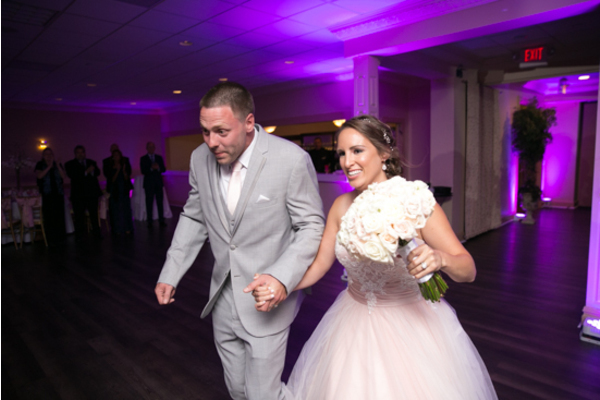 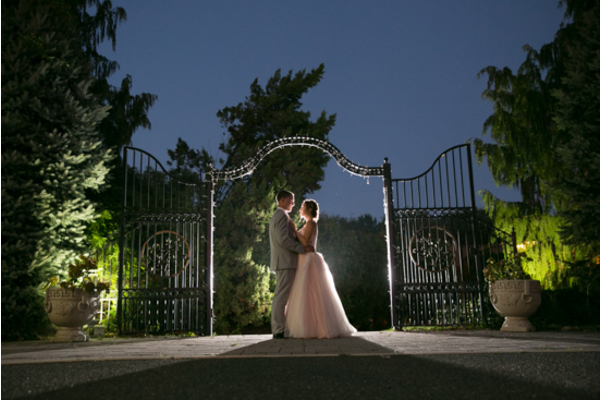 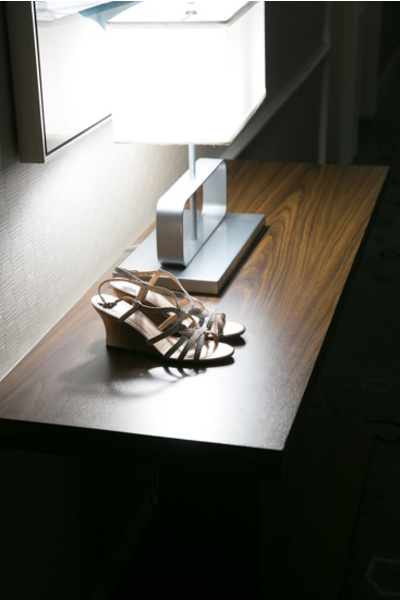 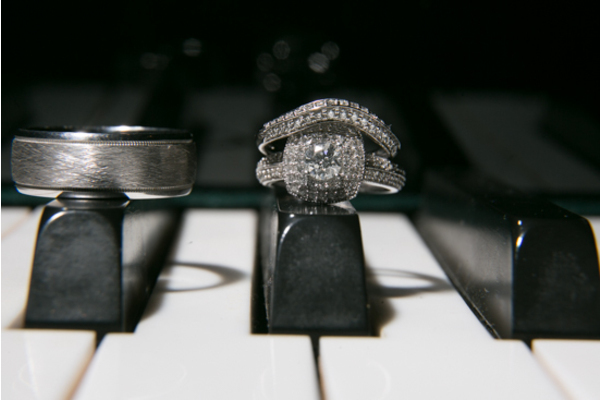 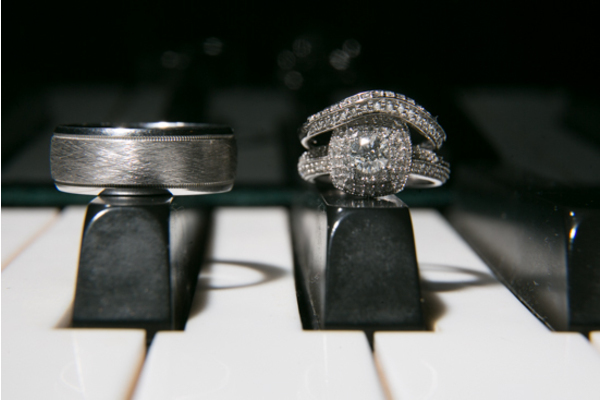 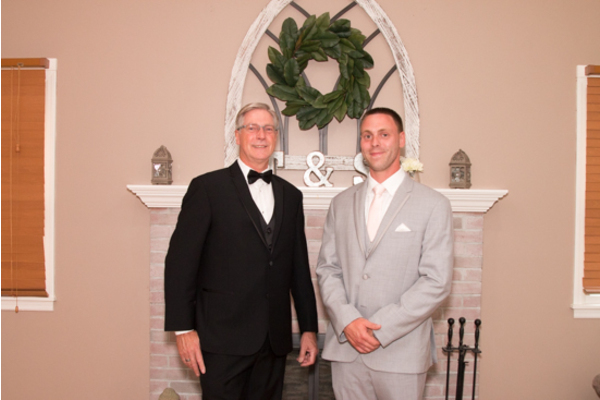 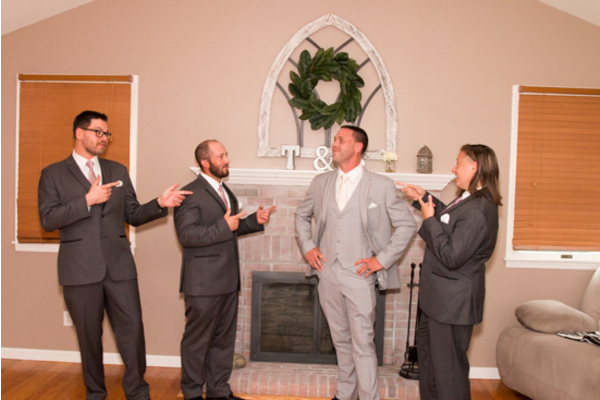 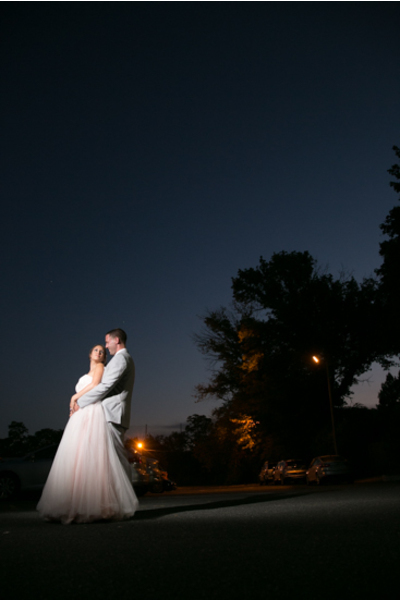 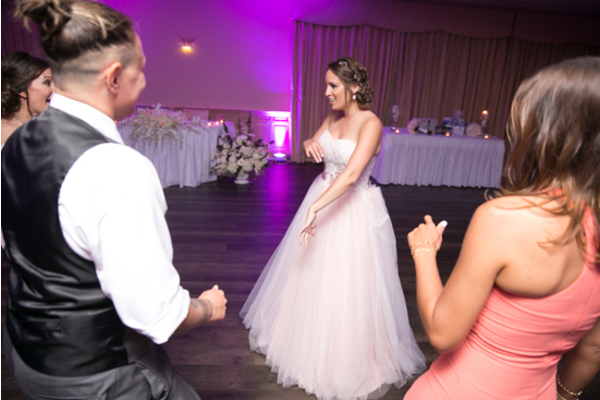 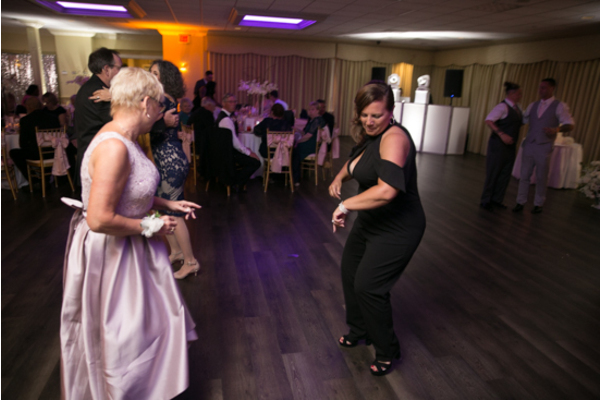 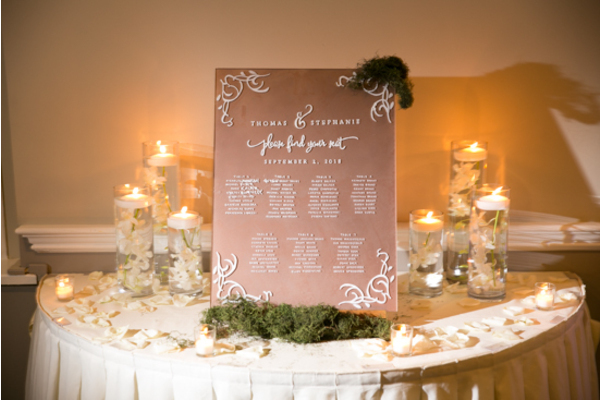 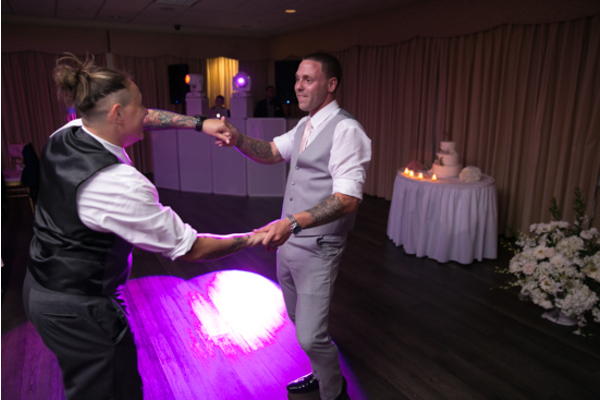 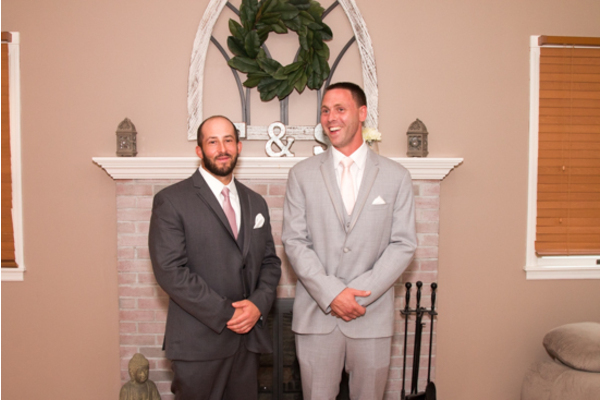 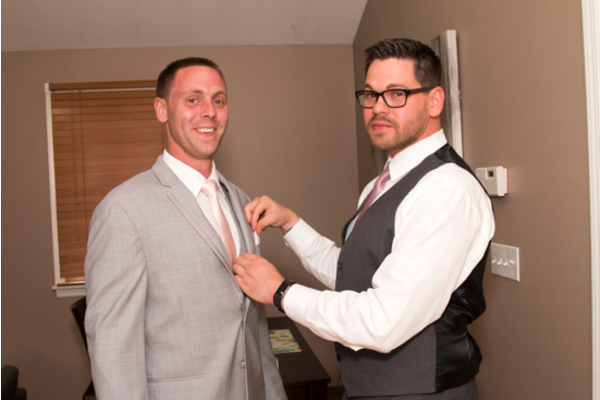 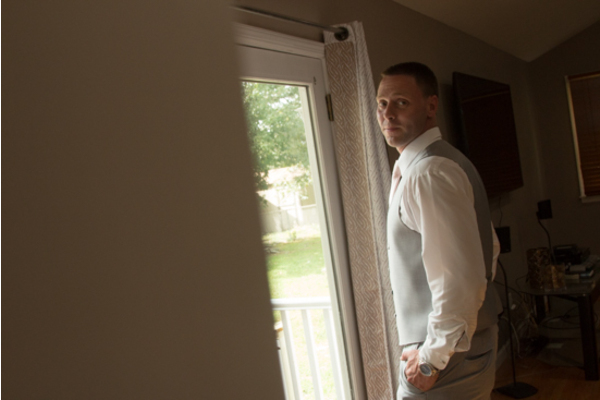 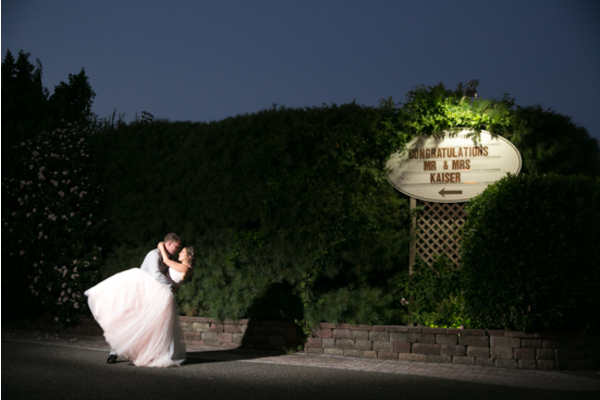 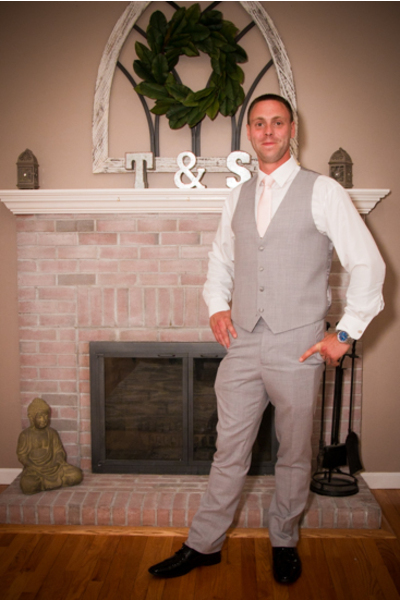 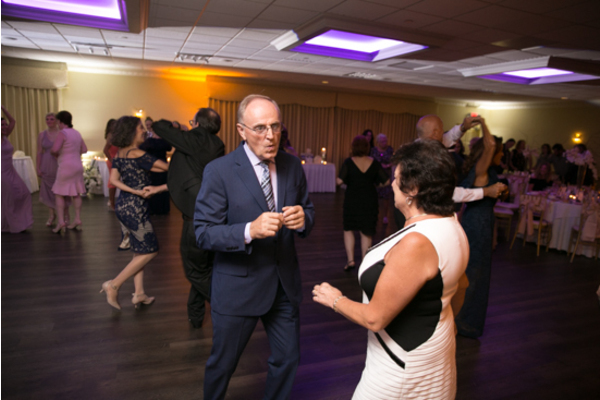 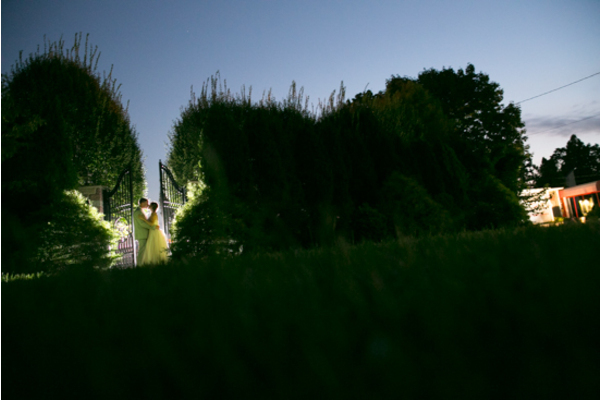 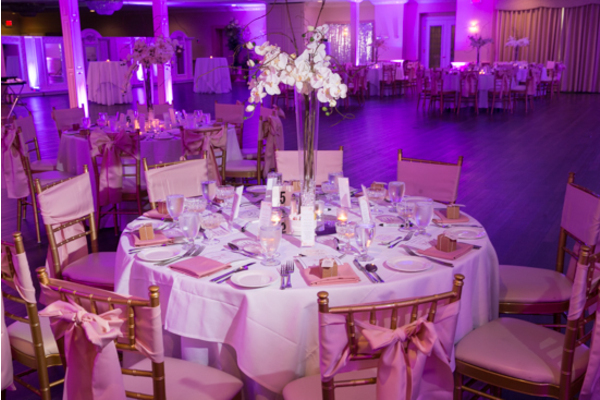 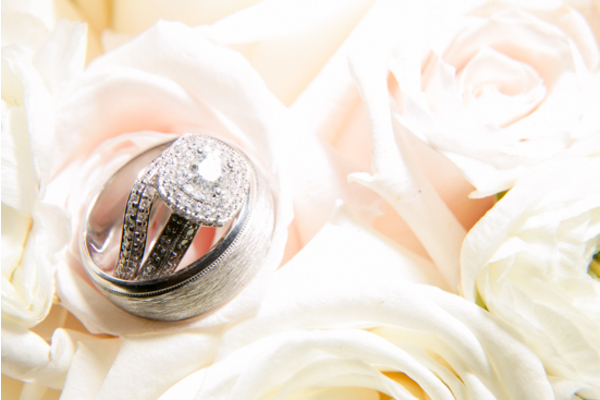 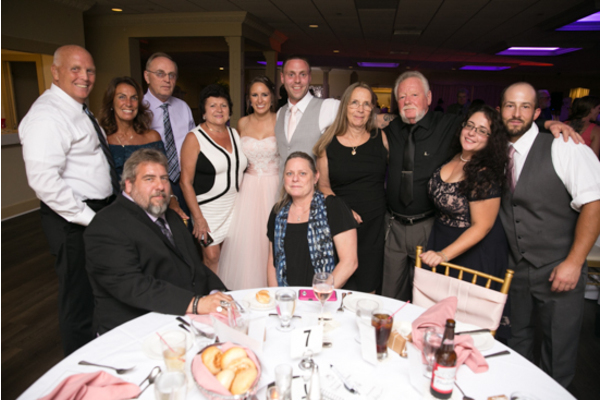 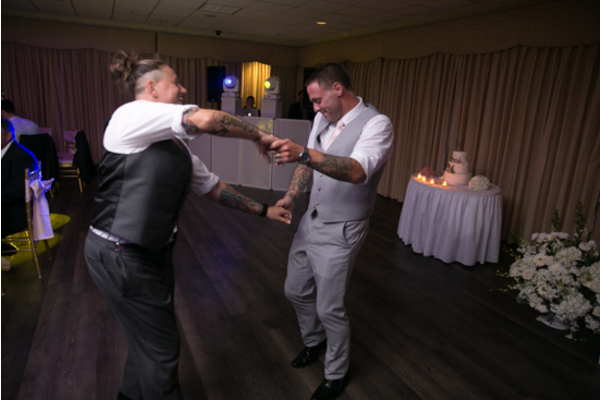 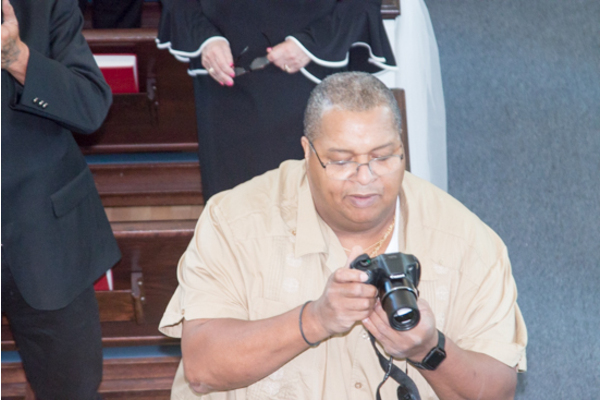 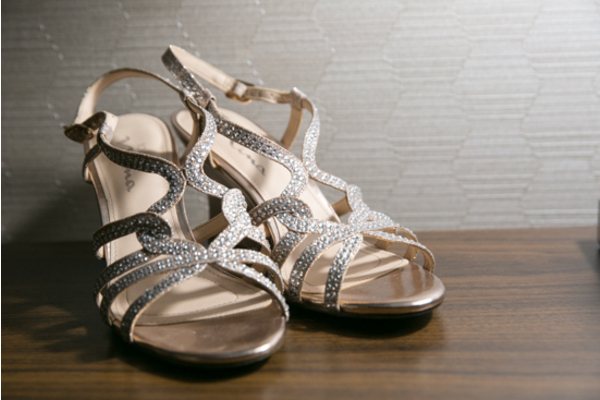 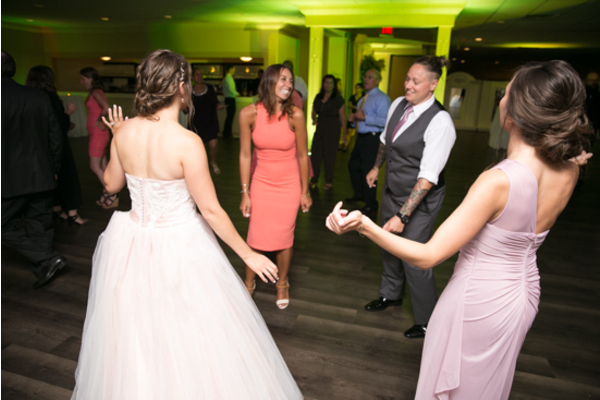 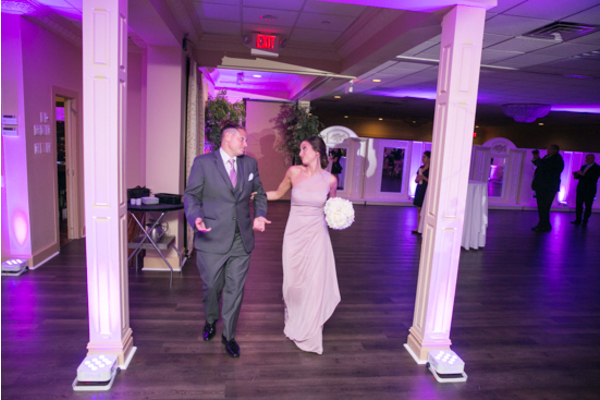 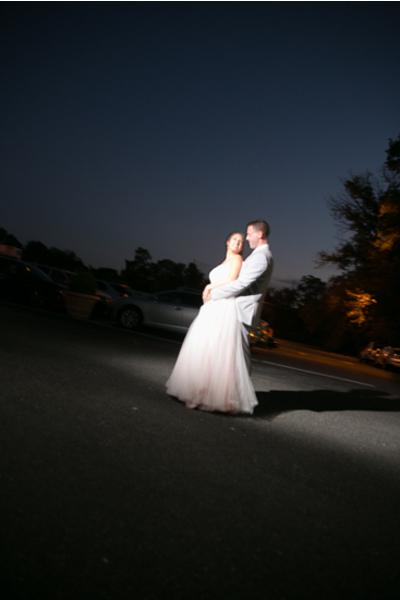 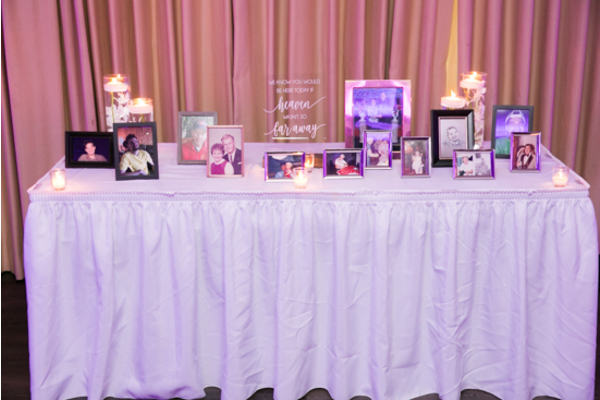 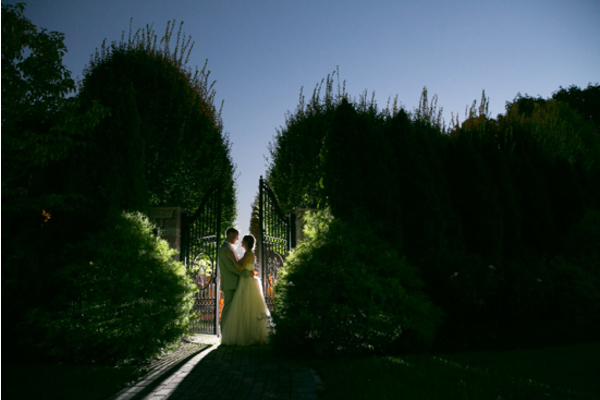 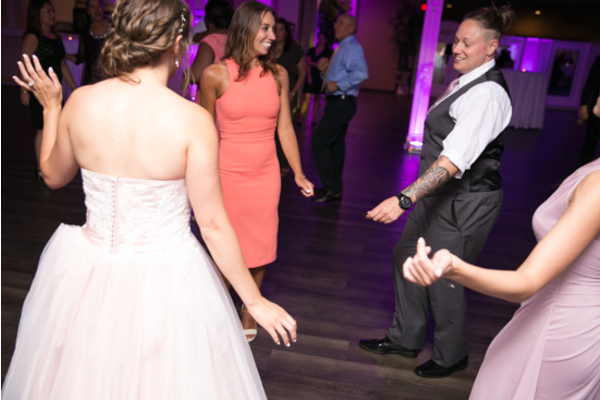 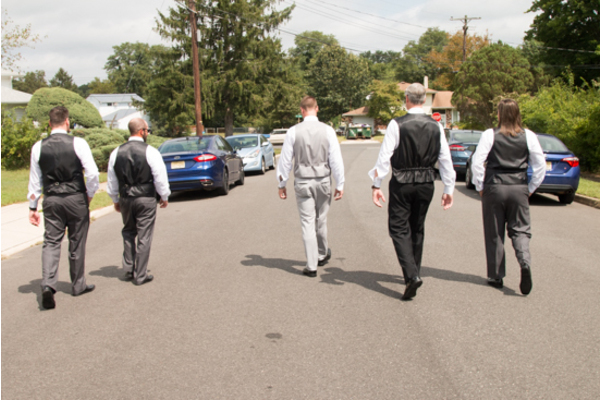 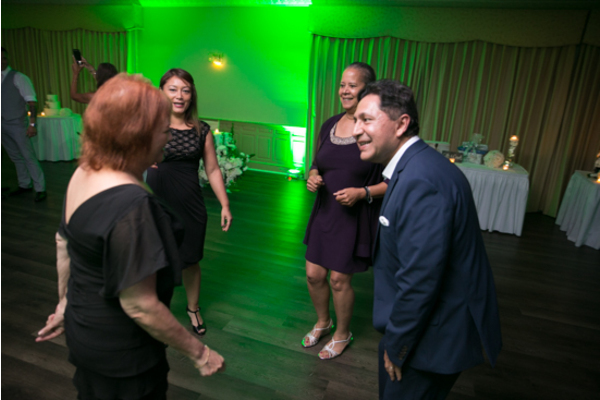 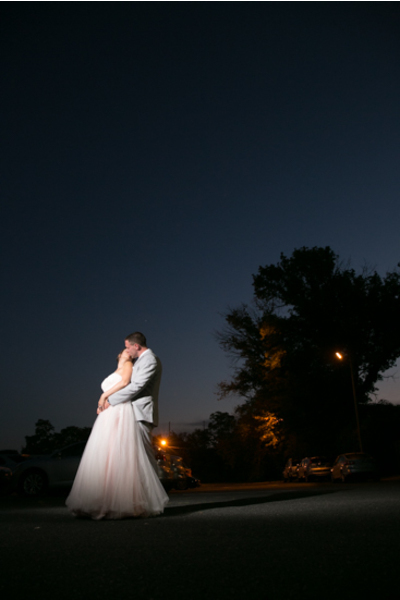 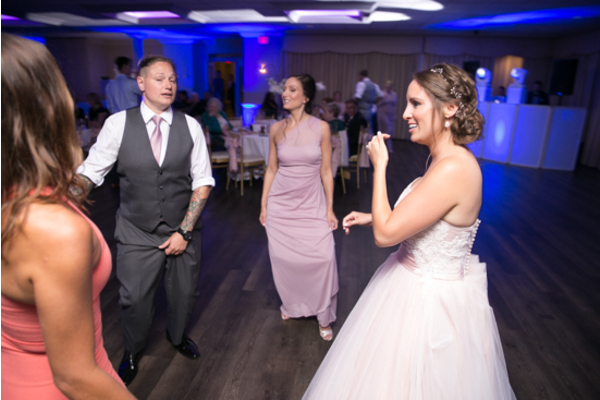 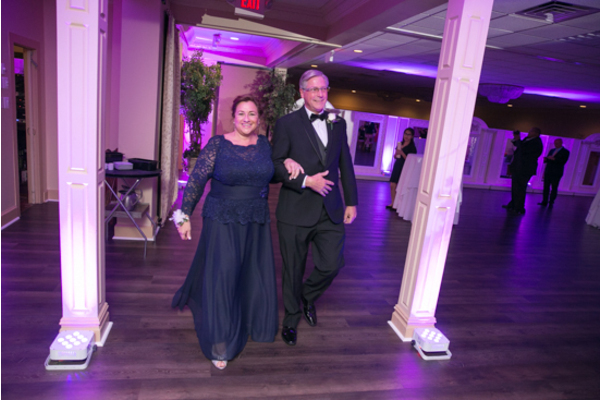 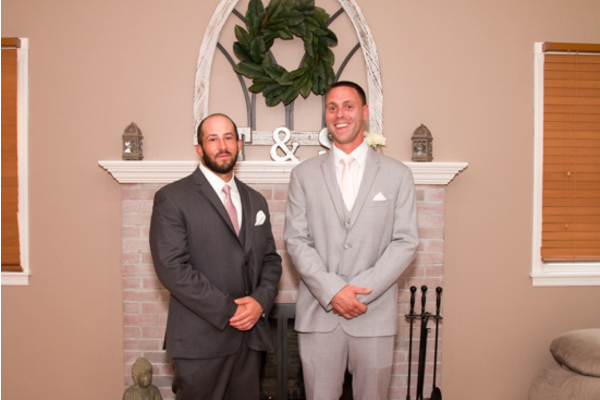 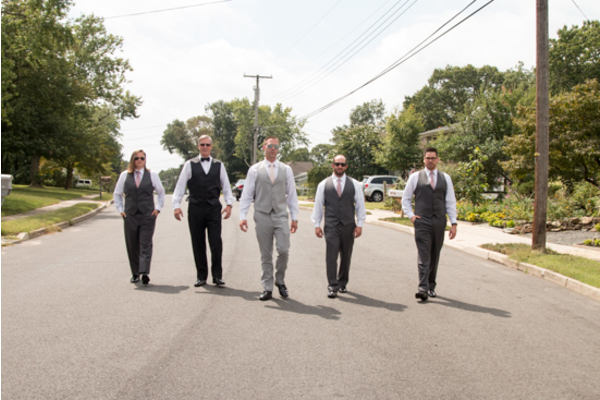 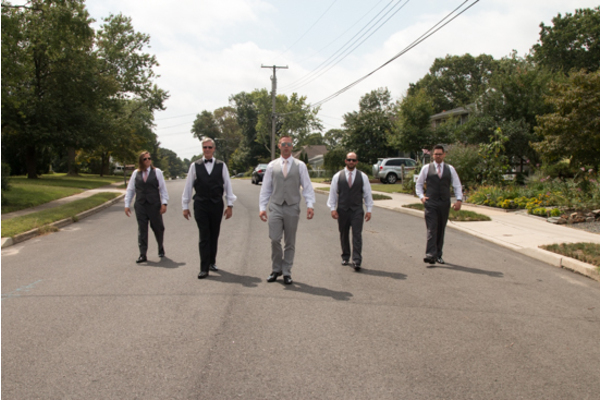 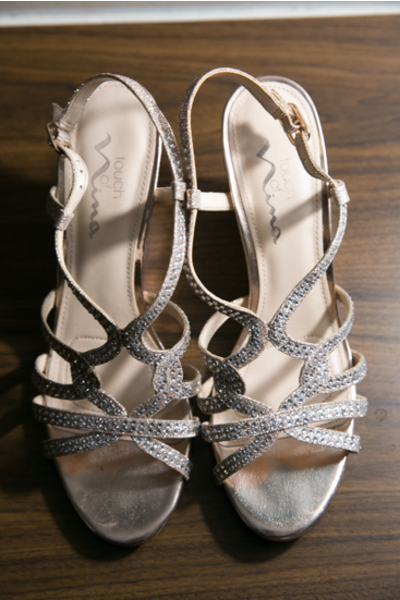 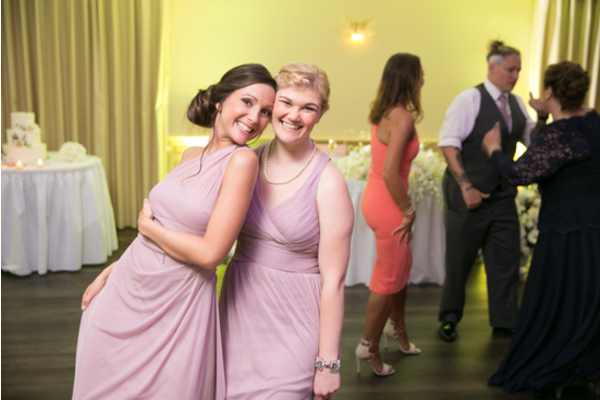 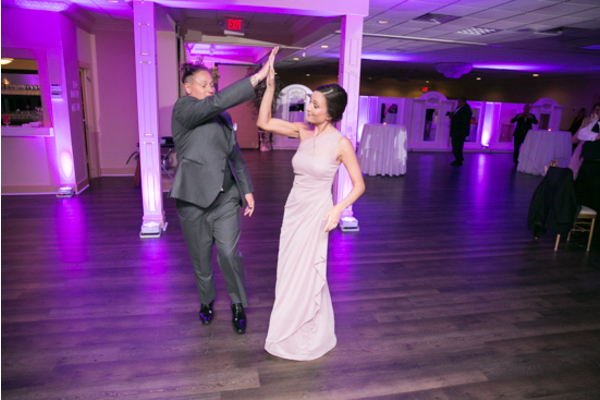 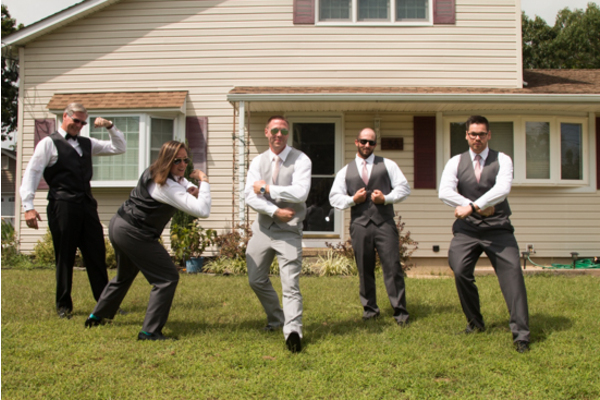 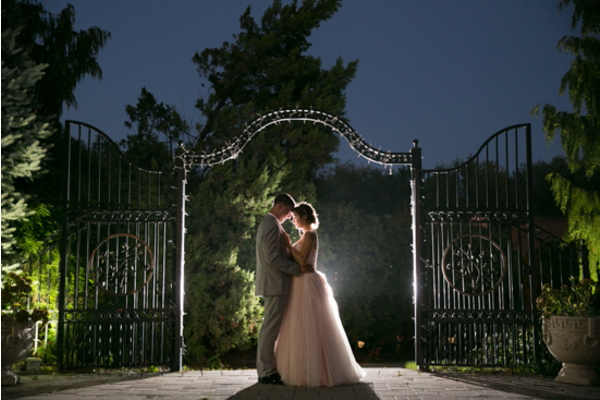 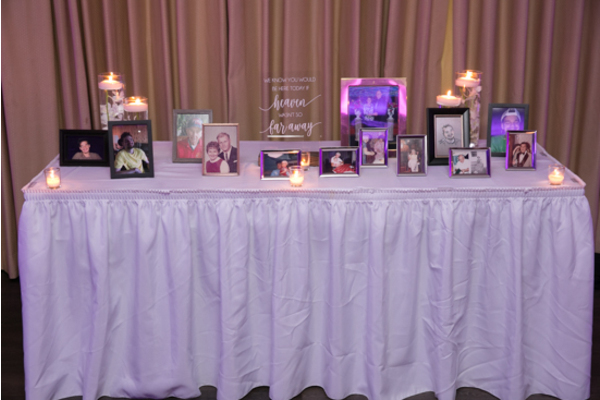 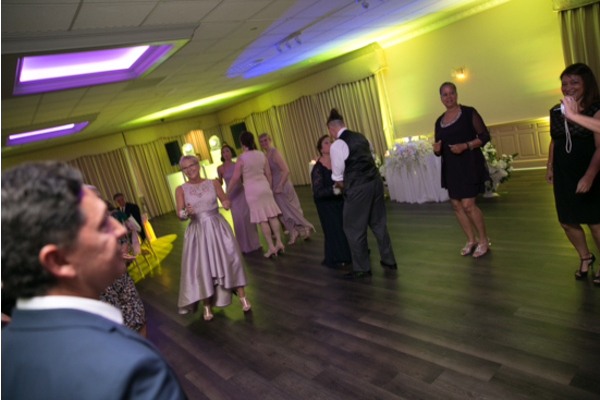 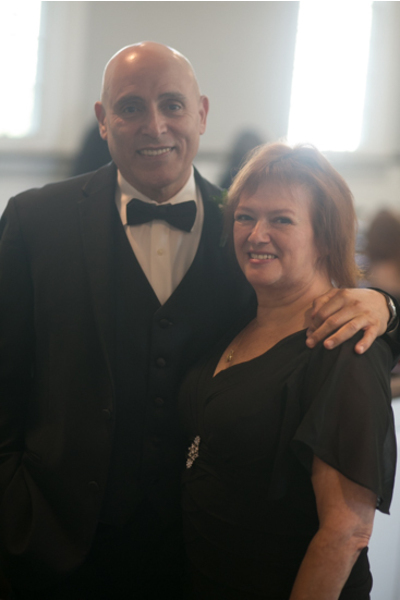 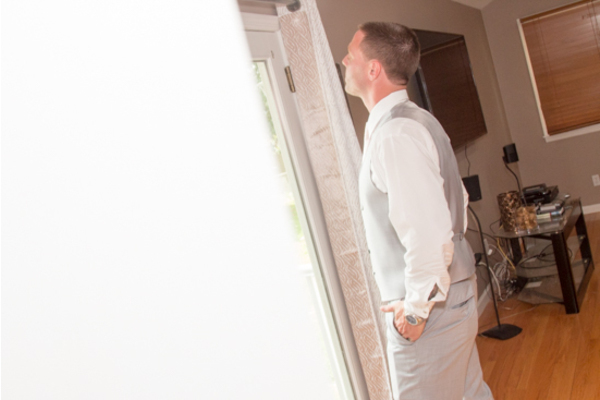 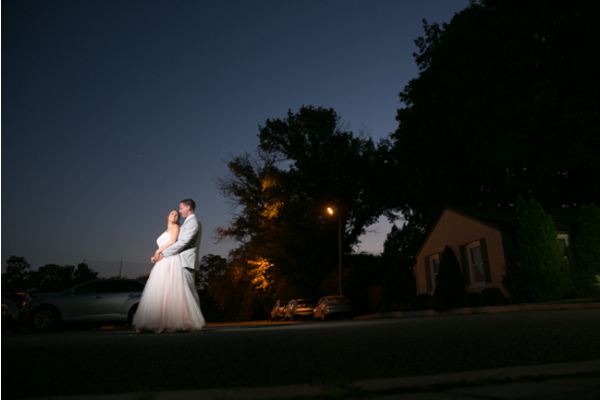 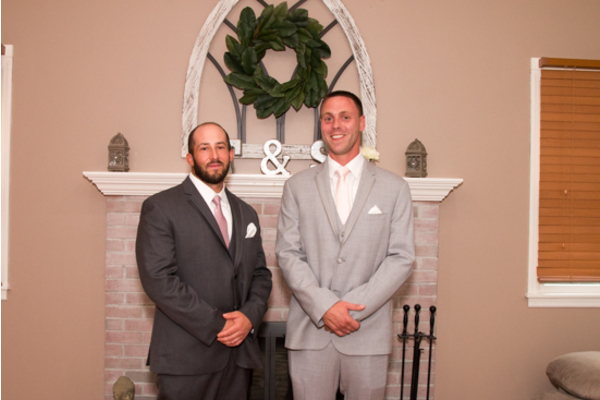 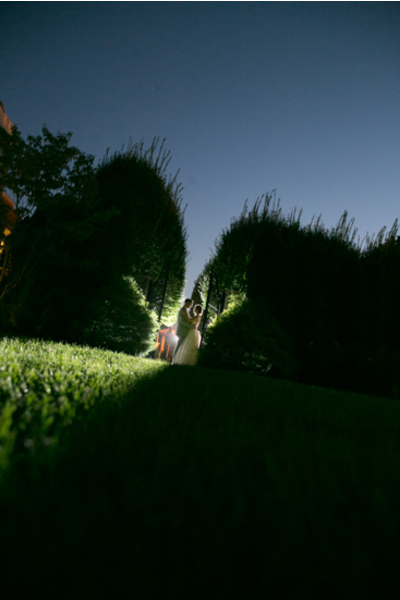 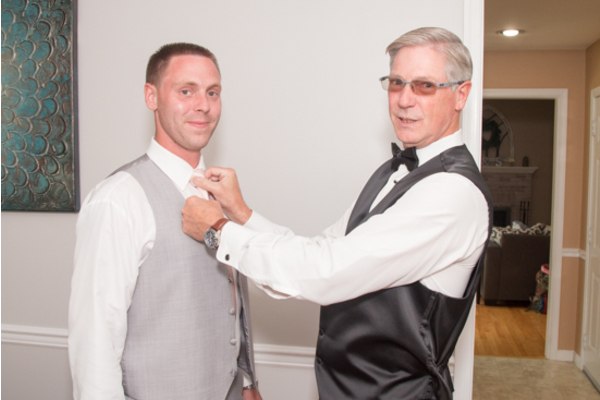 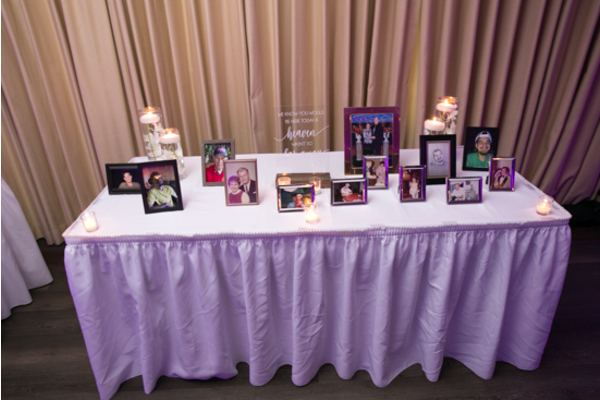 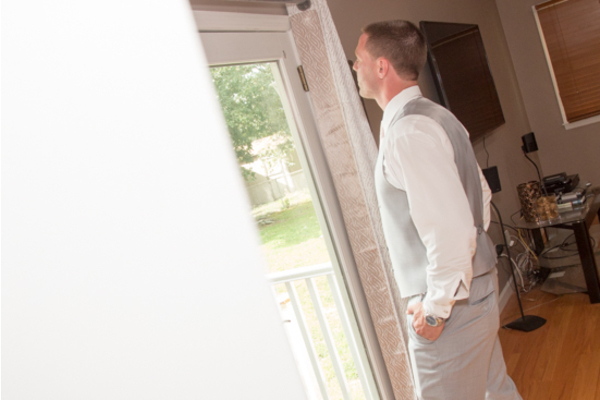 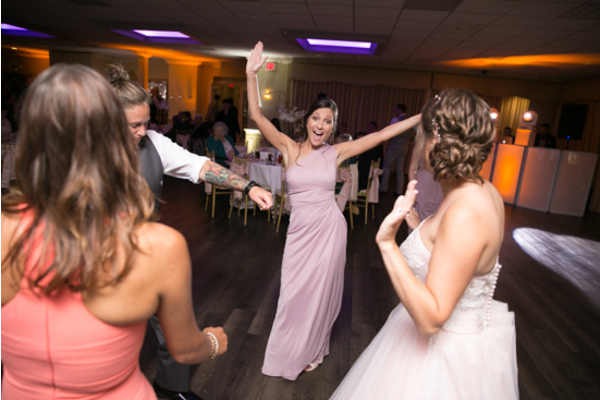 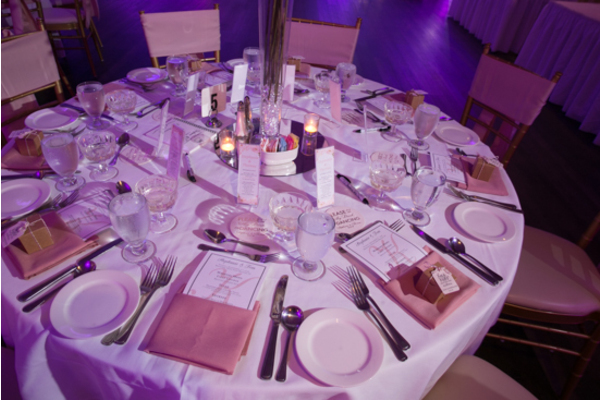 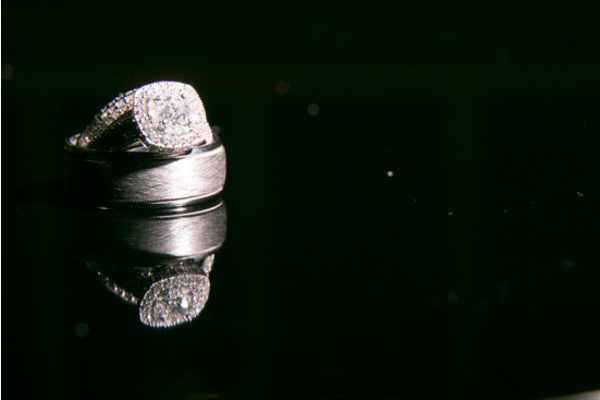 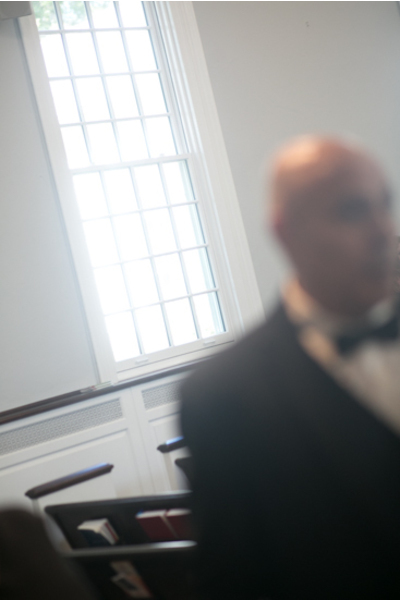 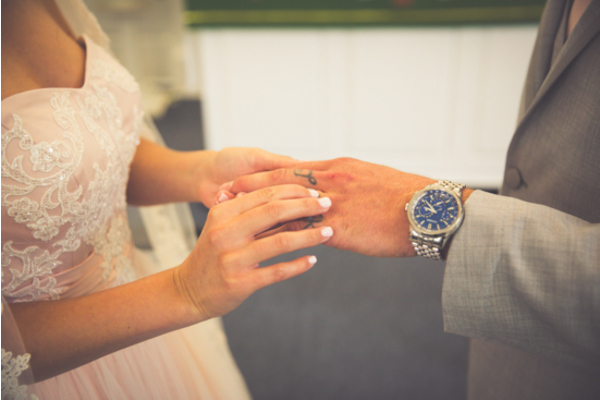 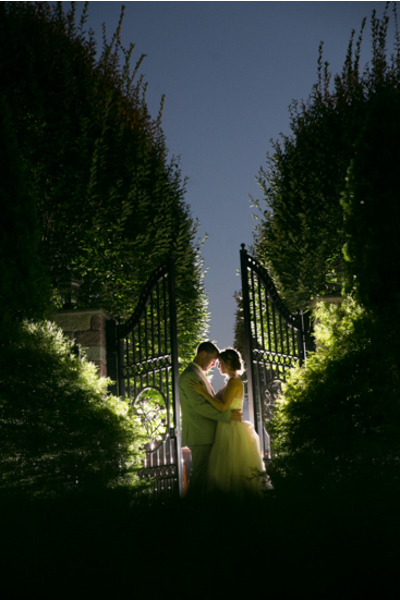 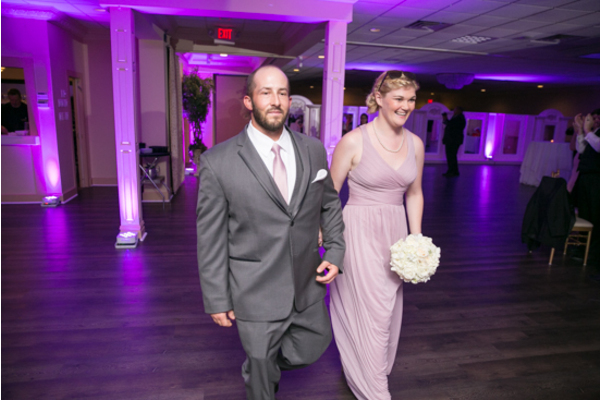 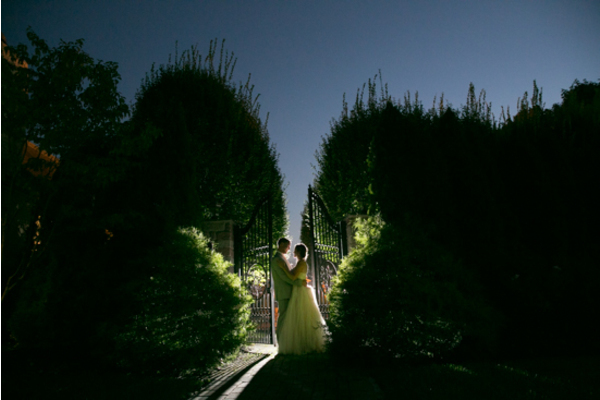 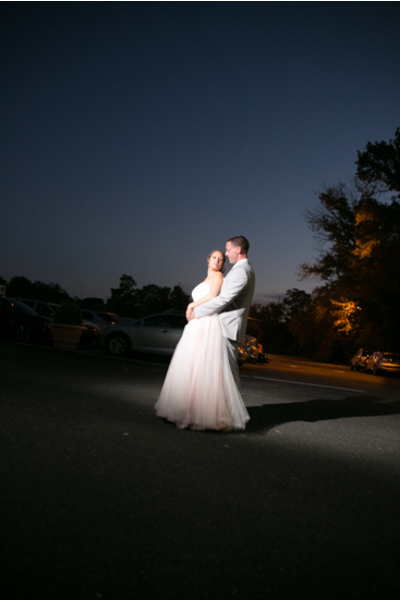 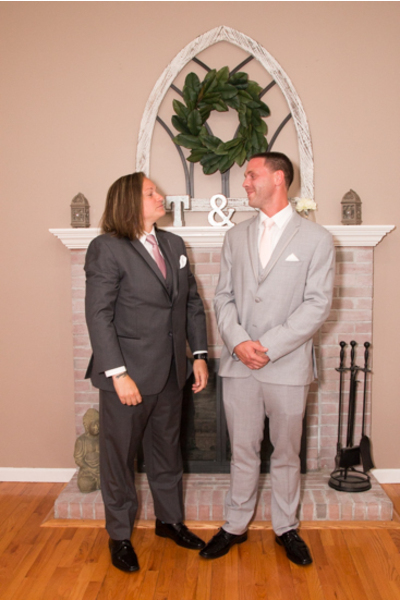 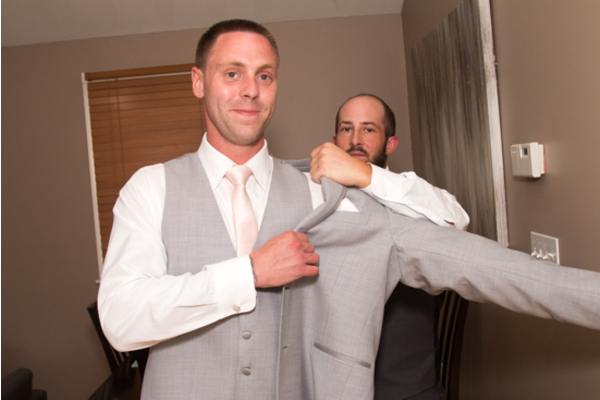 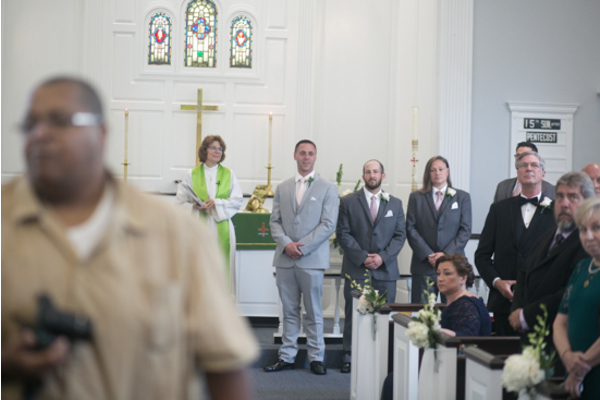 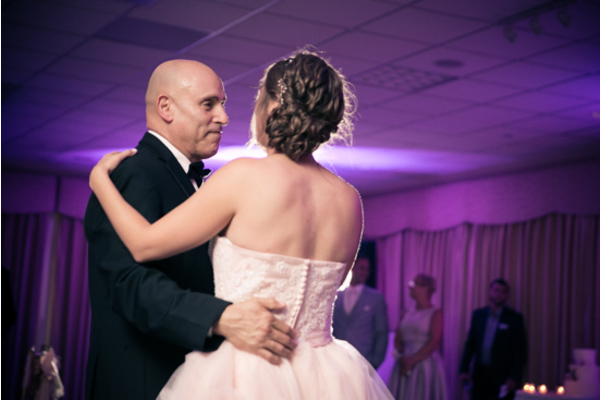 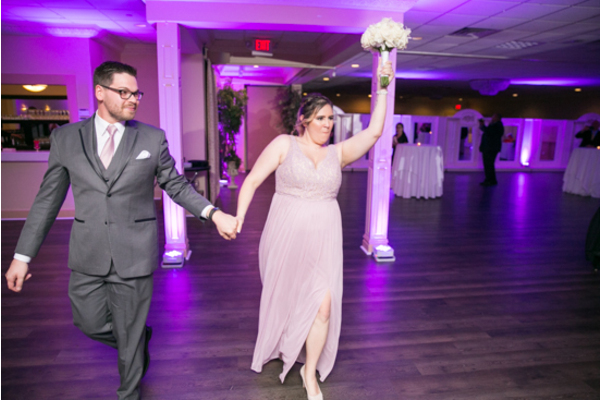 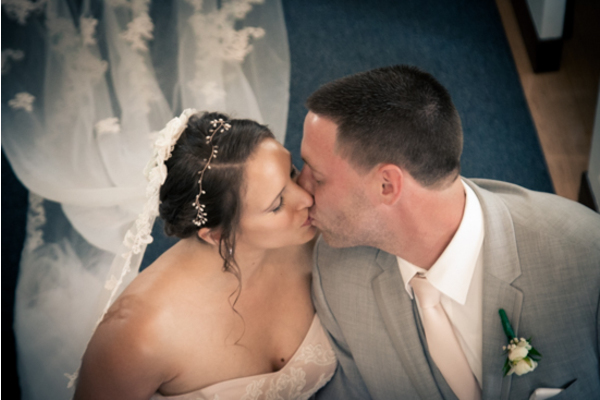 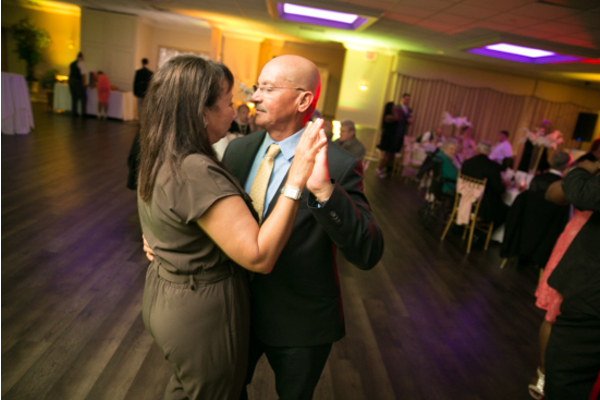 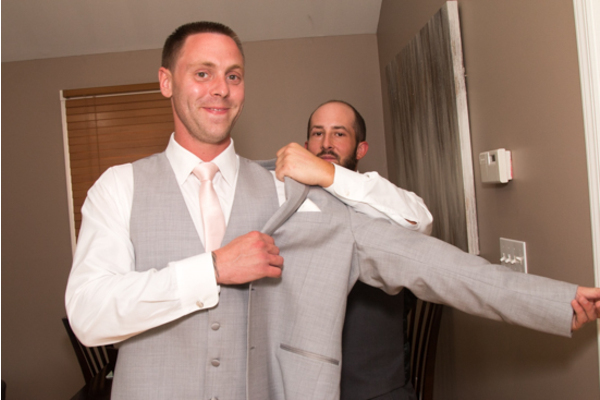 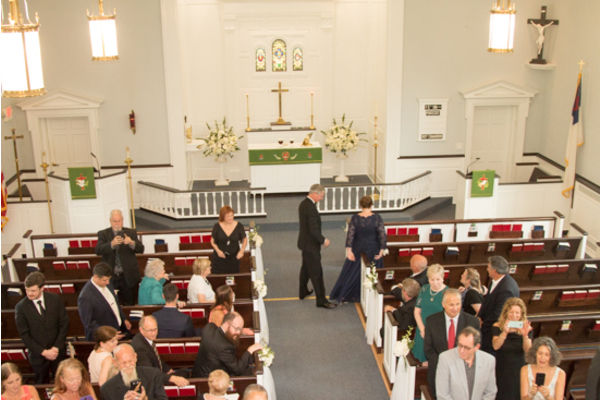 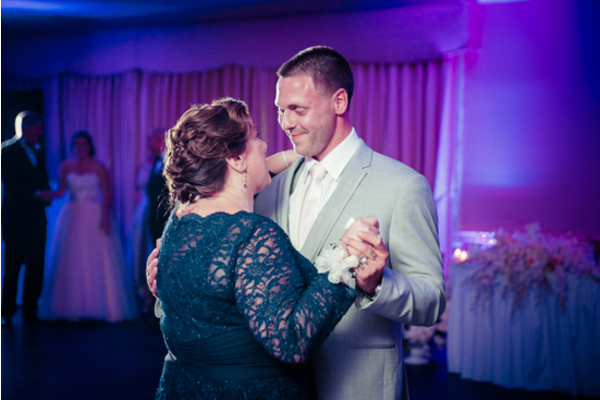 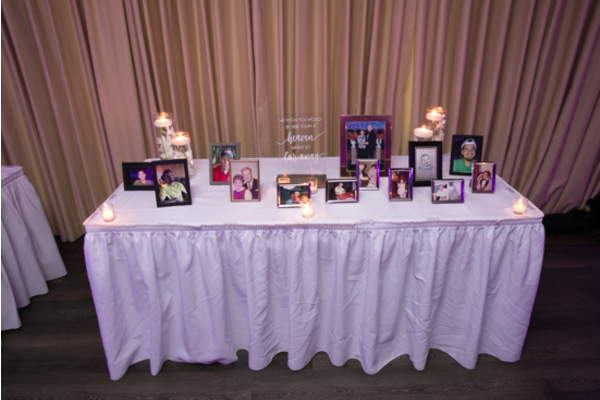 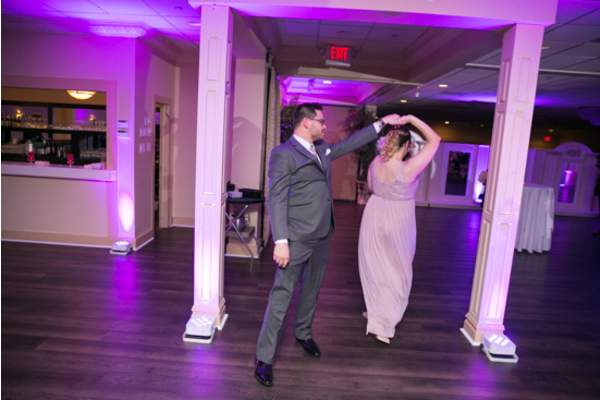 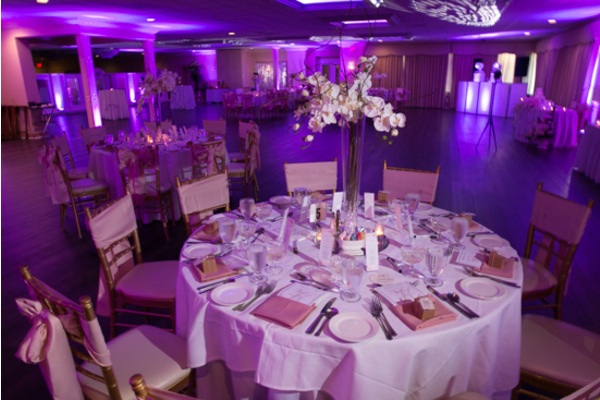 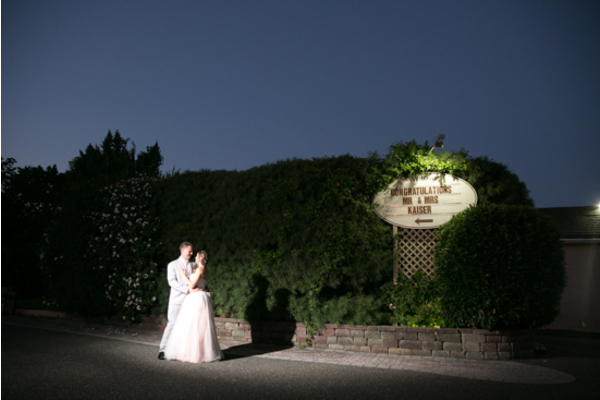 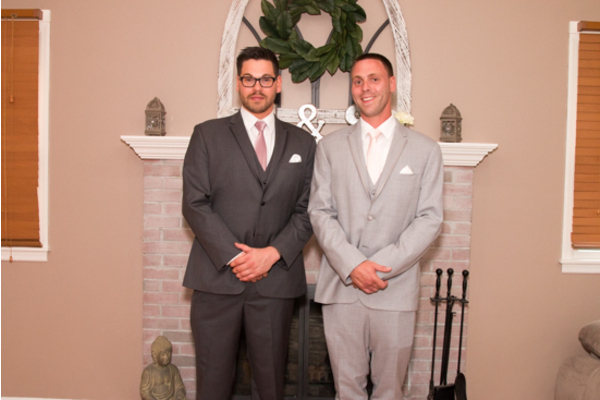 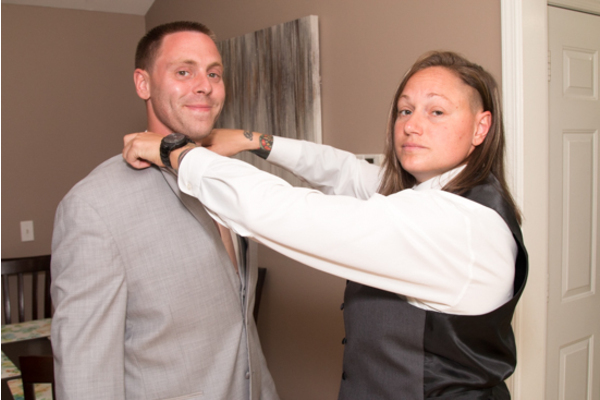 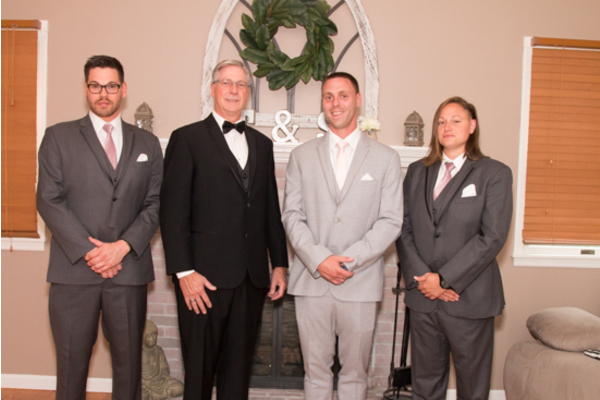 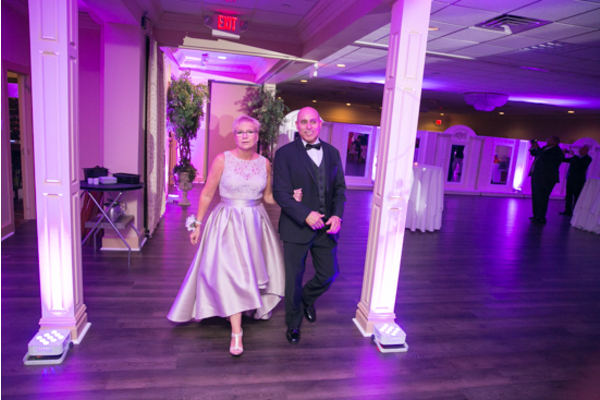 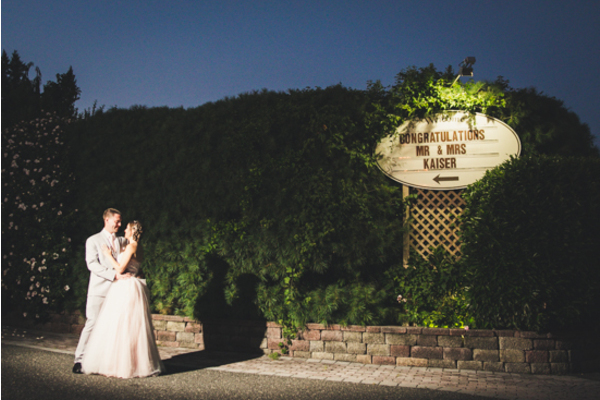 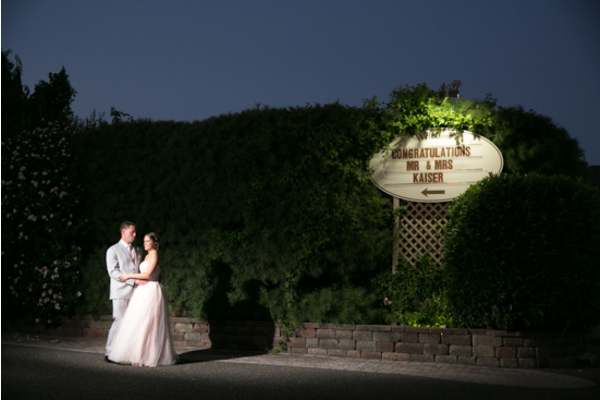 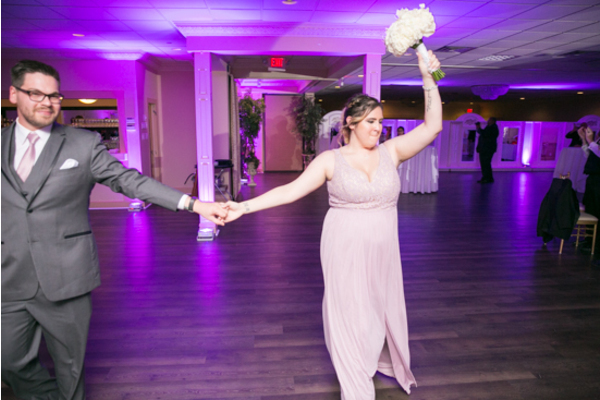 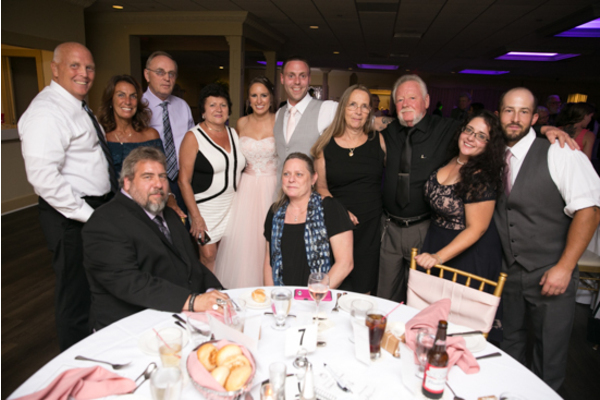 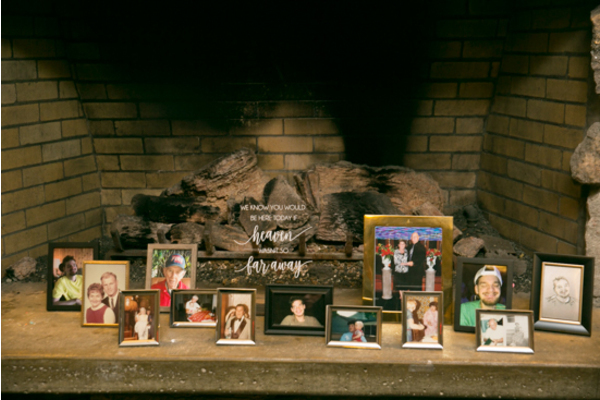 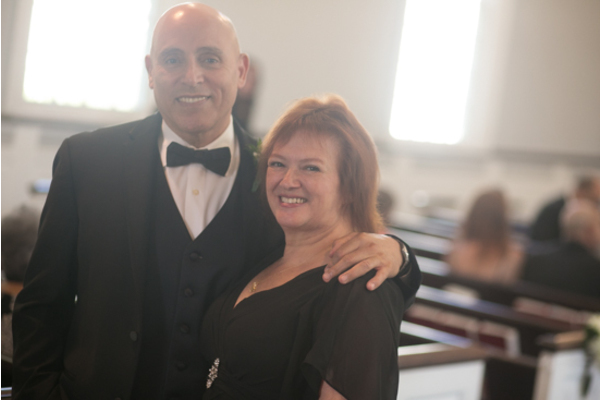 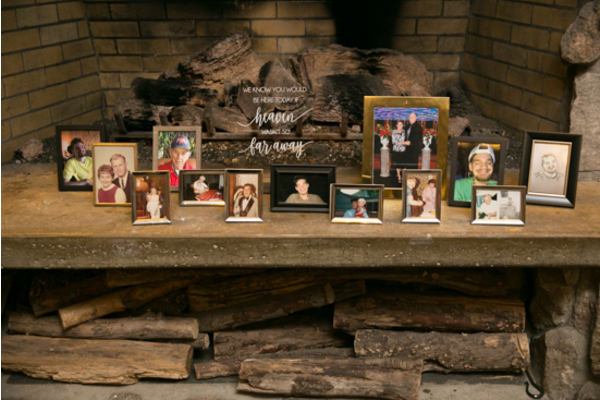 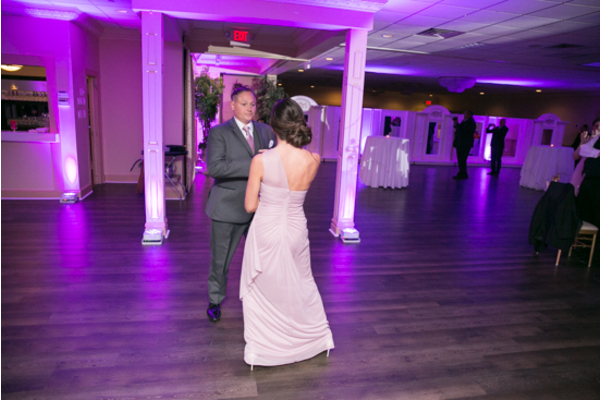 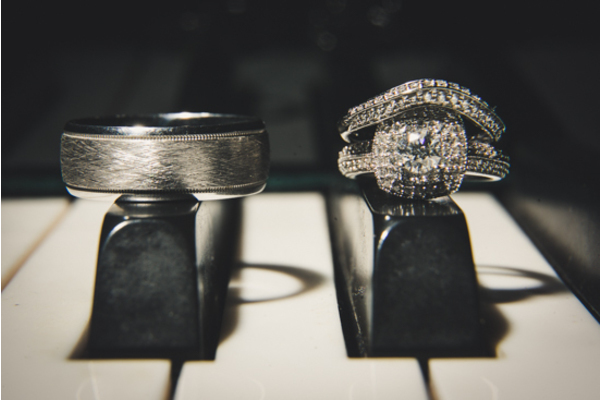 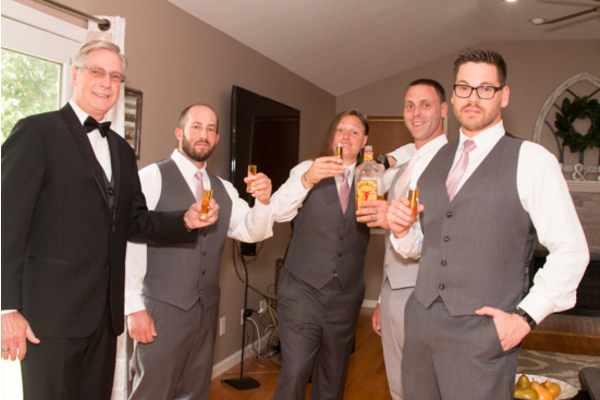 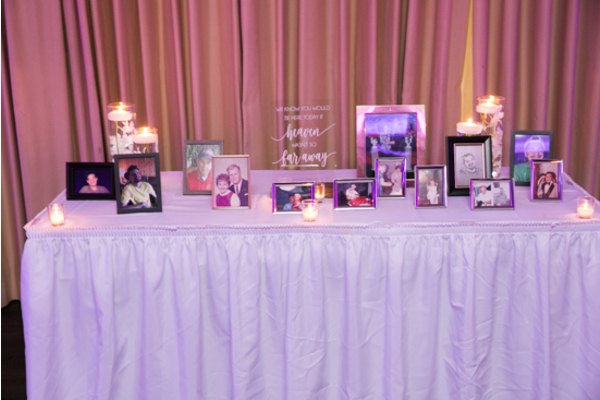 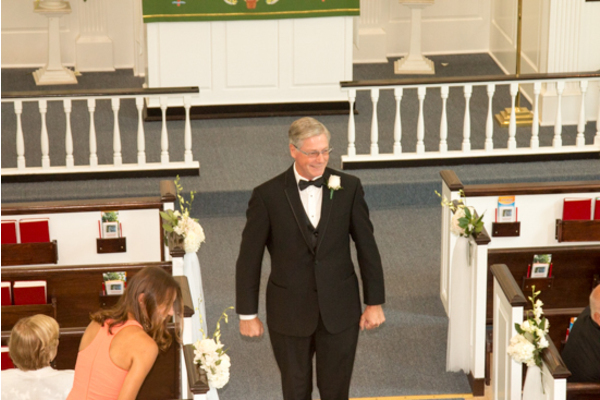 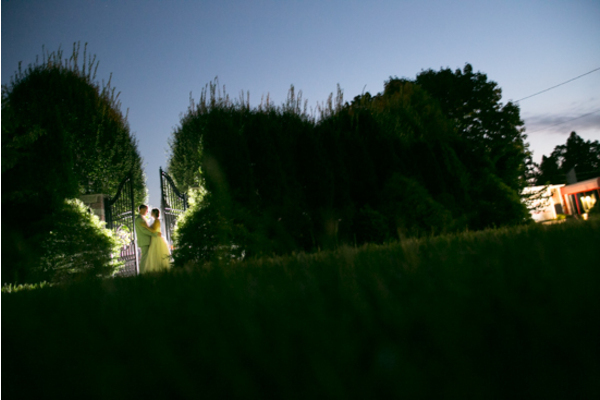 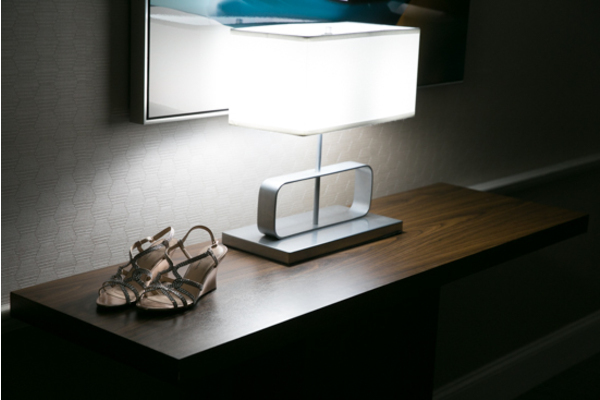 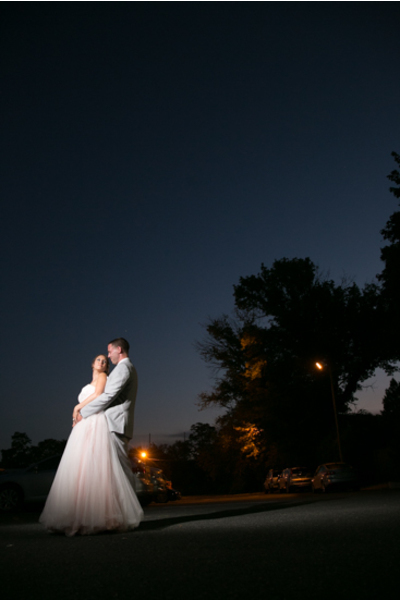 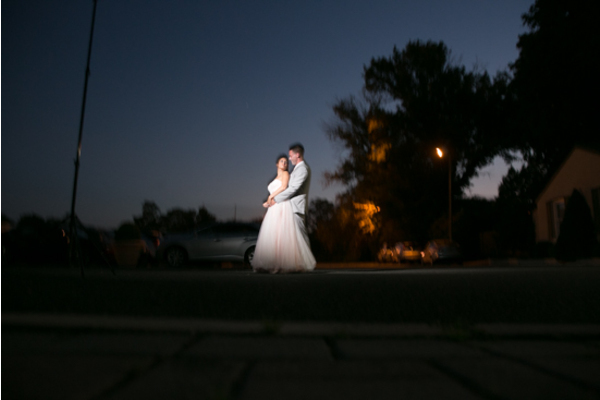 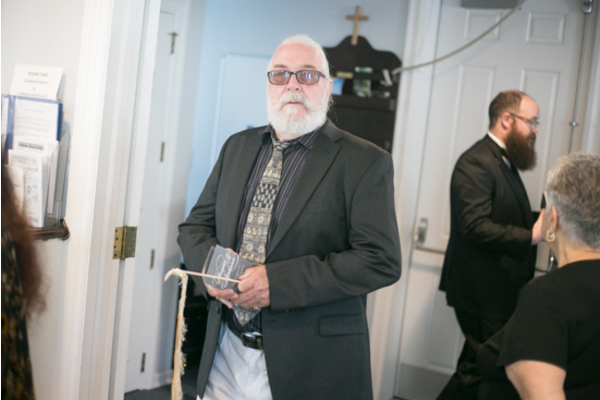 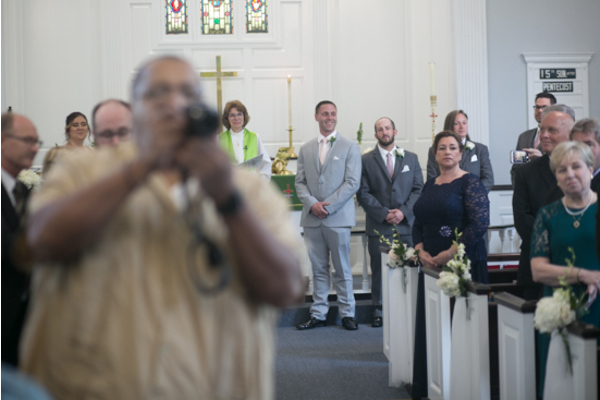 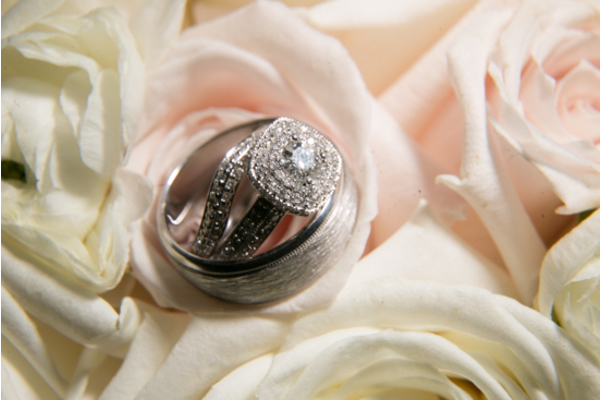 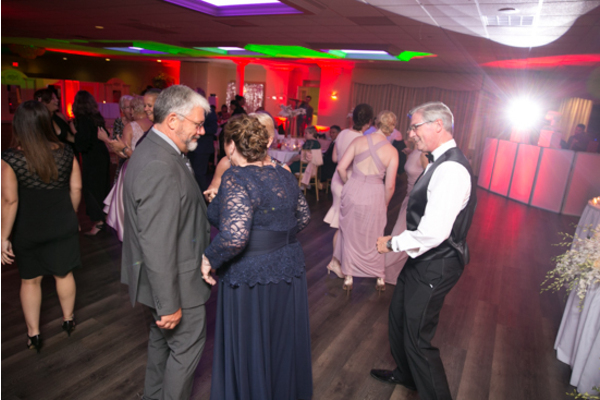 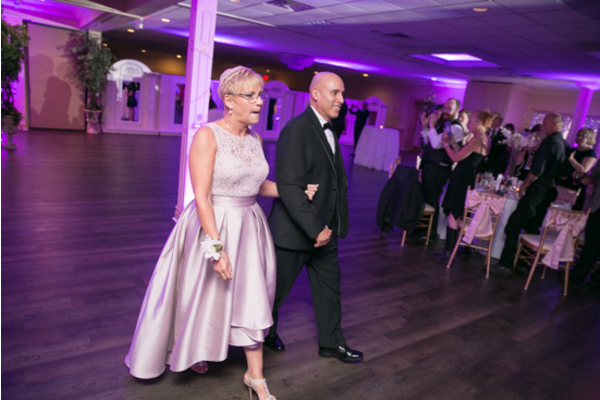 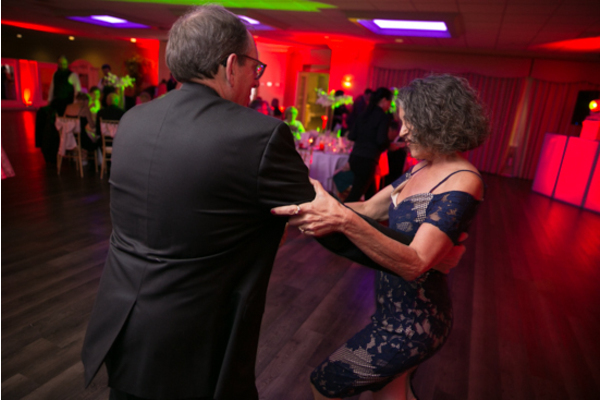 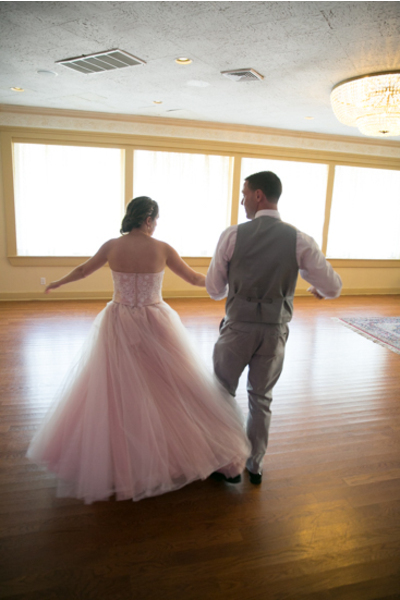 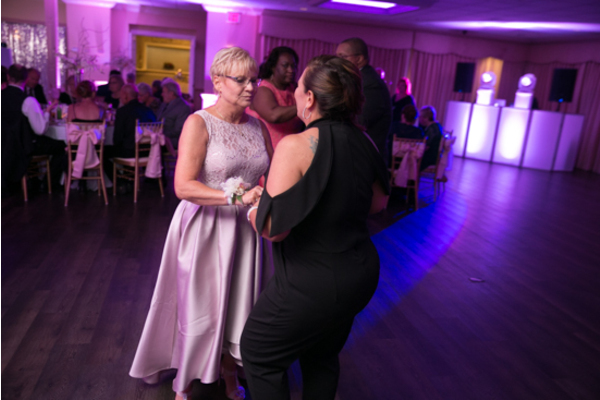 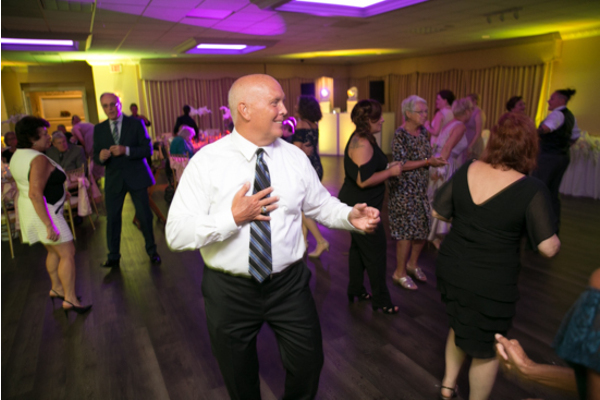 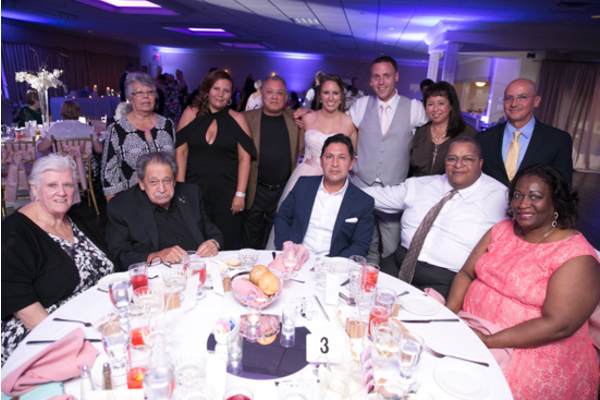 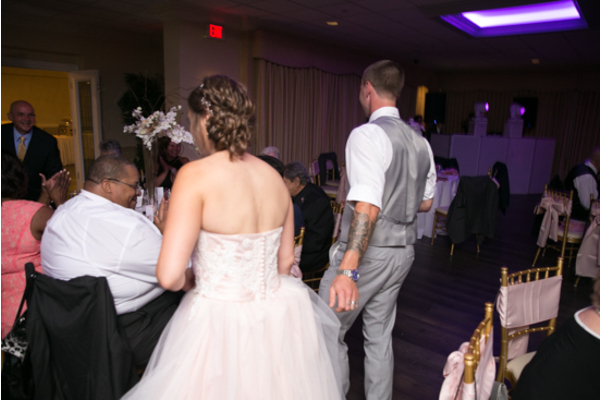 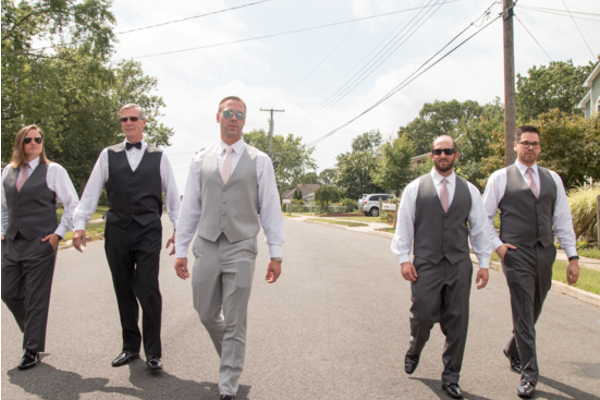 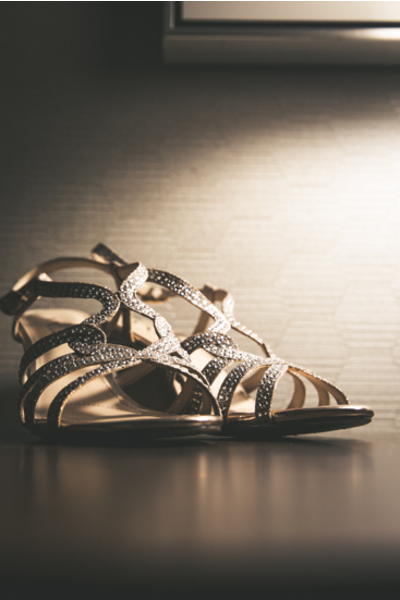 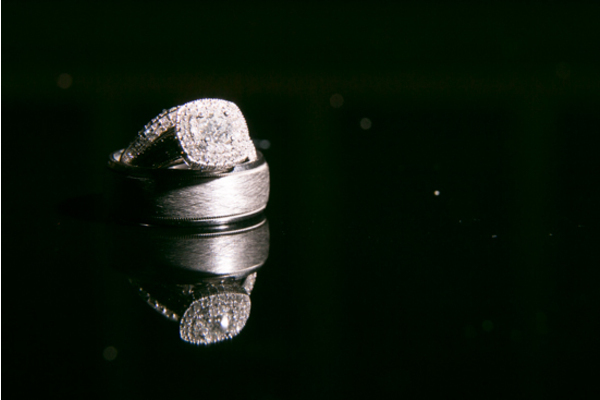 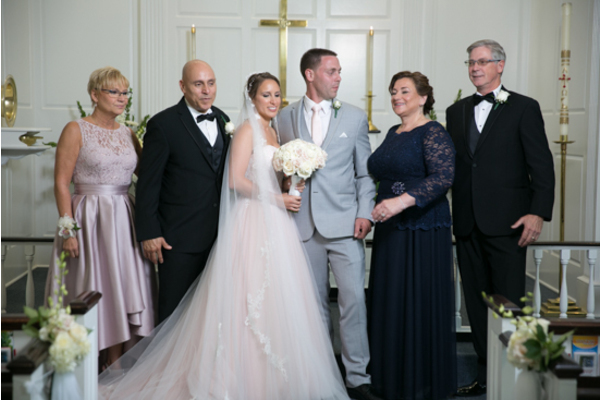 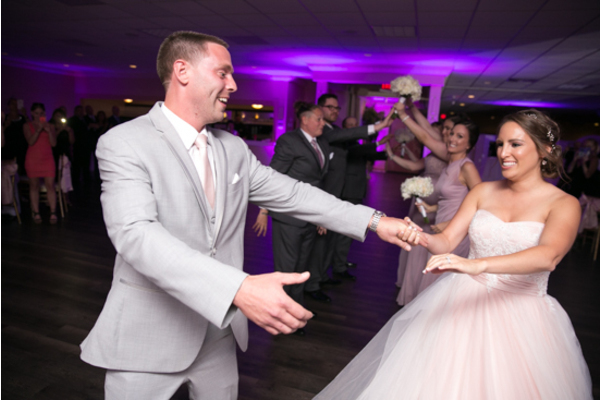 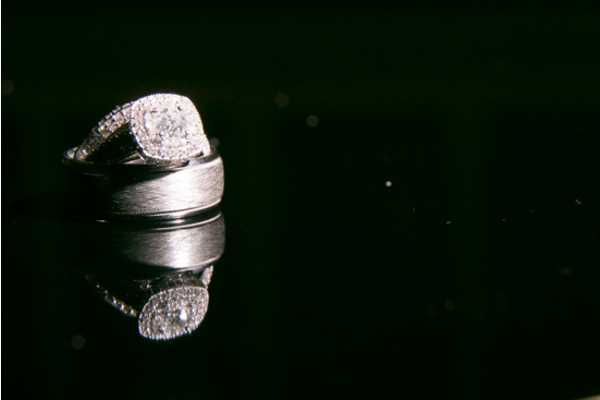 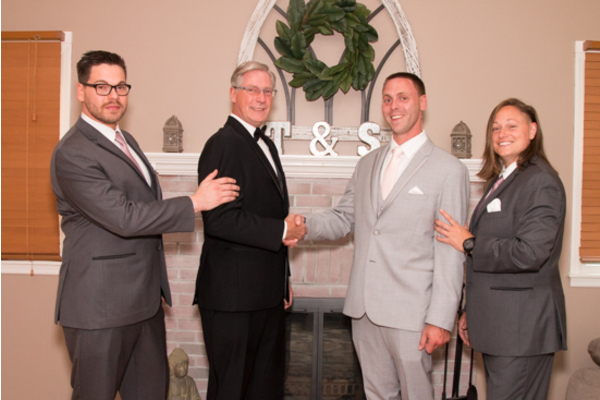 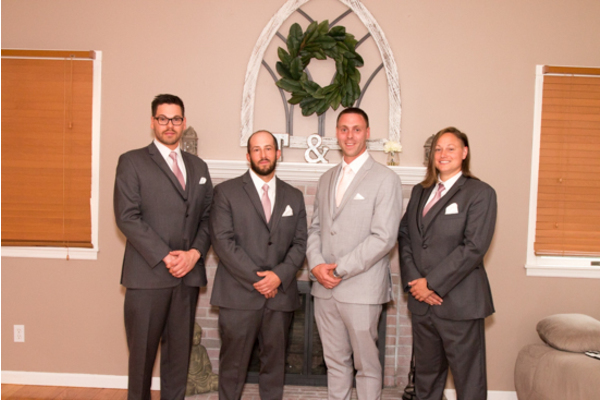 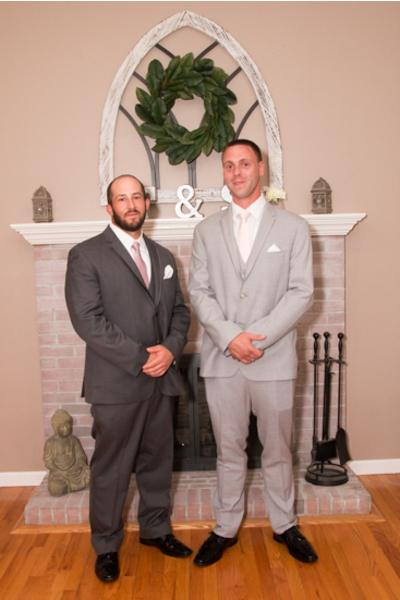 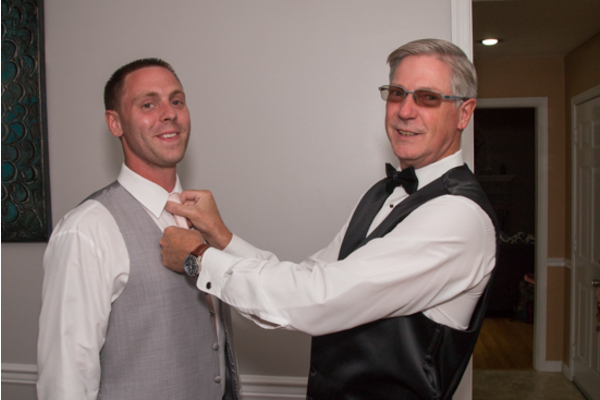 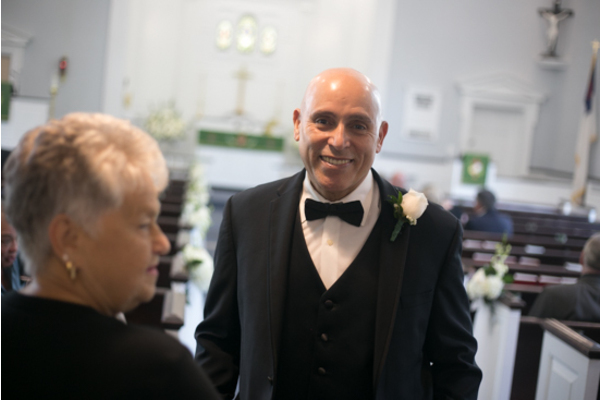 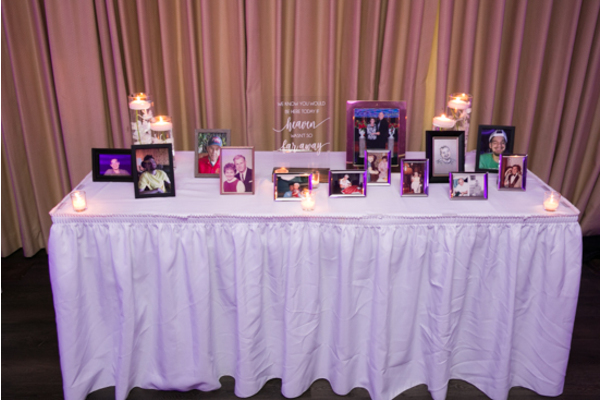 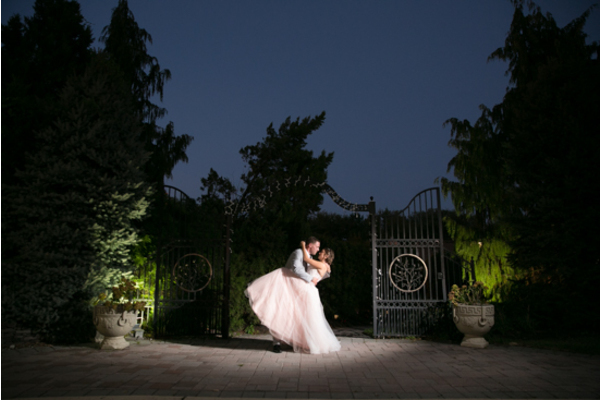 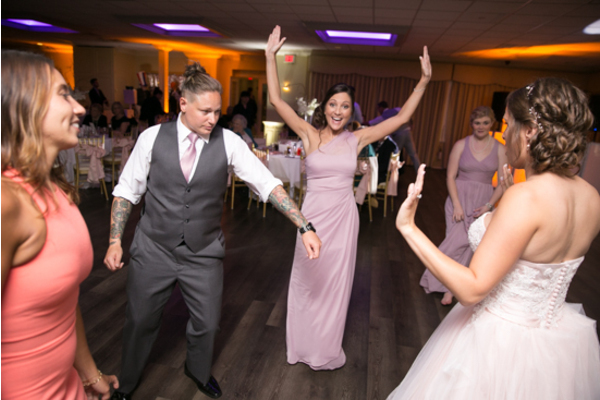 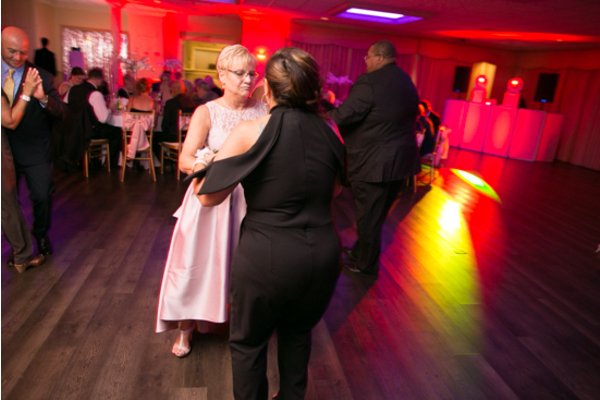 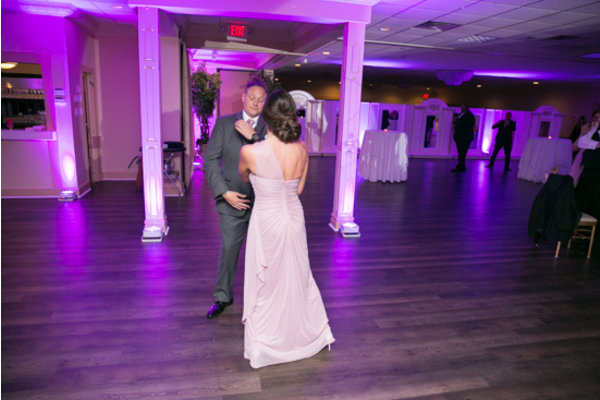 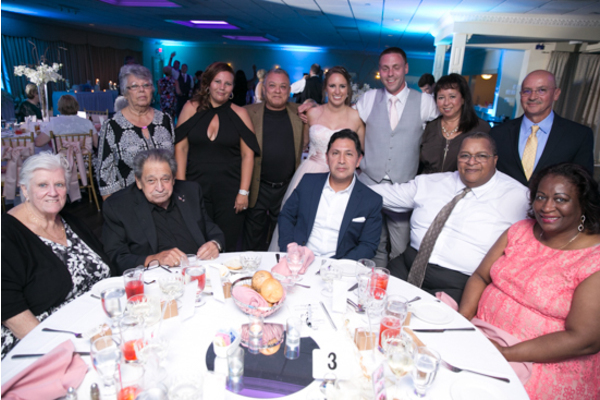 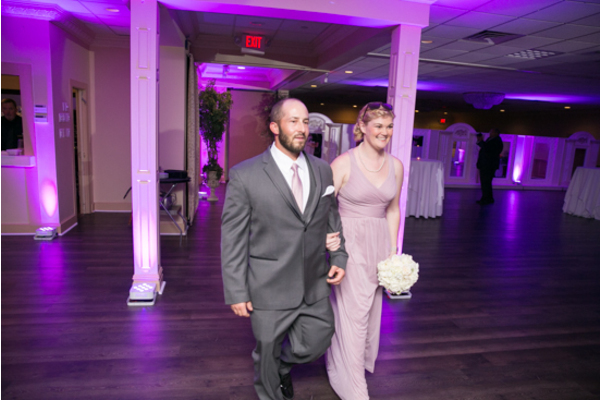 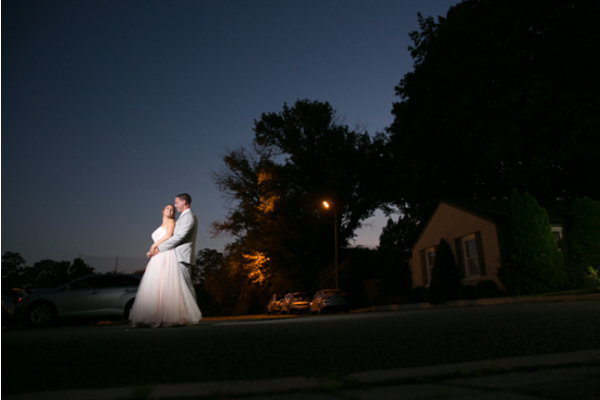 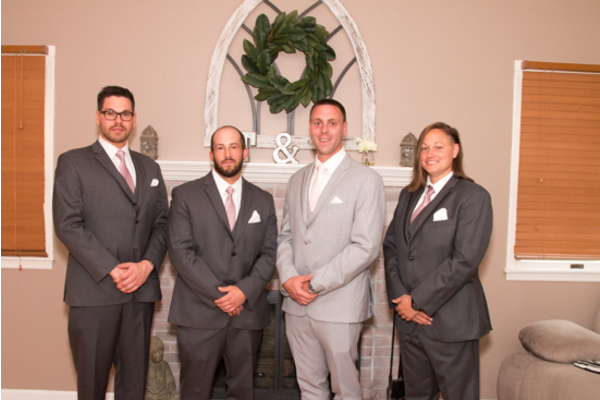 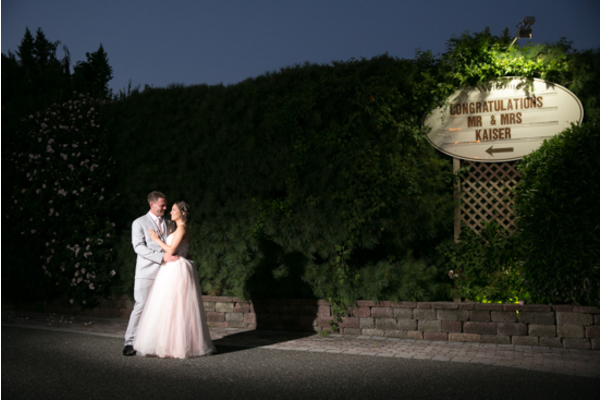 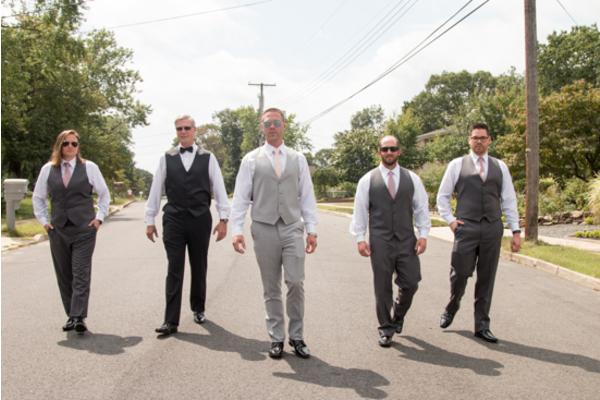 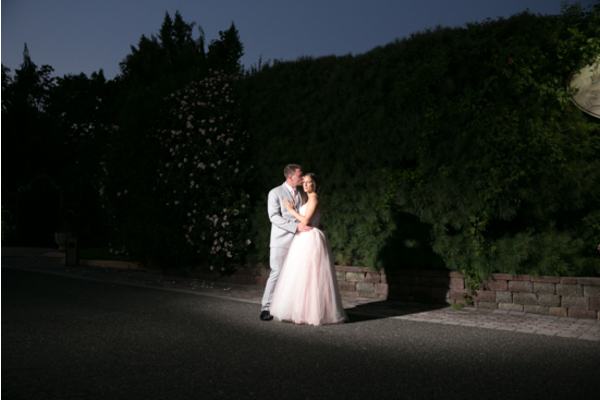 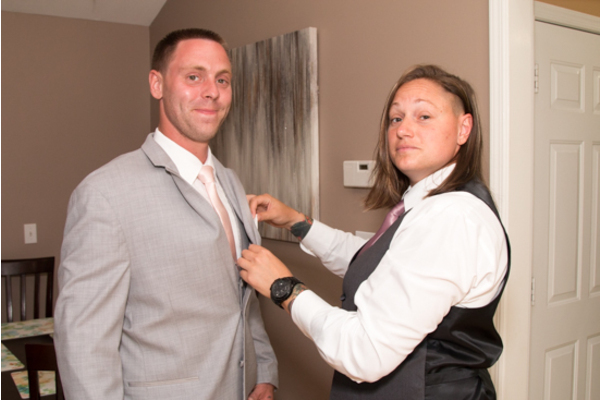 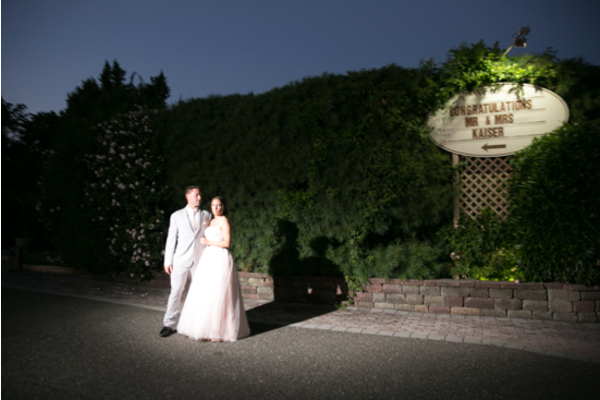 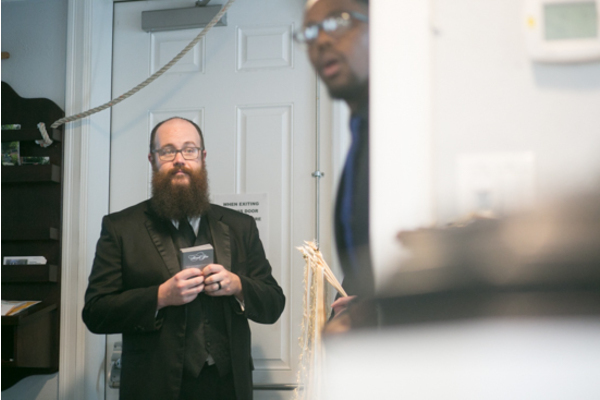 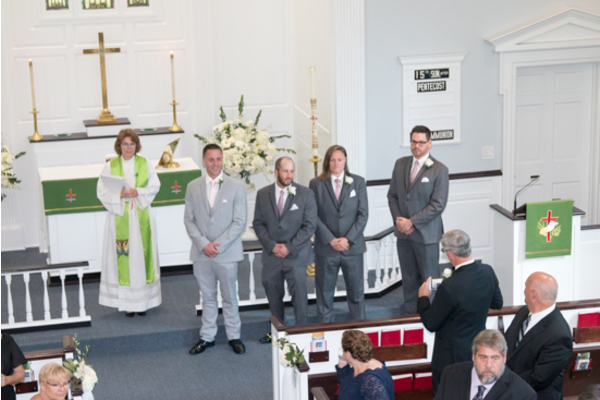 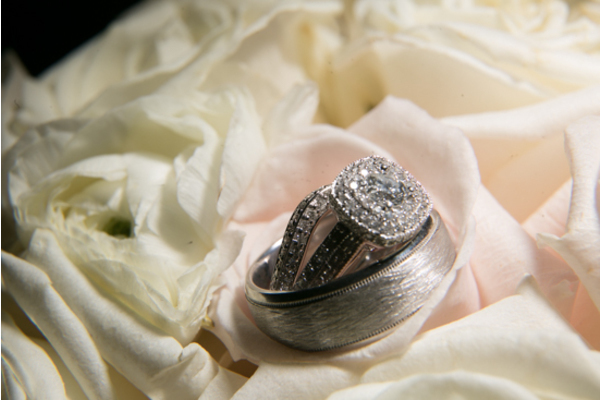 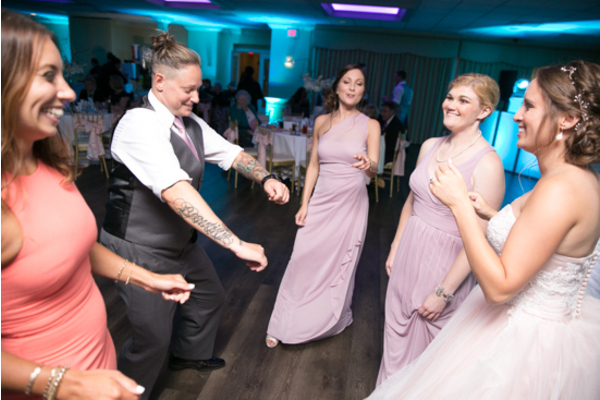 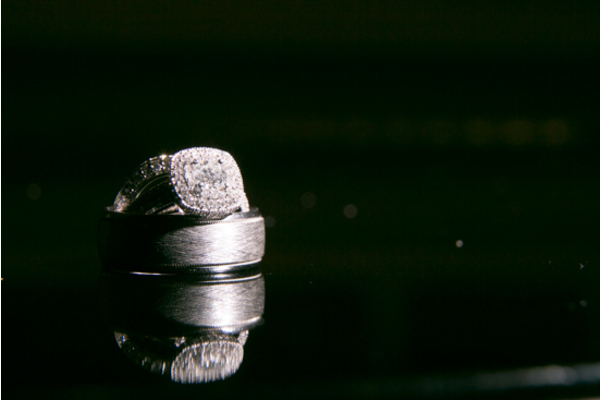 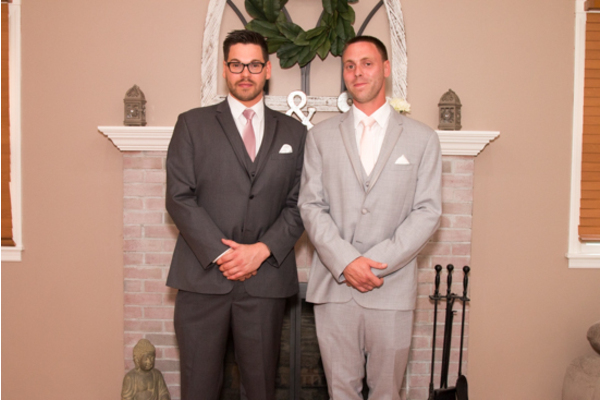 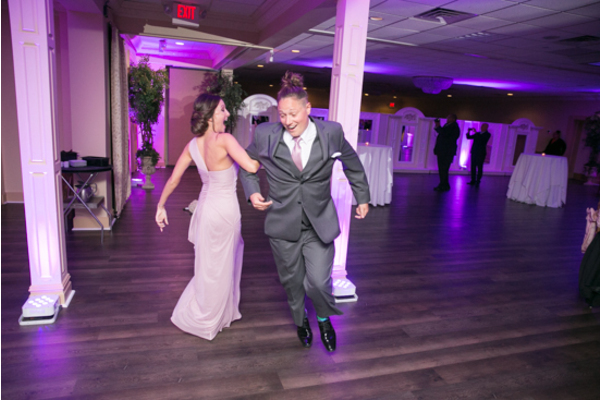 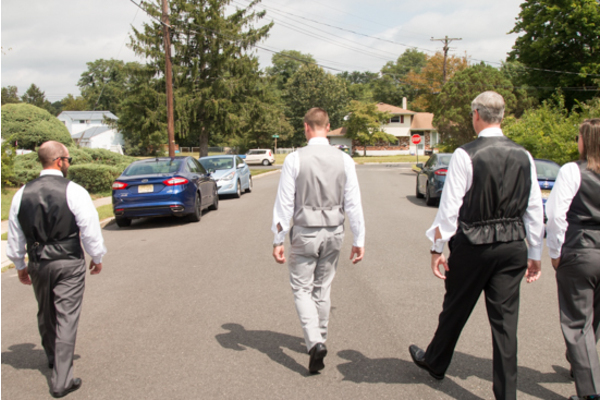 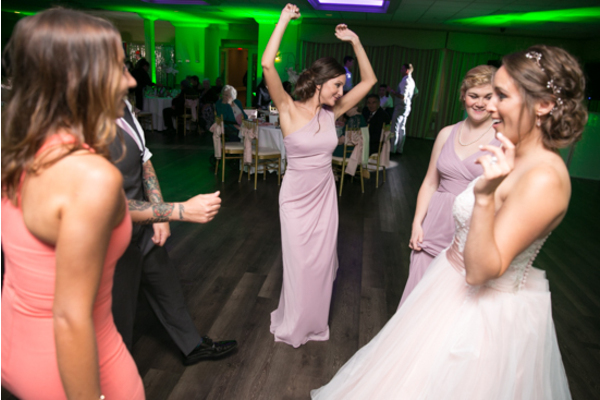 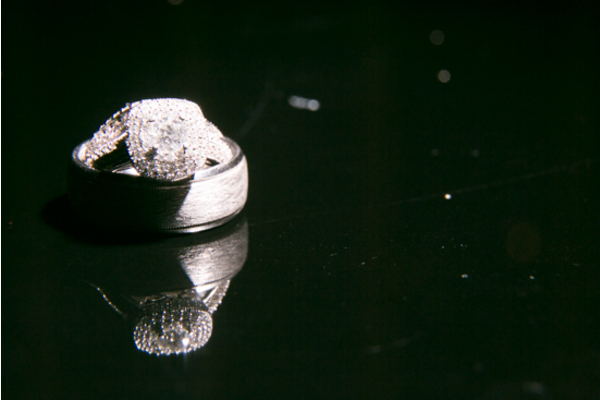 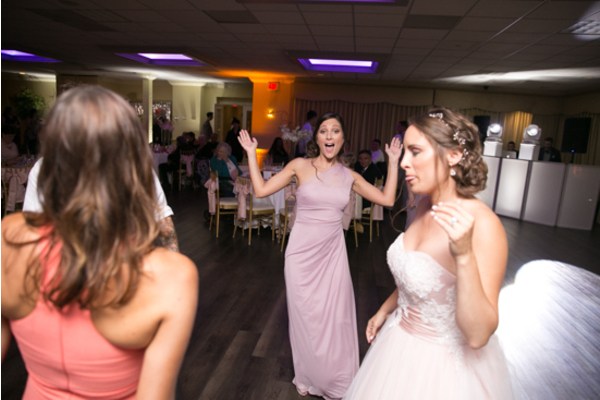 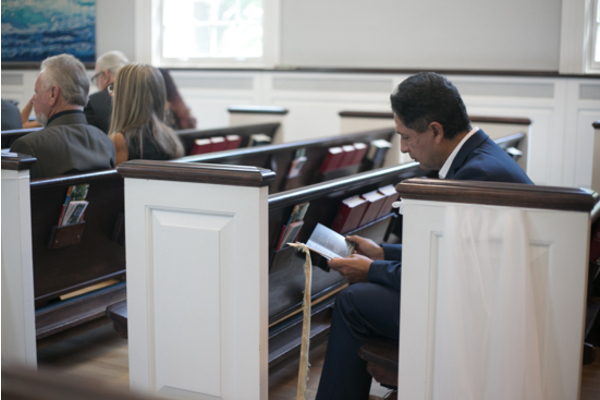 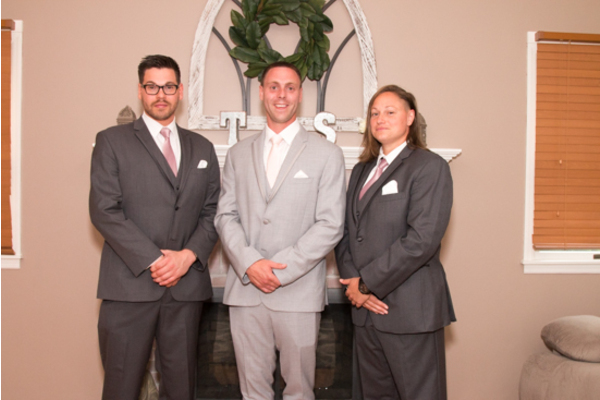 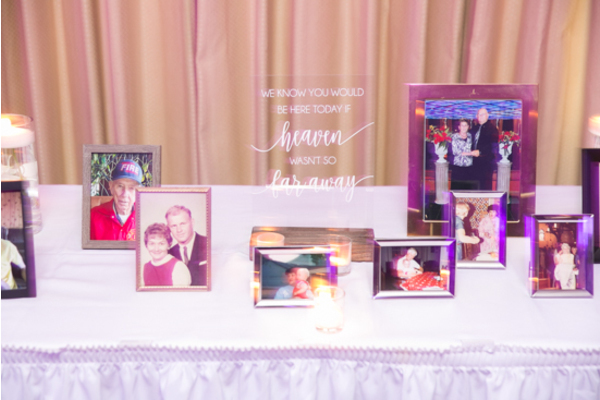 Our NJ Wedding Photographer was there for every memorable moment that night. 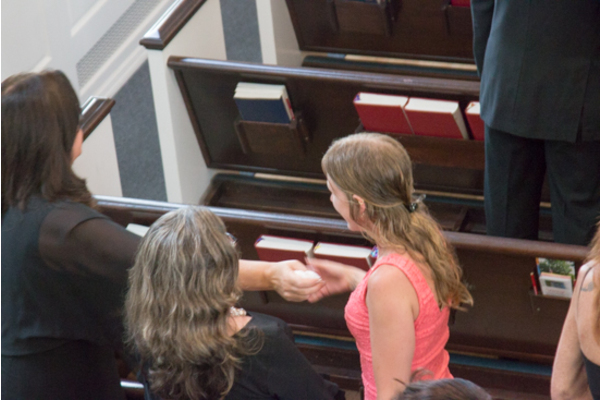 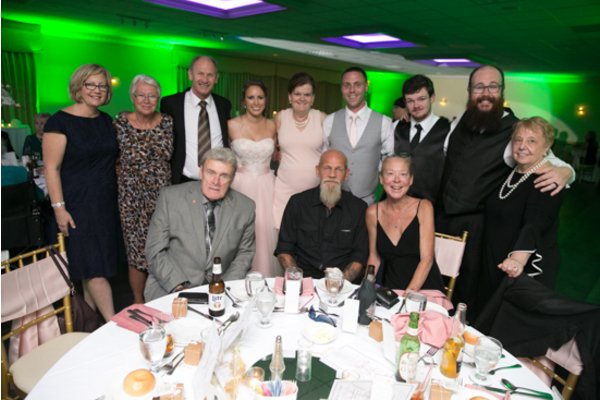 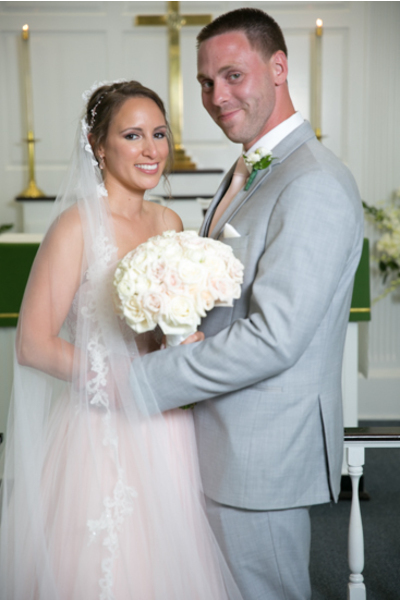 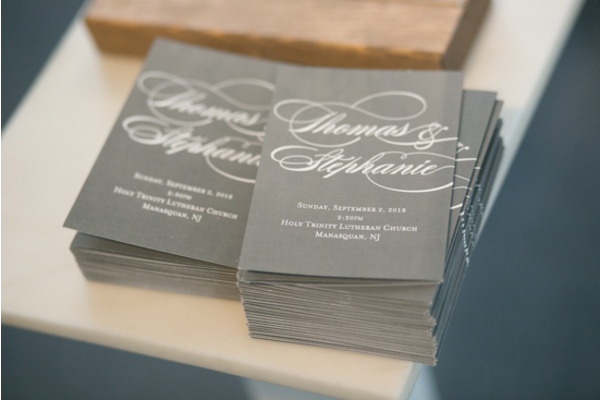 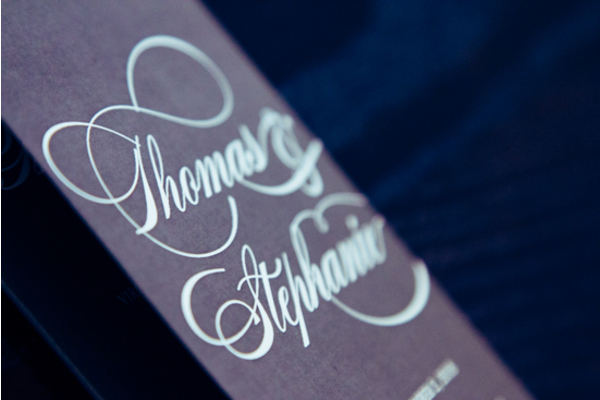 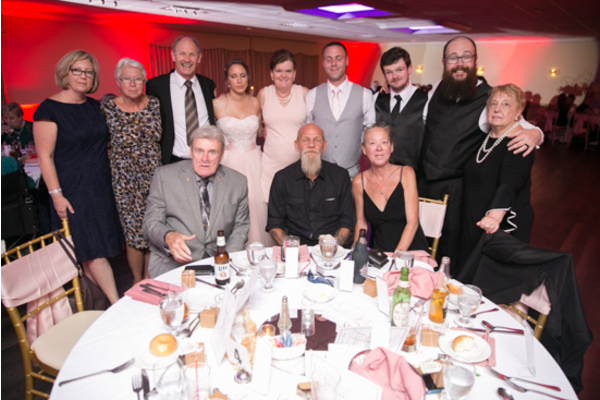 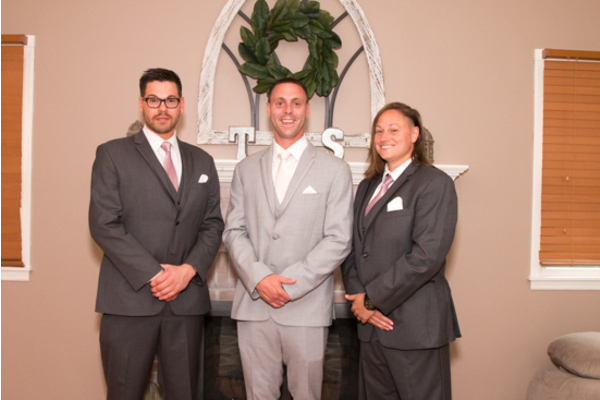 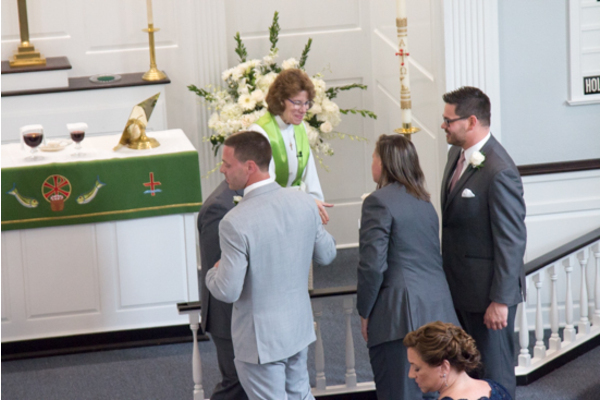 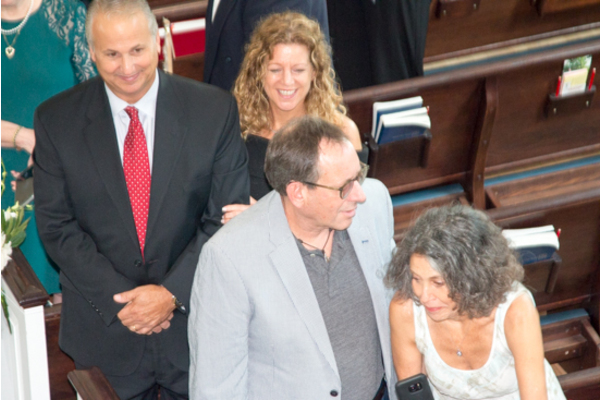 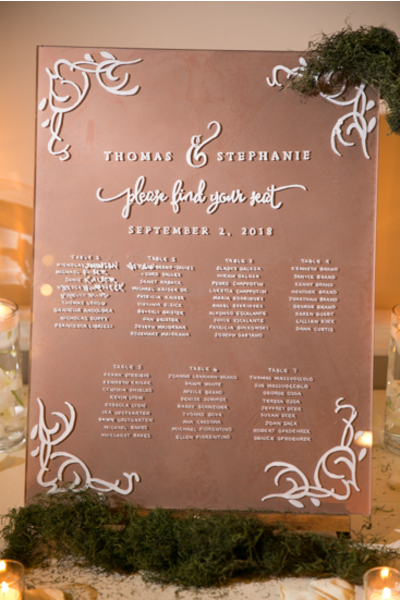 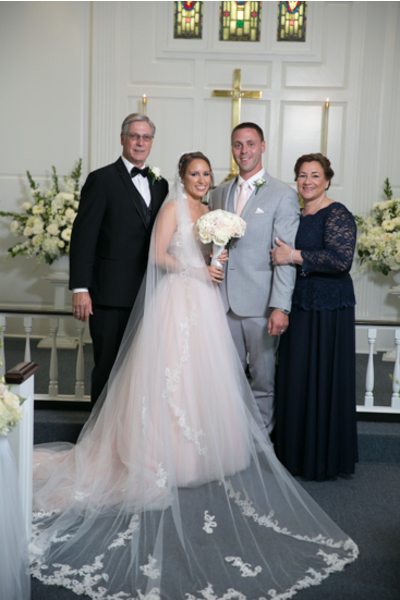 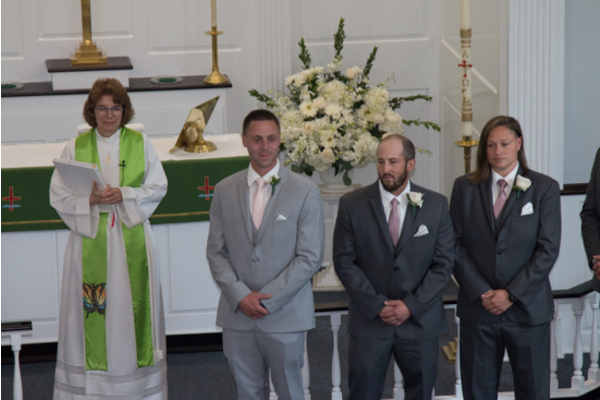 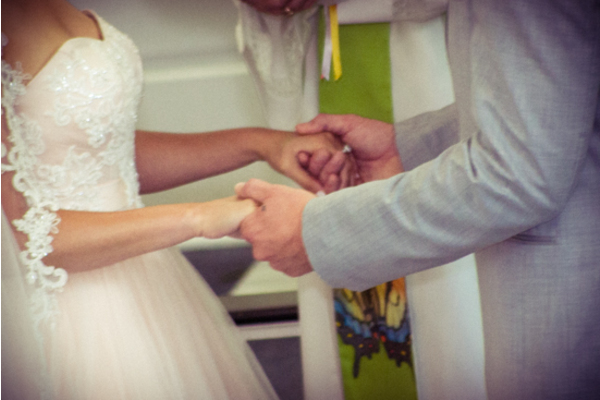 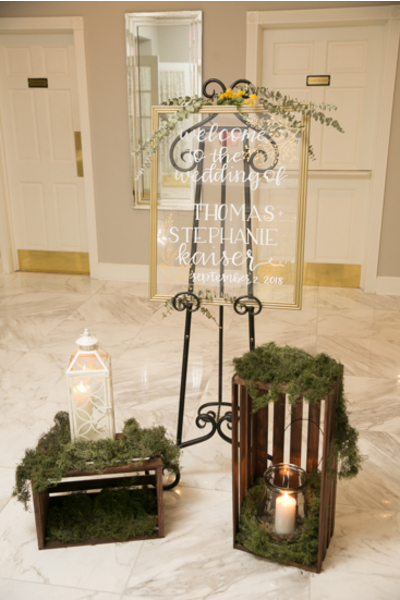 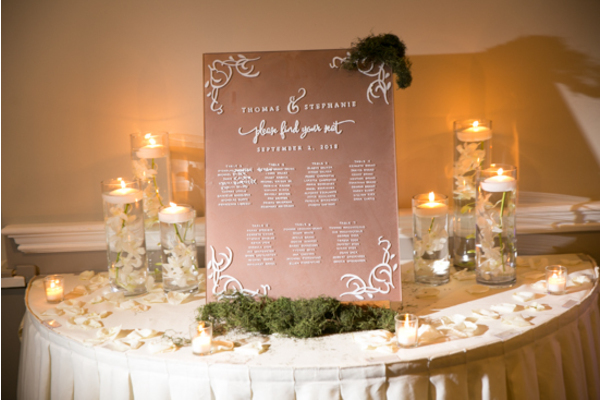 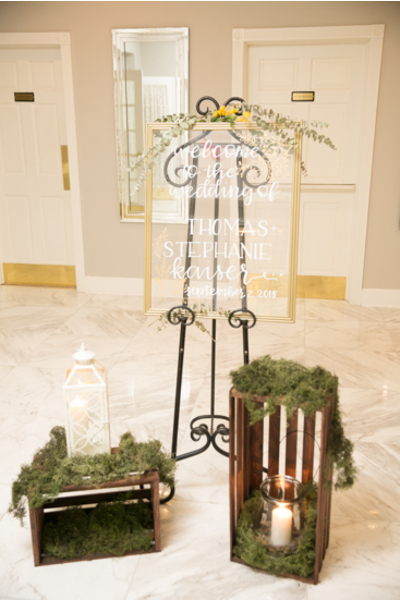 Congratulations again to Stephanie and Tom on their recent marriage! 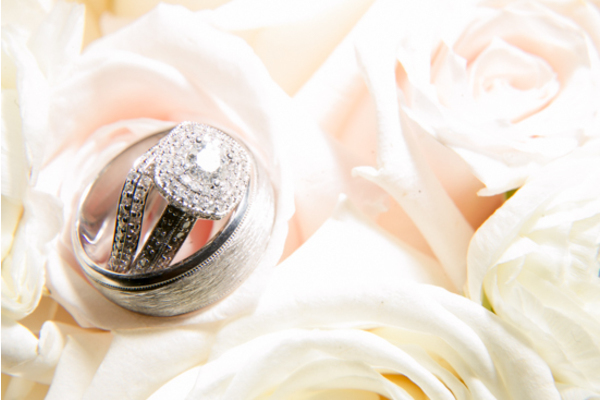 We wish you a lifetime of love, happiness and good health!